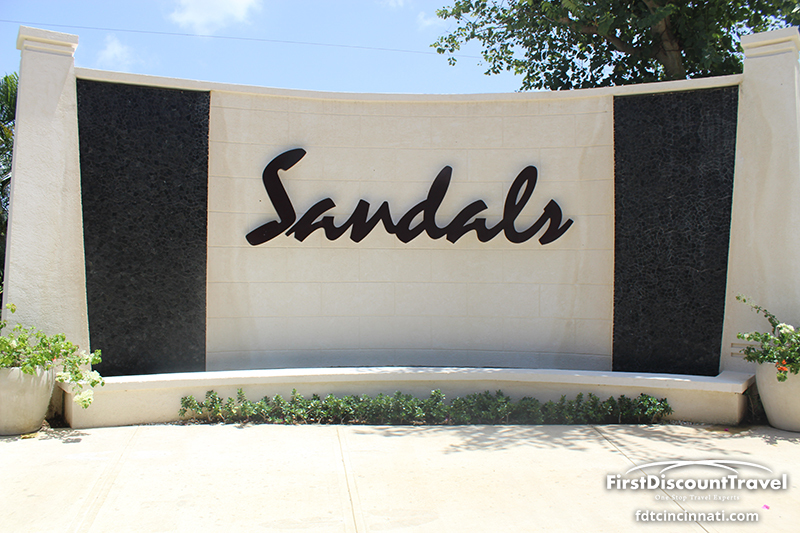 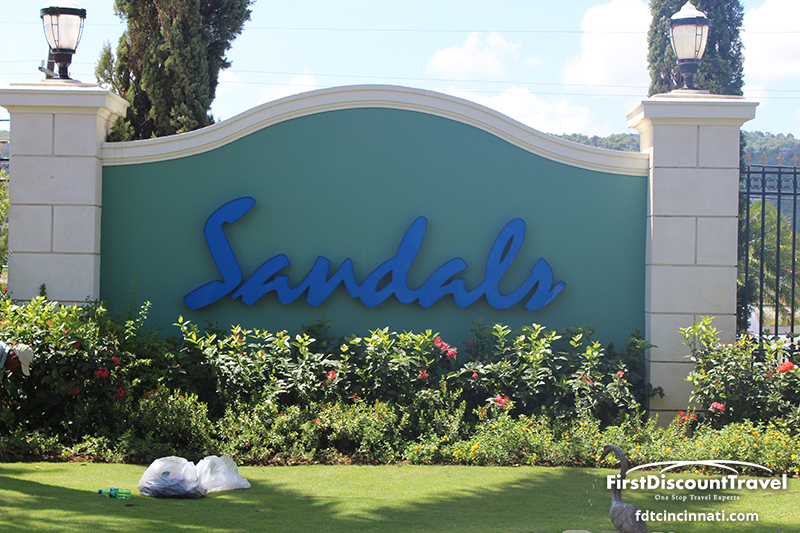 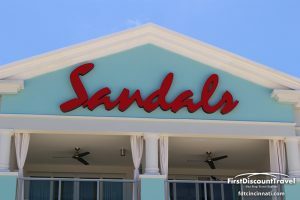 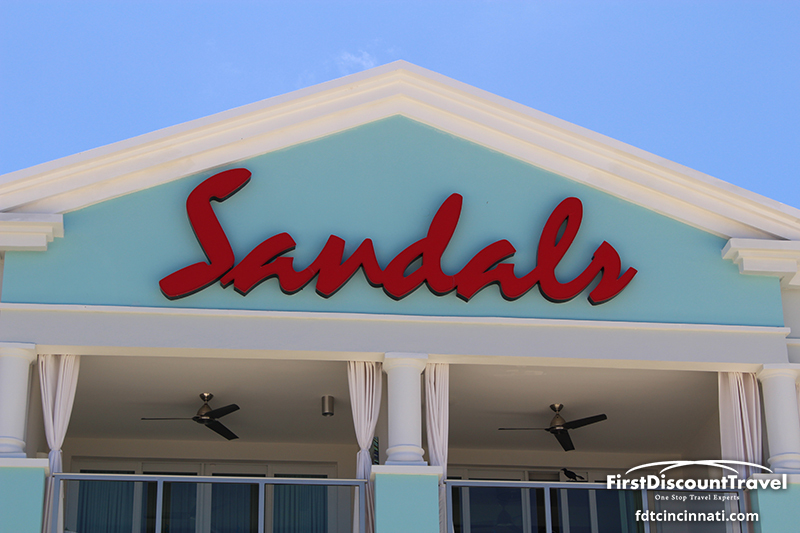 Come fall in love at the very first Sandals. 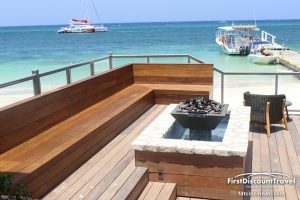 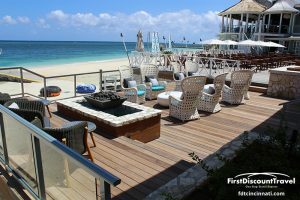 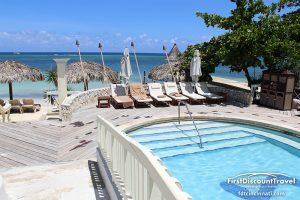 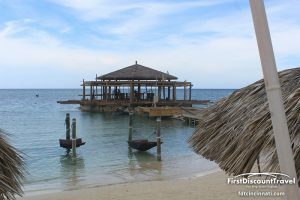 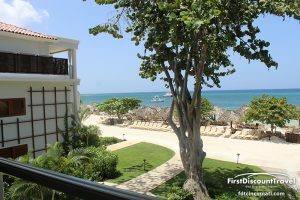 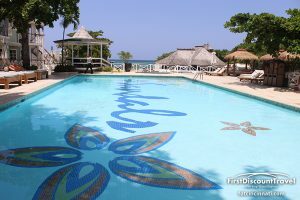 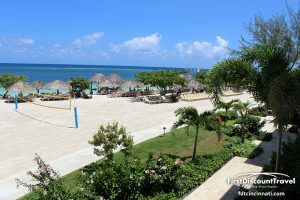 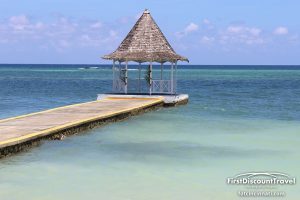 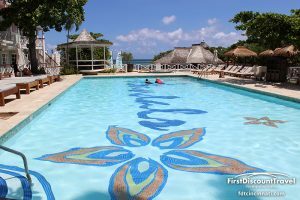 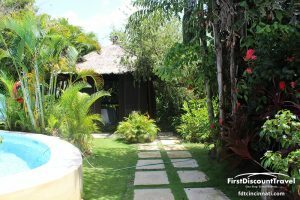 Upbeat and lively, Sandals Montego Bay sets the trend for excitement and romance with 26 lush acres of gardens fronting one of Jamaica's largest private white-sand beach. 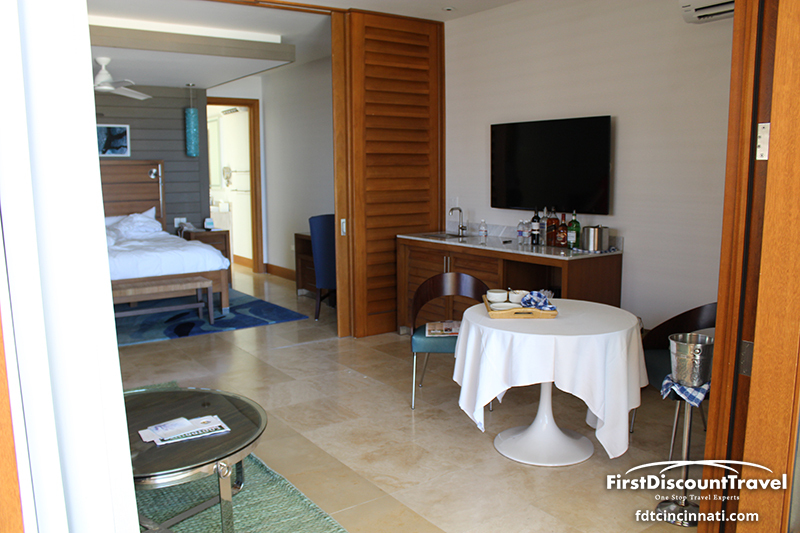 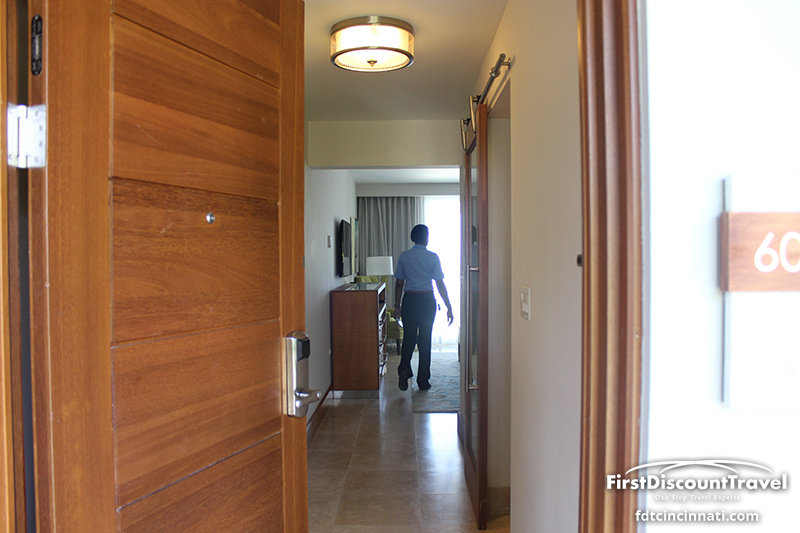 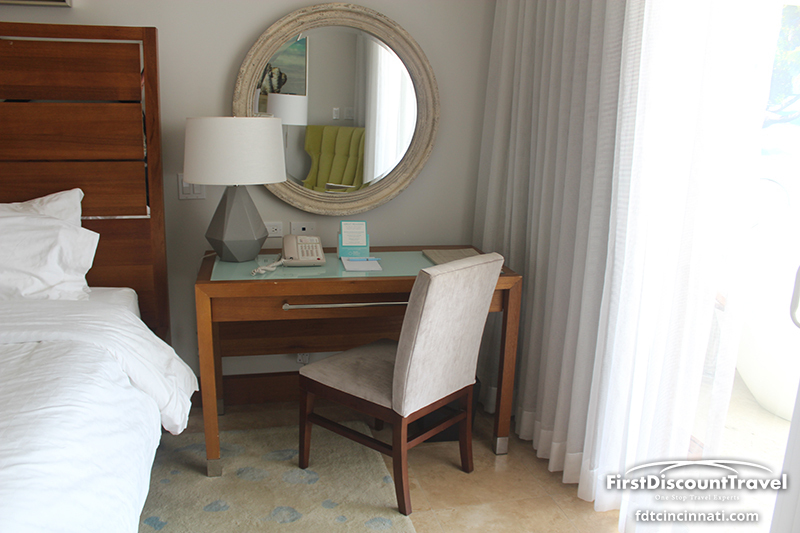 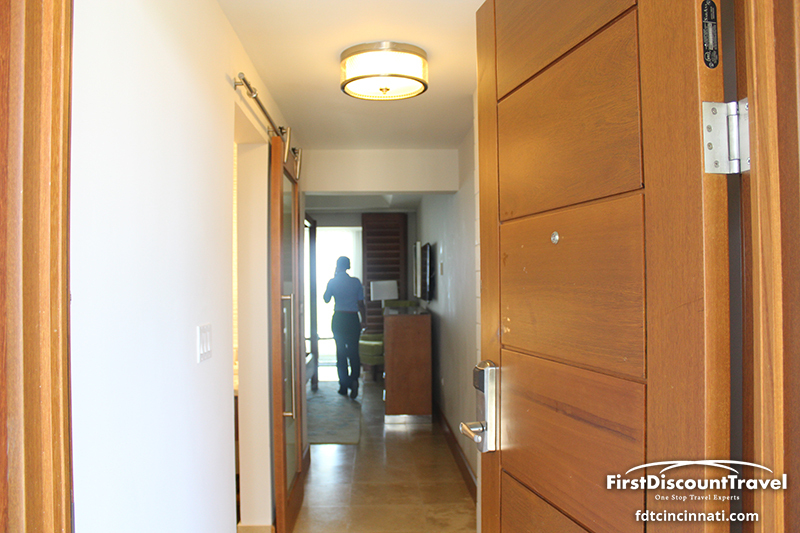 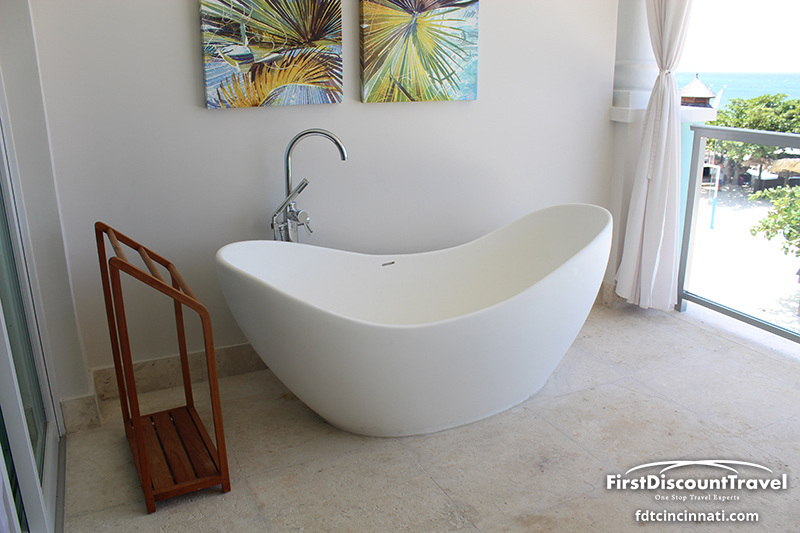 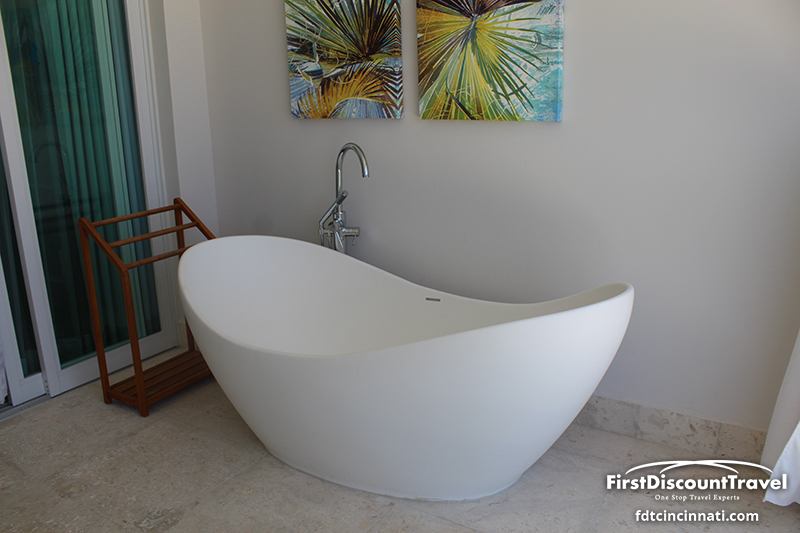 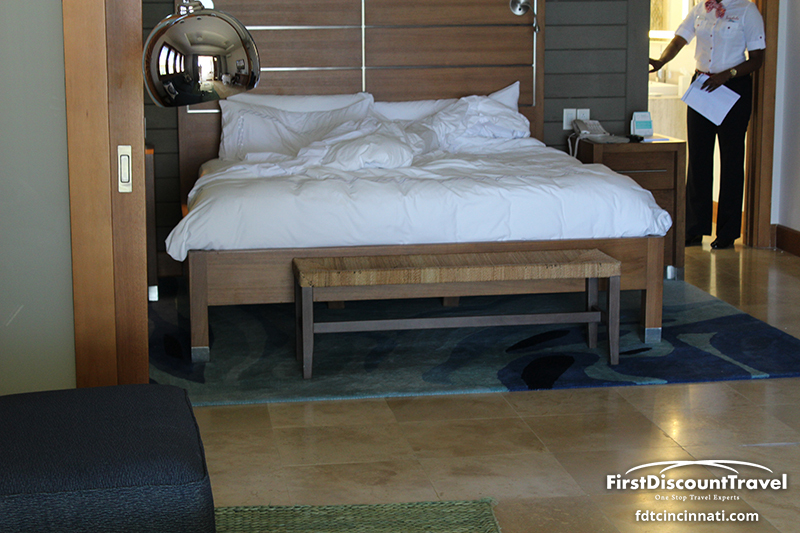 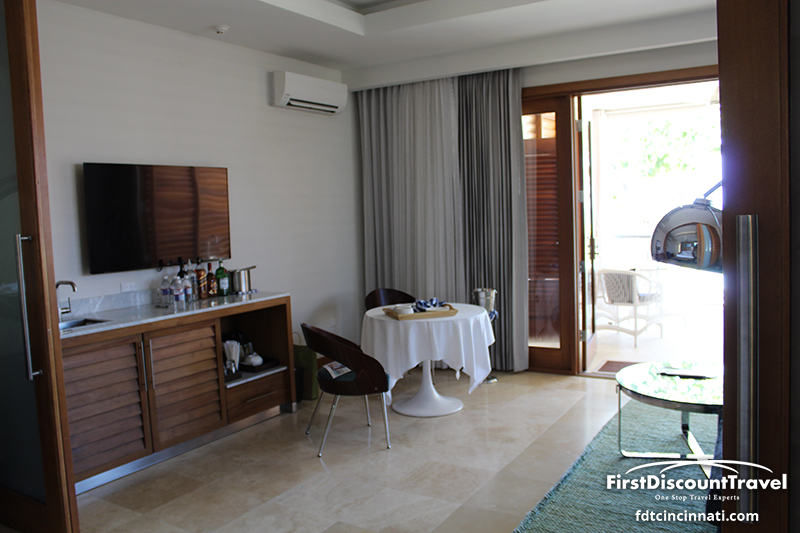 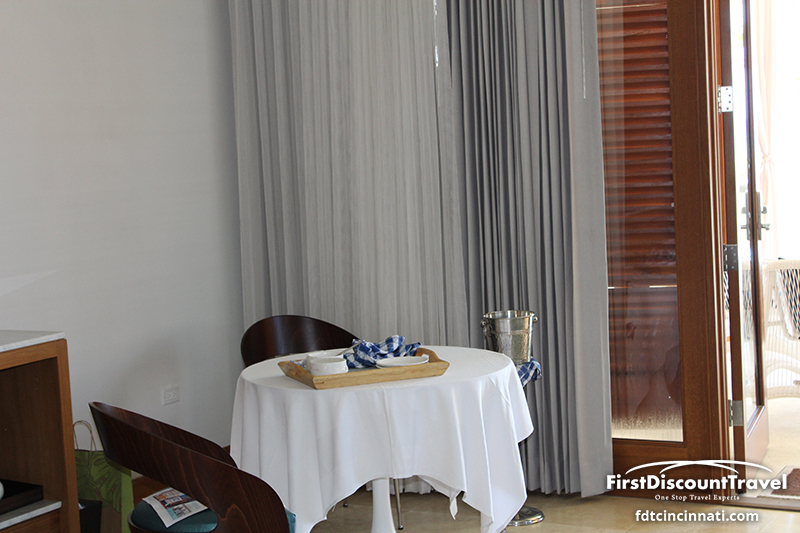 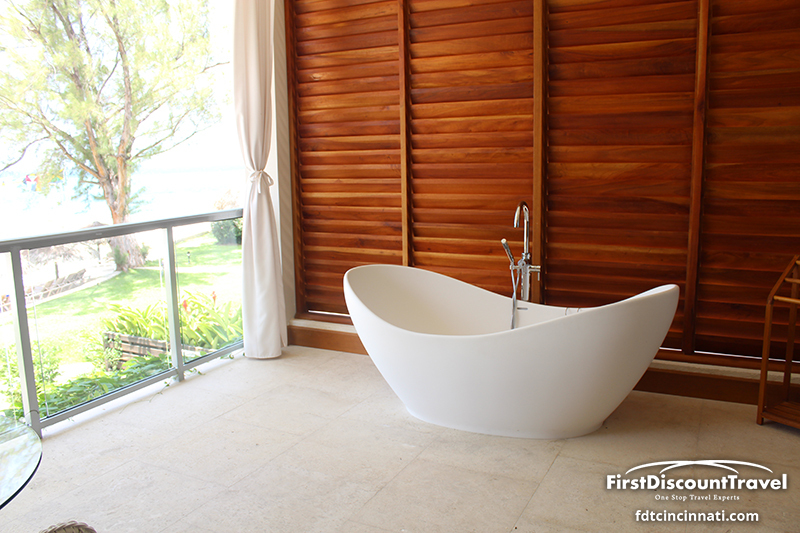 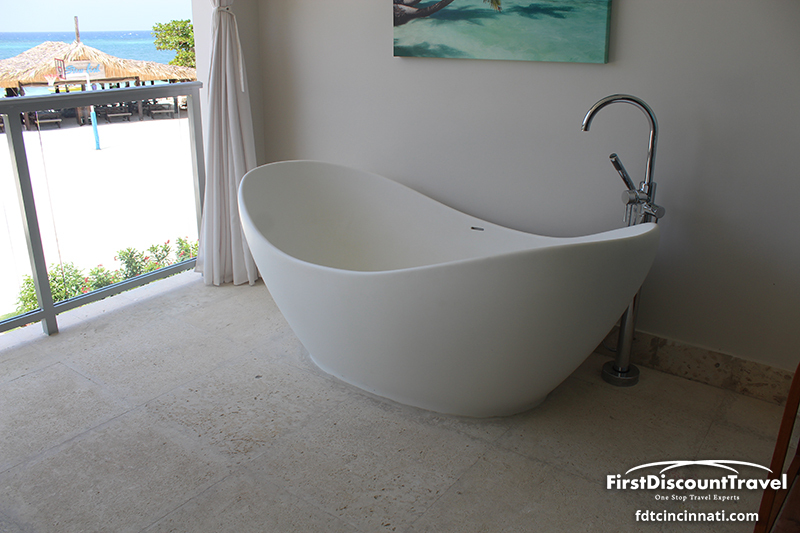 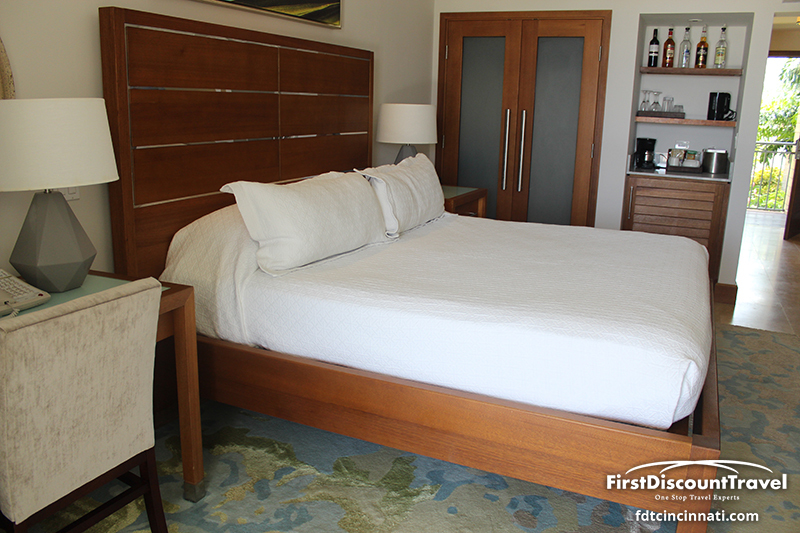 Experience the luxurious Bay Roc Estate Villa Suites with personalized butler service and 24-hour room service. 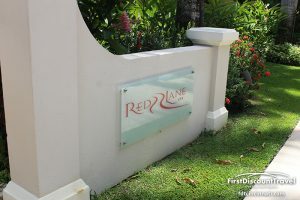 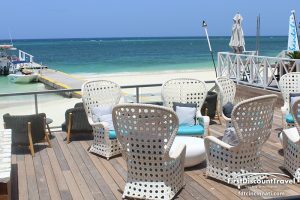 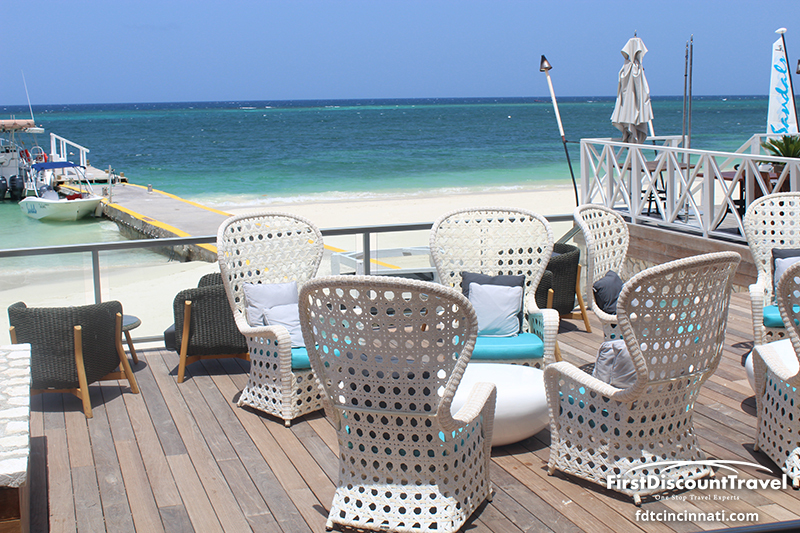 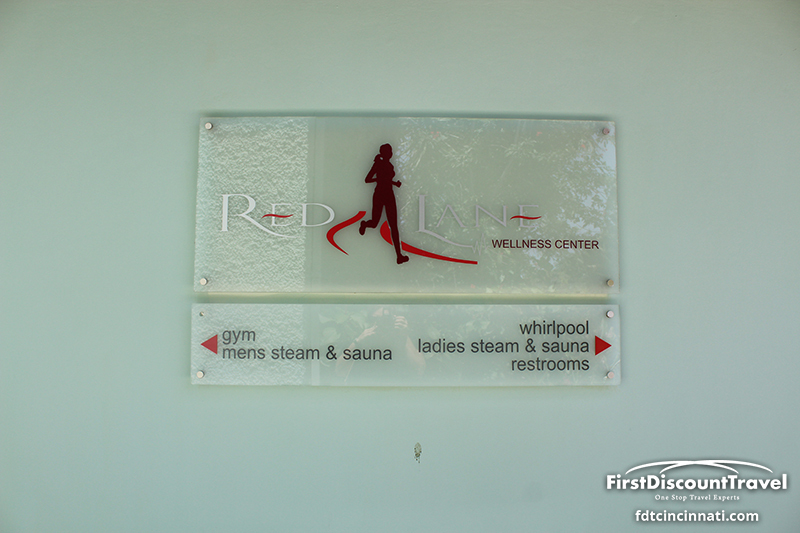 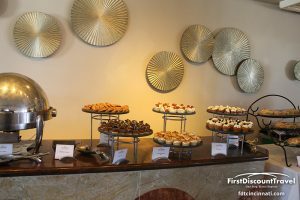 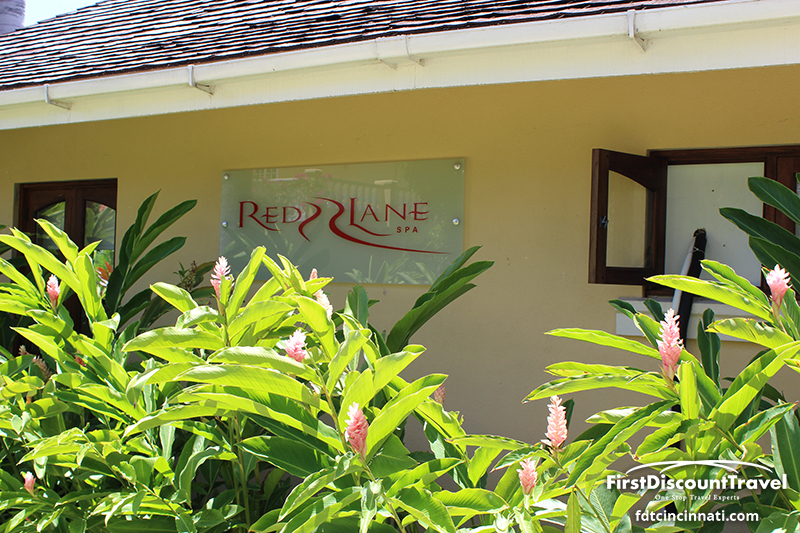 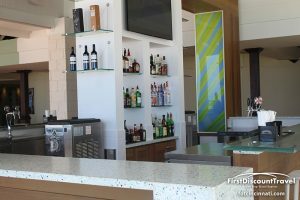 Lounge at four bars serving unlimited premium brand, dine at seven restaurants, play all day in the never-ending activities or relax with a service at the Red Lane Spa. 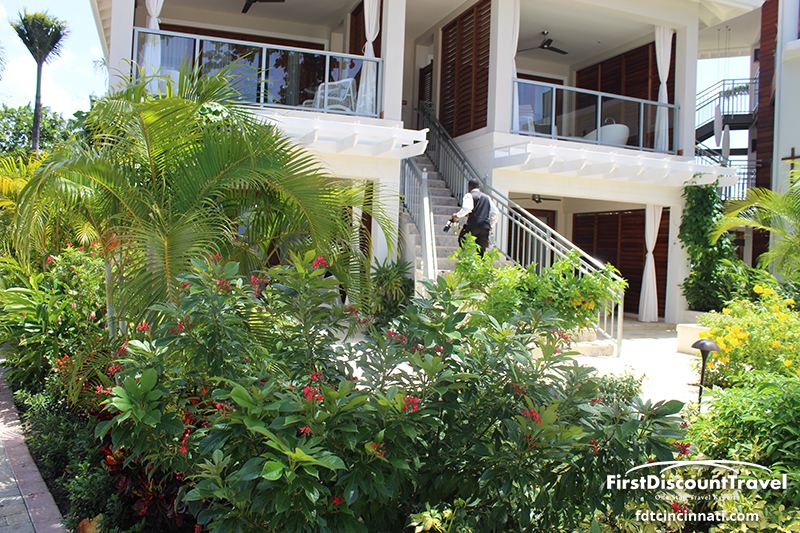 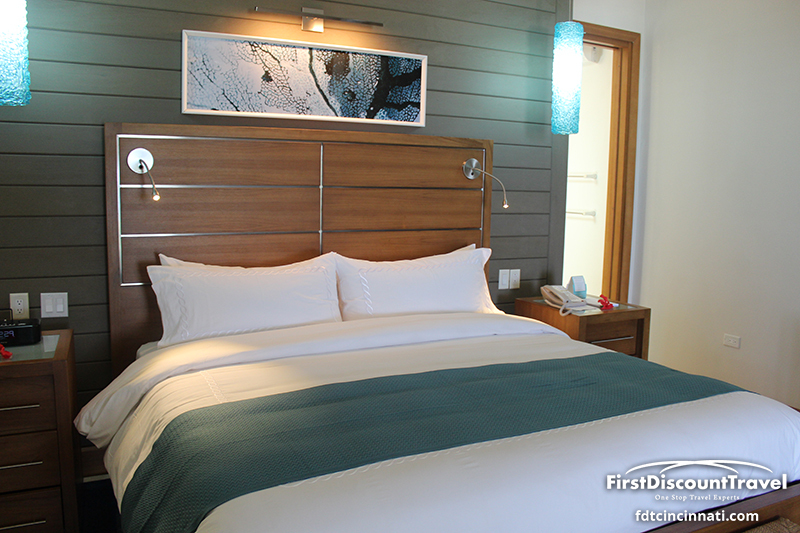 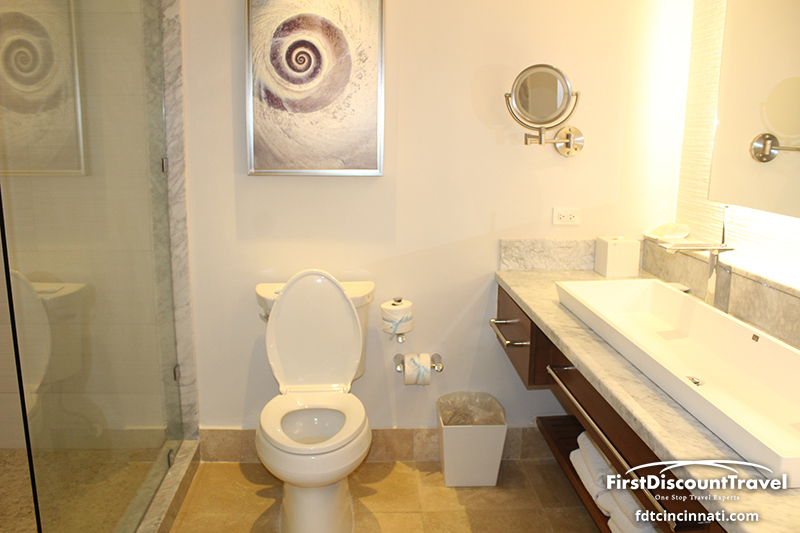 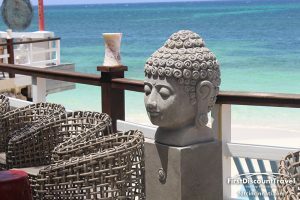 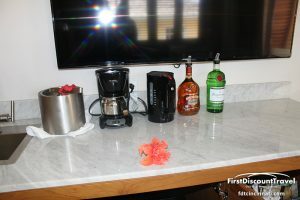 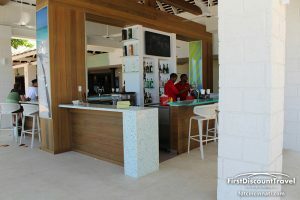 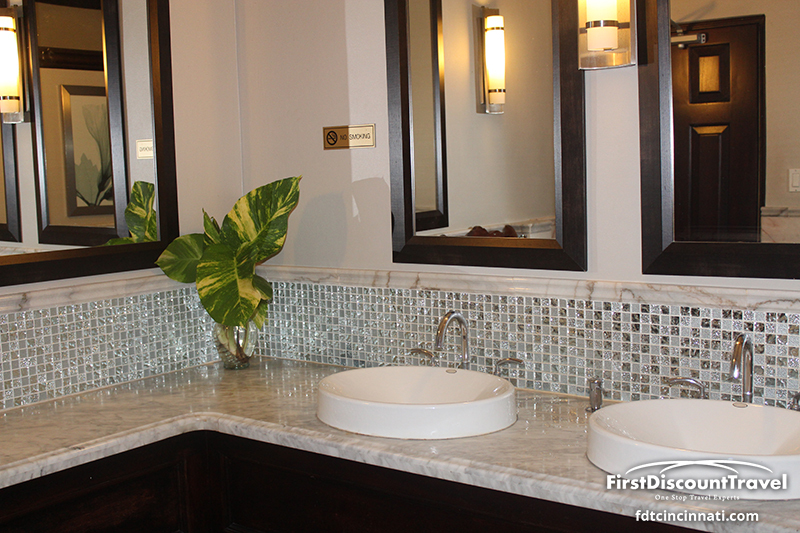 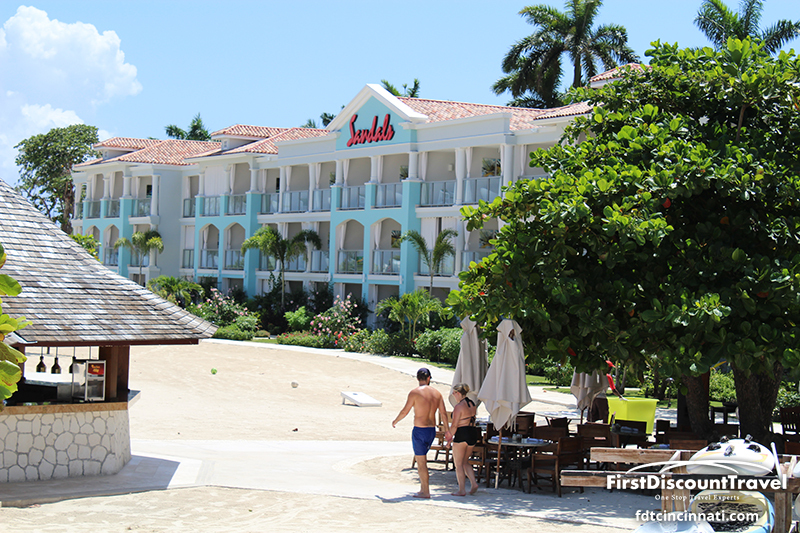 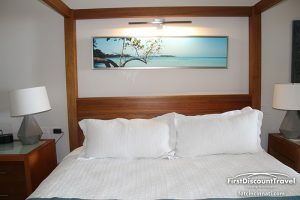 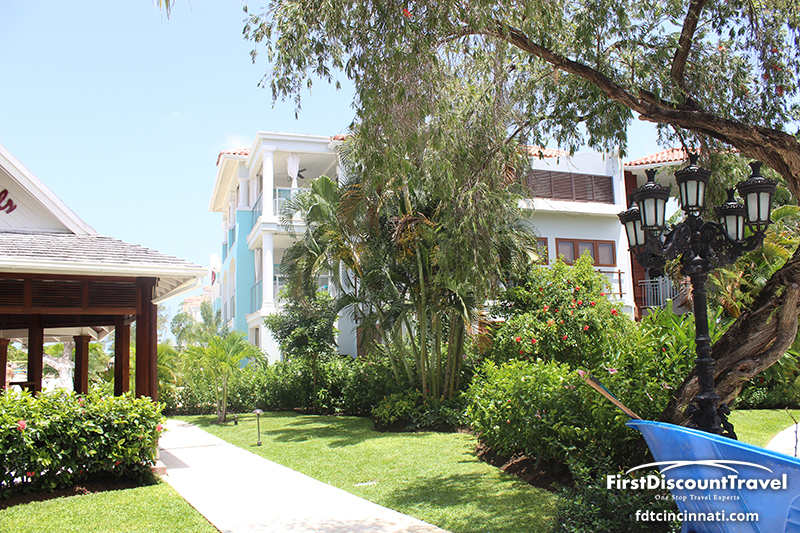 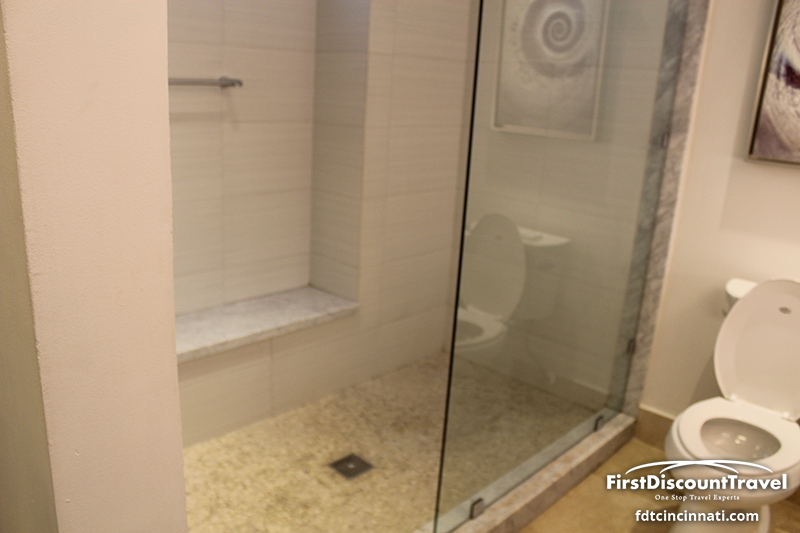 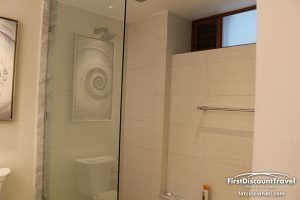 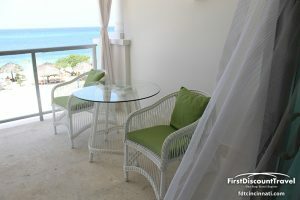 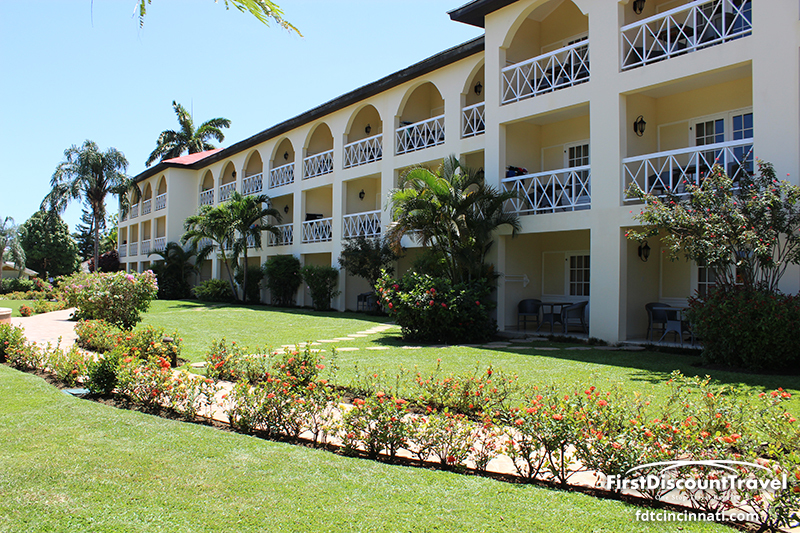 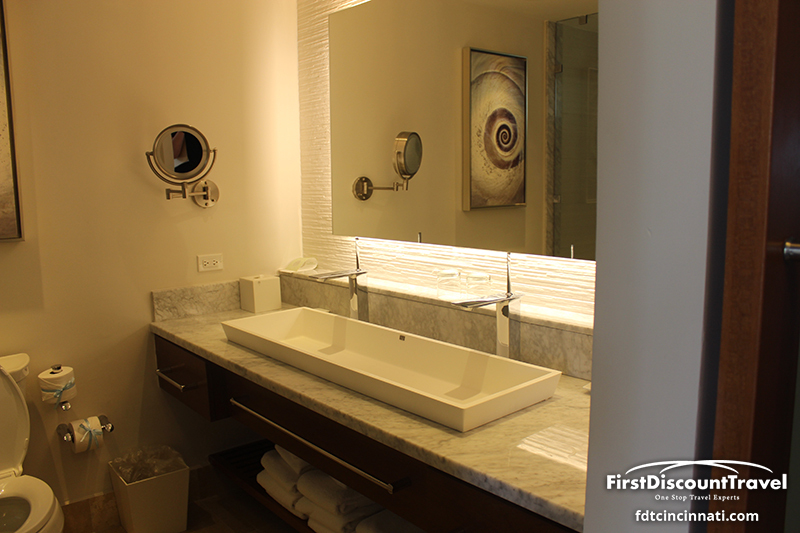 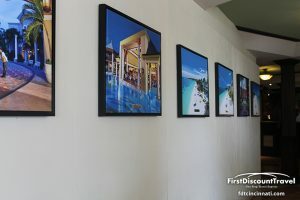 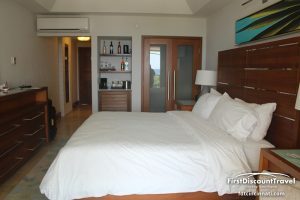 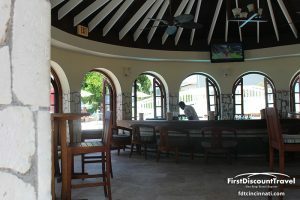 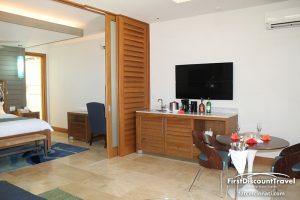 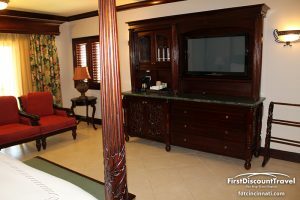 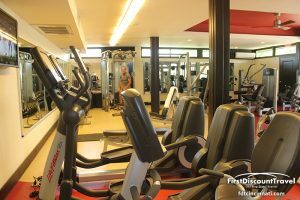 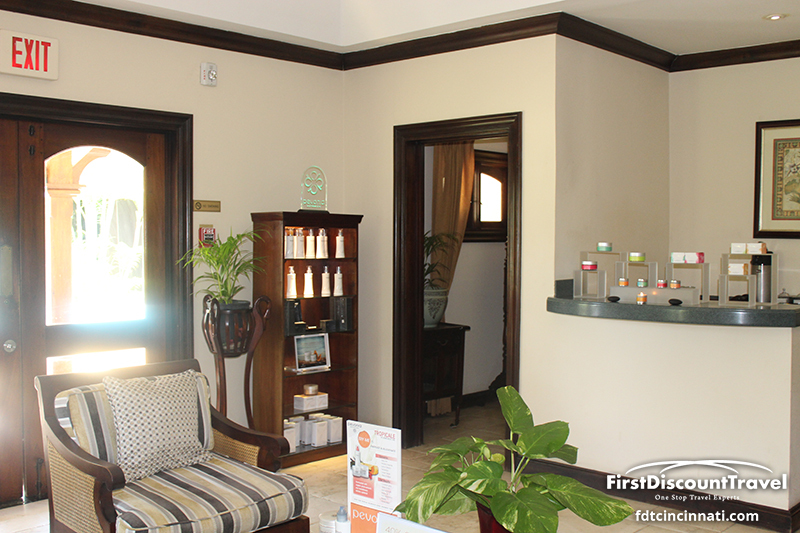 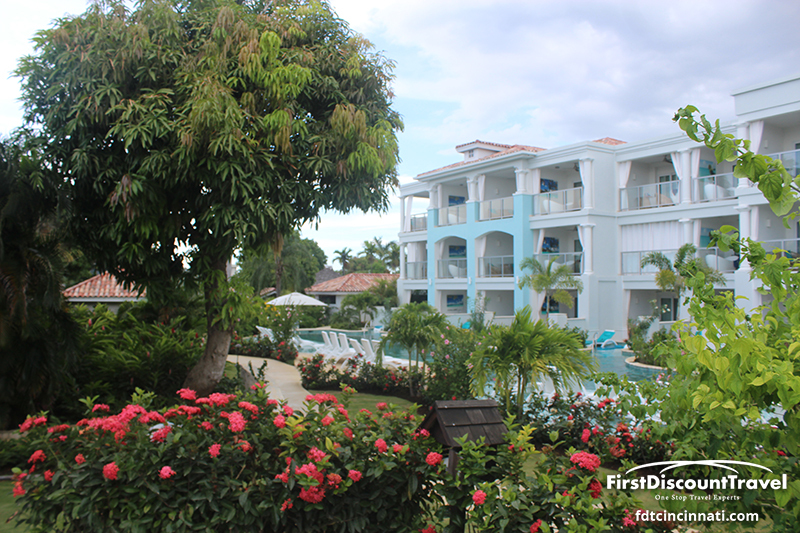 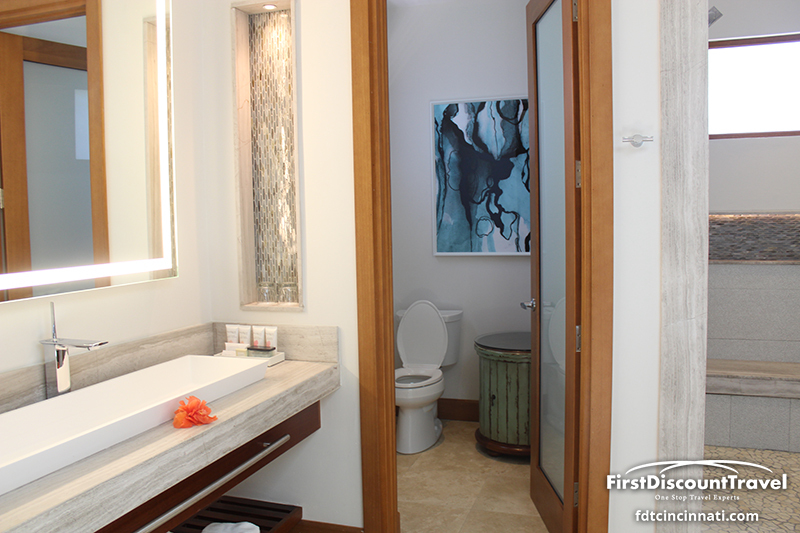 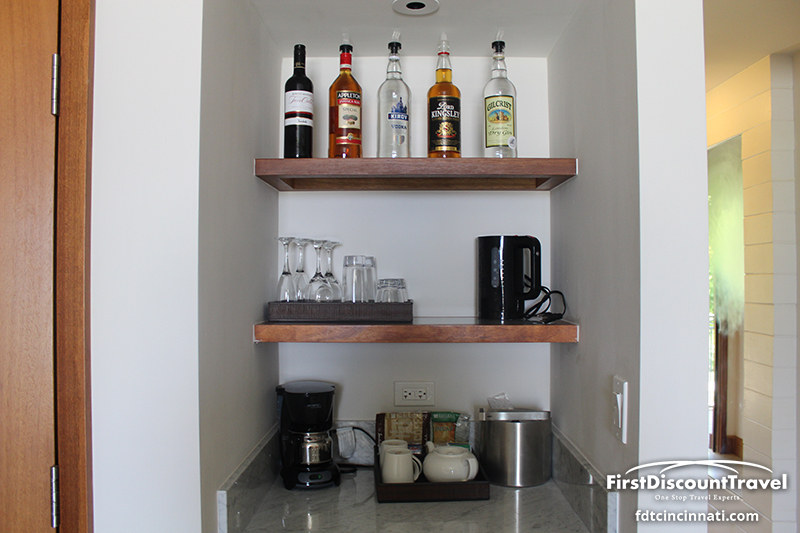 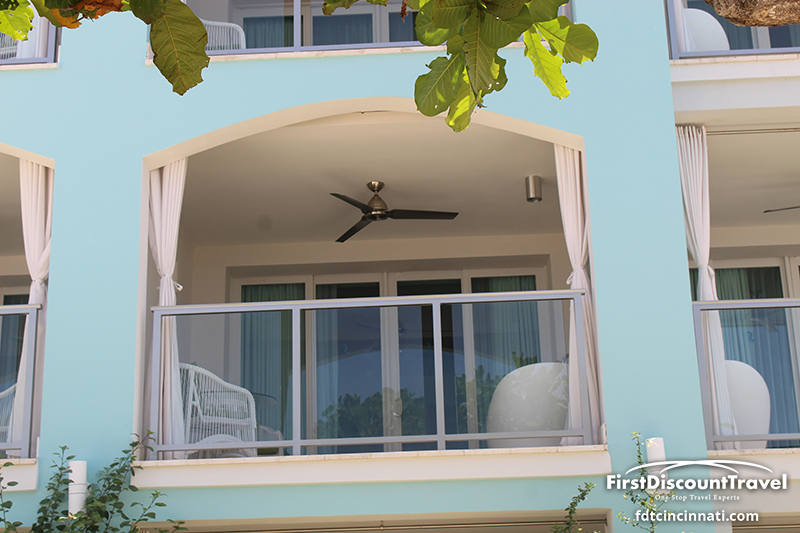 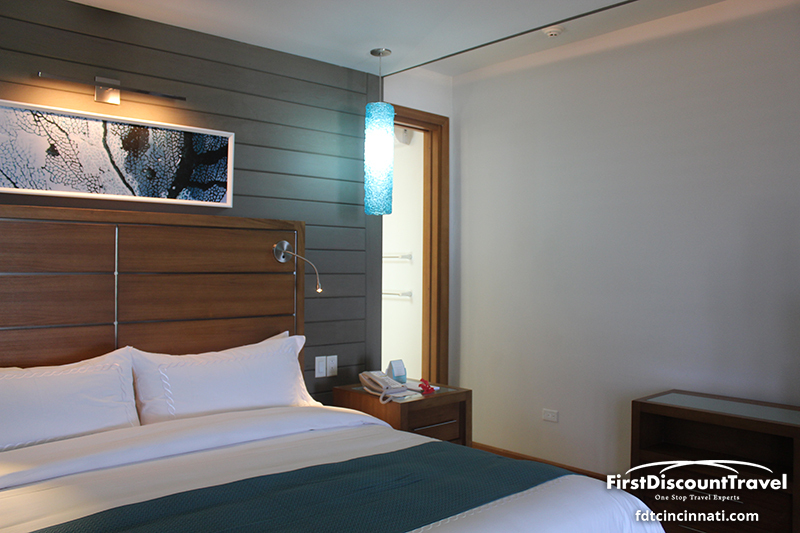 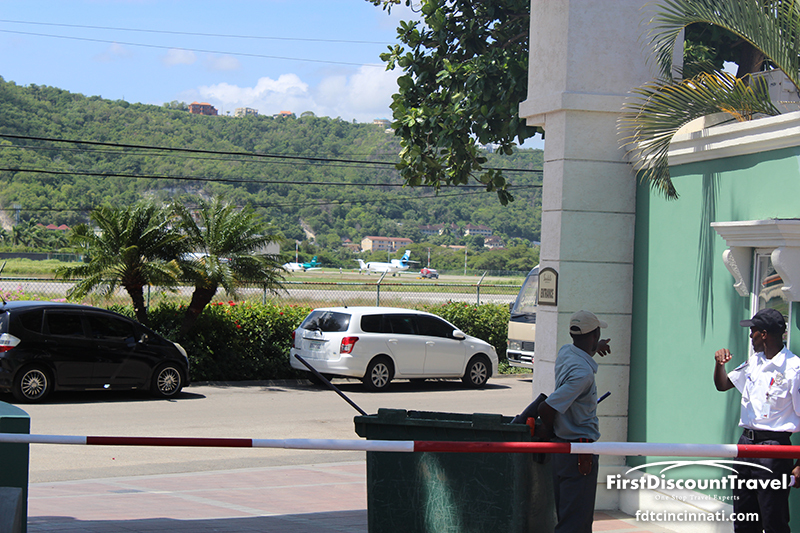 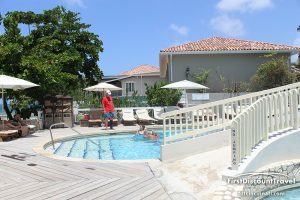 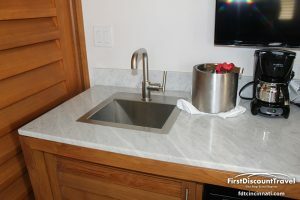 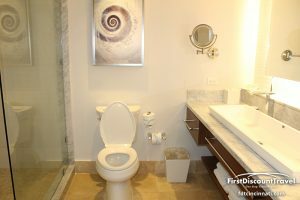 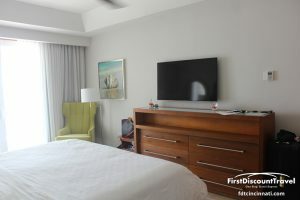 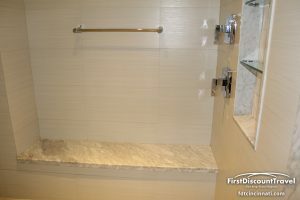 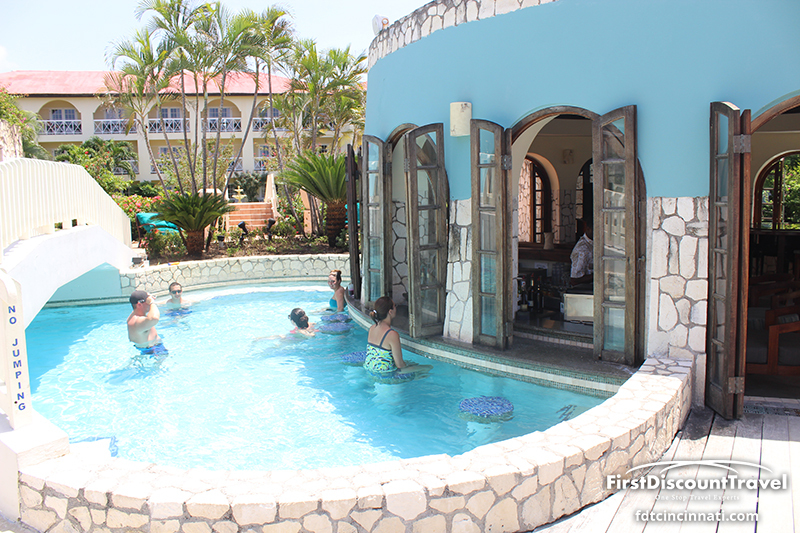 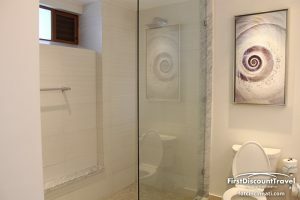 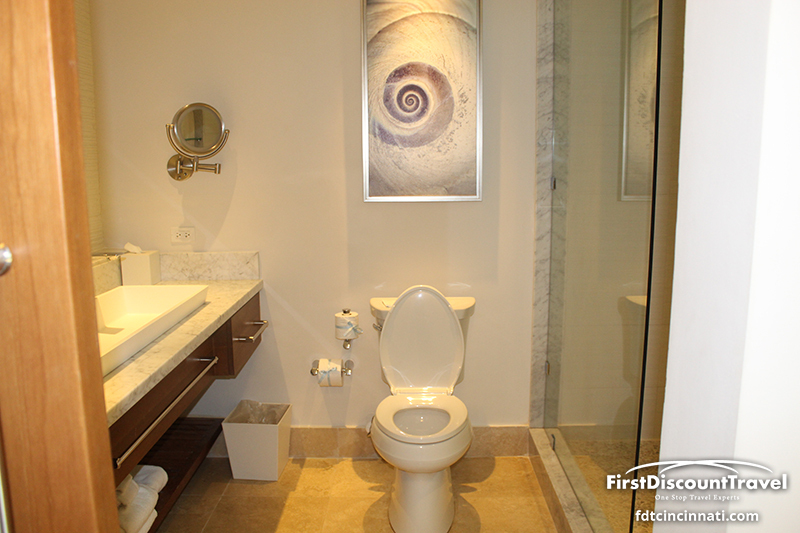 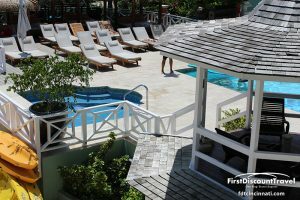 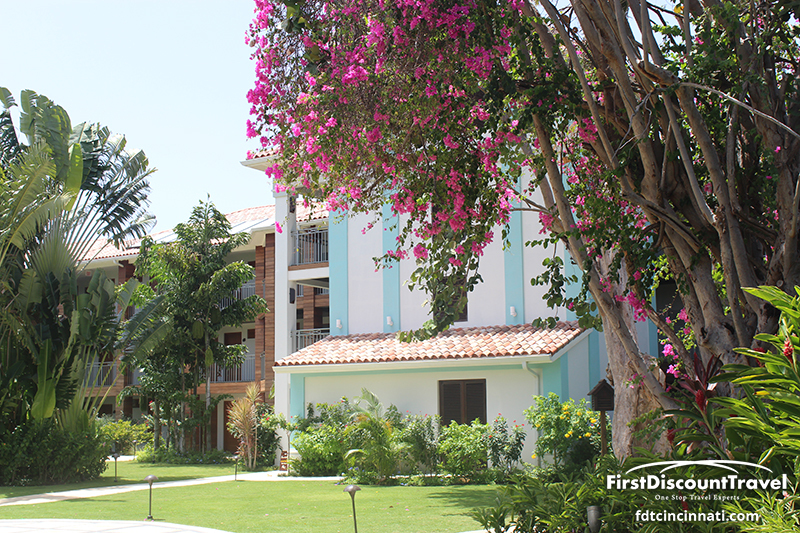 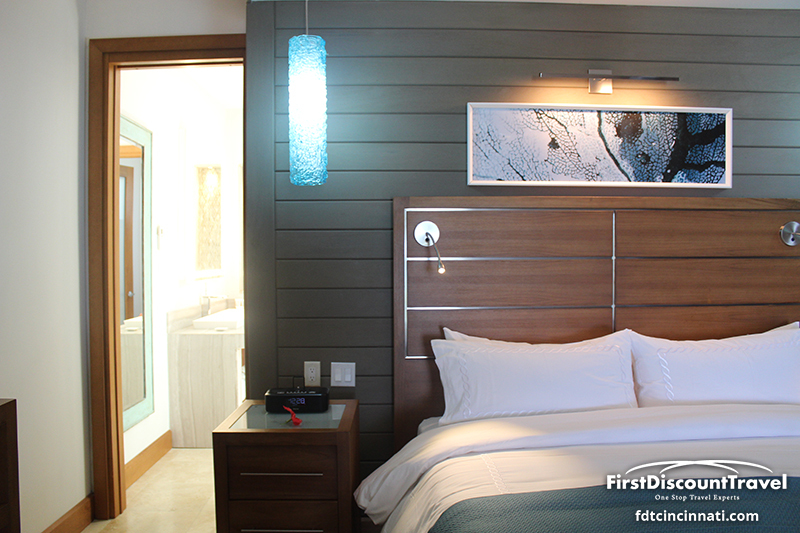 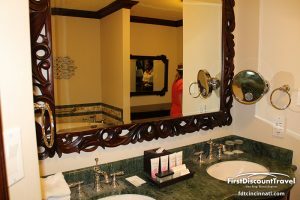 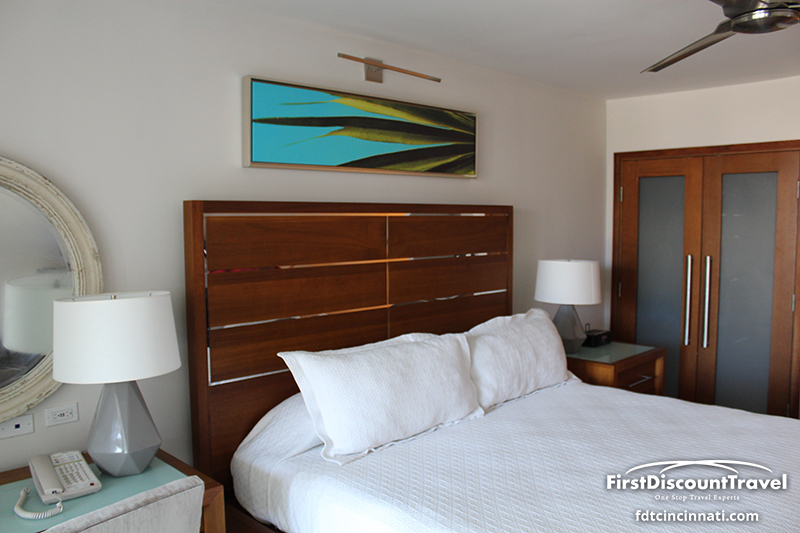 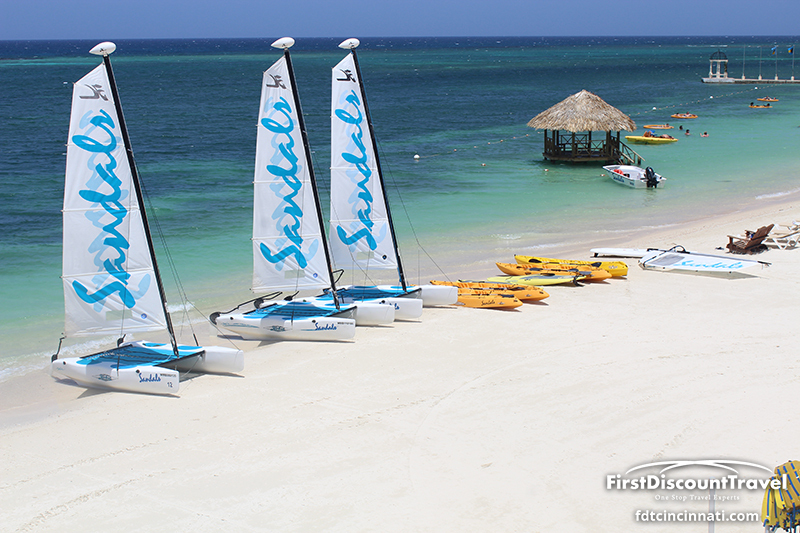 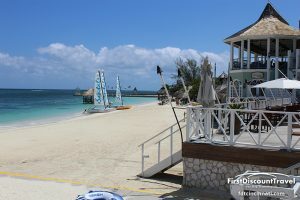 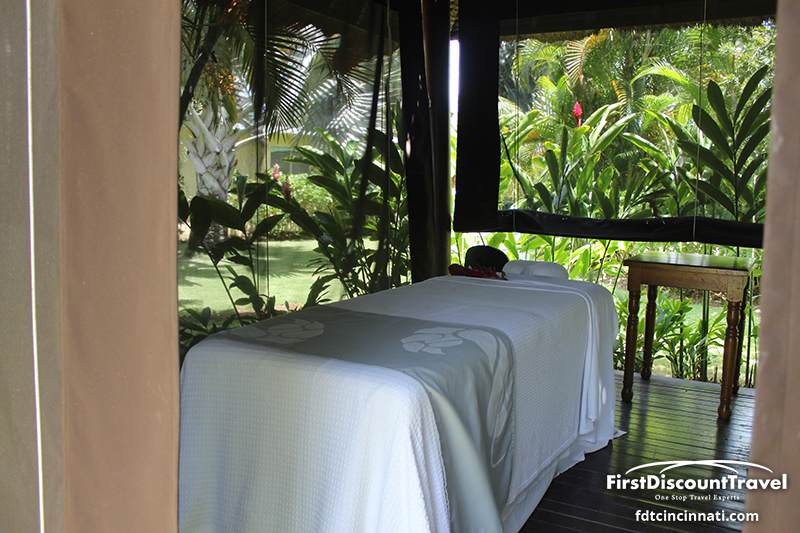 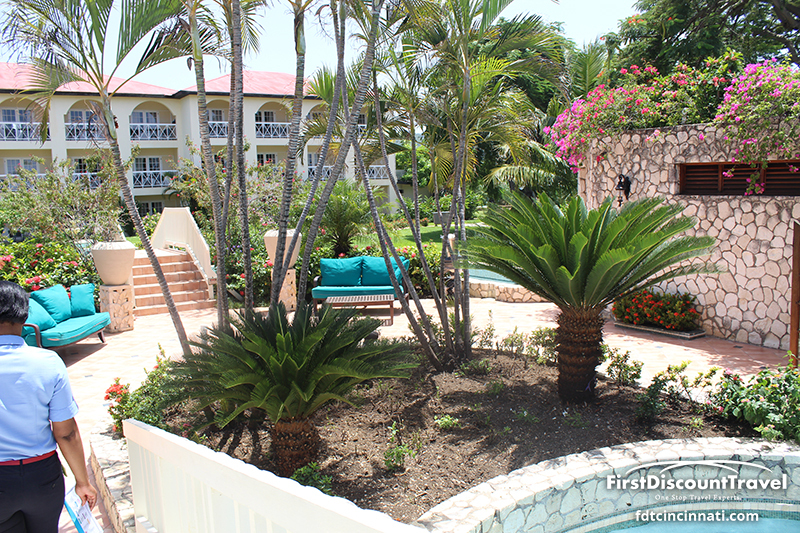 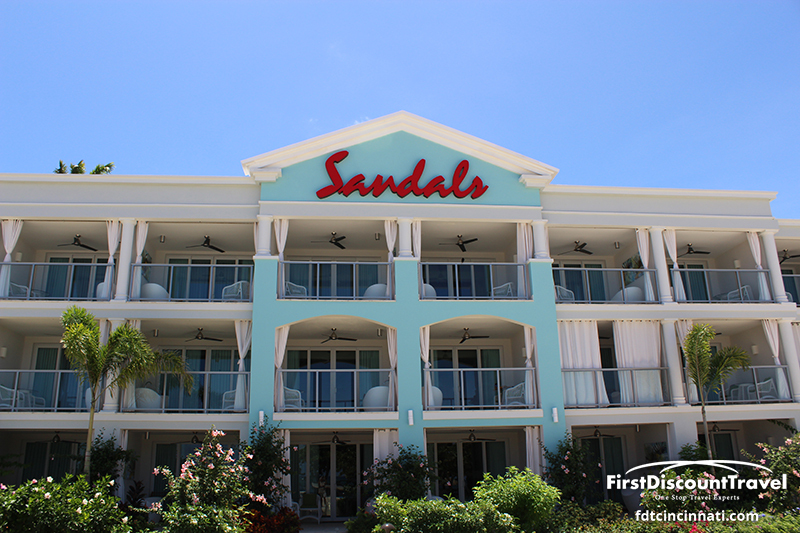 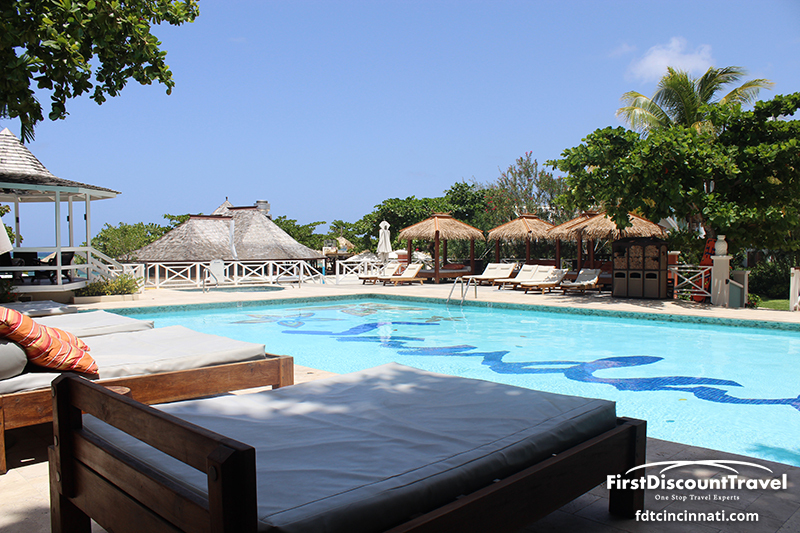 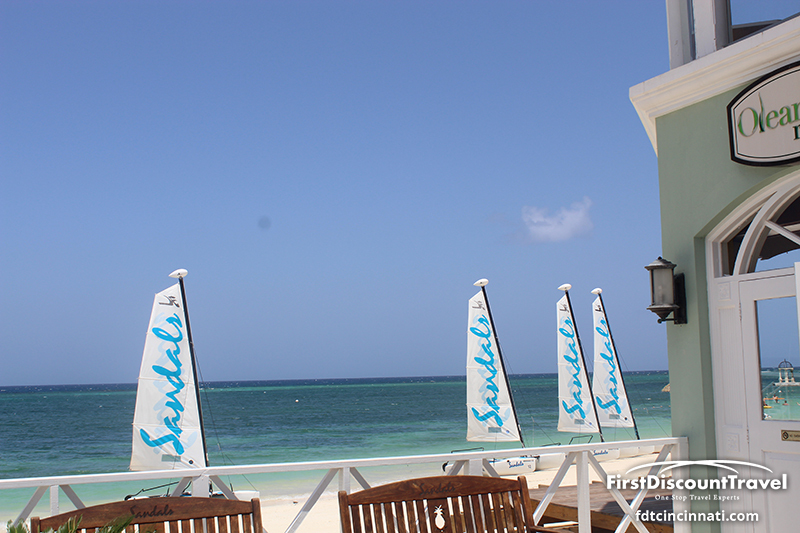 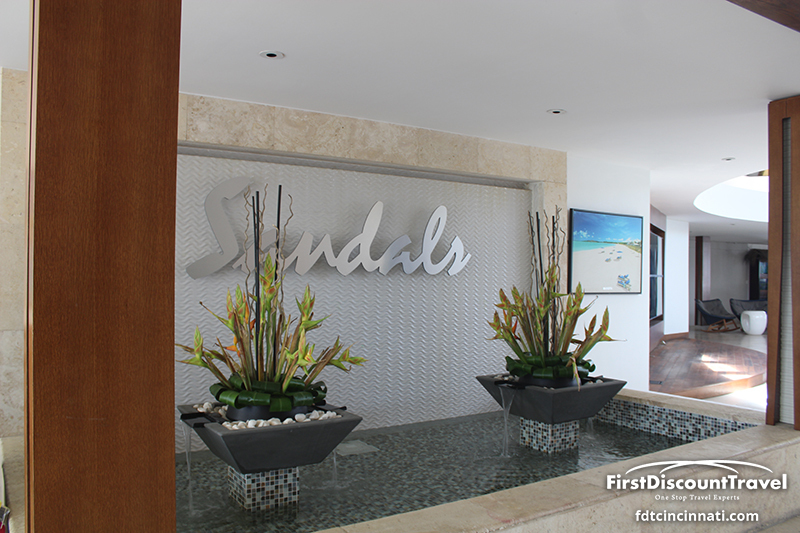 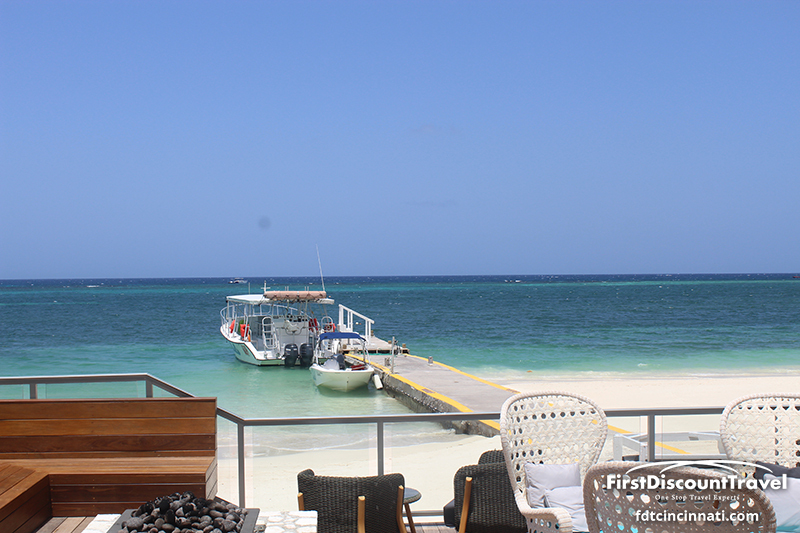 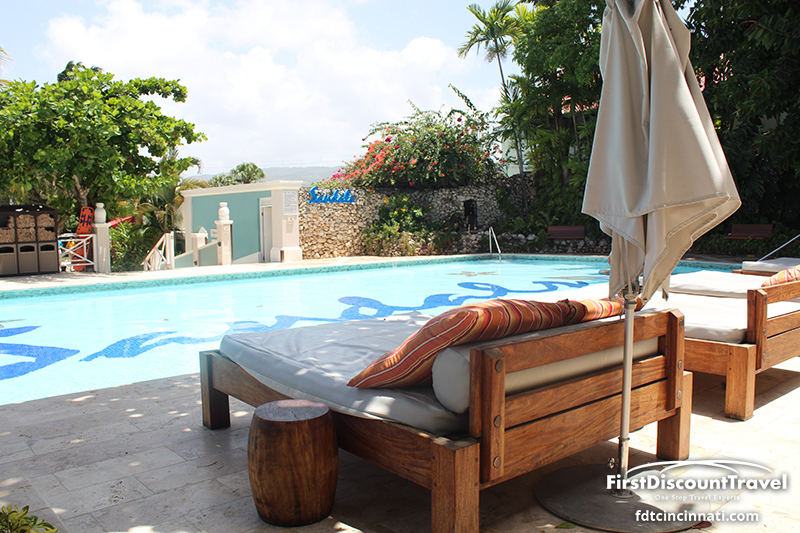 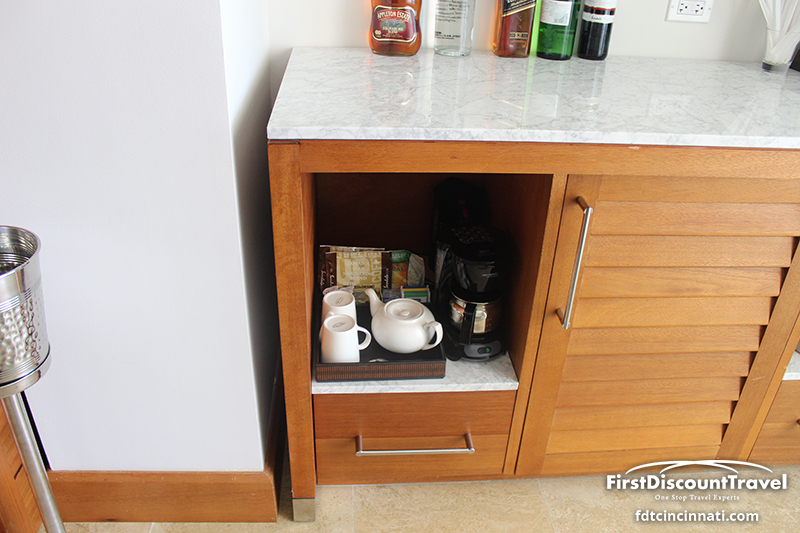 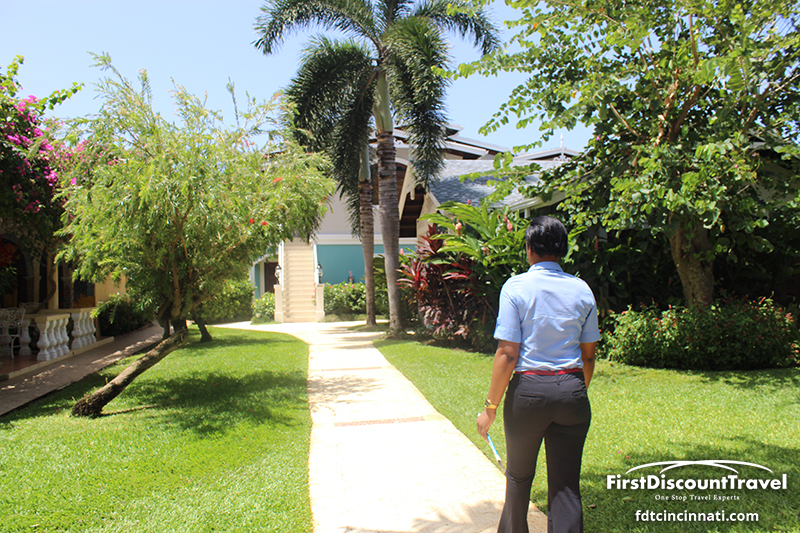 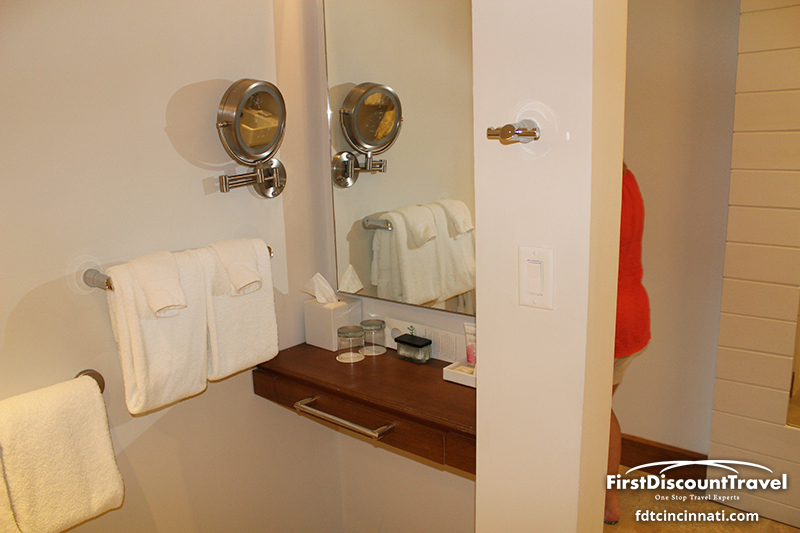 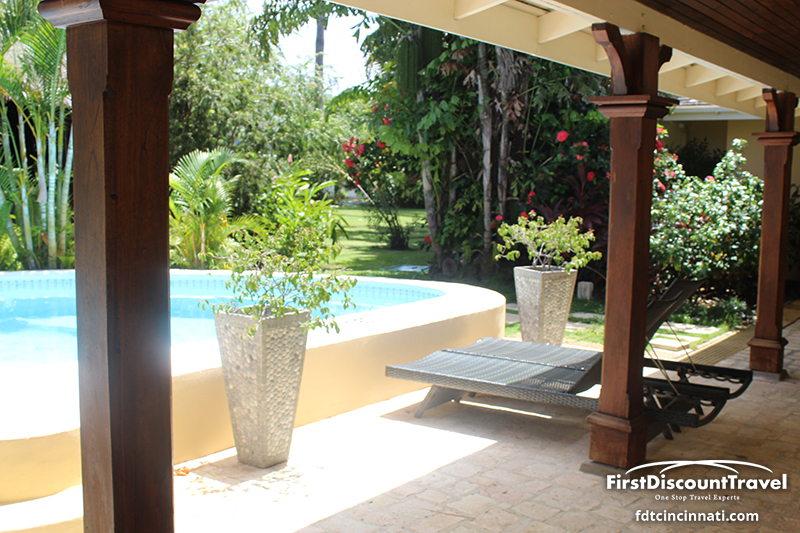 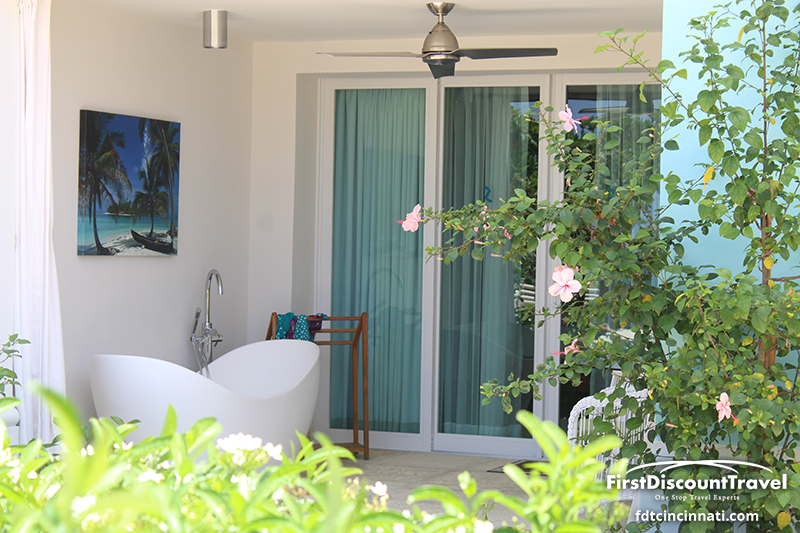 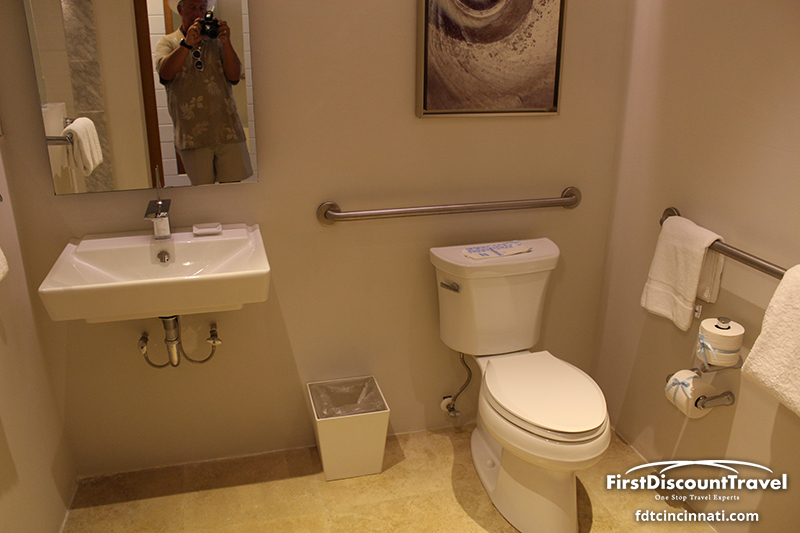 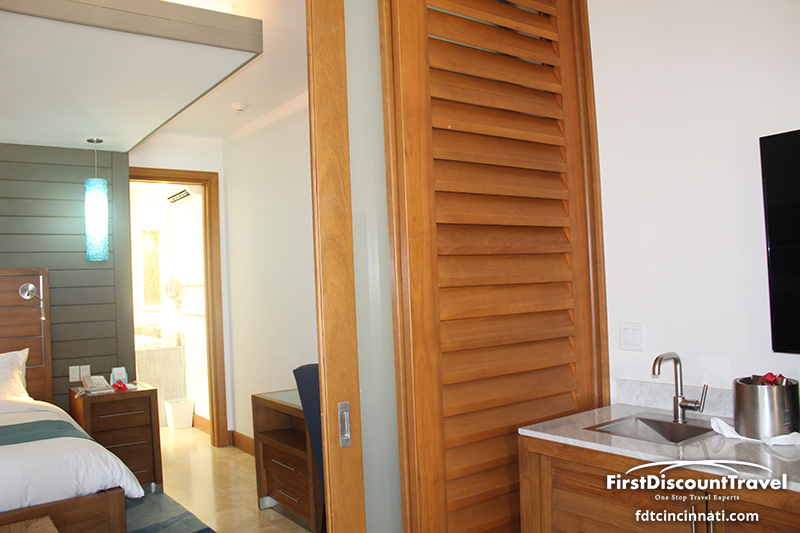 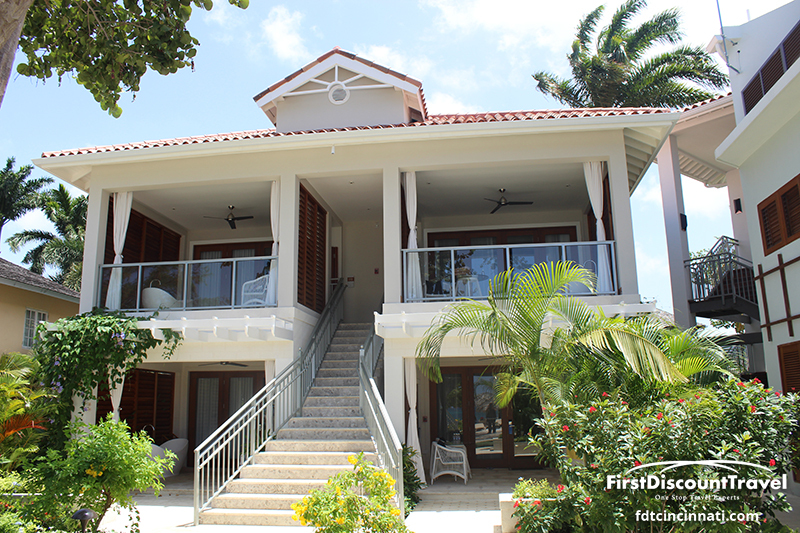 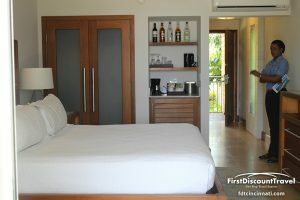 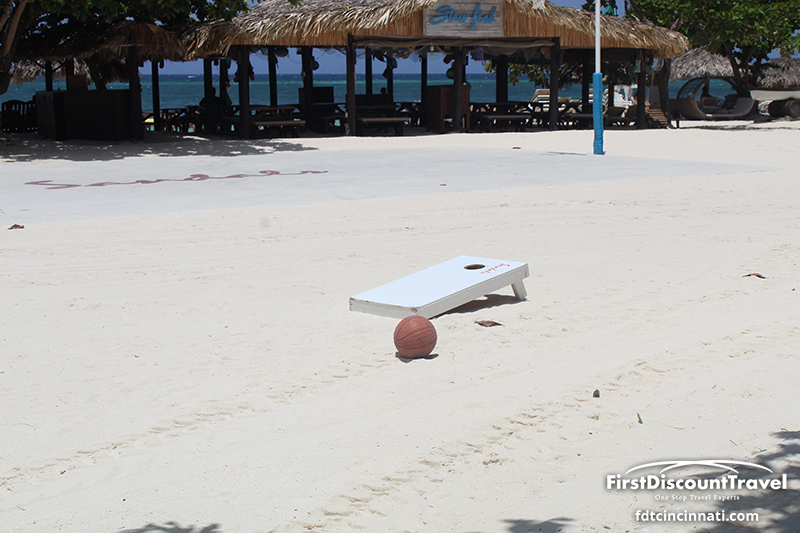 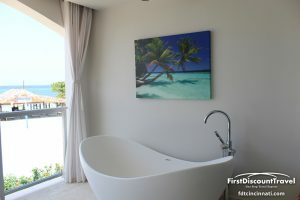 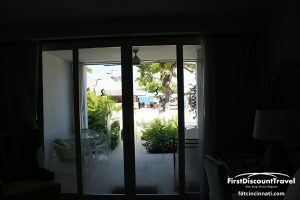 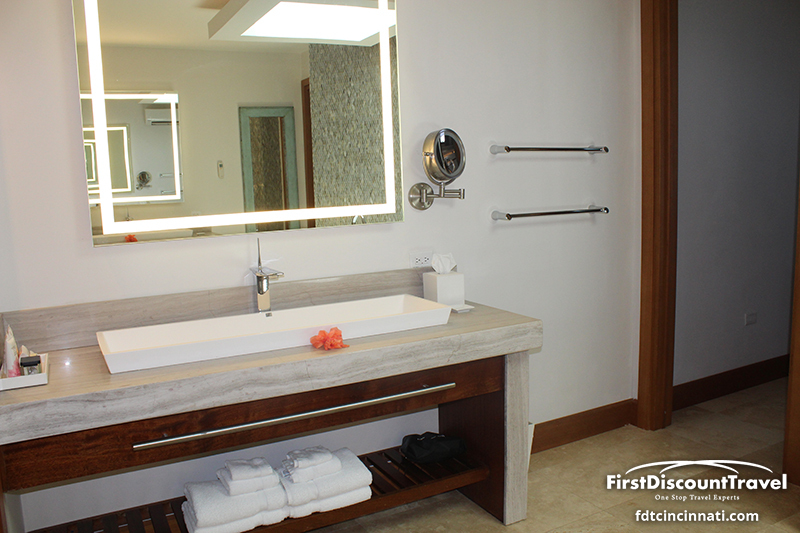 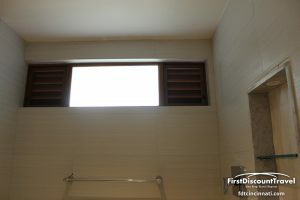 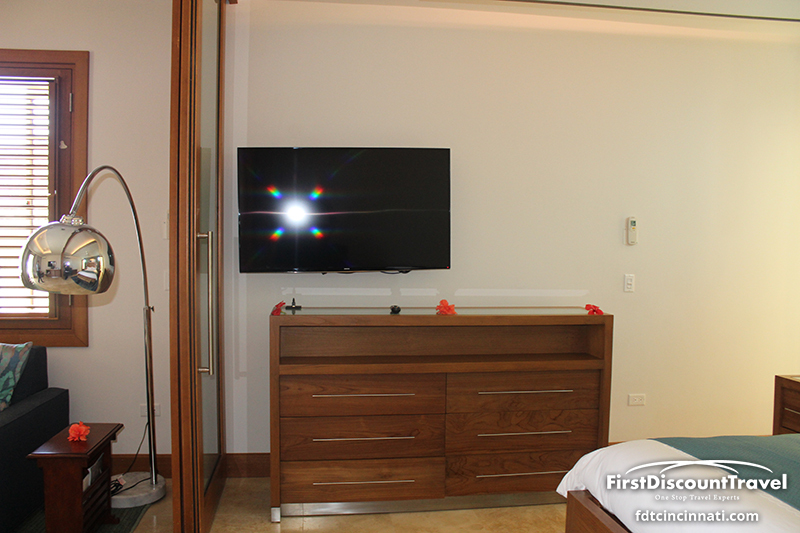 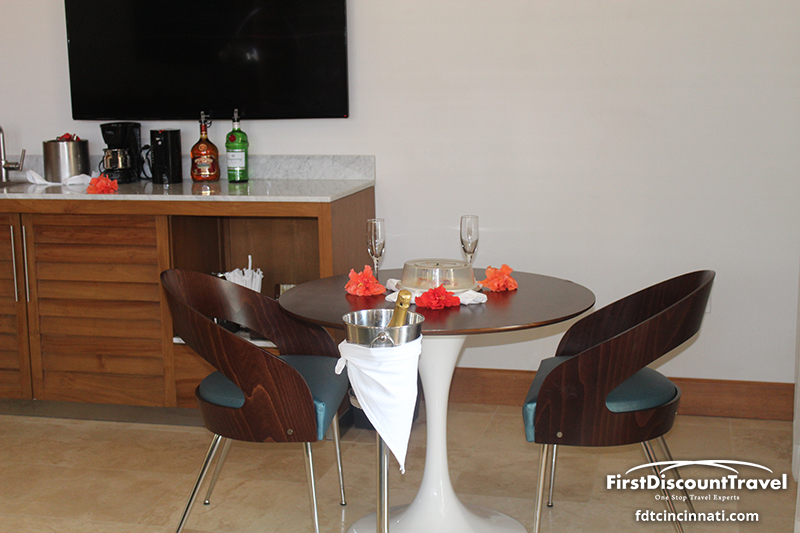 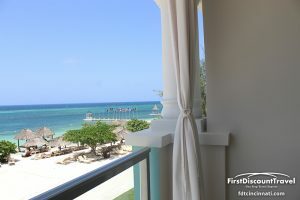 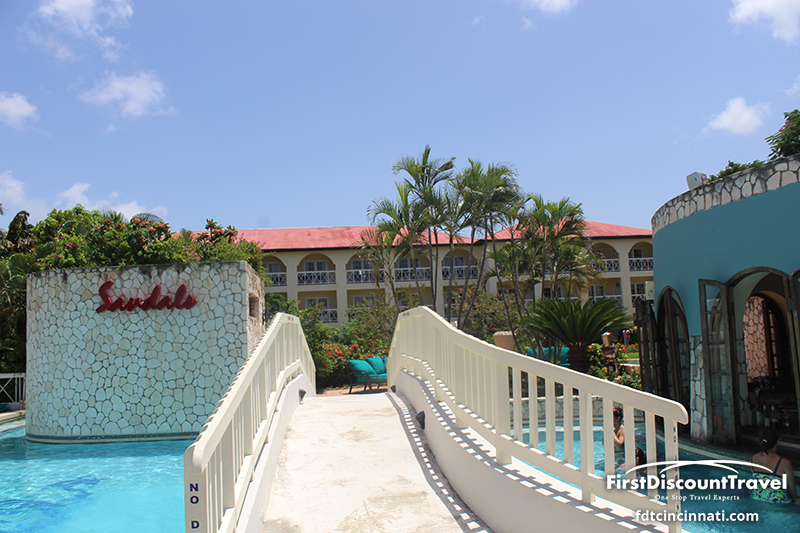 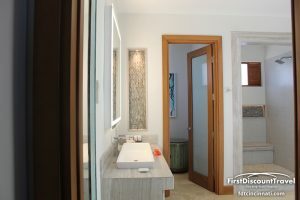 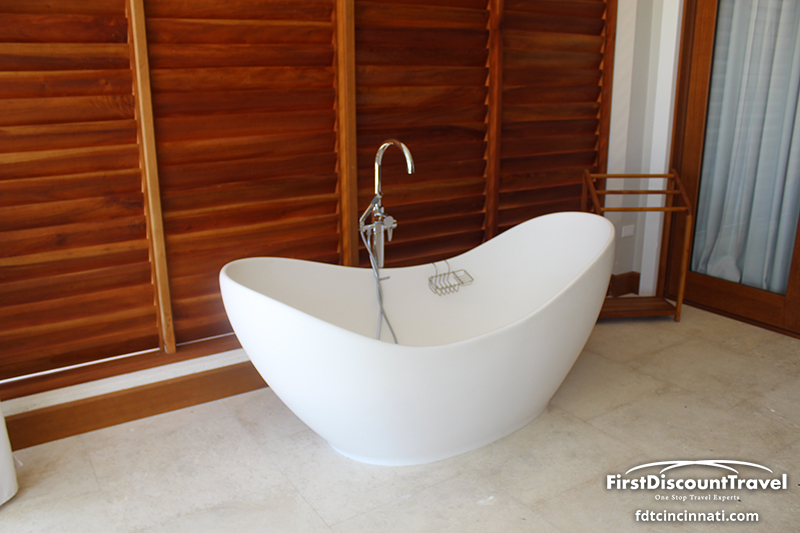 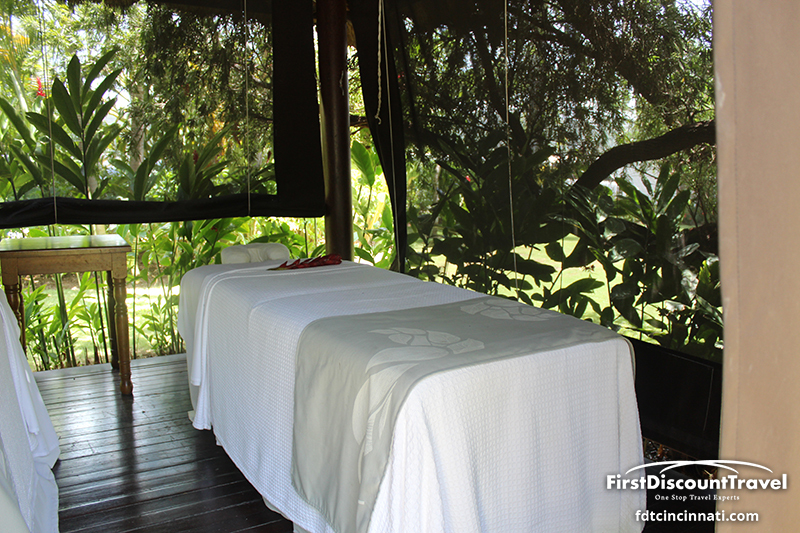 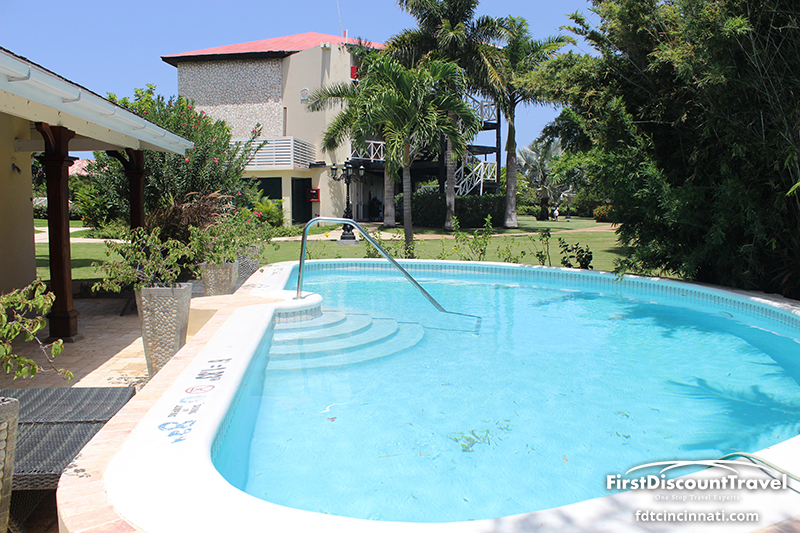 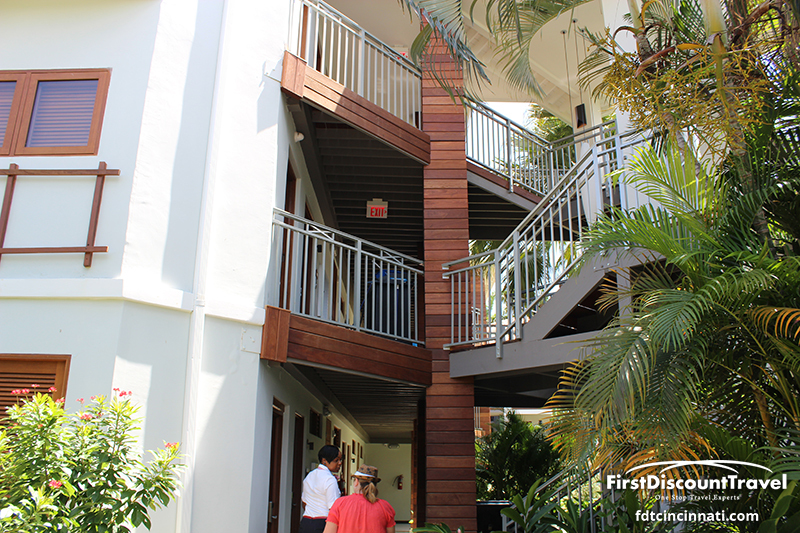 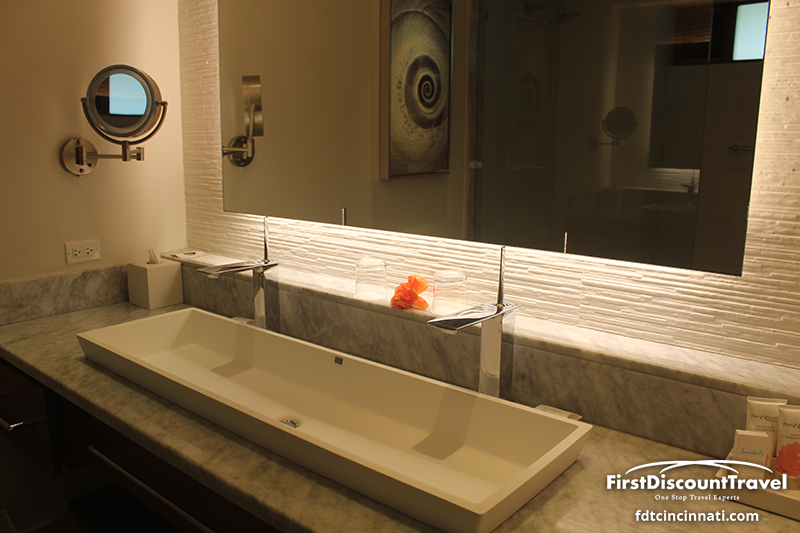 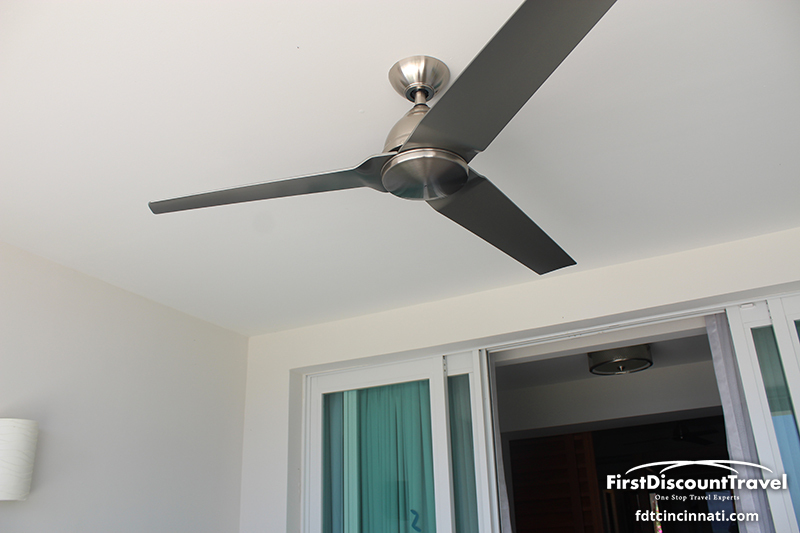 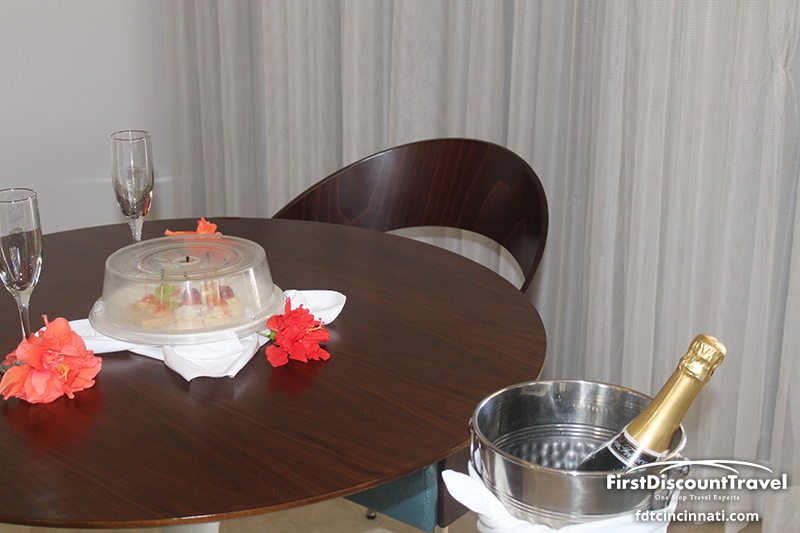 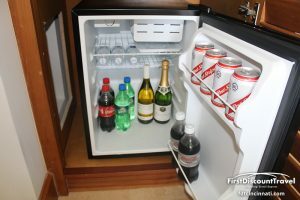 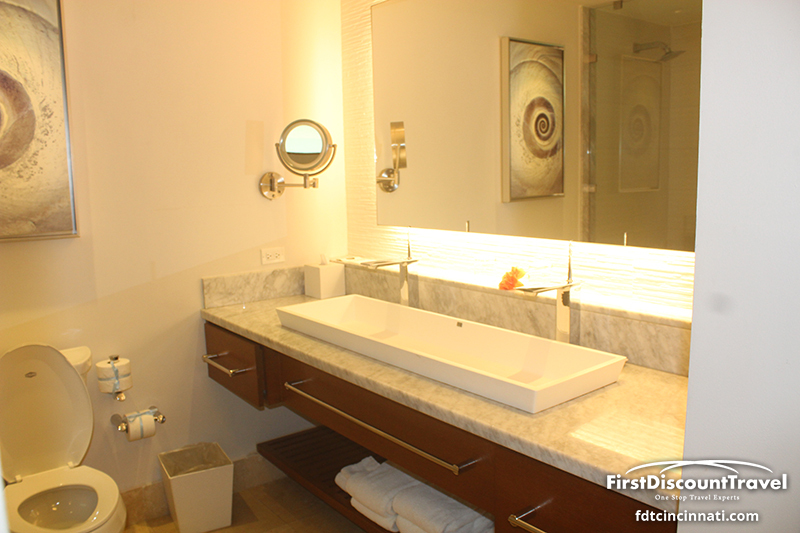 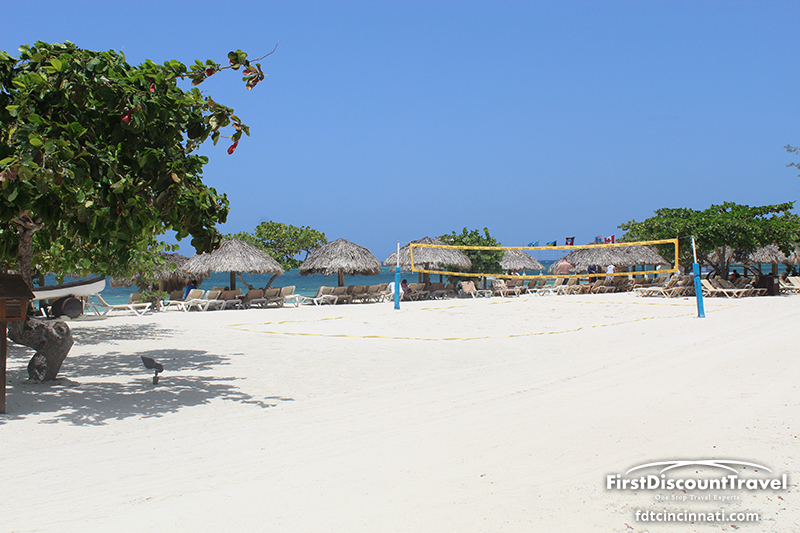 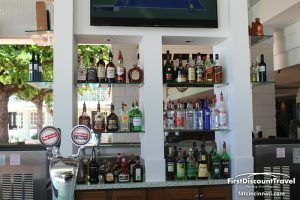 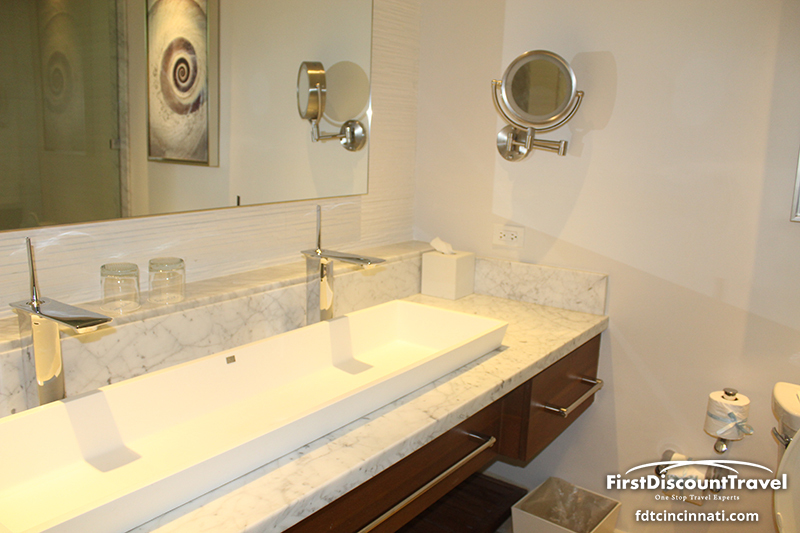 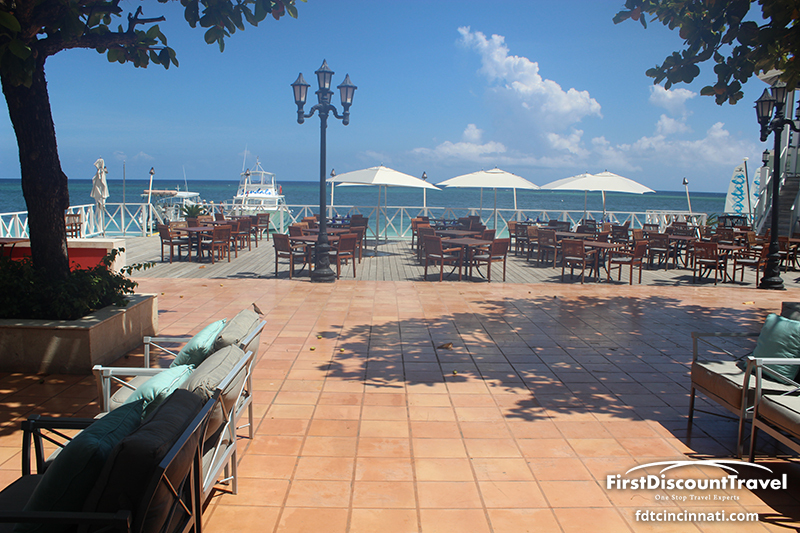 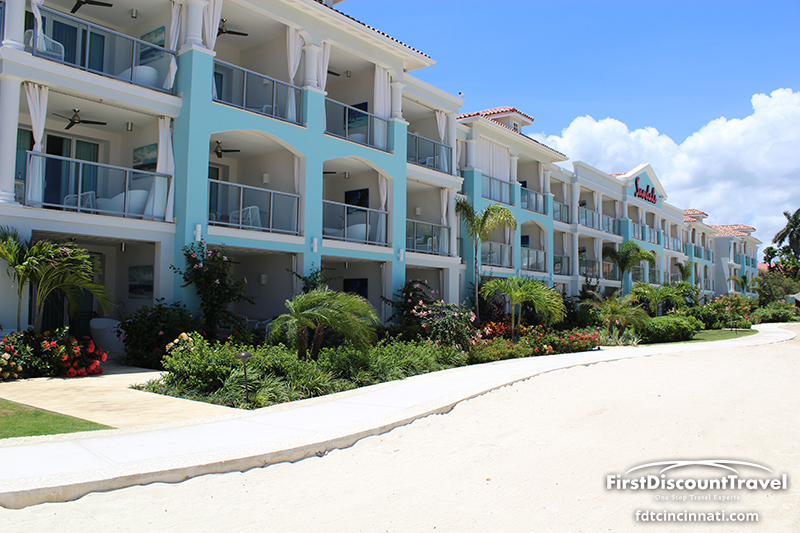 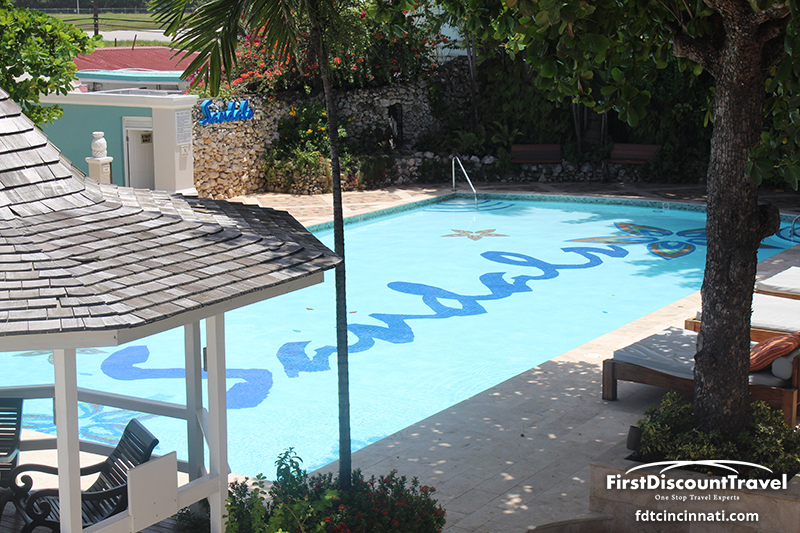 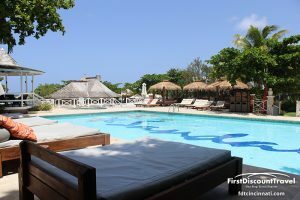 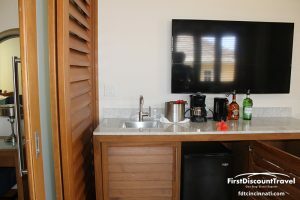 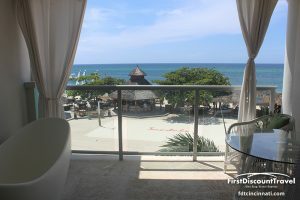 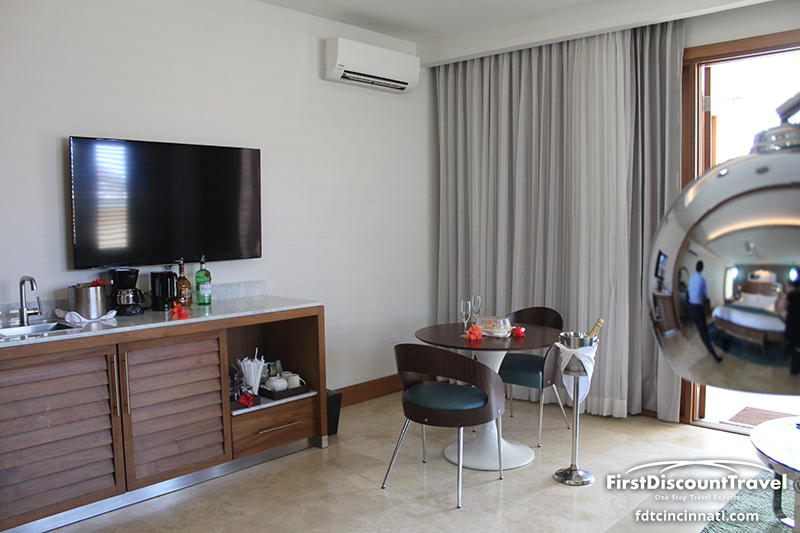 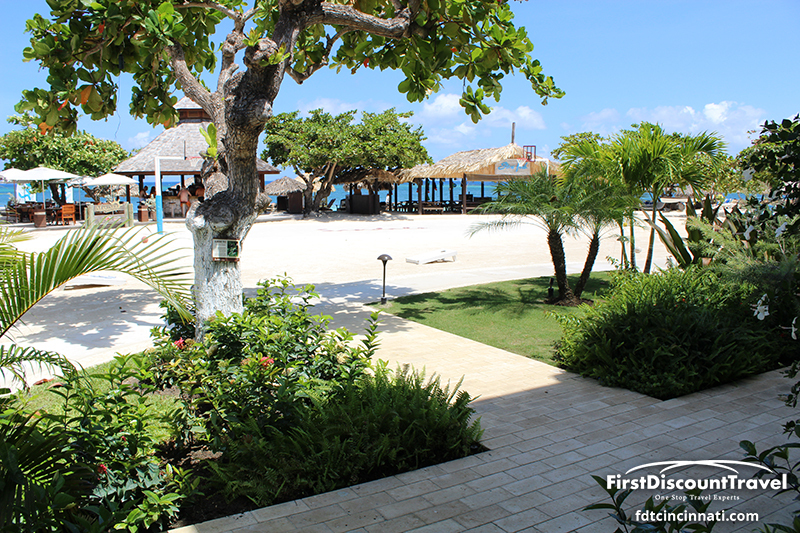 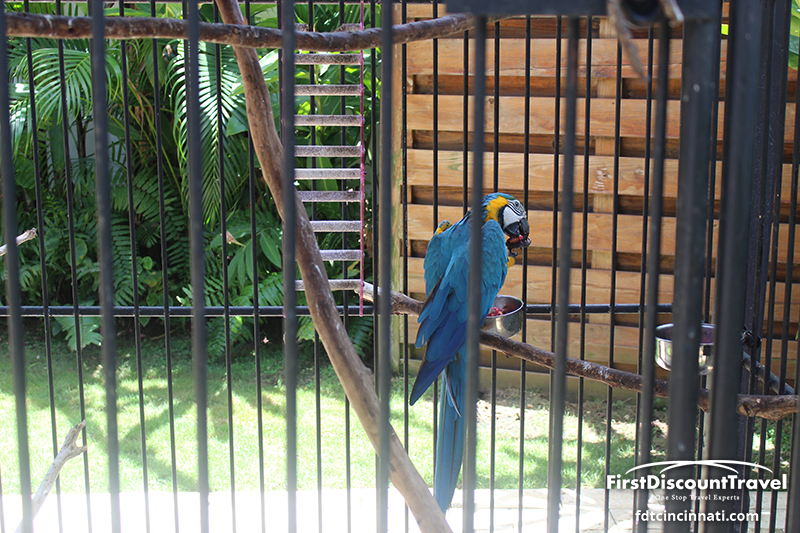 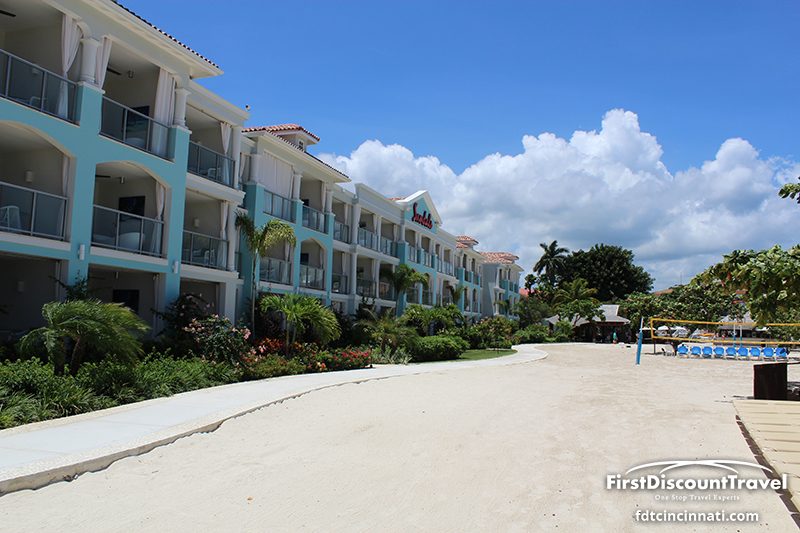 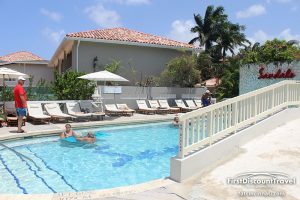 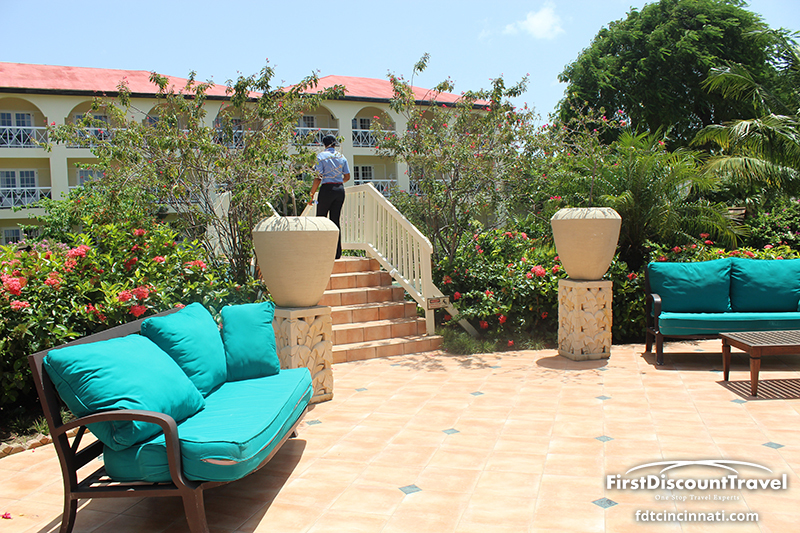 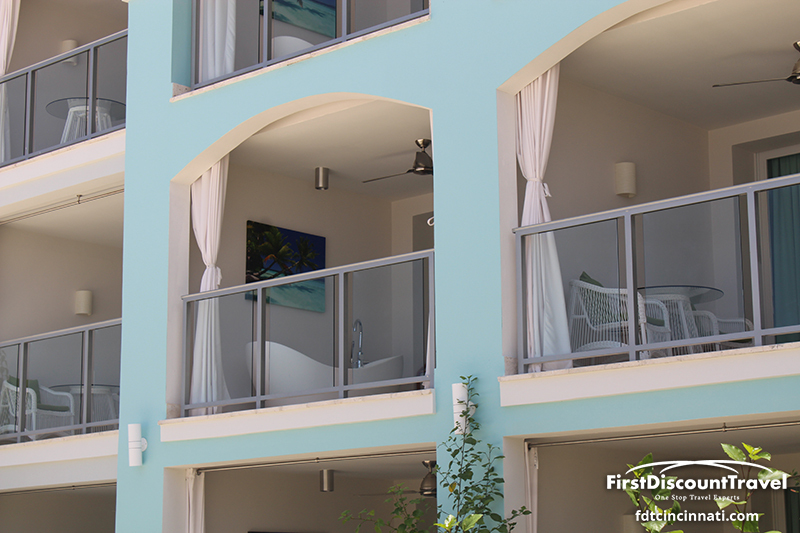 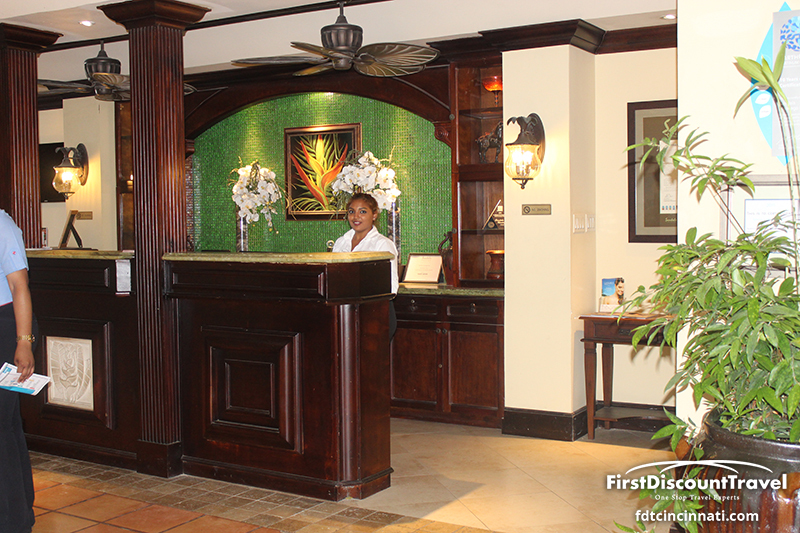 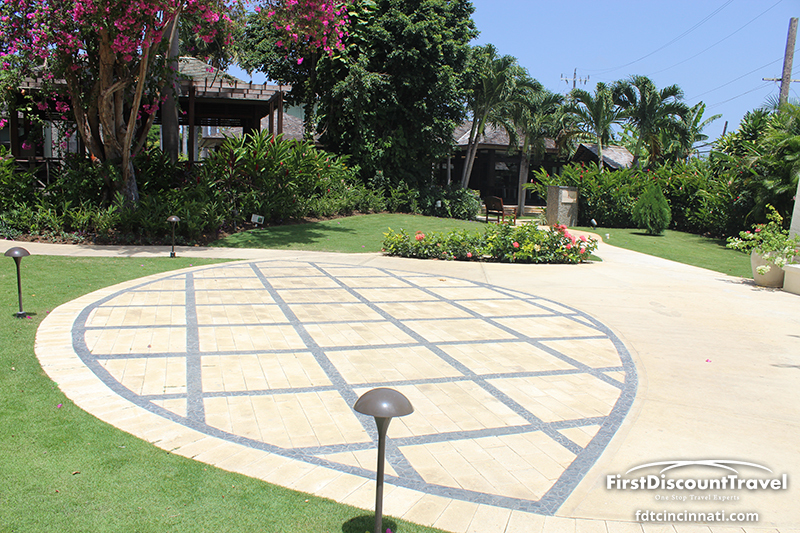 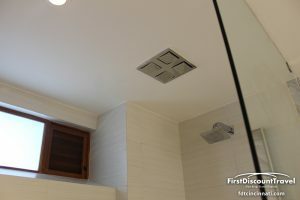 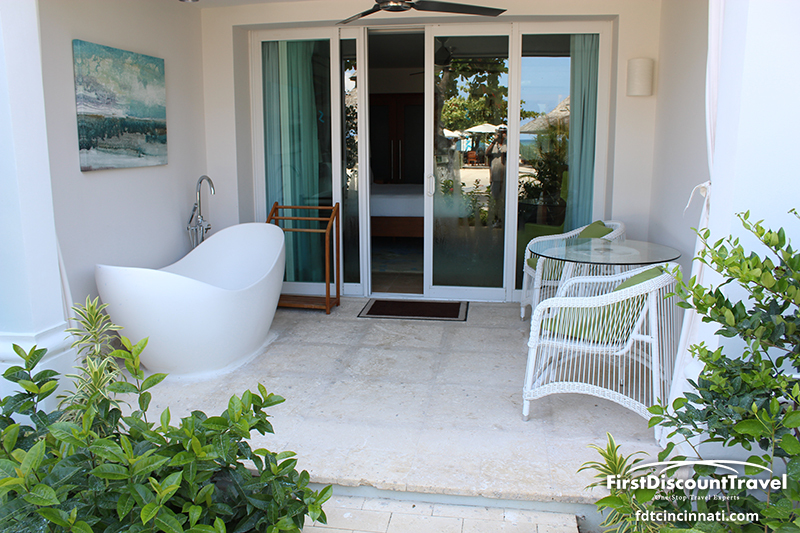 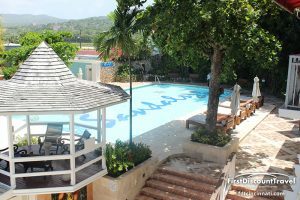 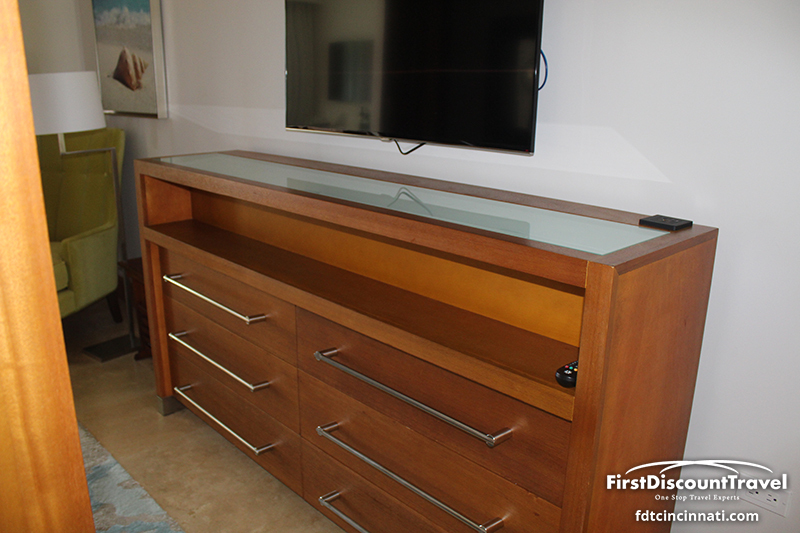 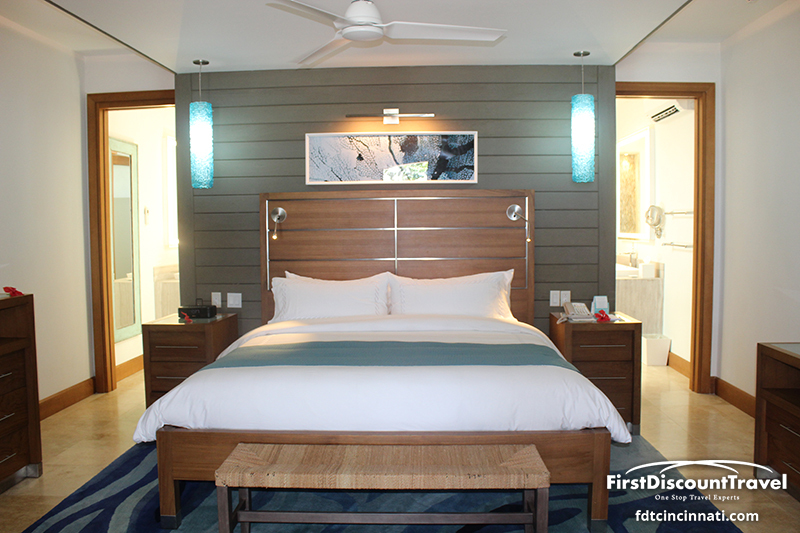 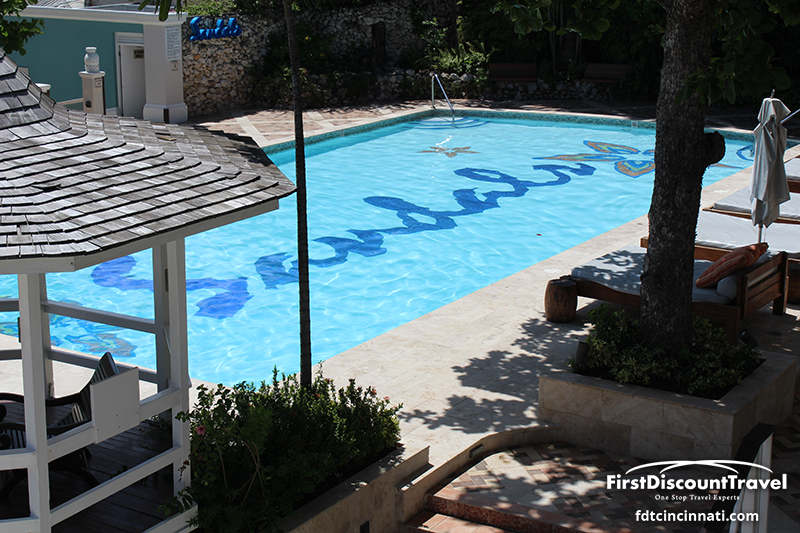 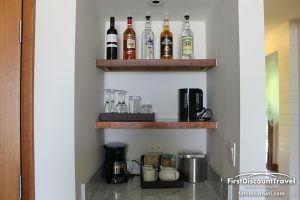 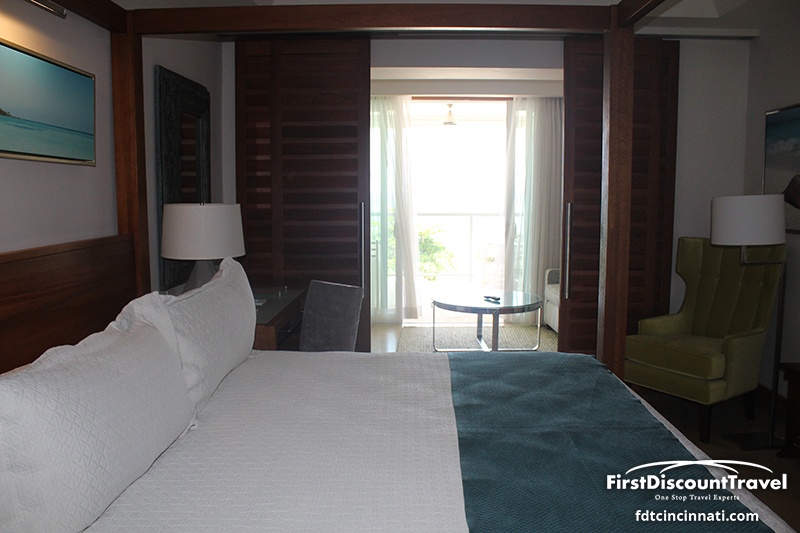 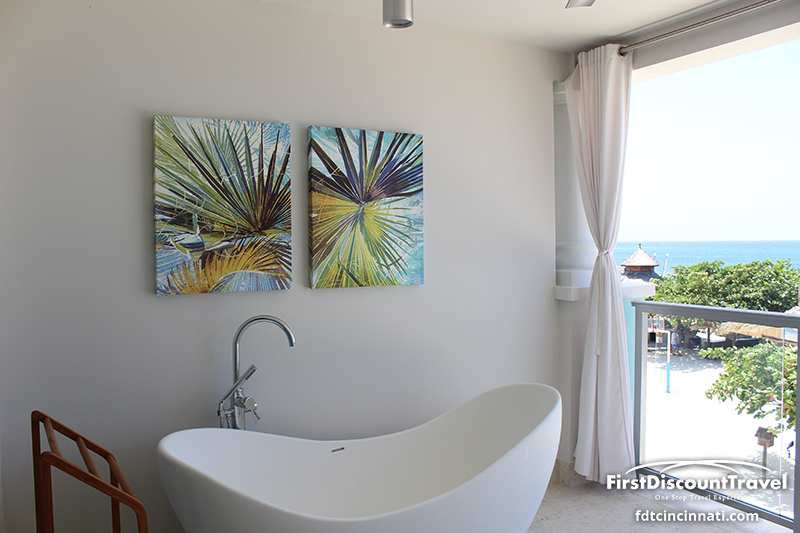 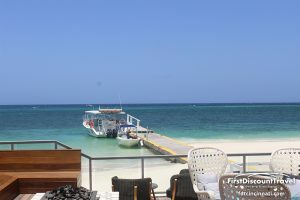 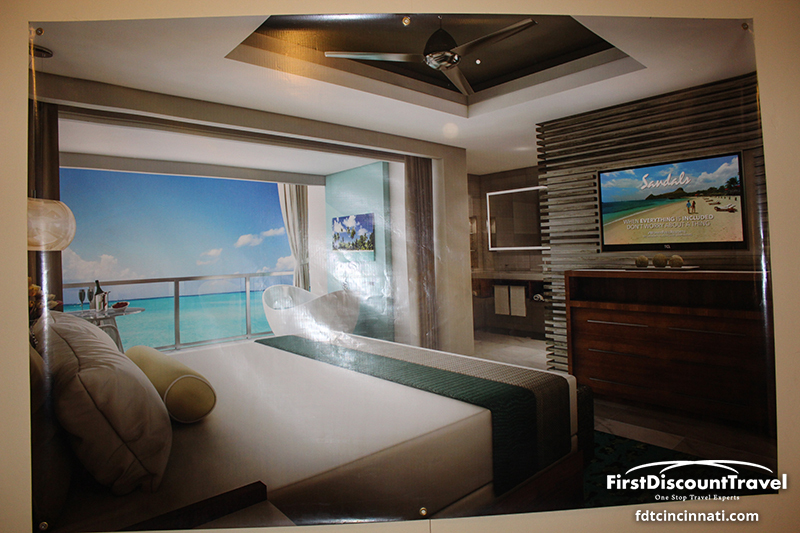 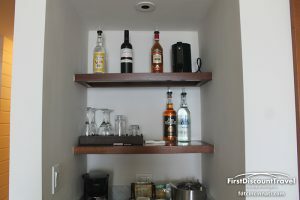 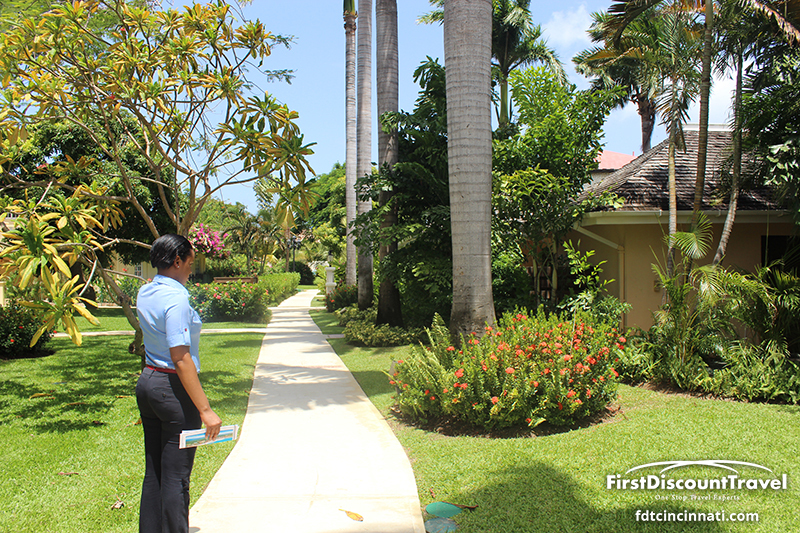 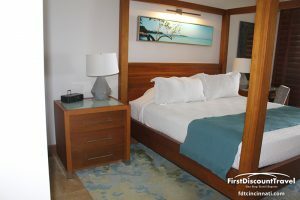 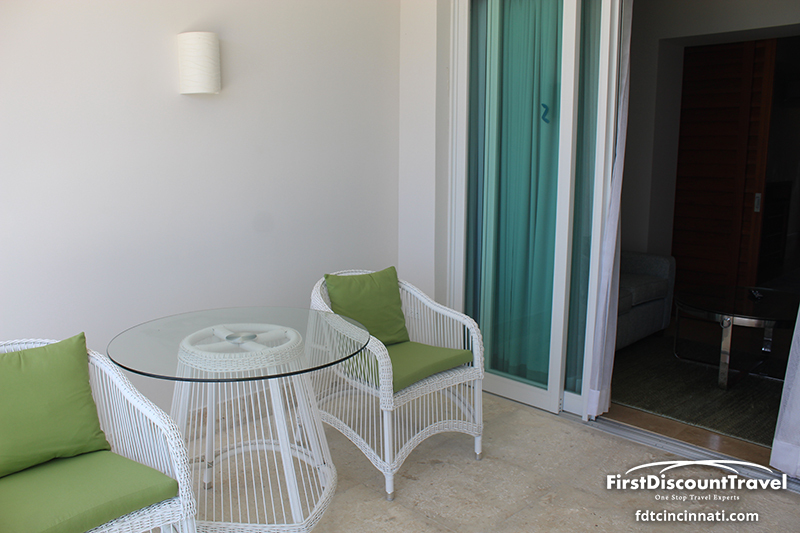 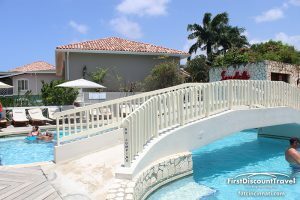 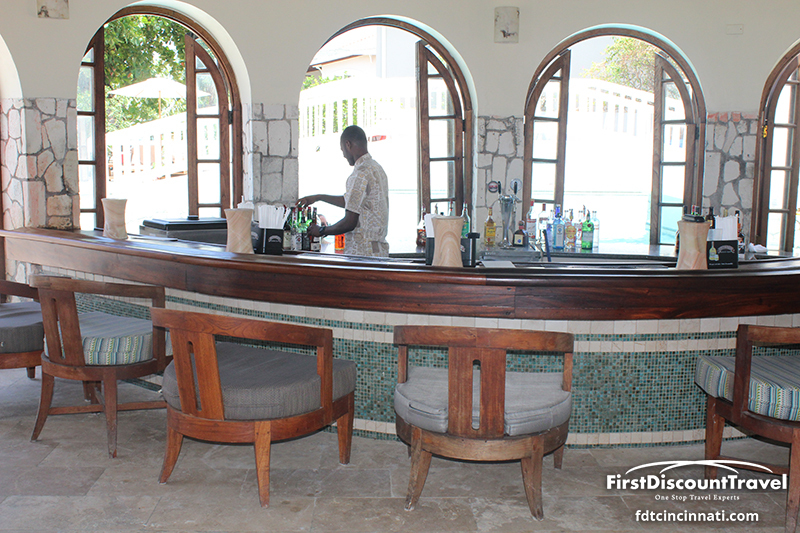 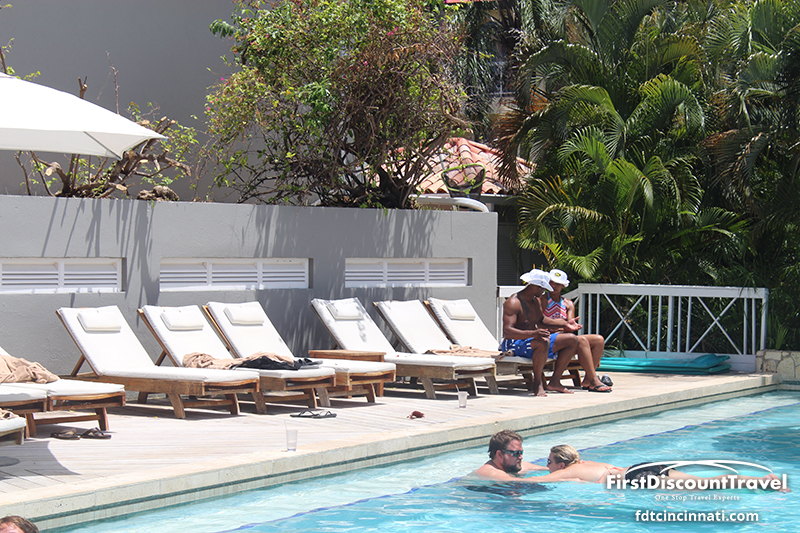 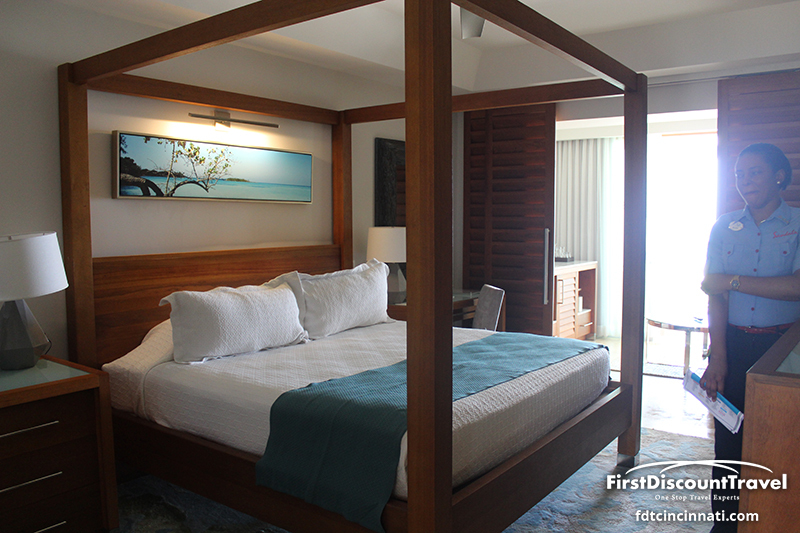 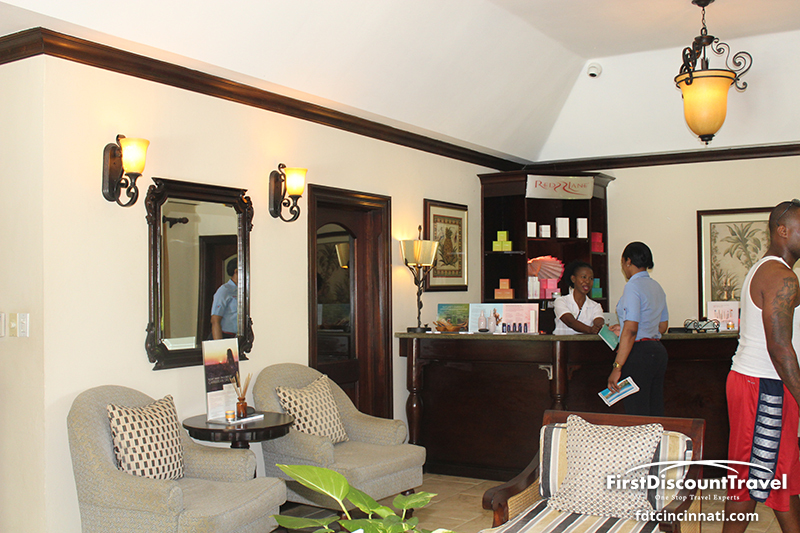 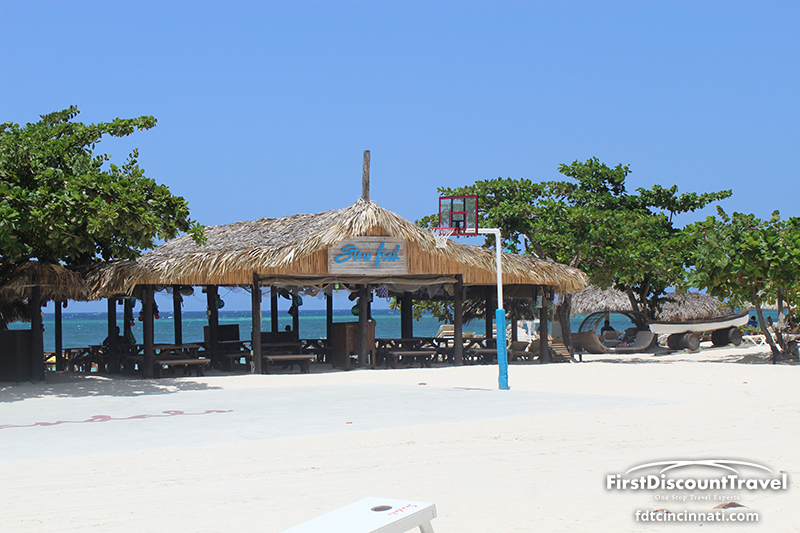 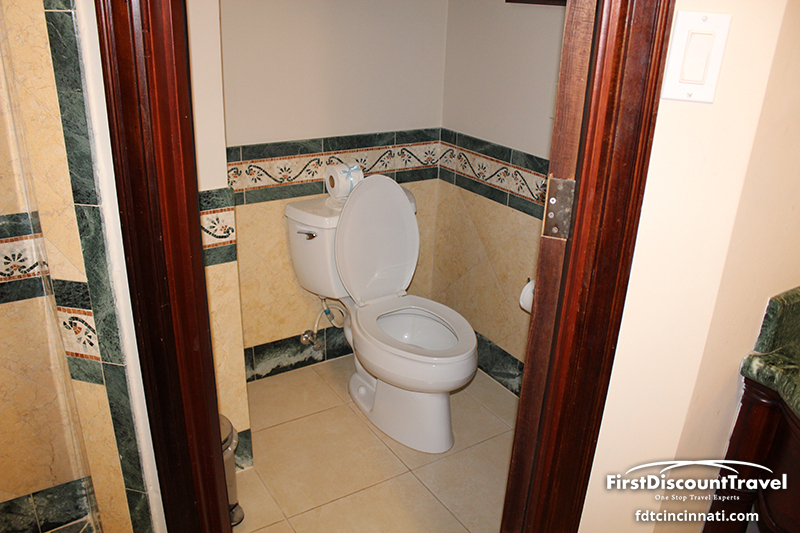 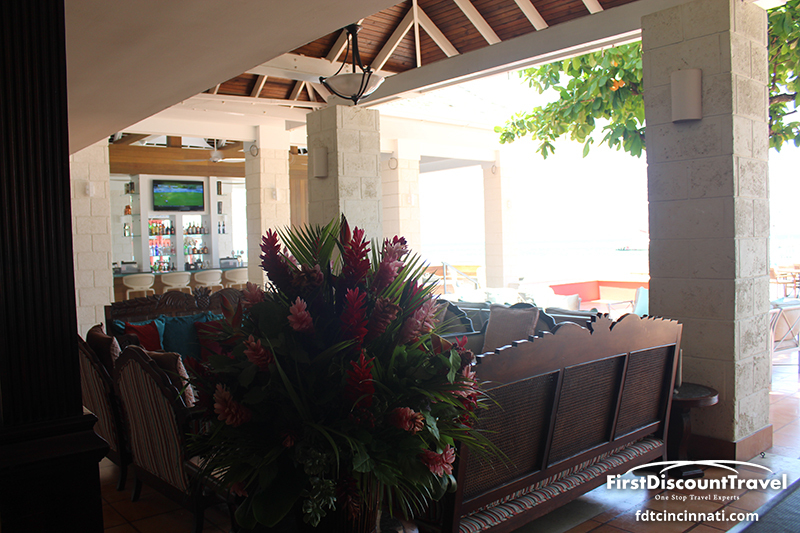 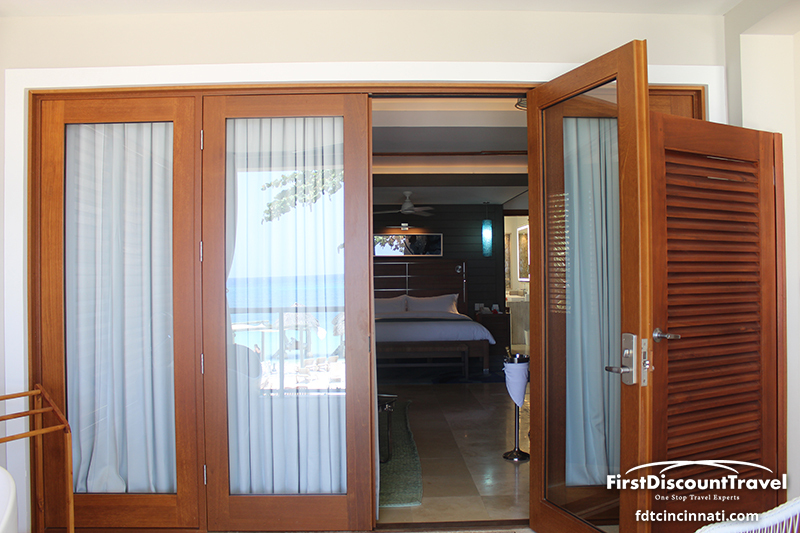 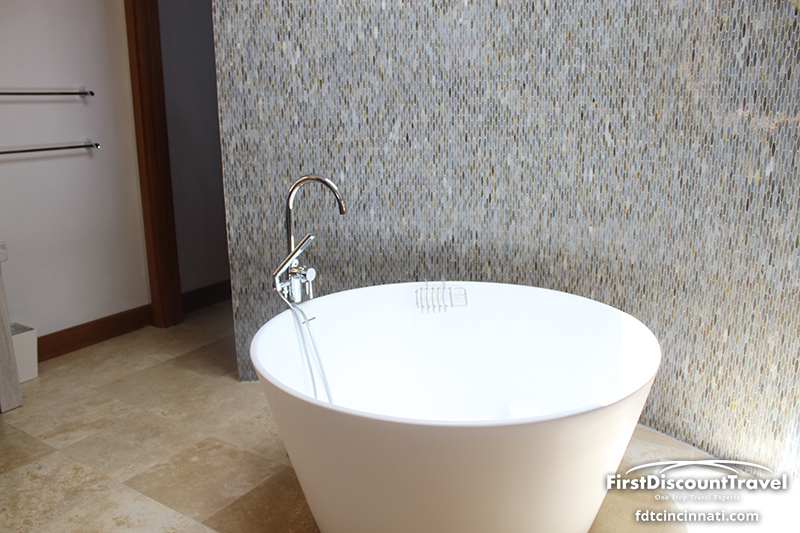 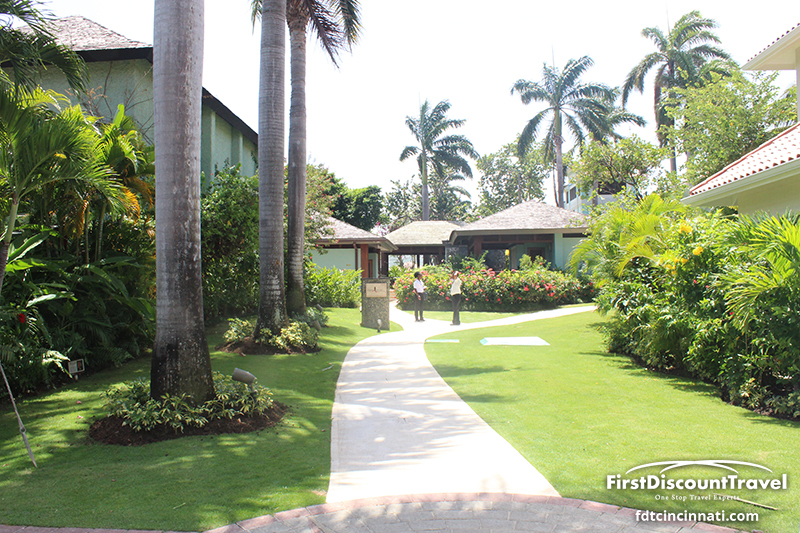 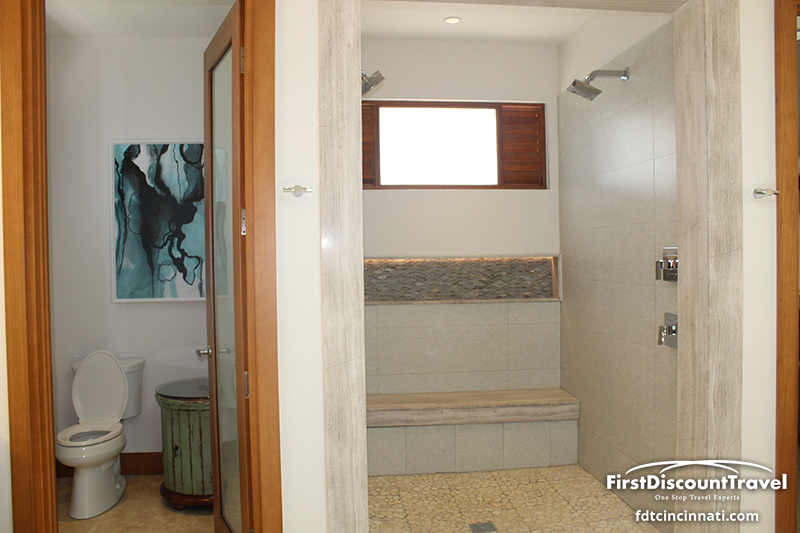 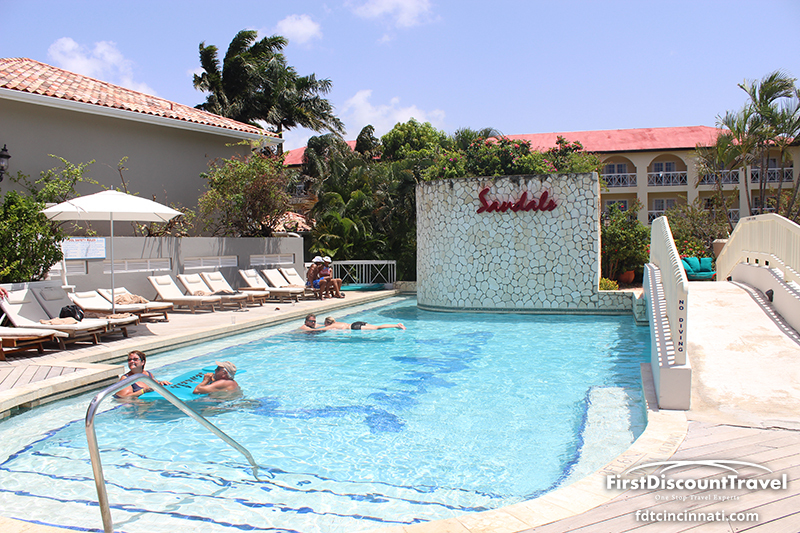 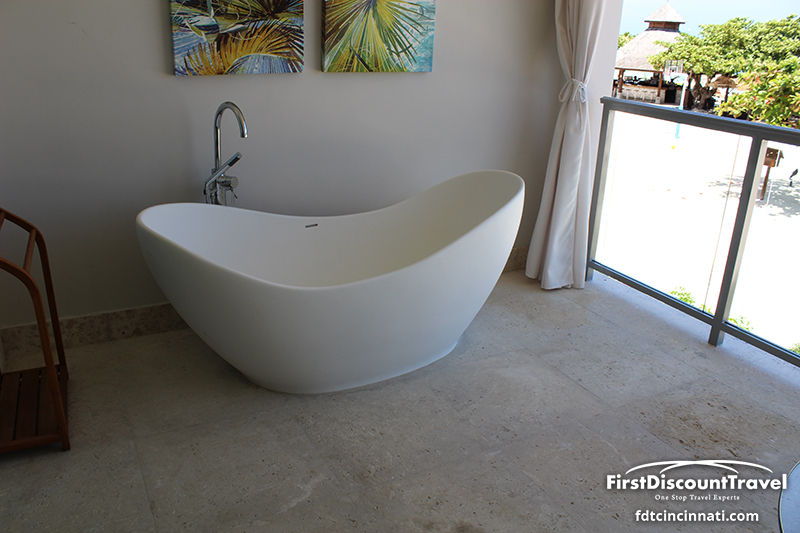 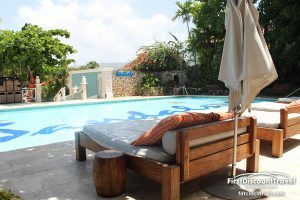 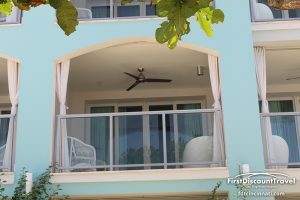 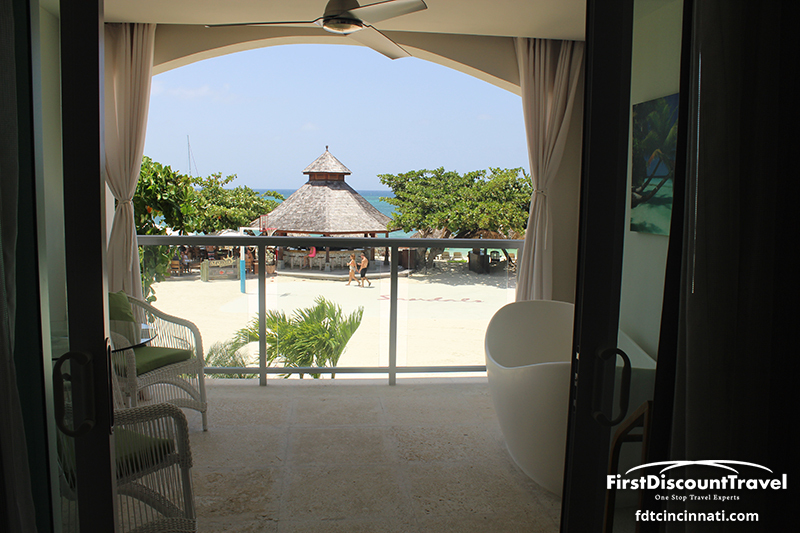 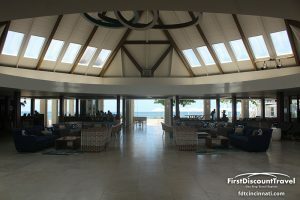 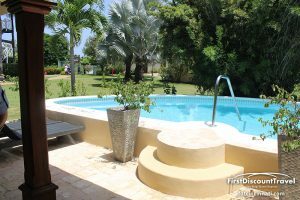 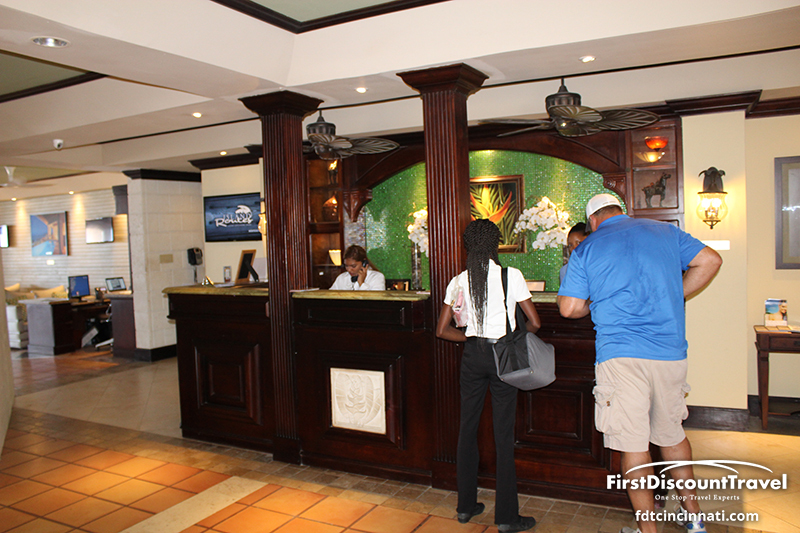 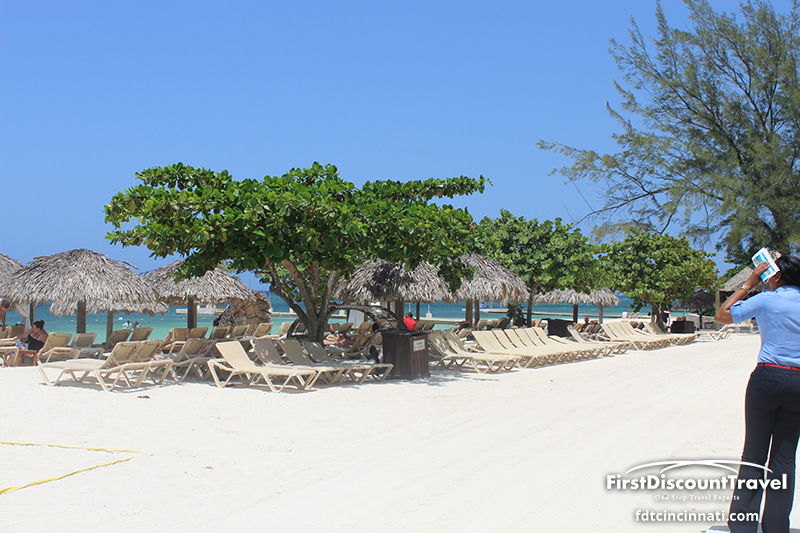 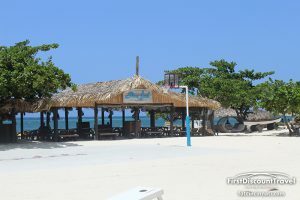 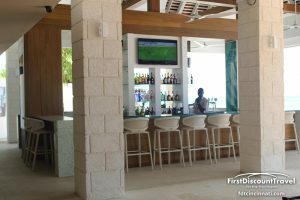 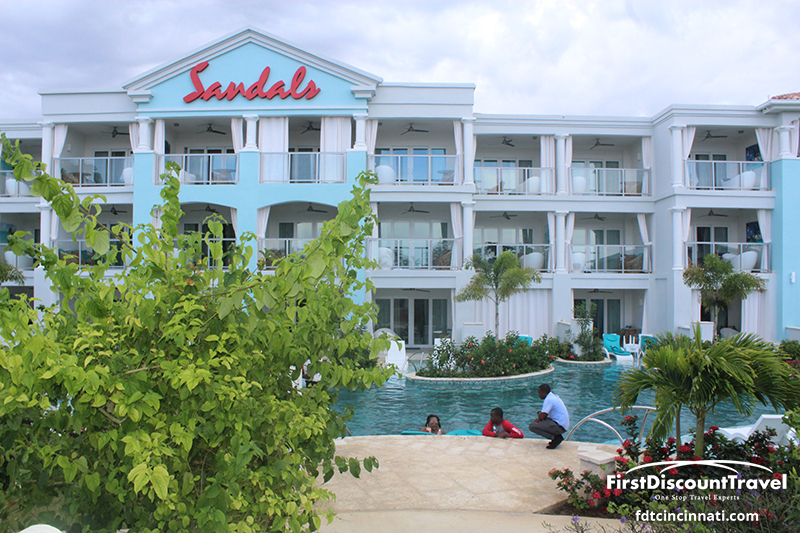 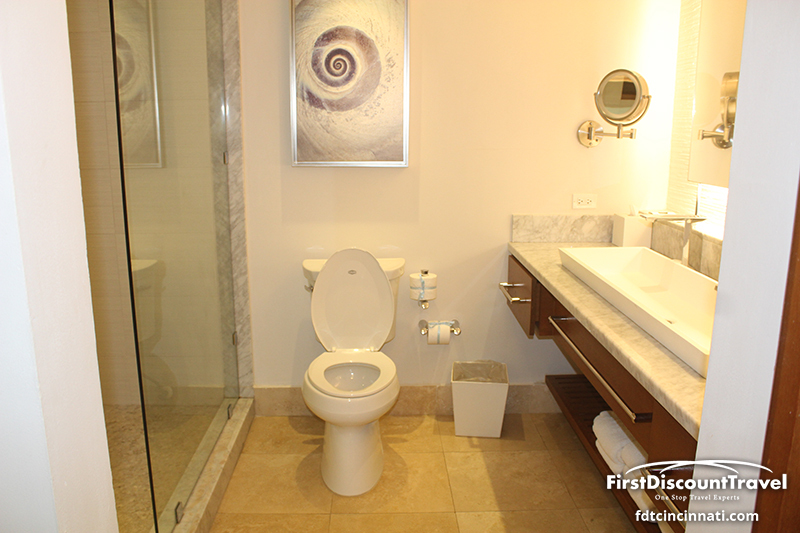 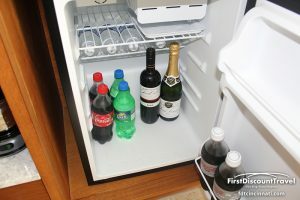 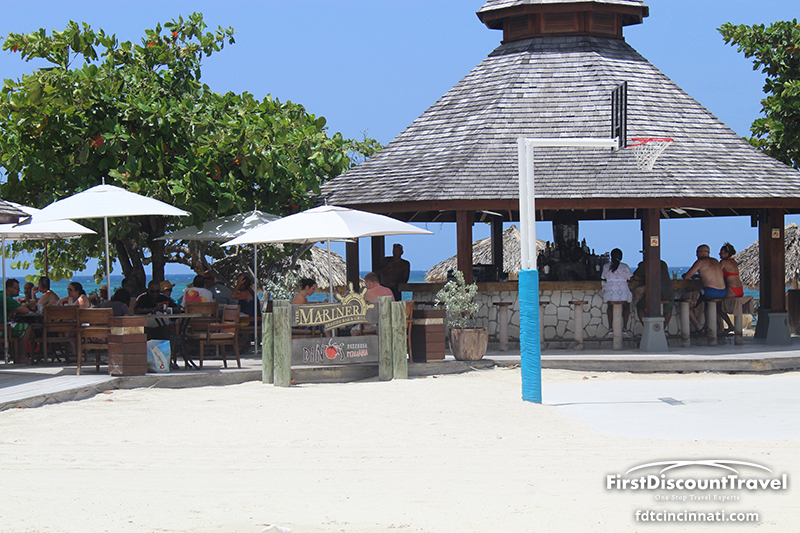 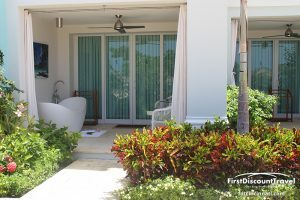 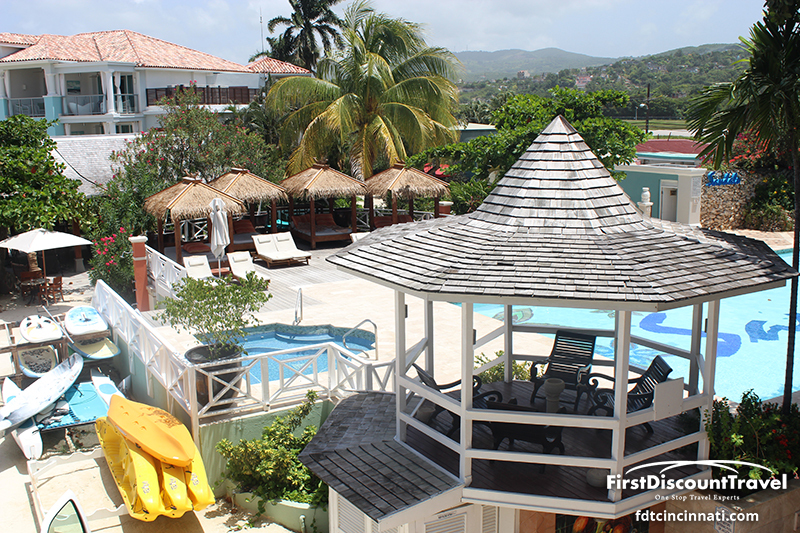 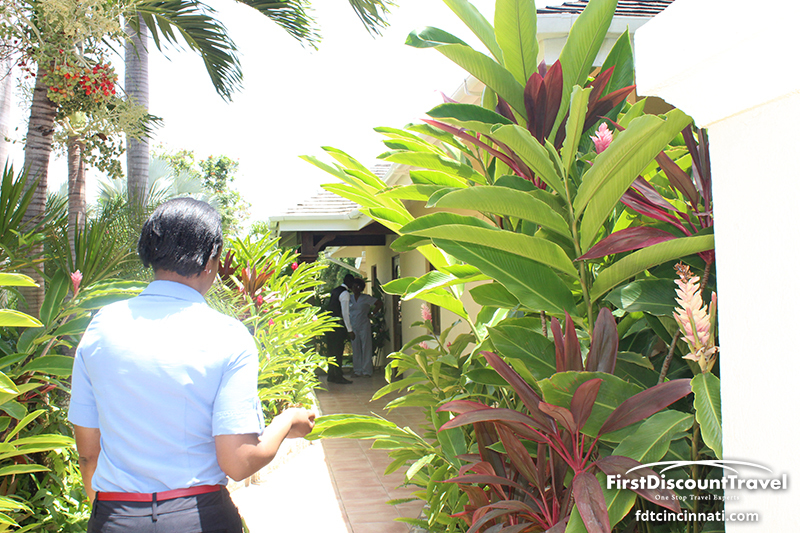 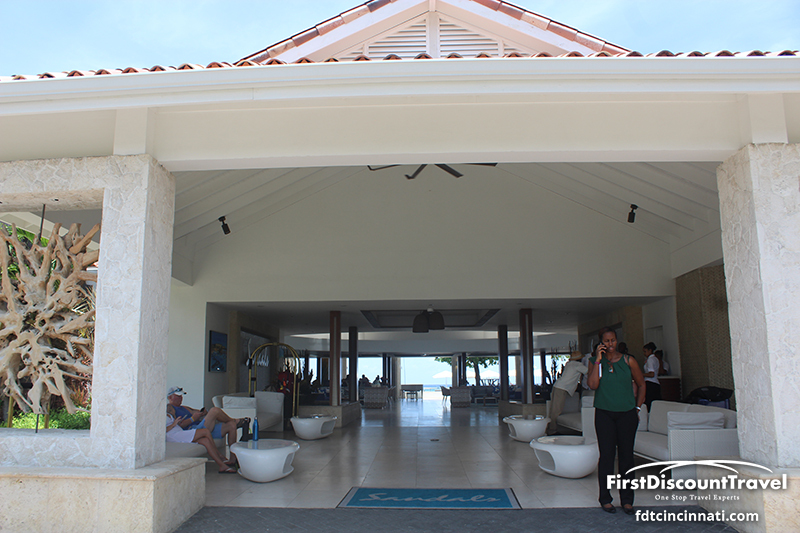 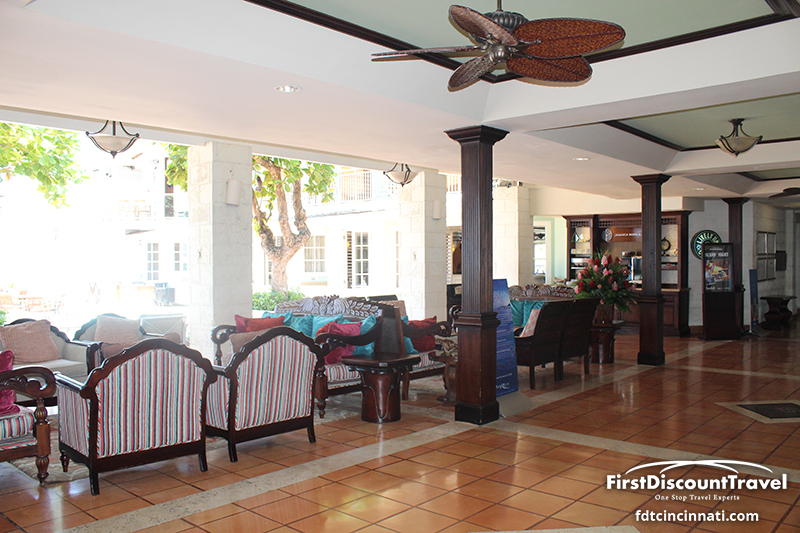 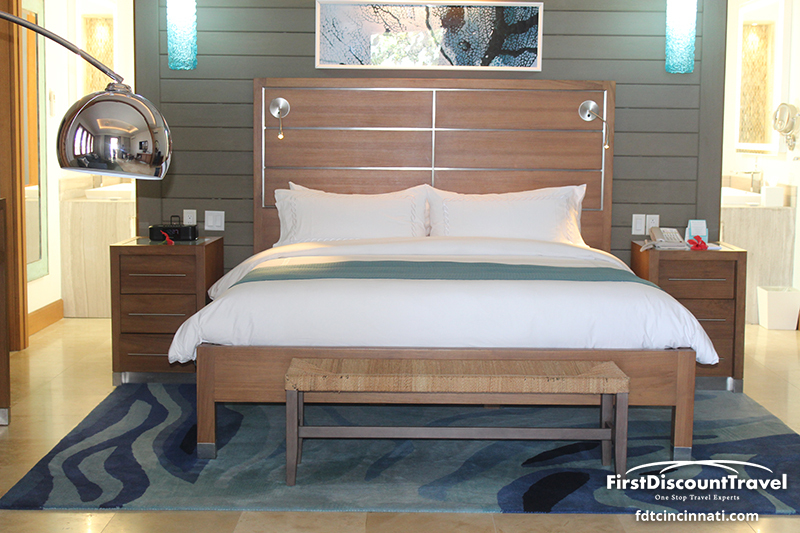 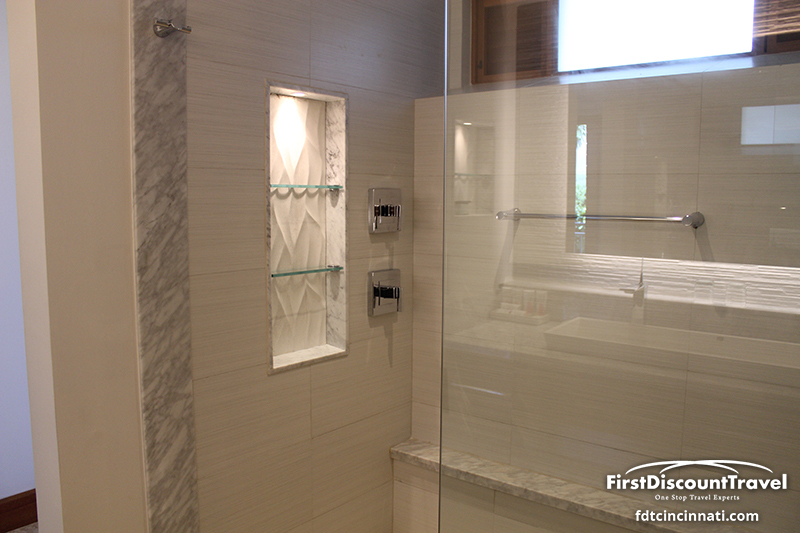 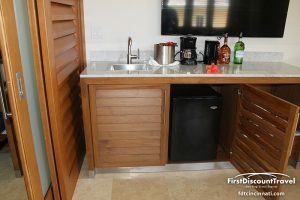 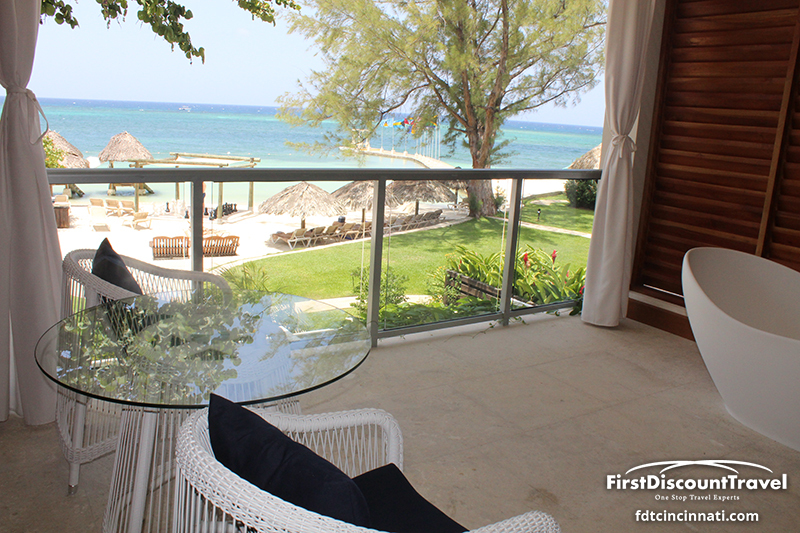 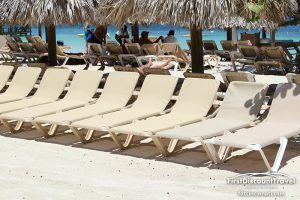 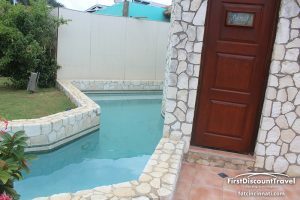 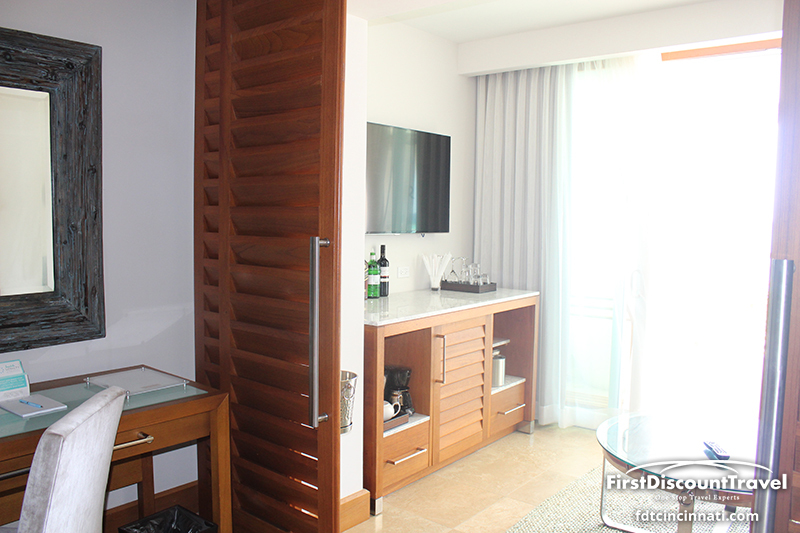 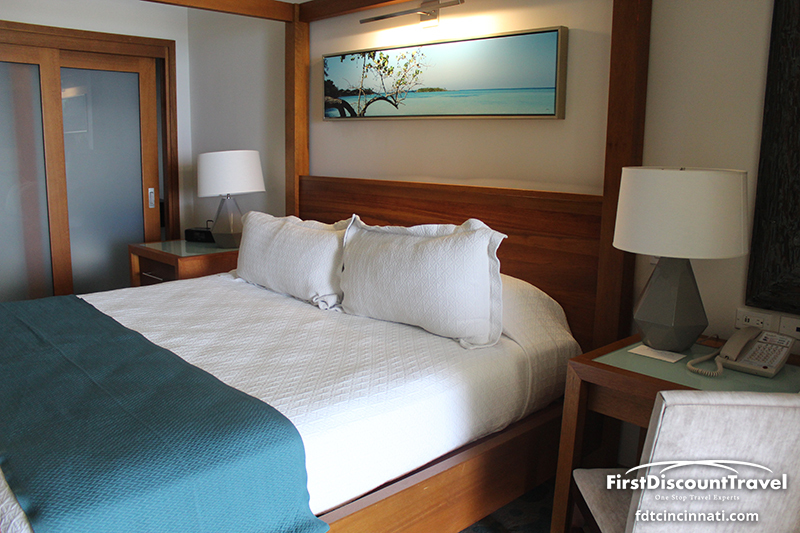 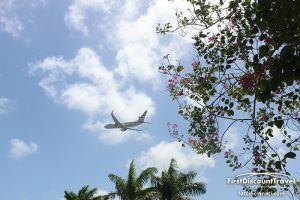 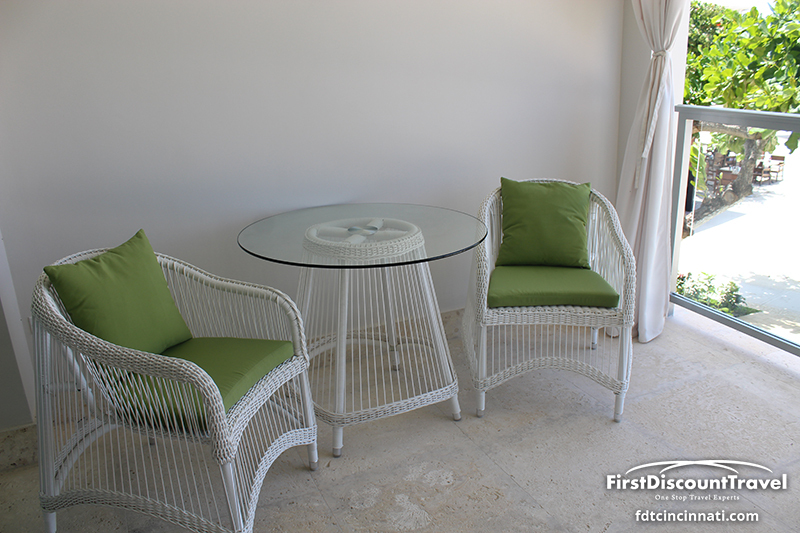 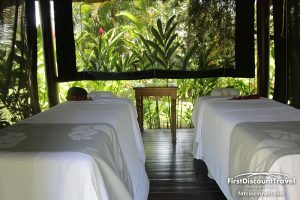 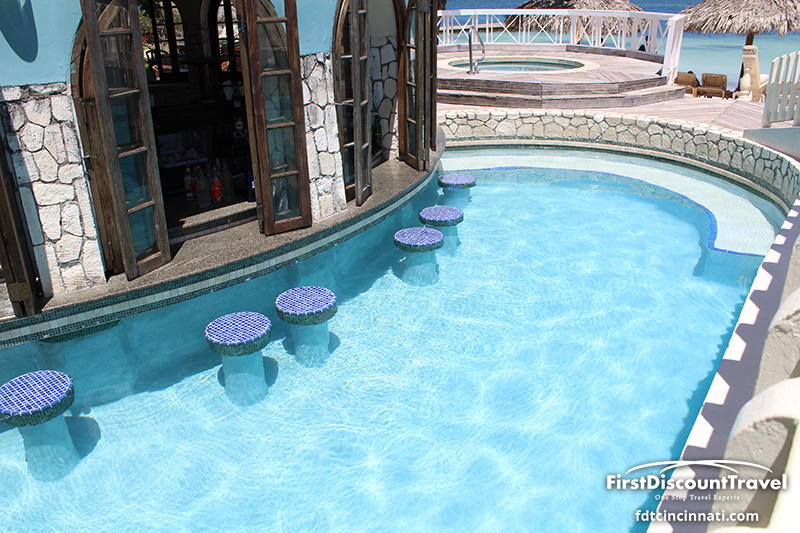 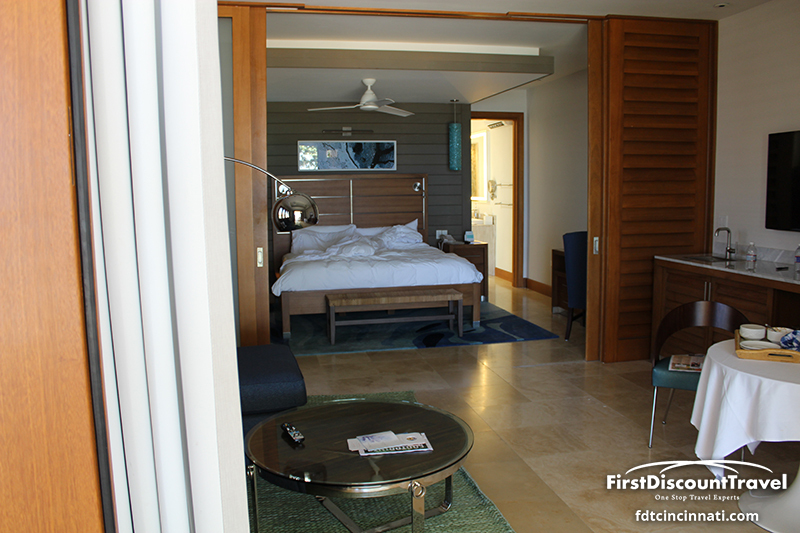 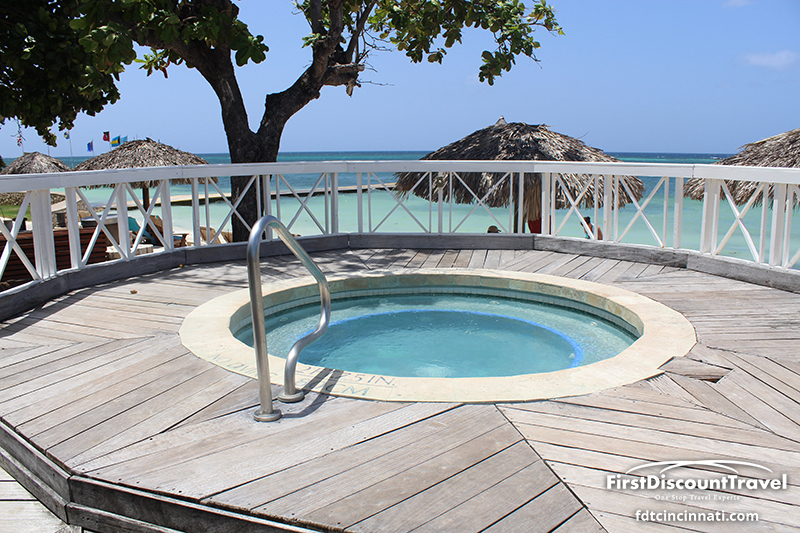 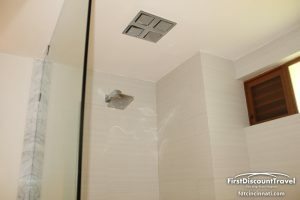 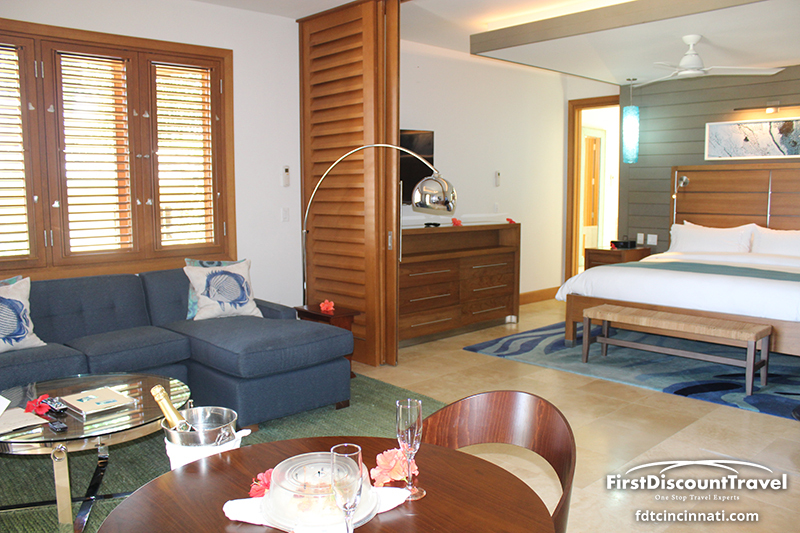 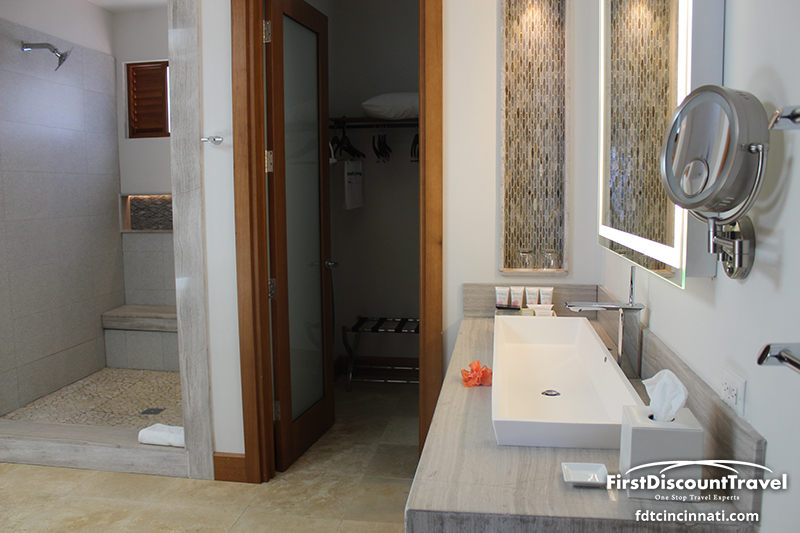 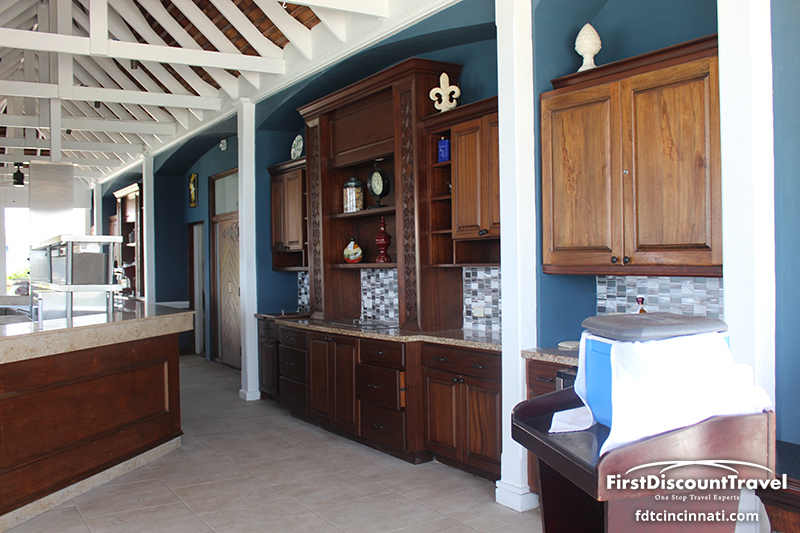 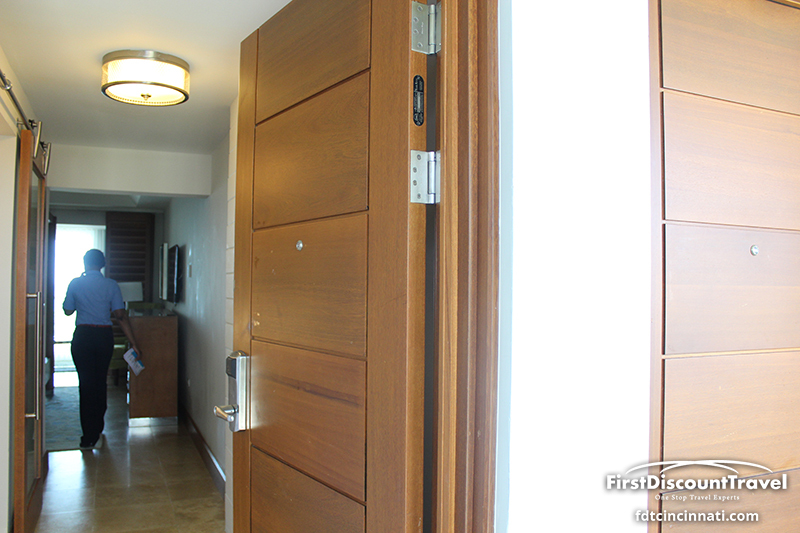 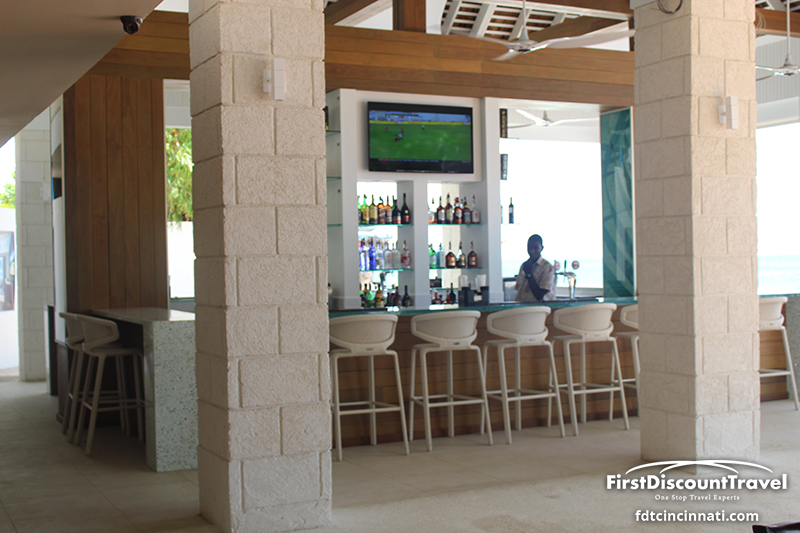 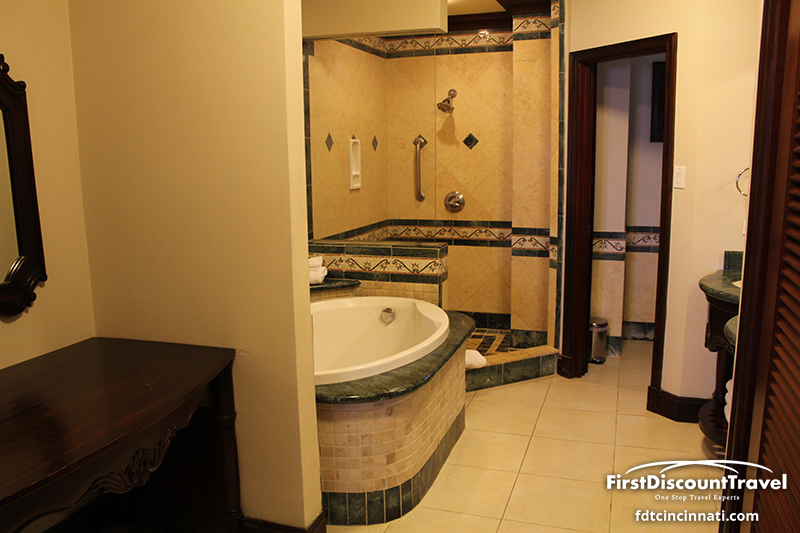 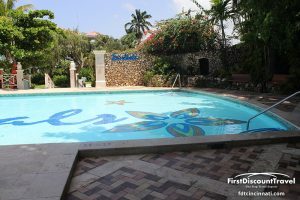 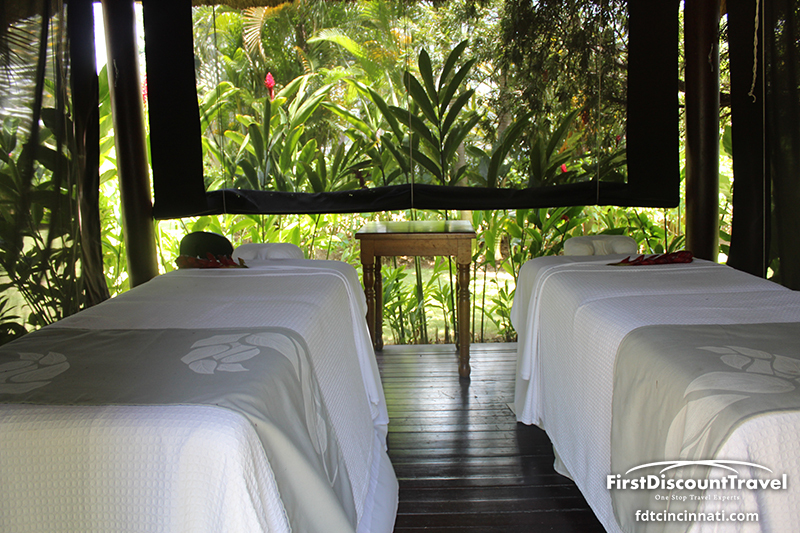 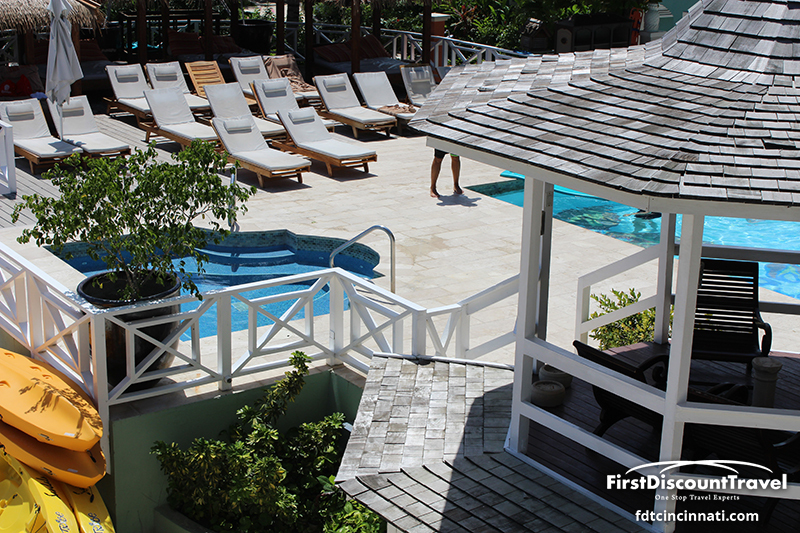 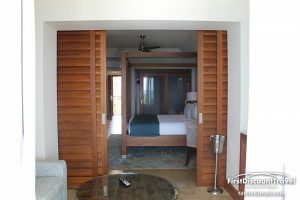 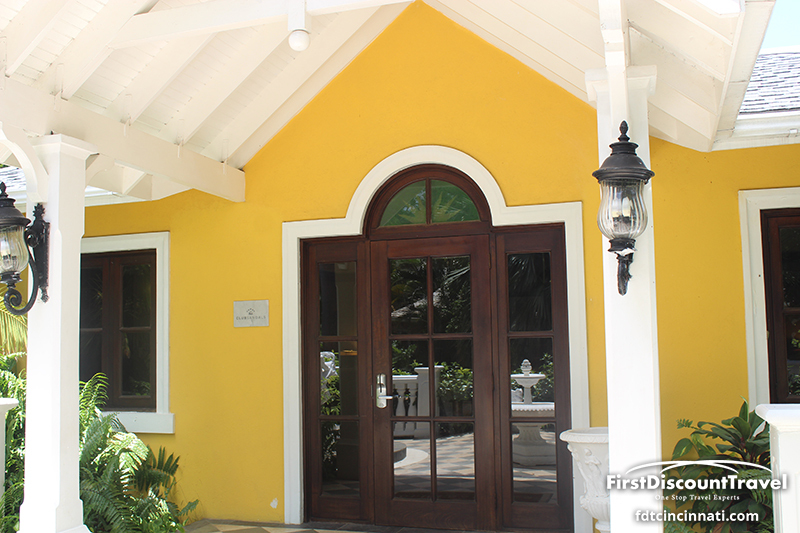 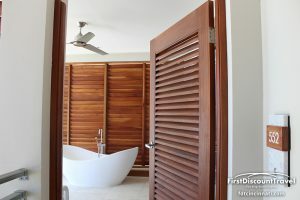 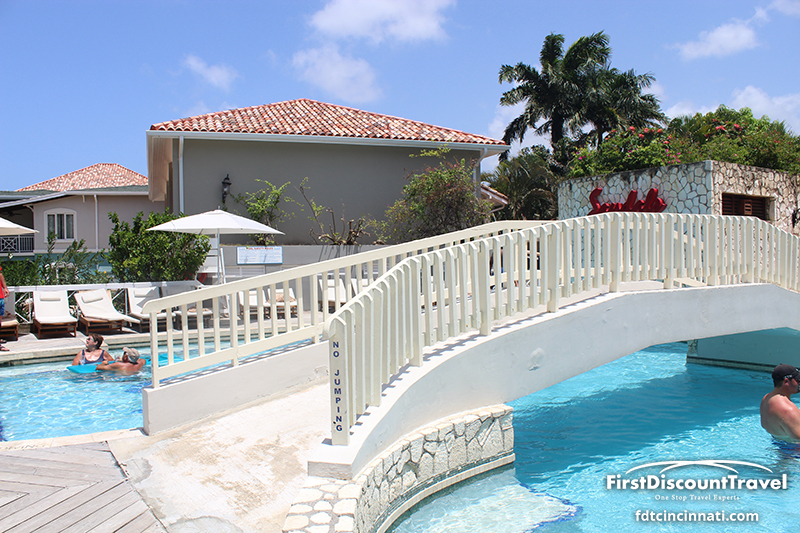 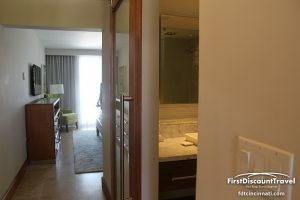 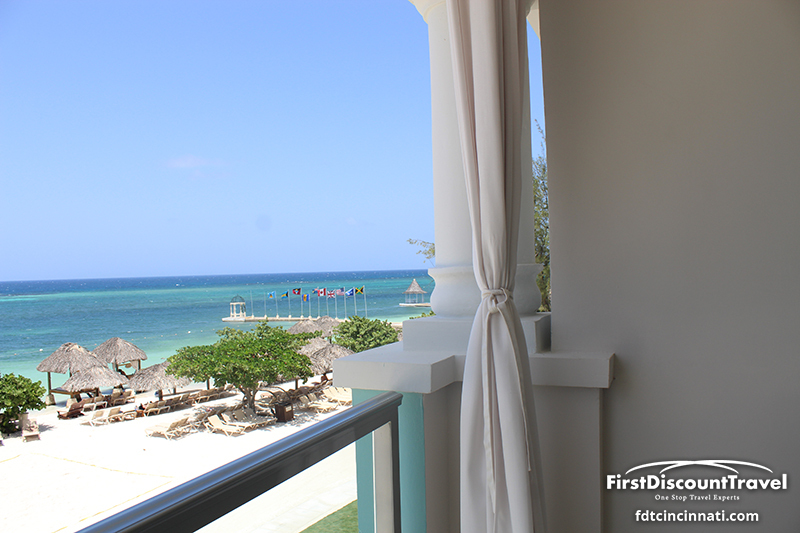 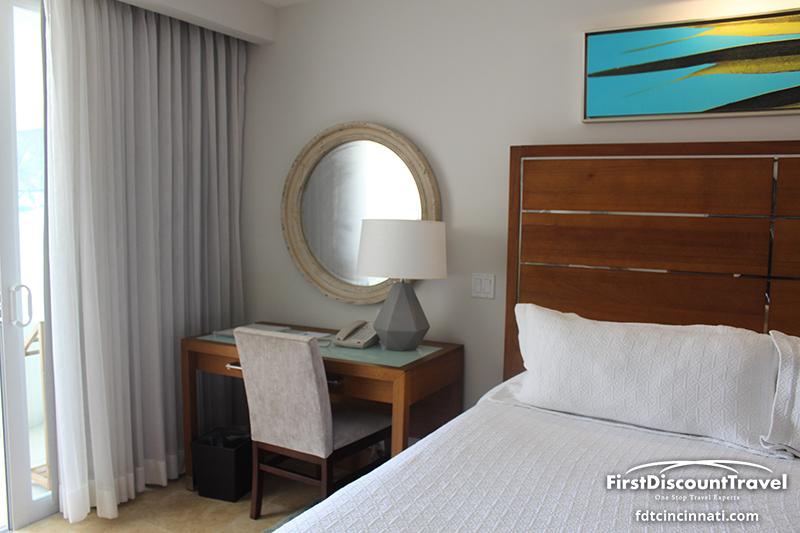 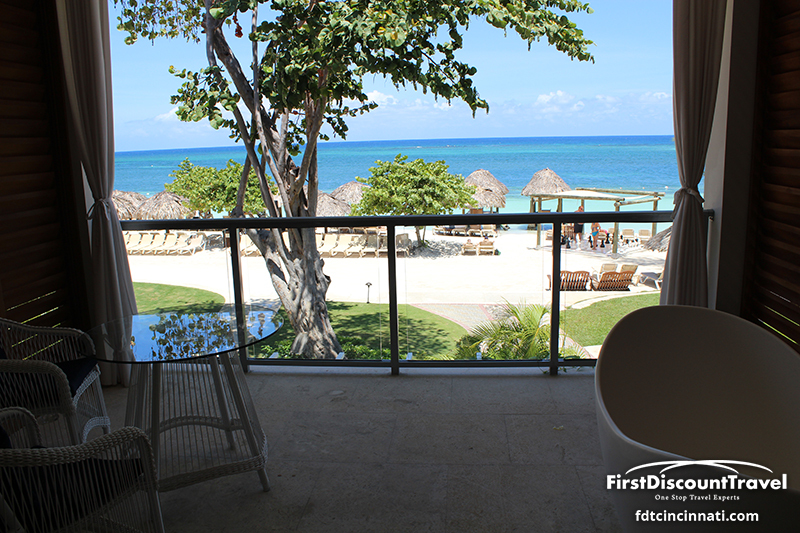 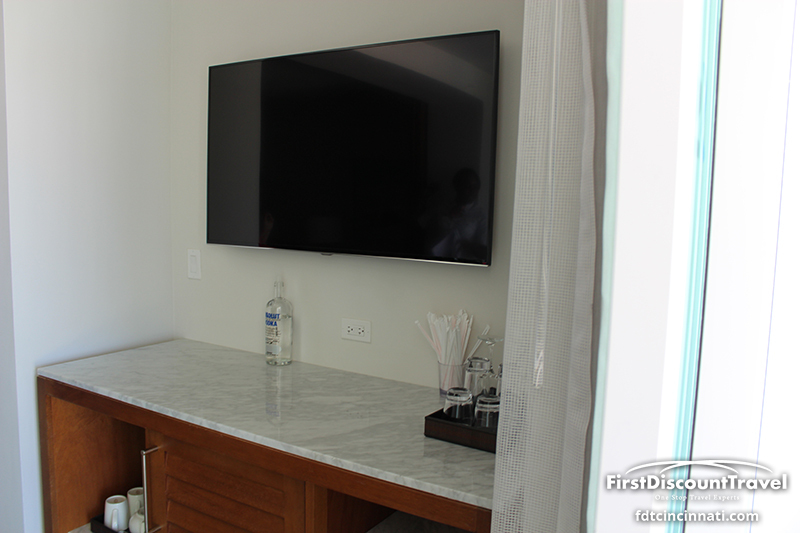 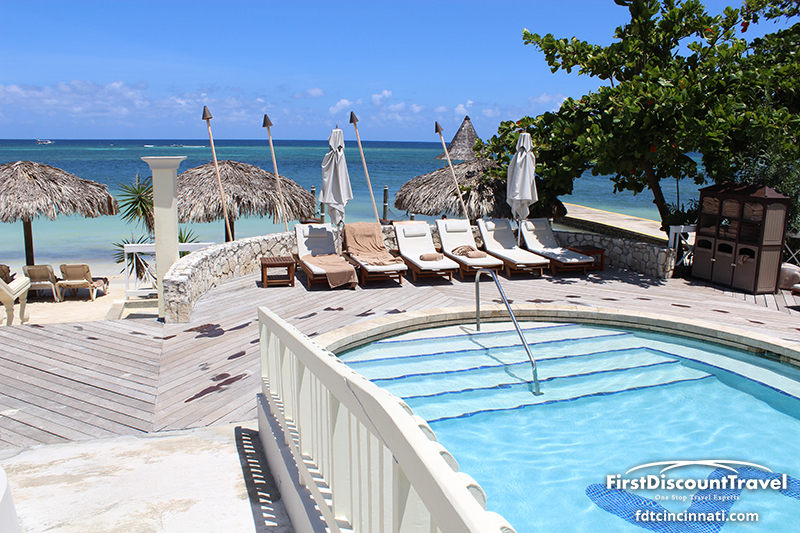 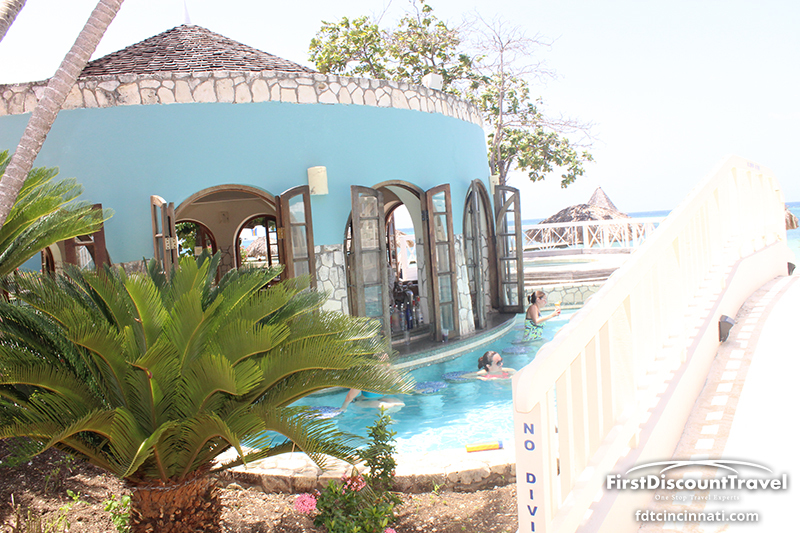 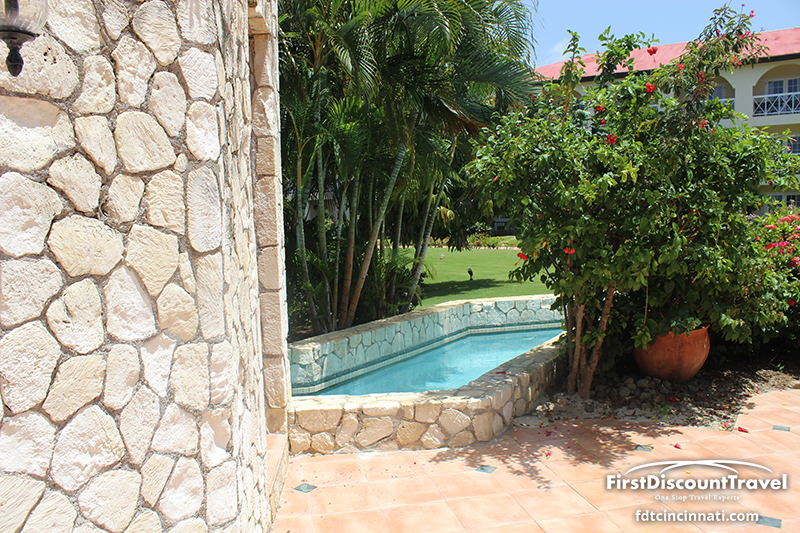 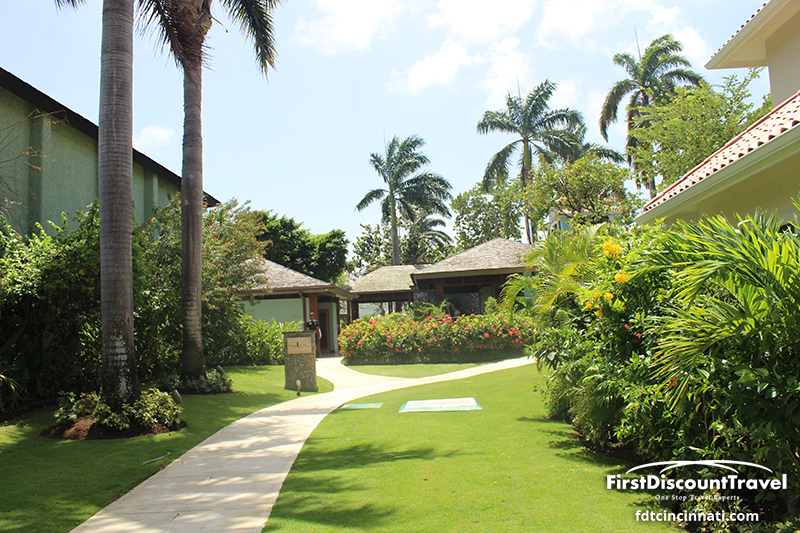 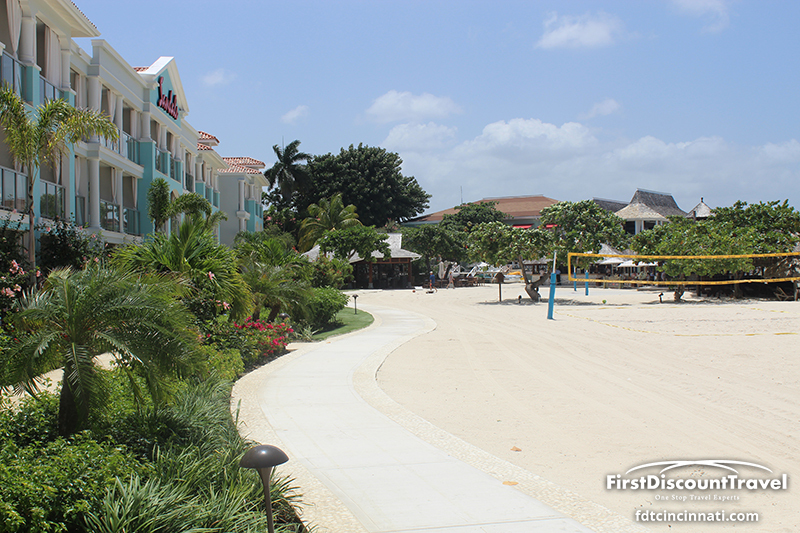 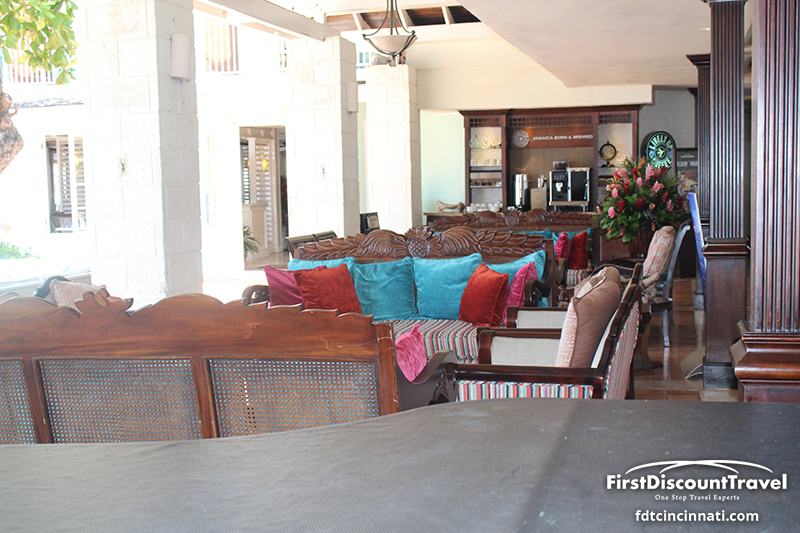 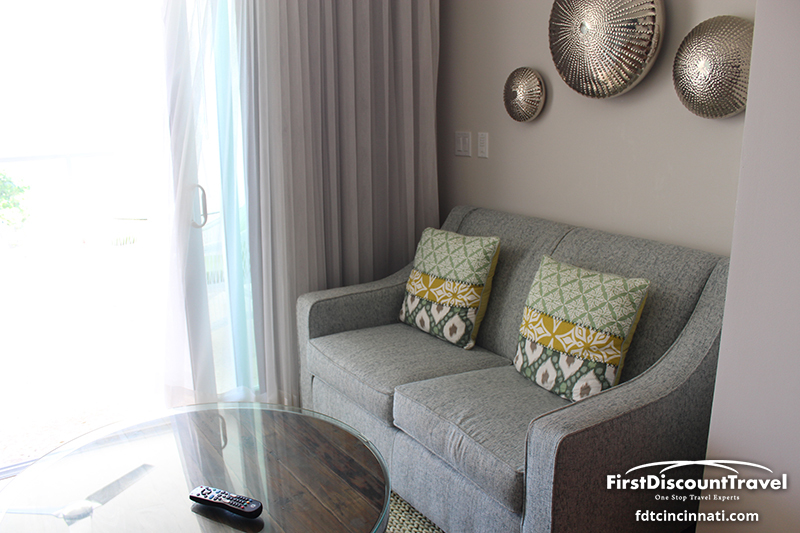 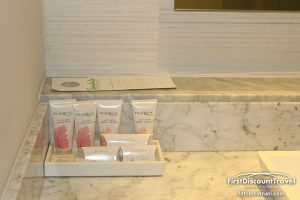 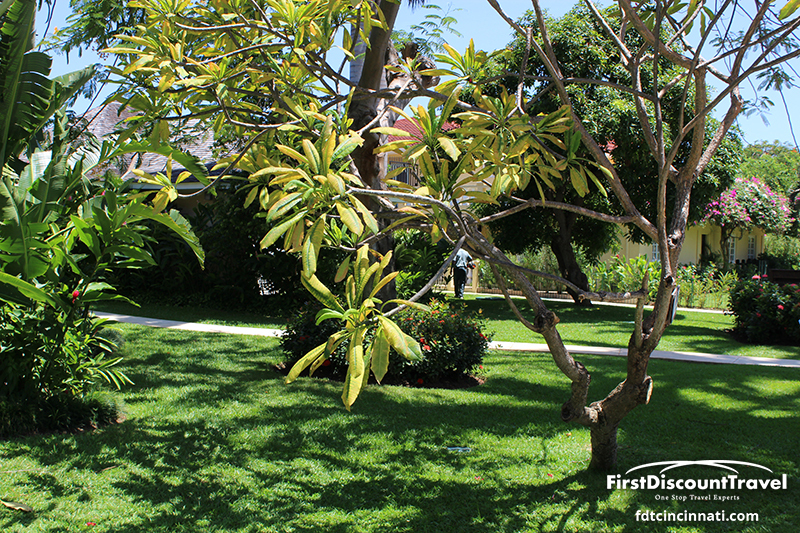 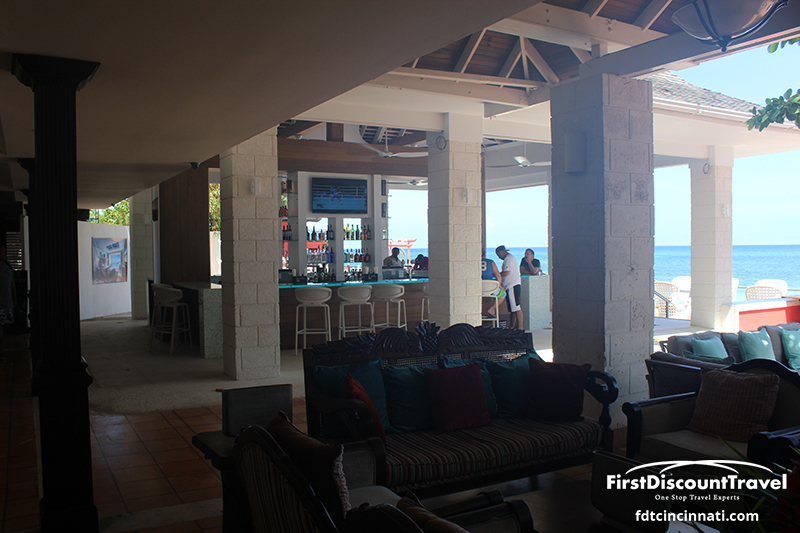 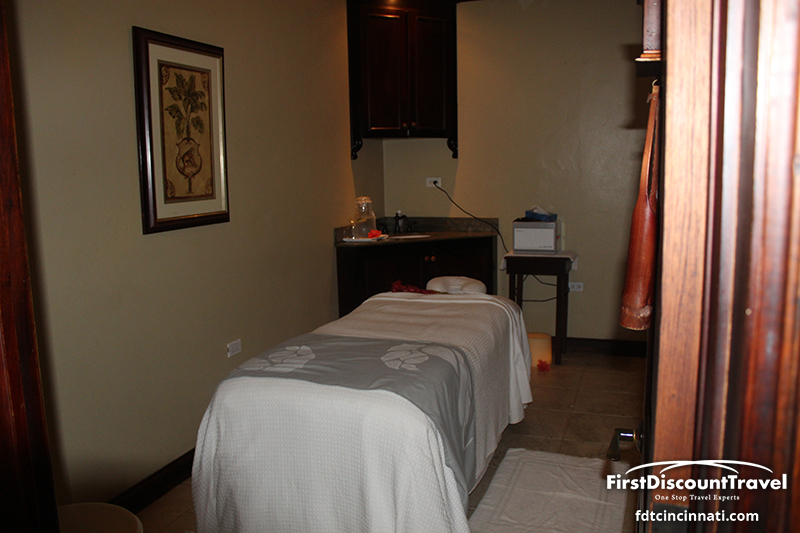 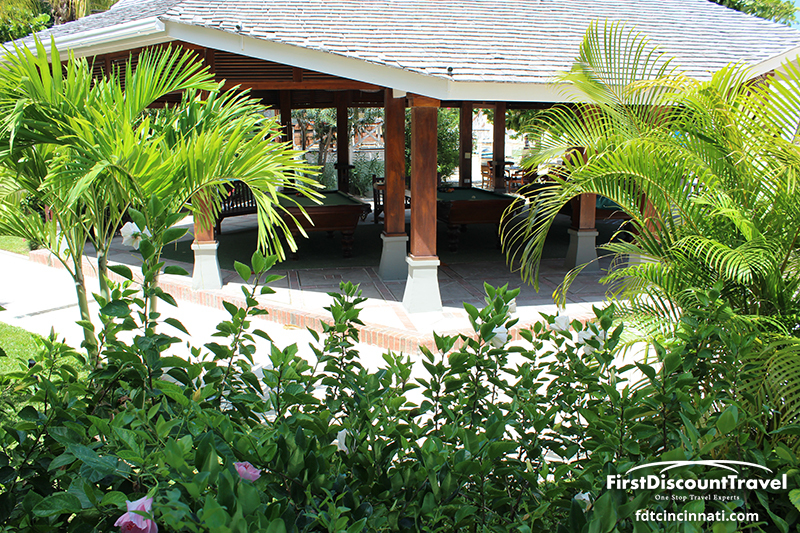 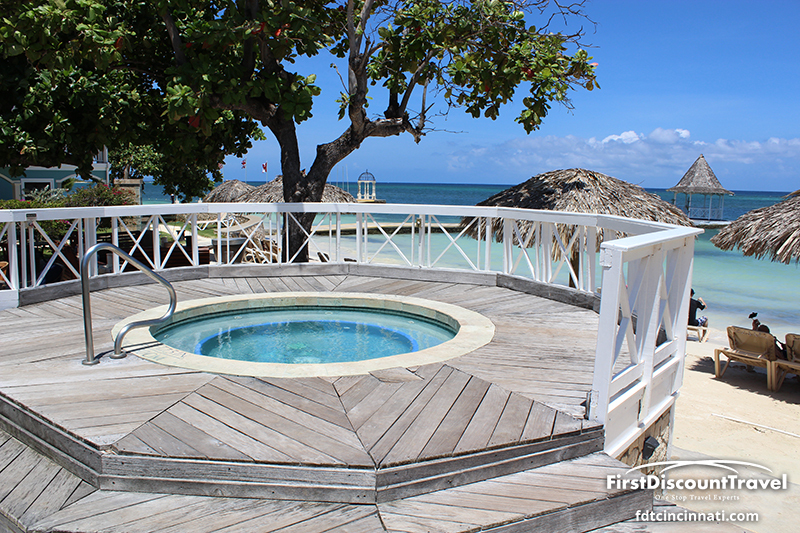 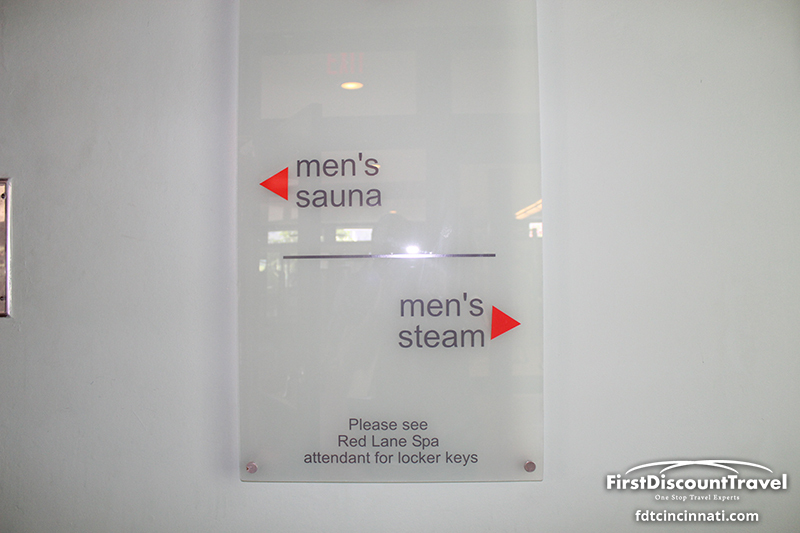 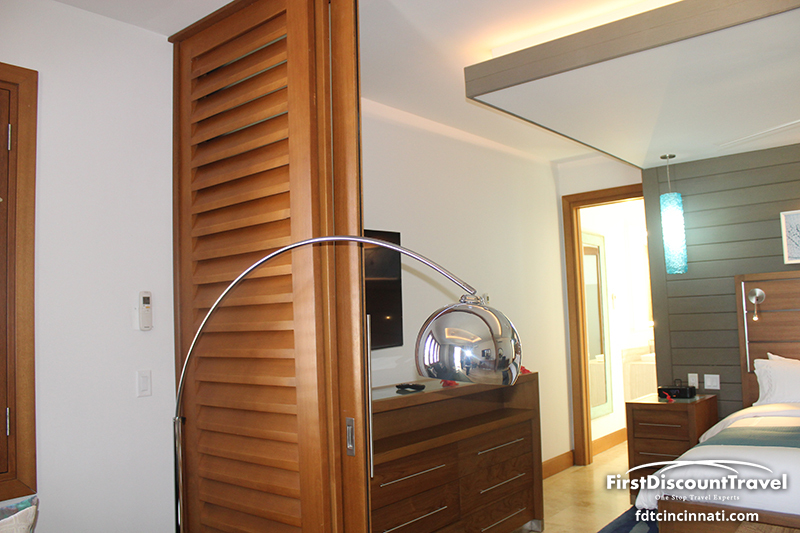 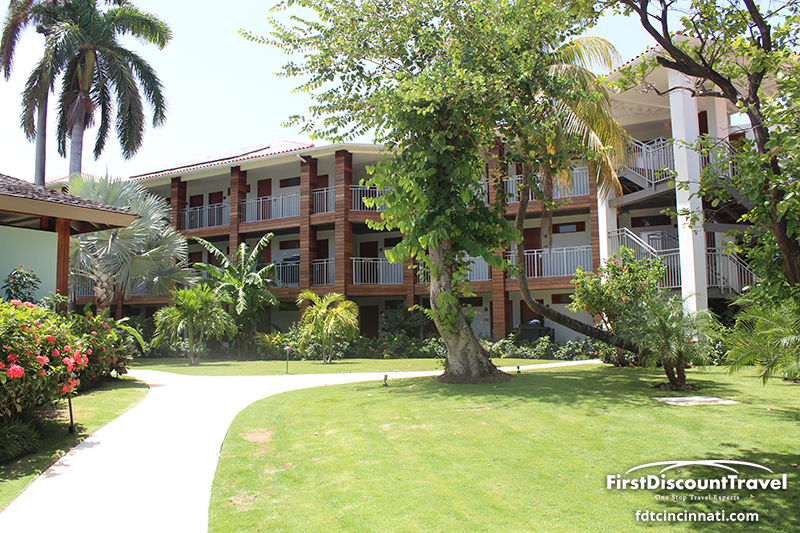 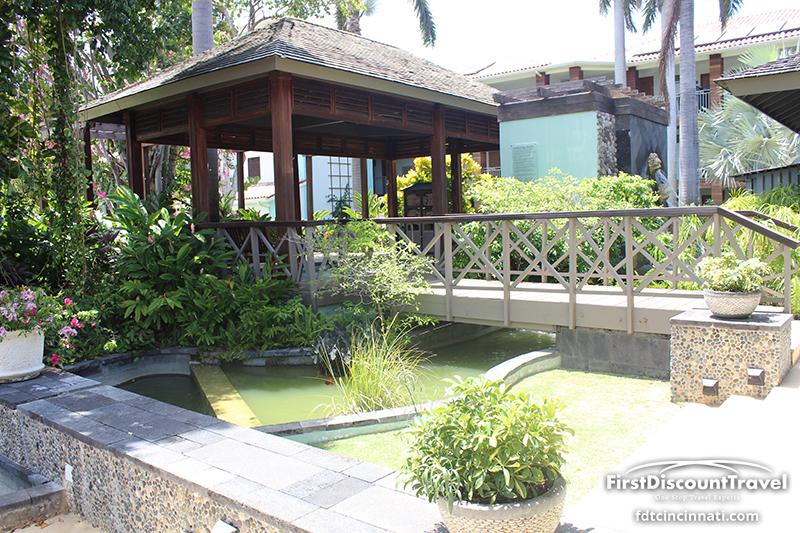 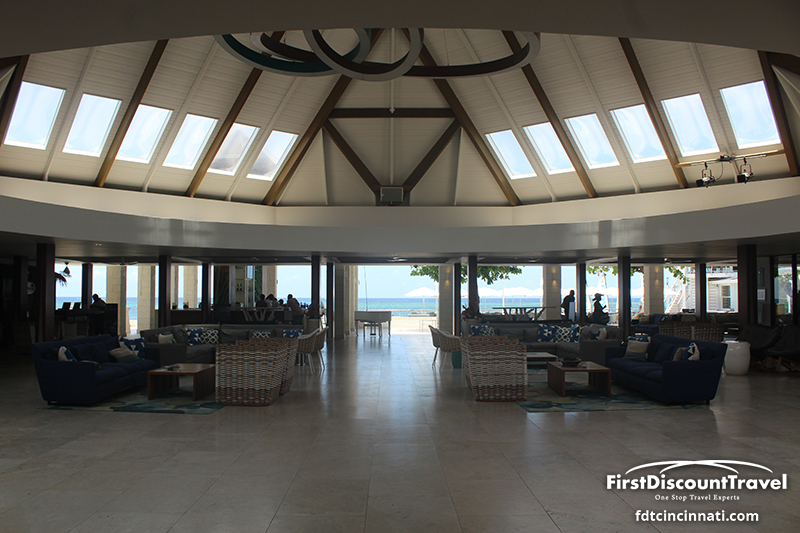 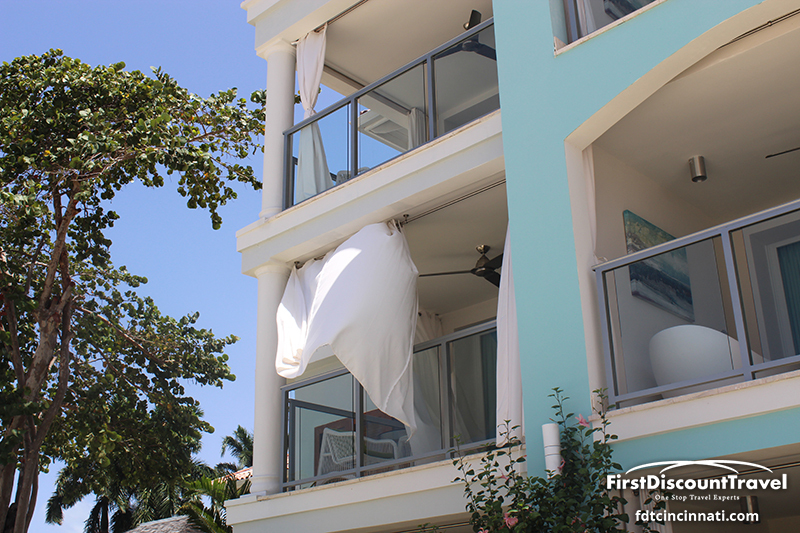 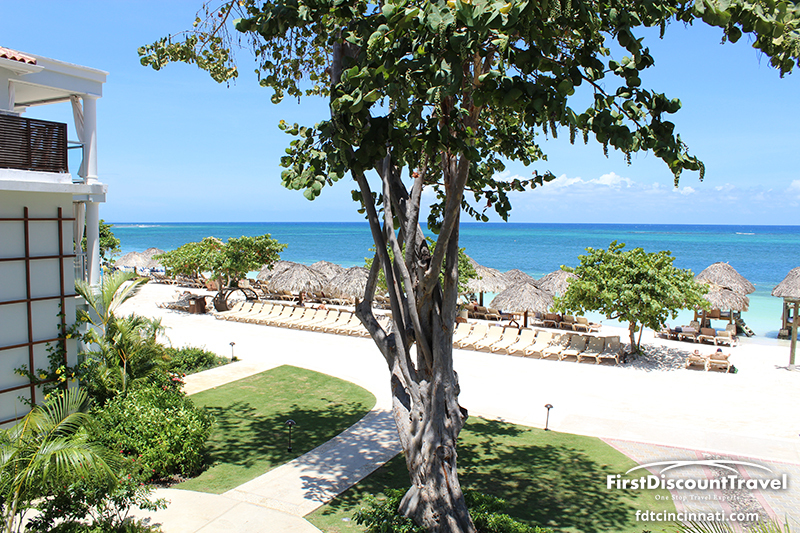 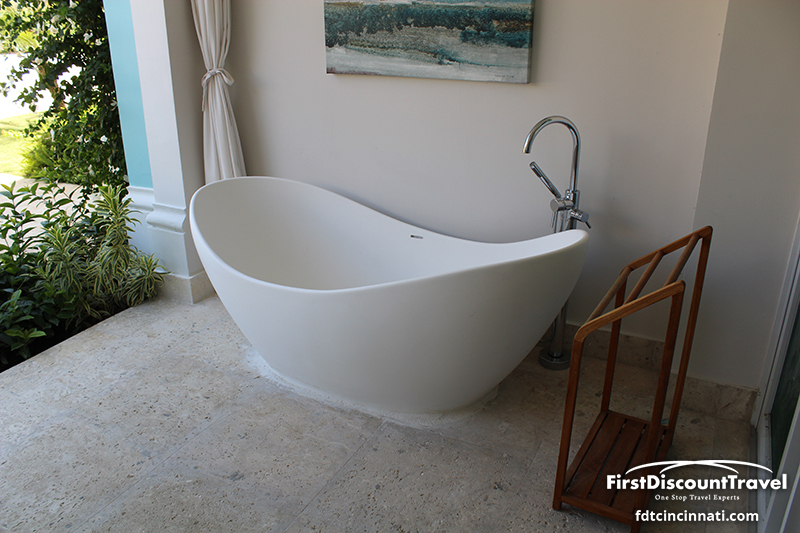 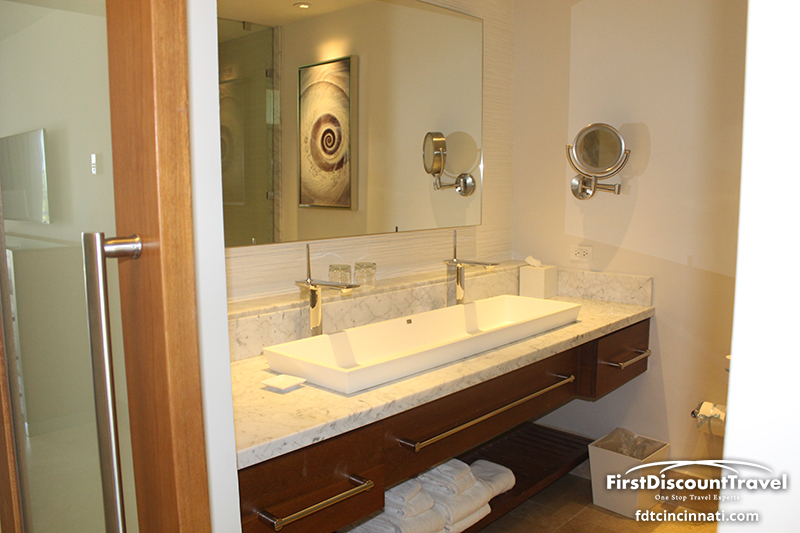 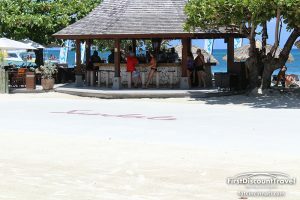 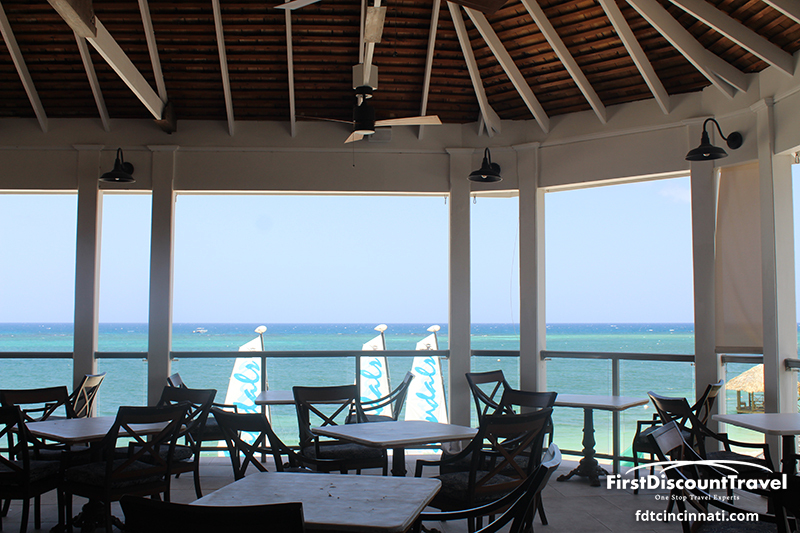 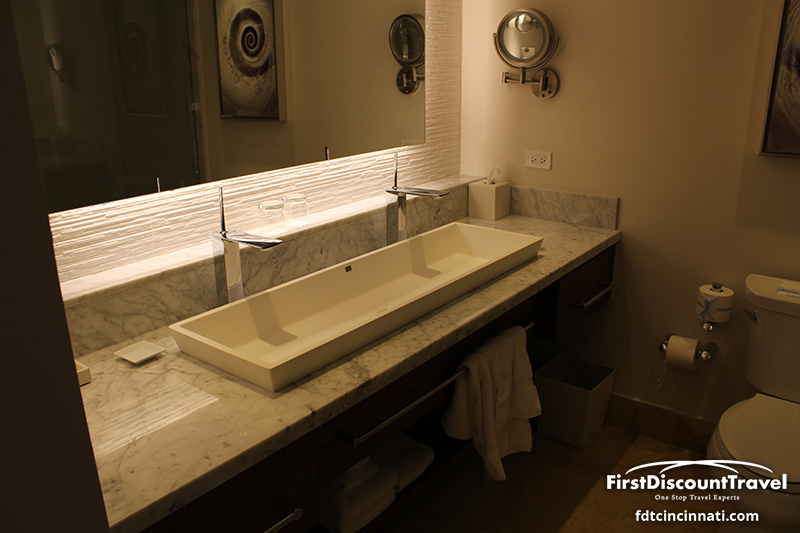 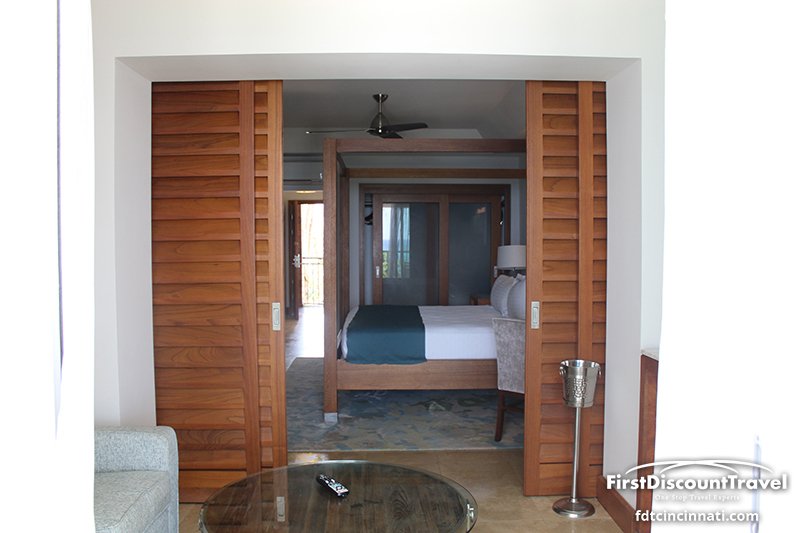 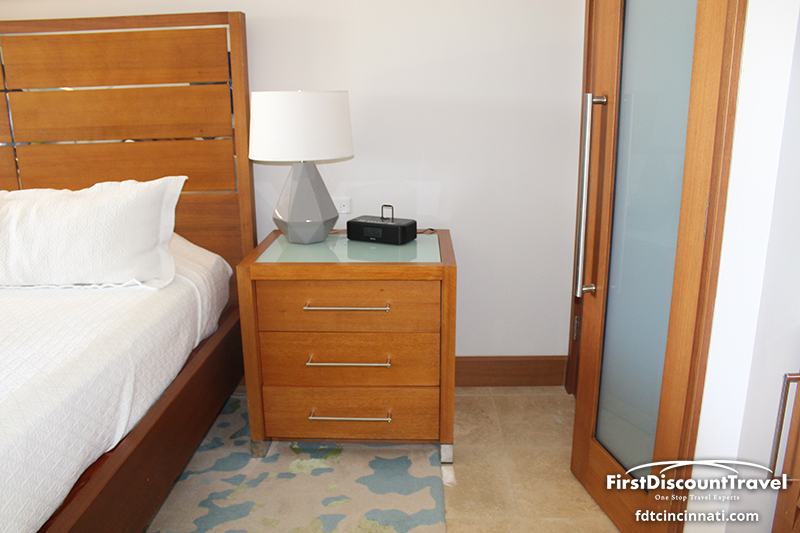 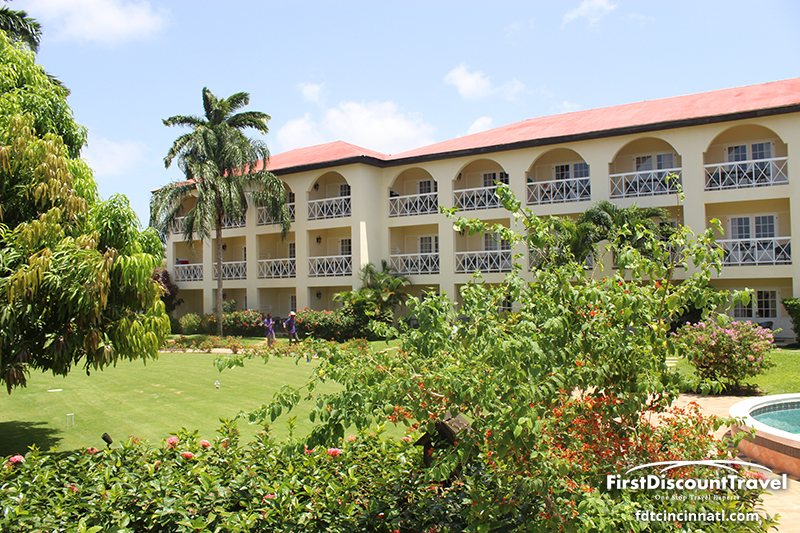 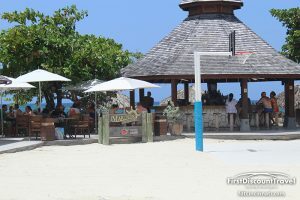 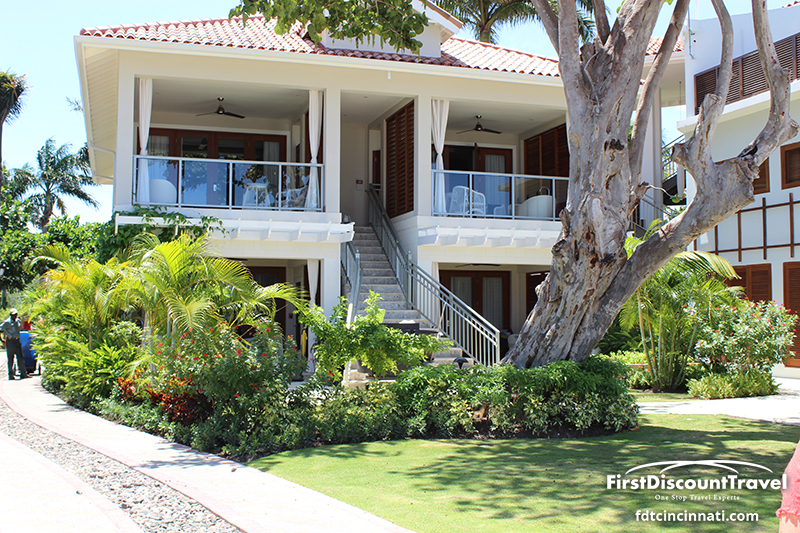 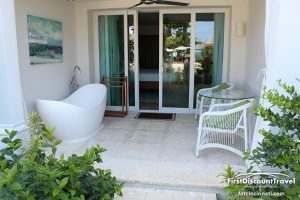 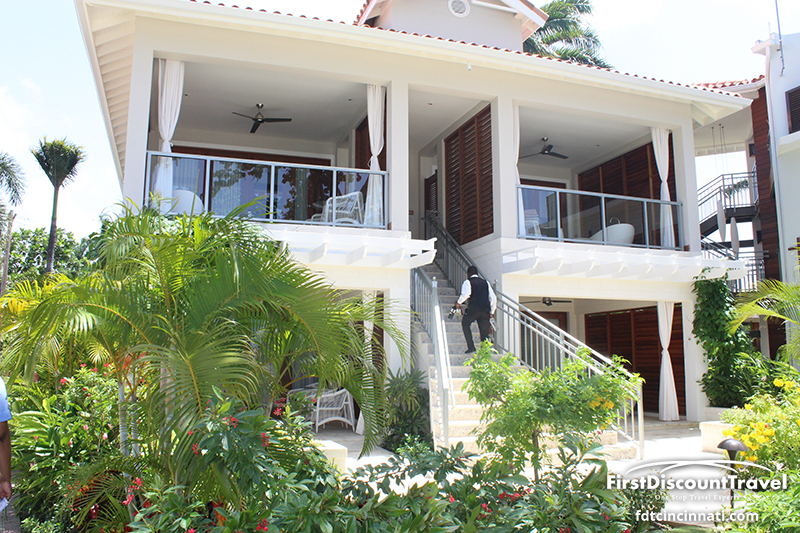 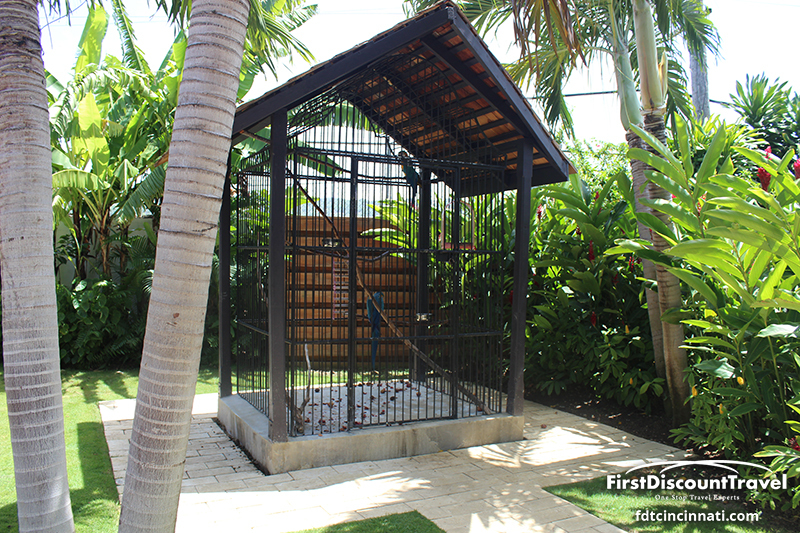 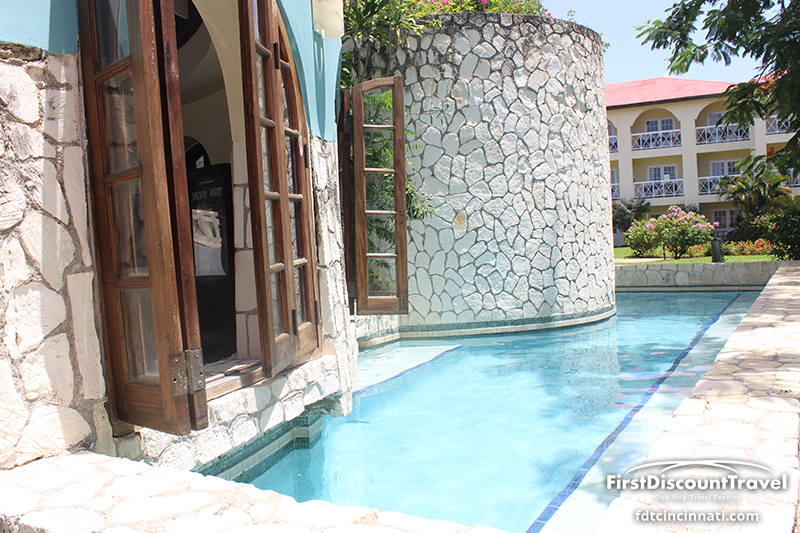 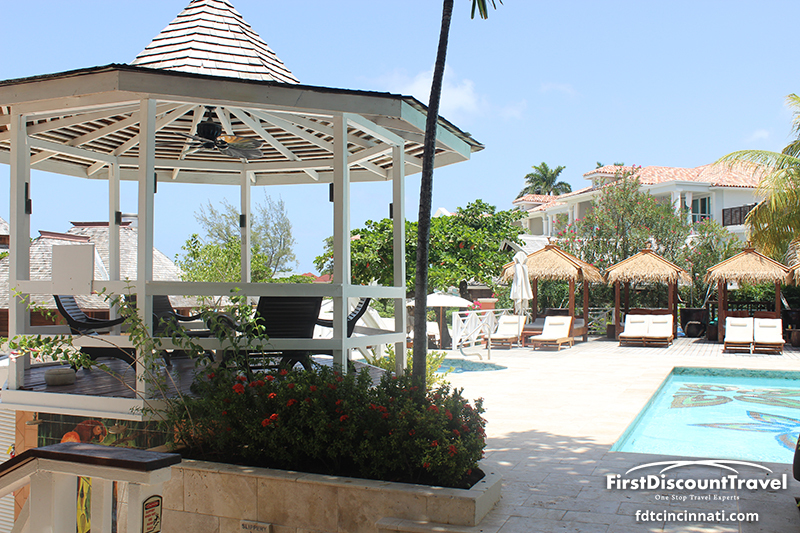 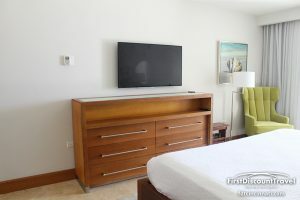 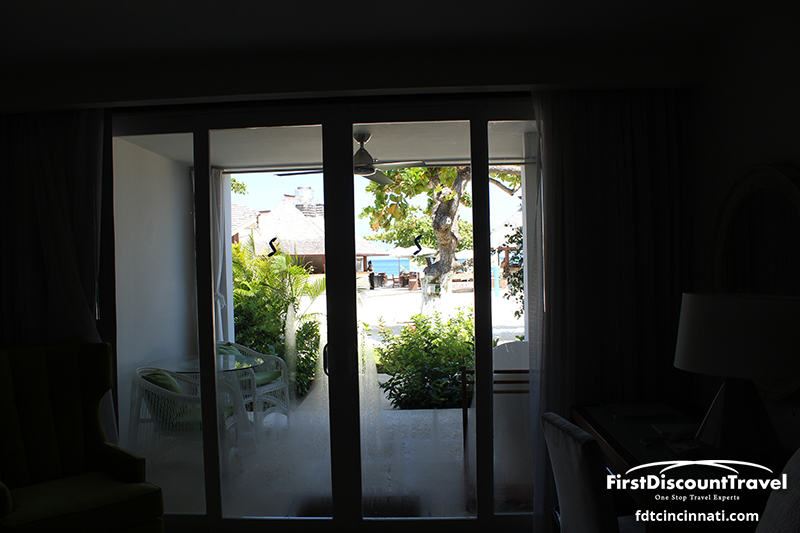 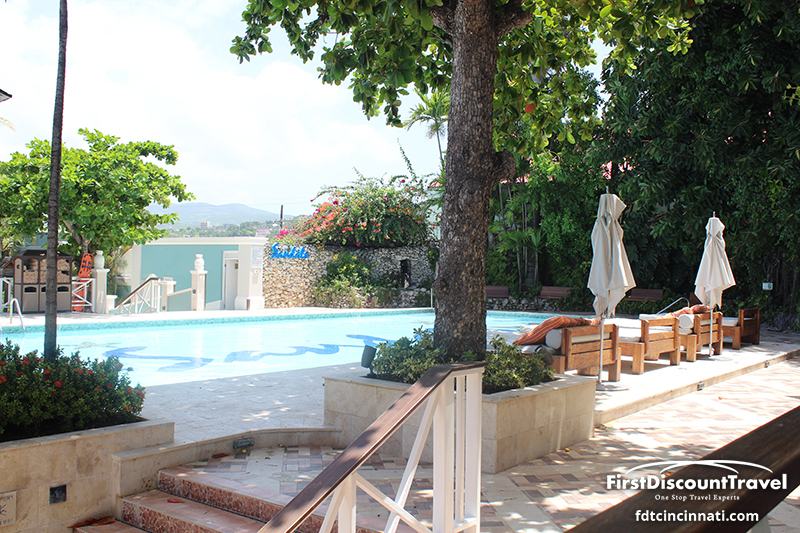 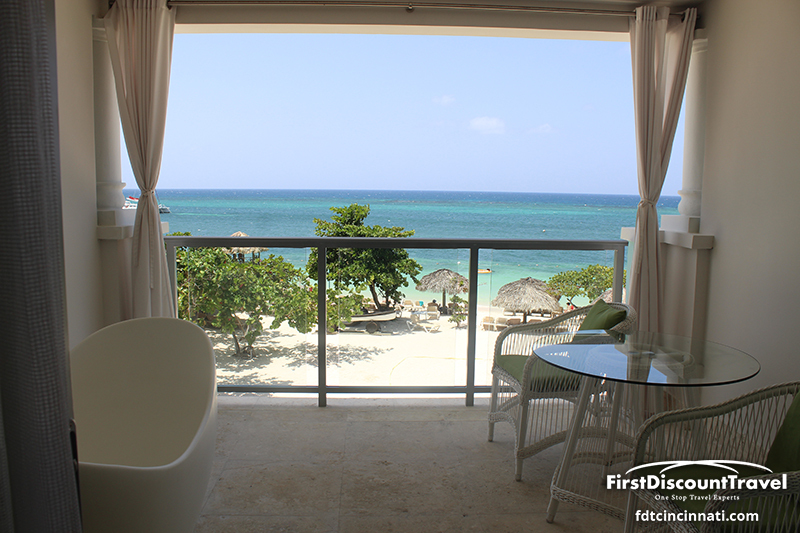 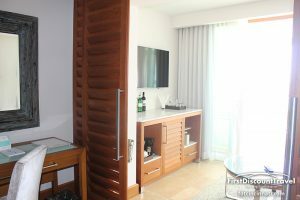 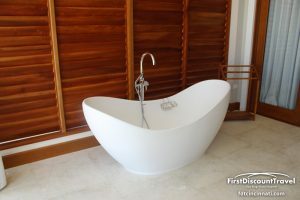 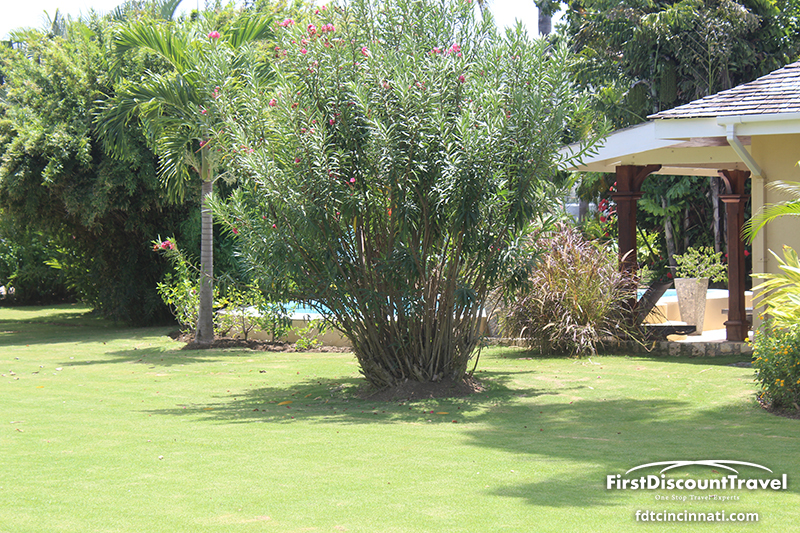 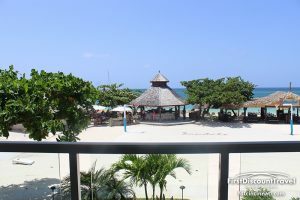 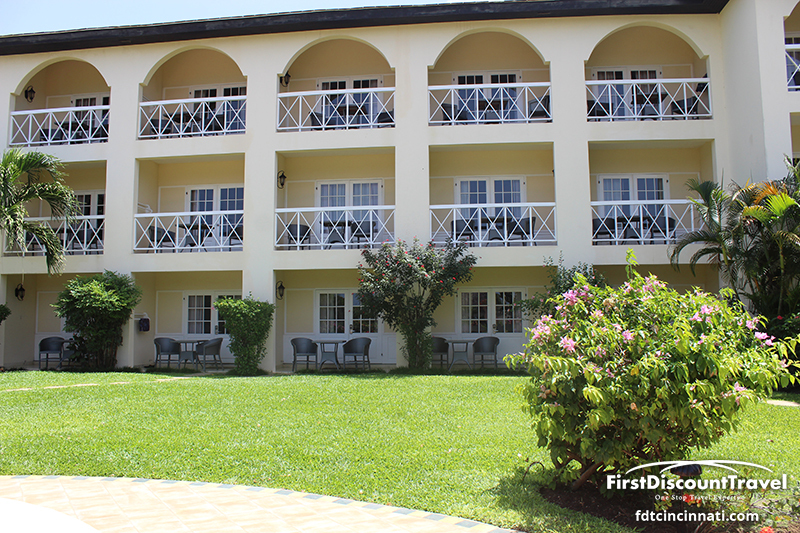 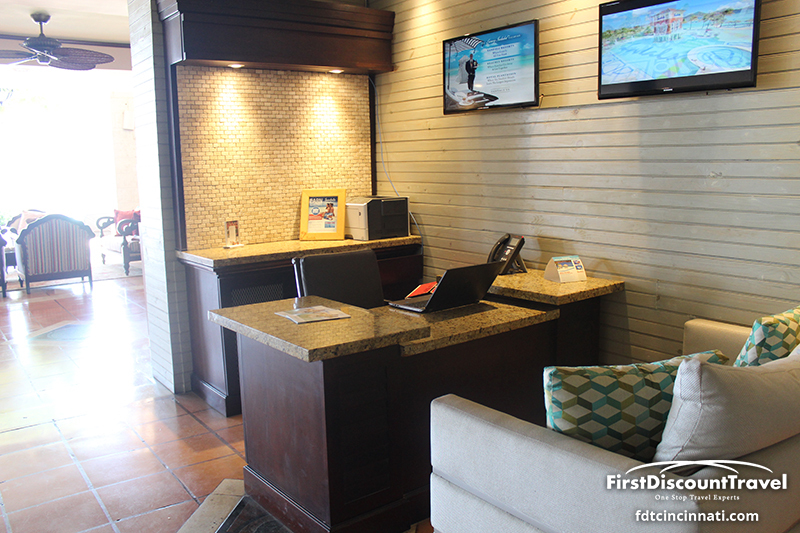 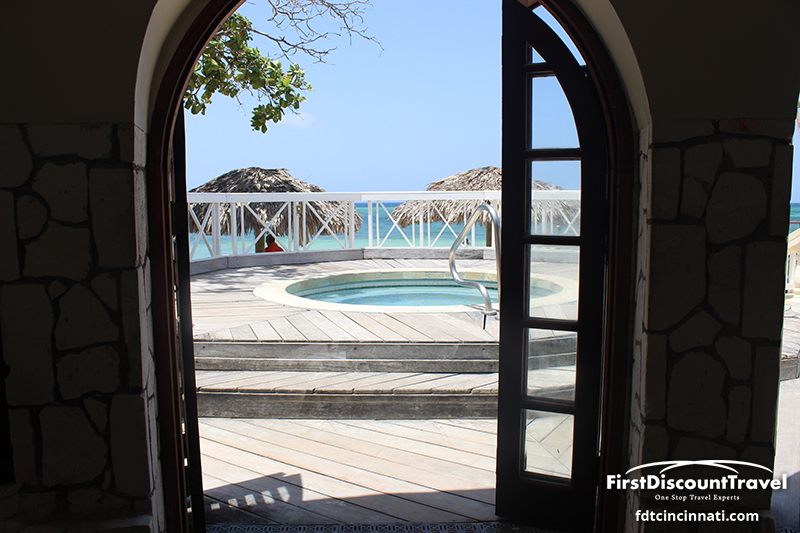 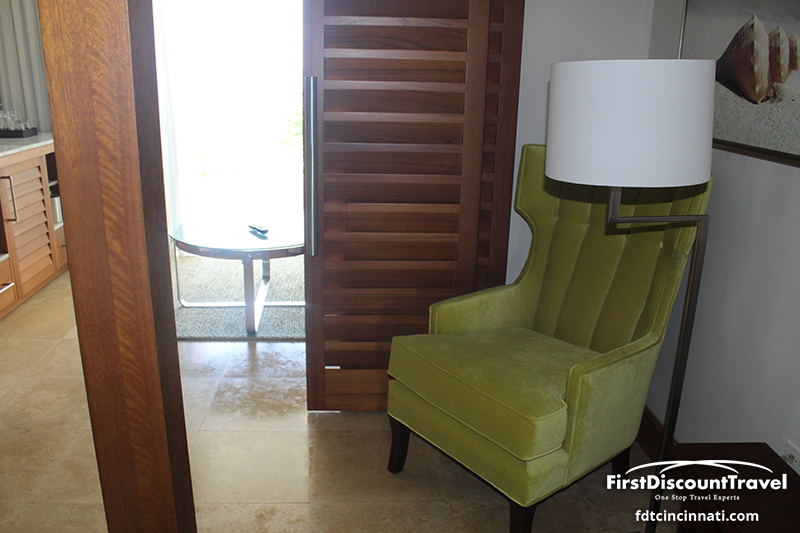 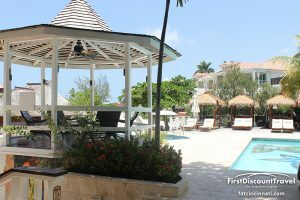 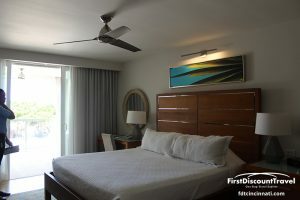 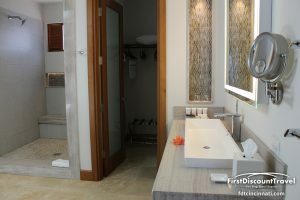 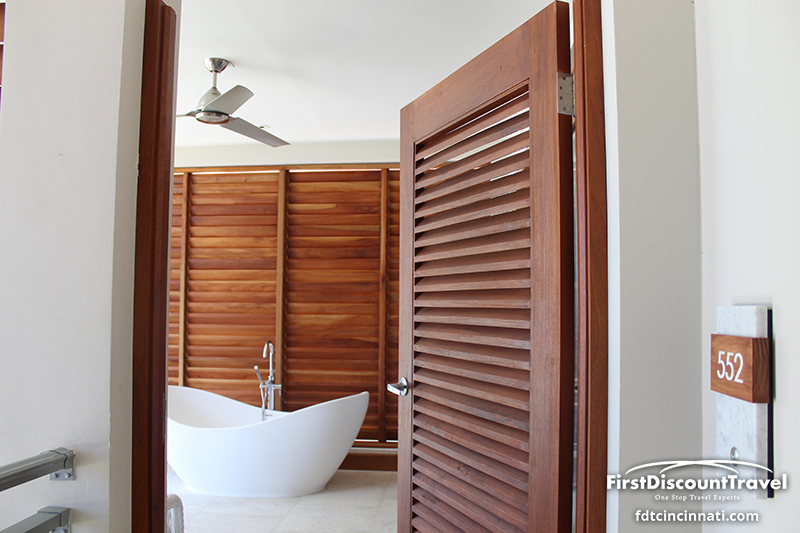 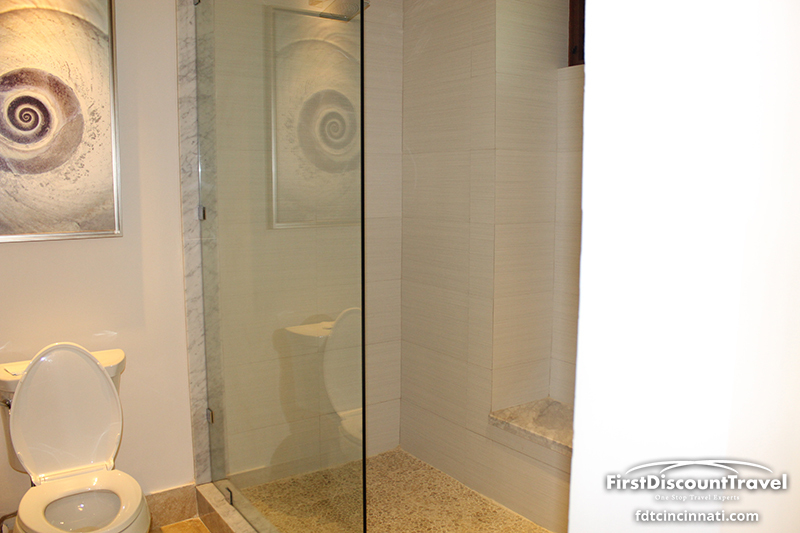 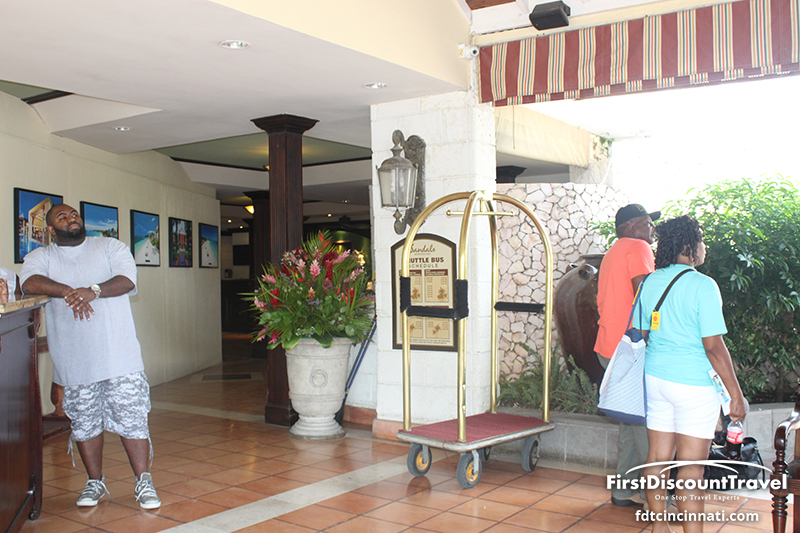 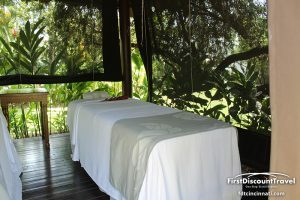 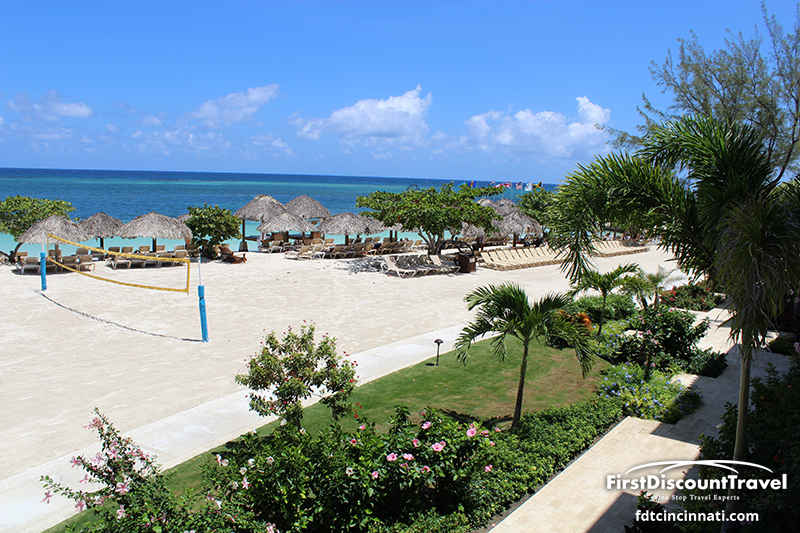 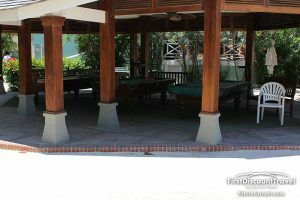 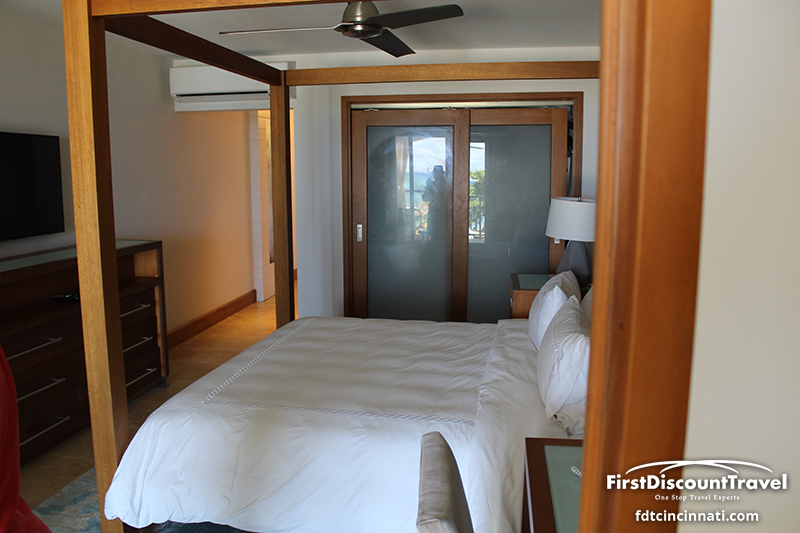 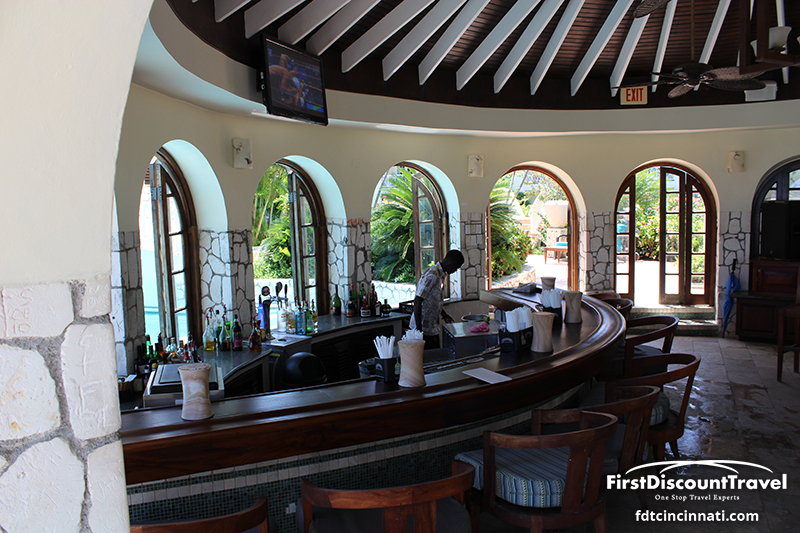 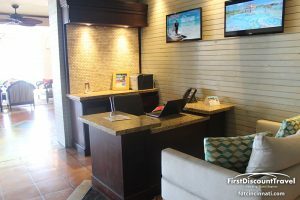 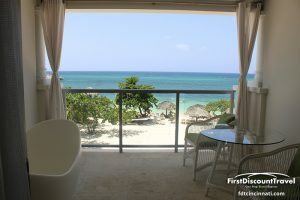 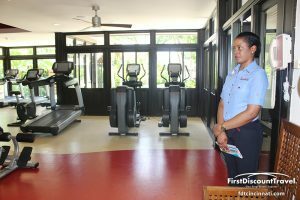 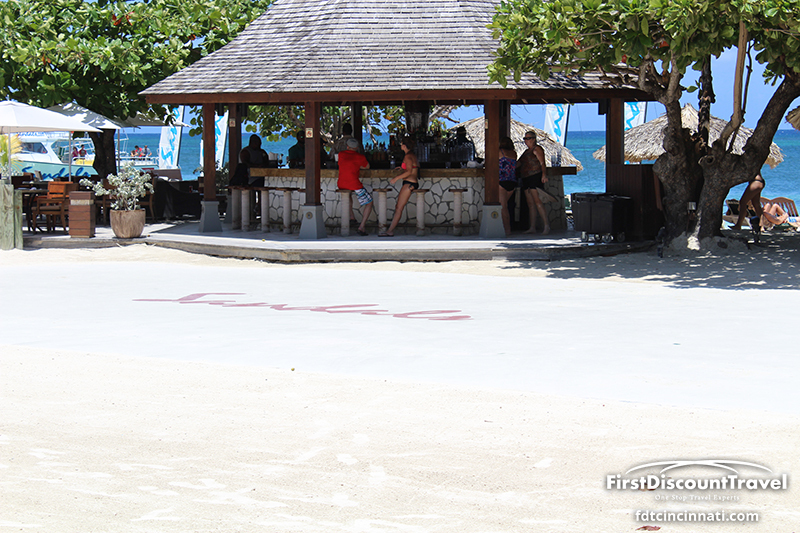 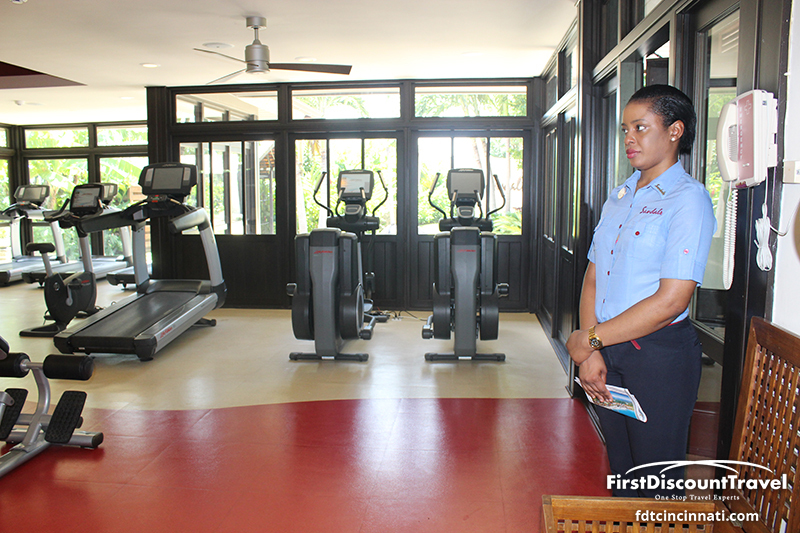 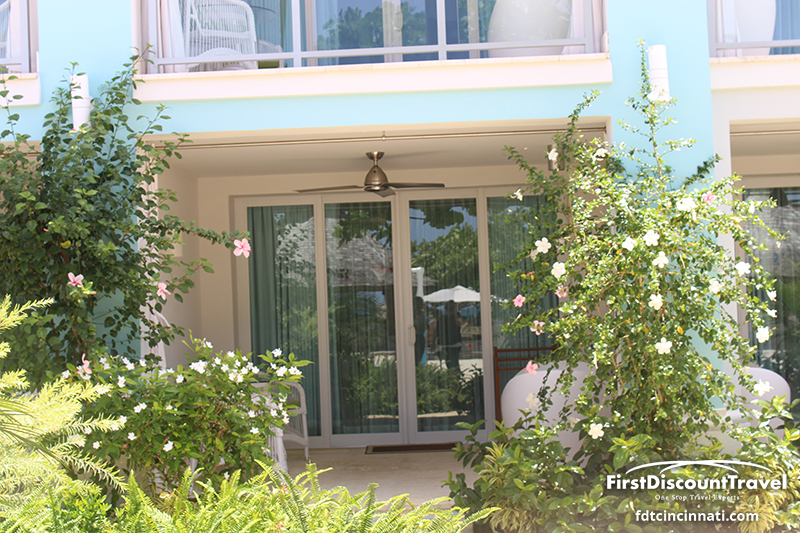 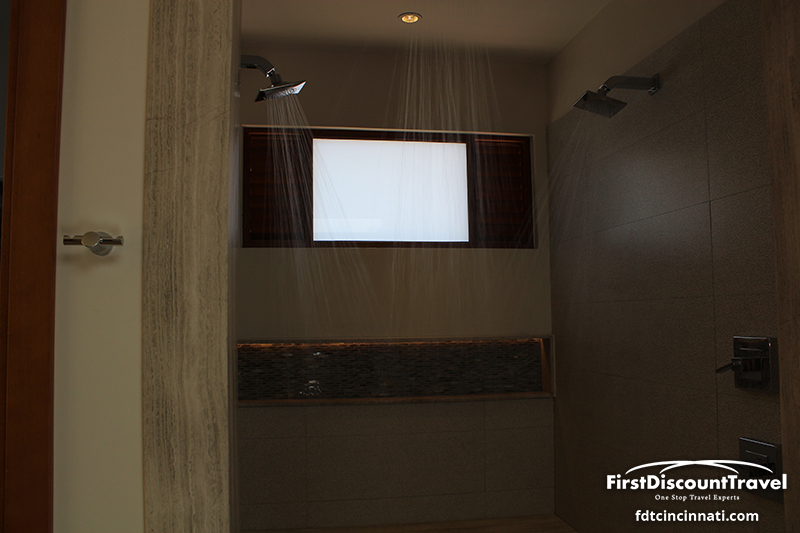 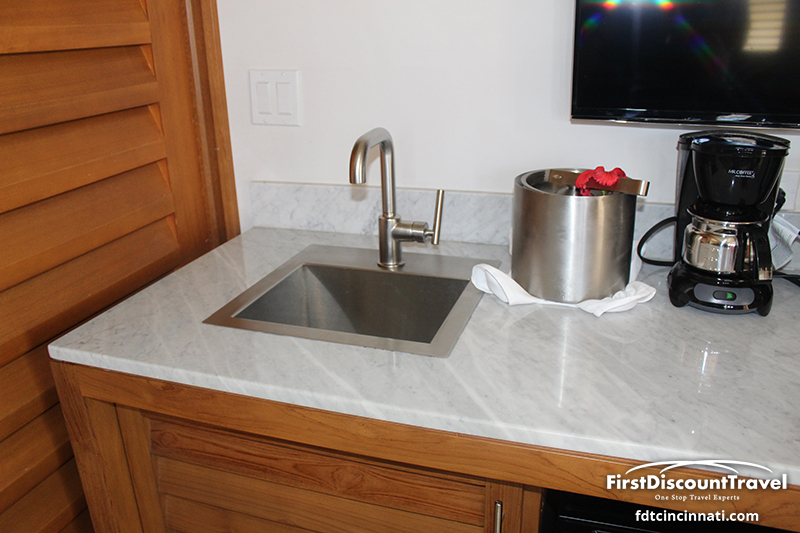 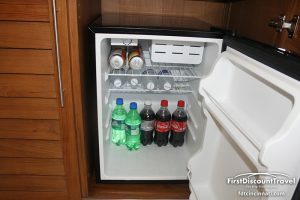 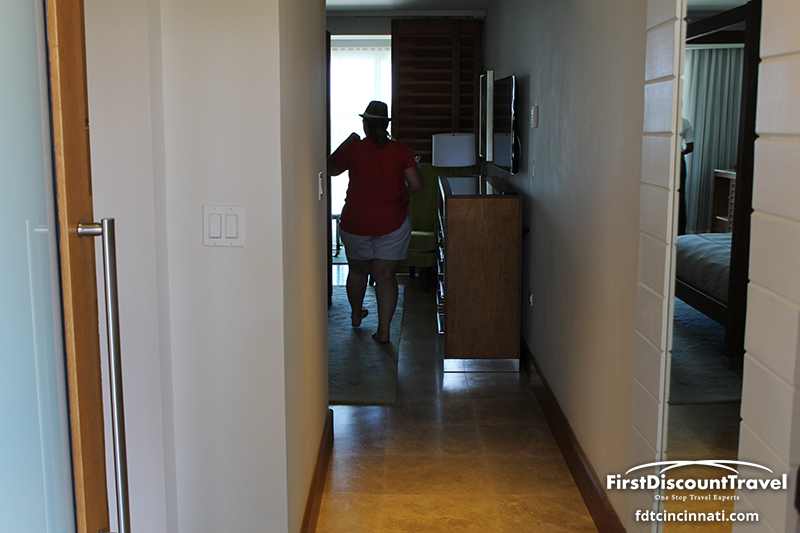 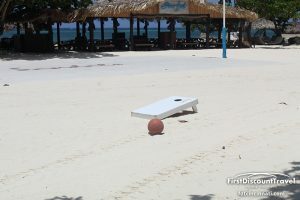 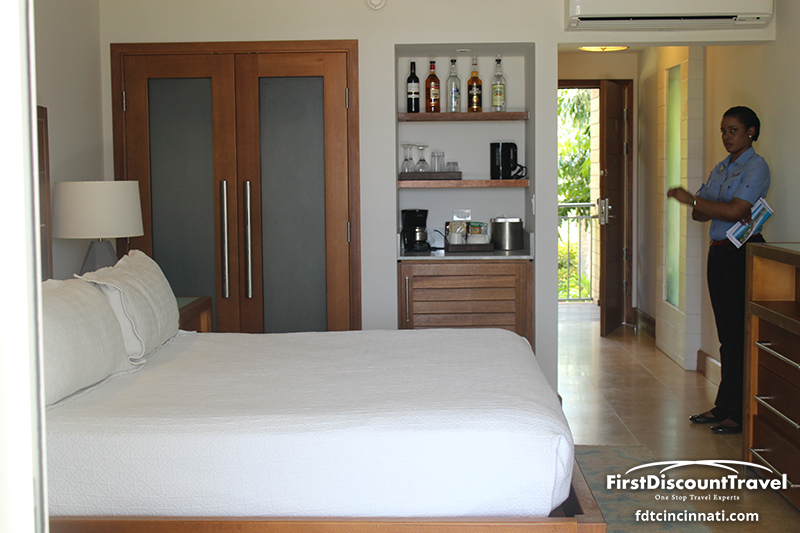 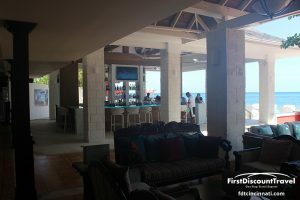 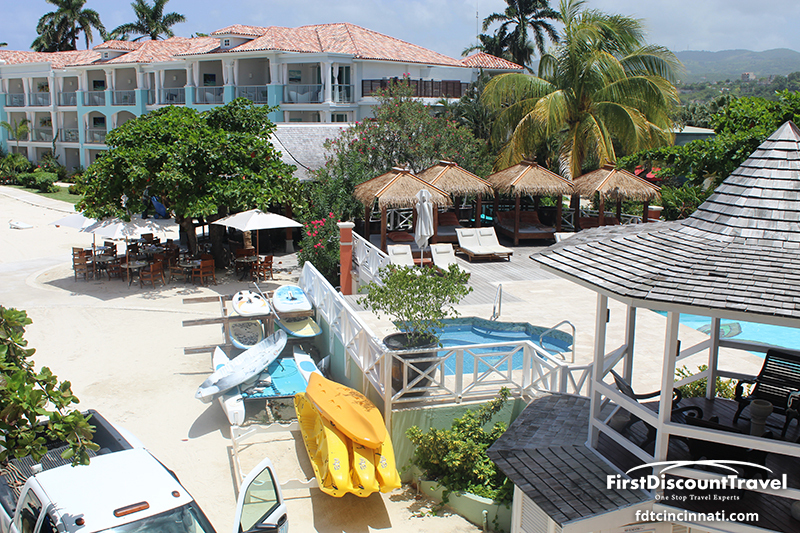 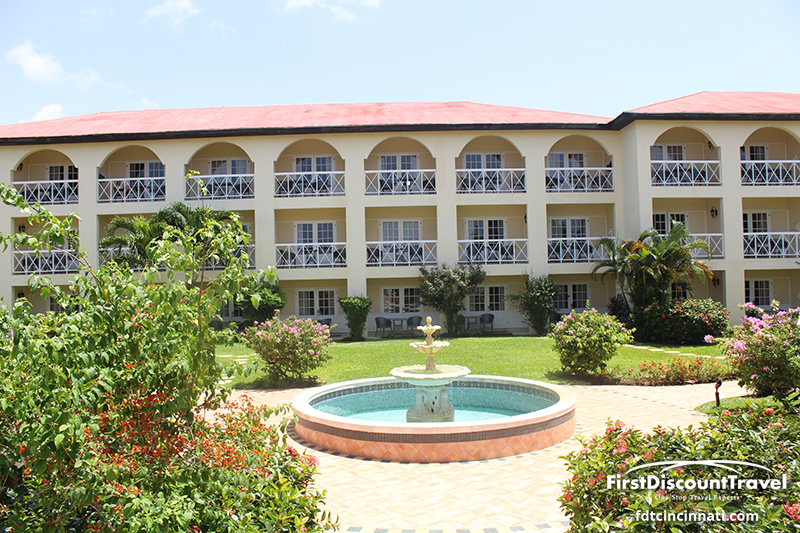 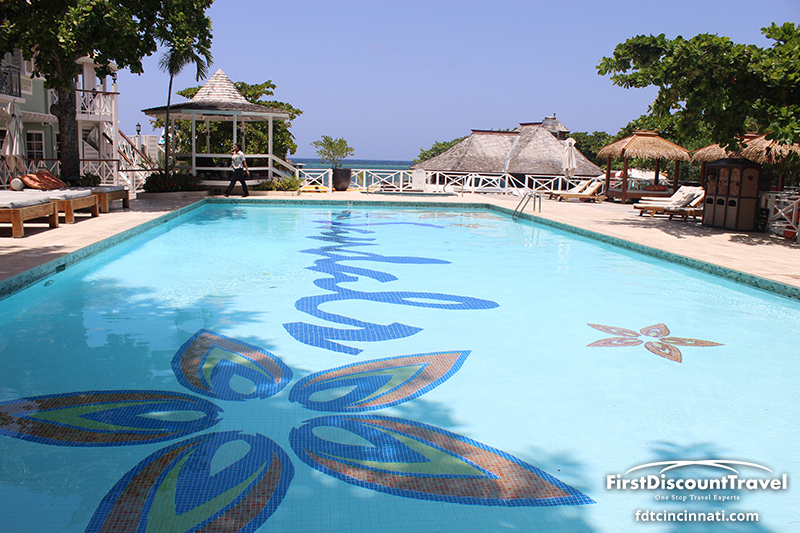 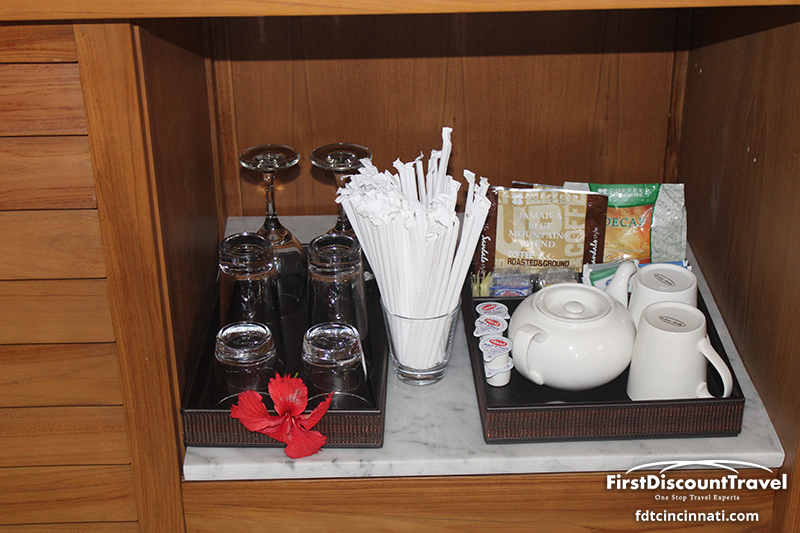 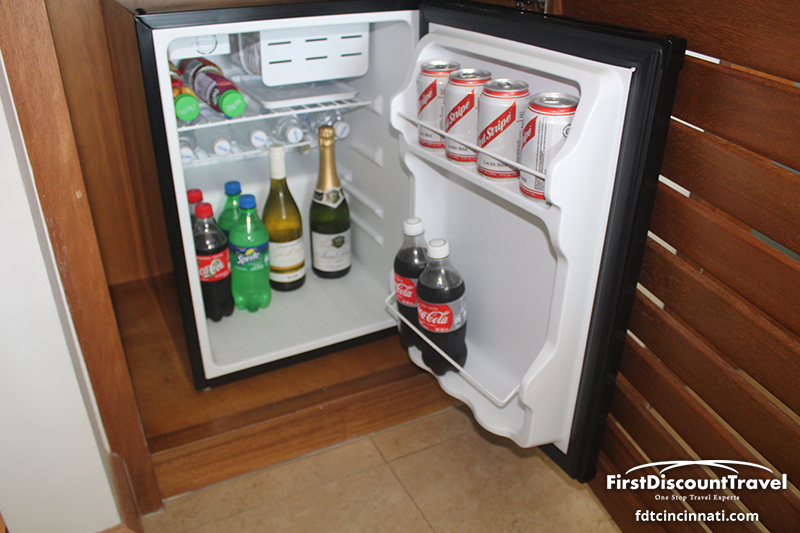 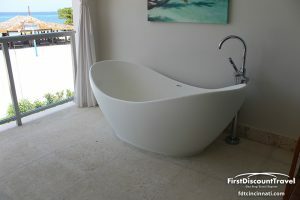 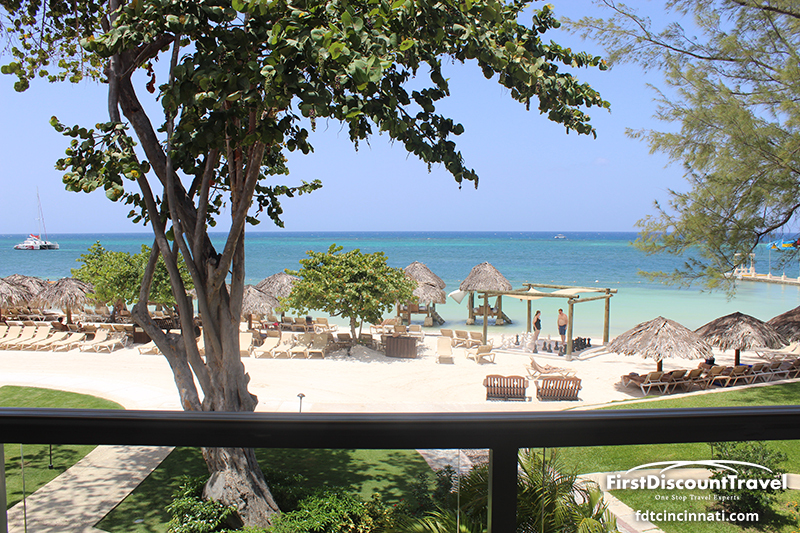 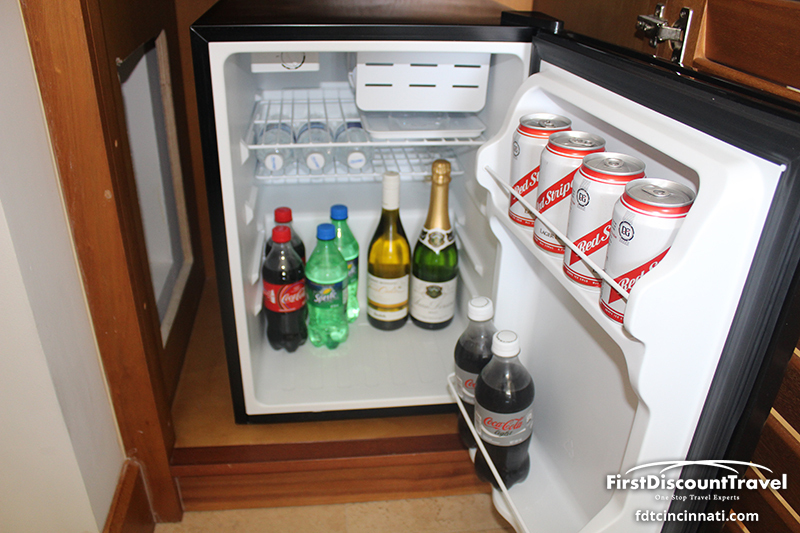 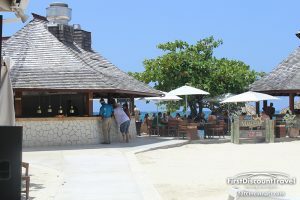 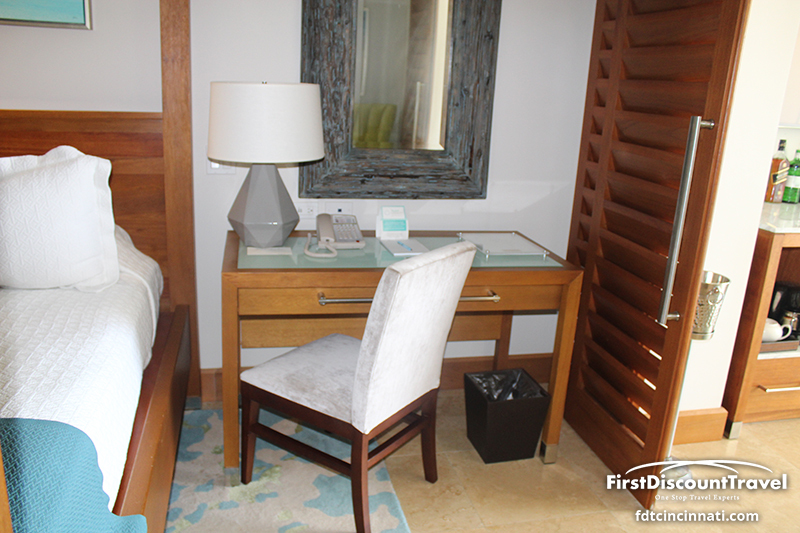 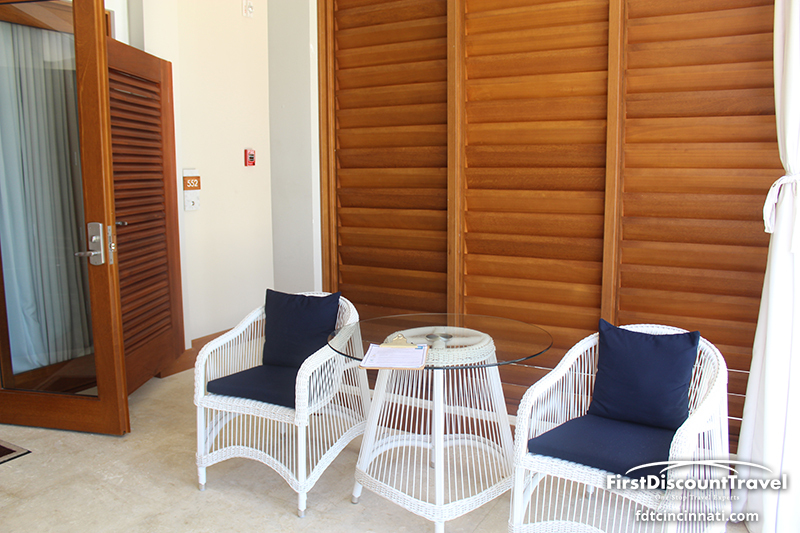 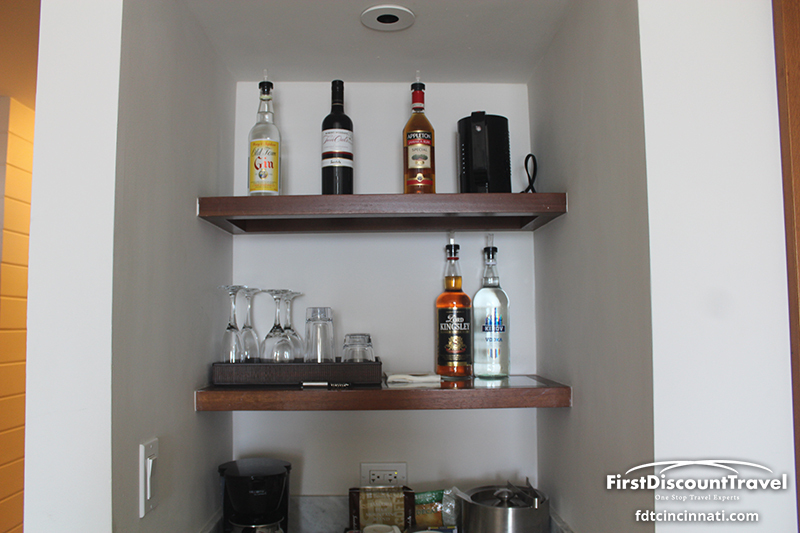 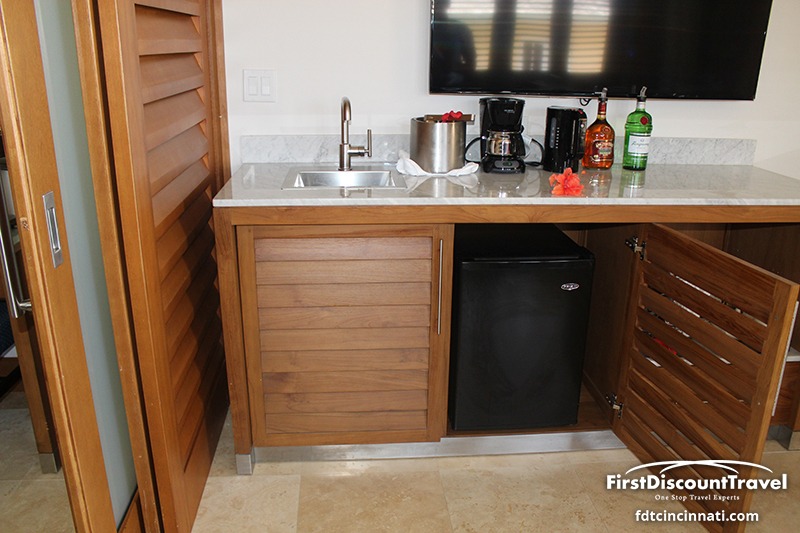 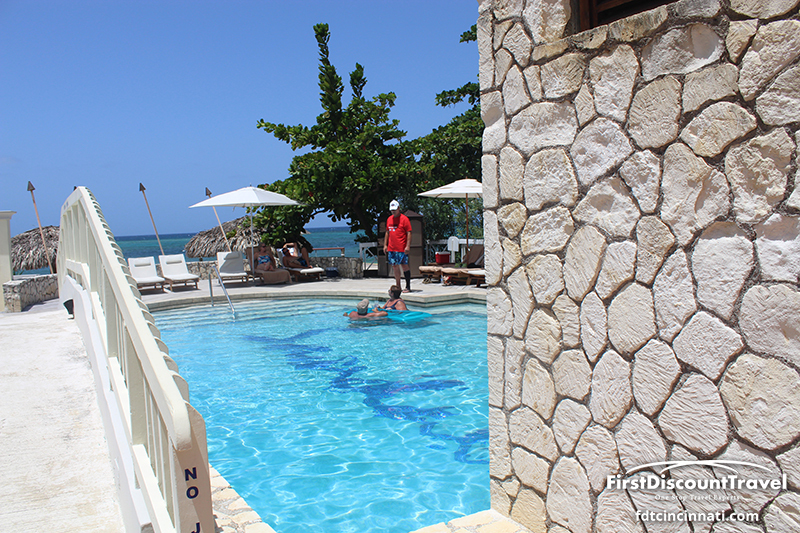 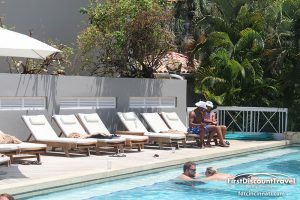 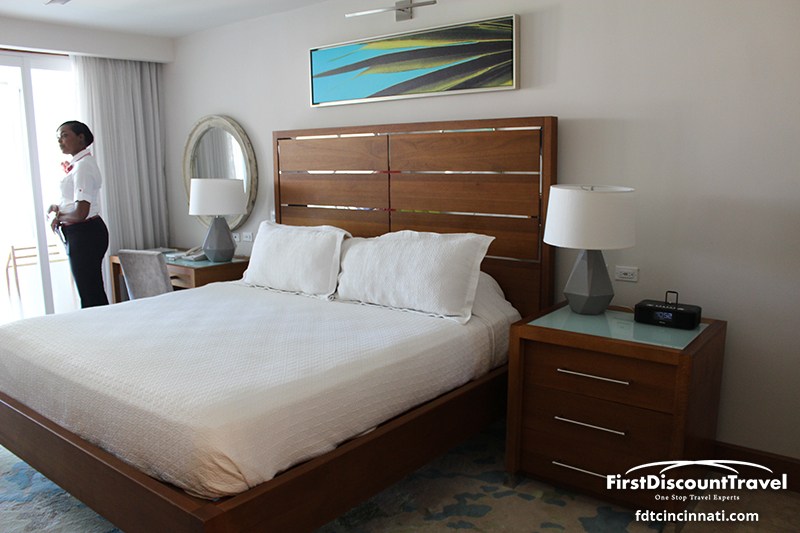 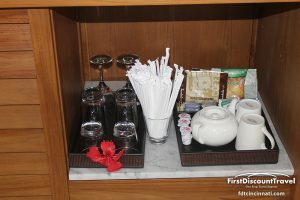 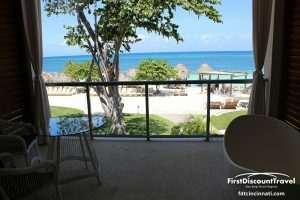 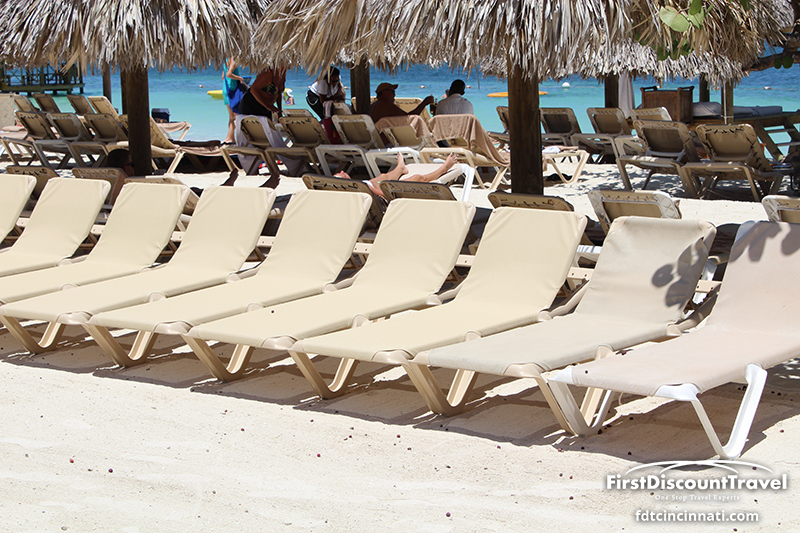 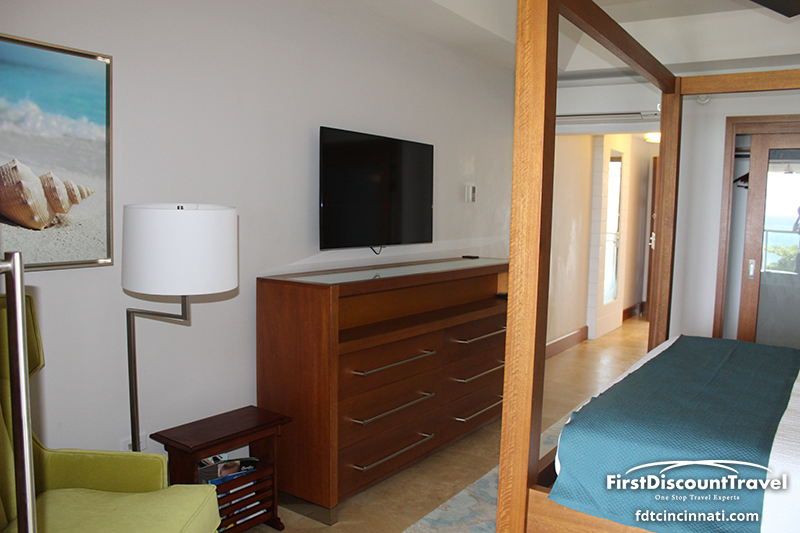 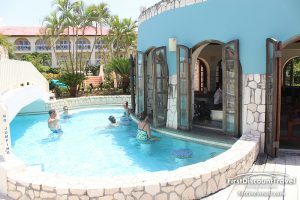 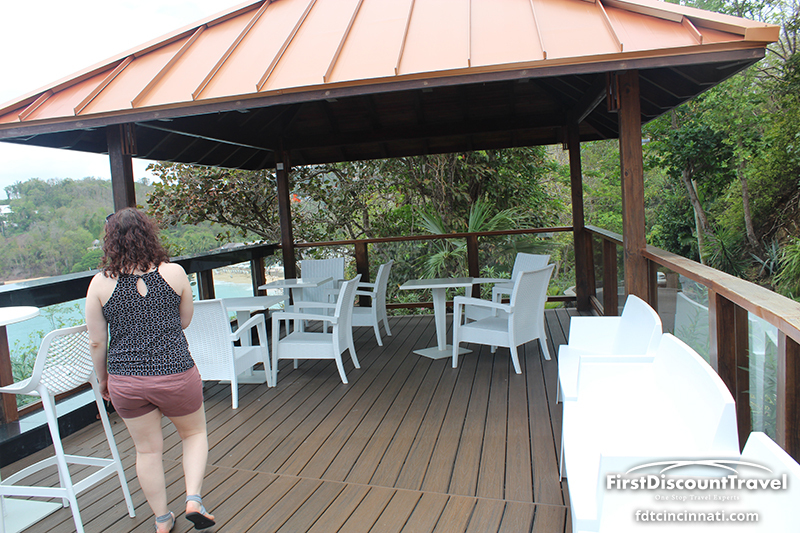 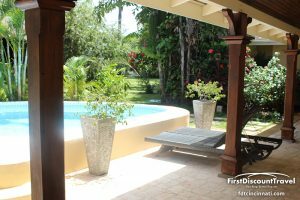 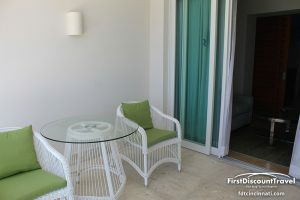 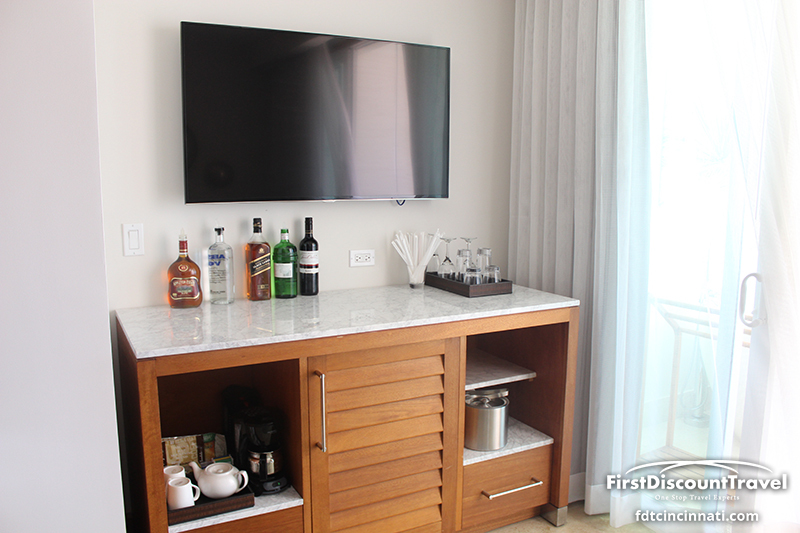 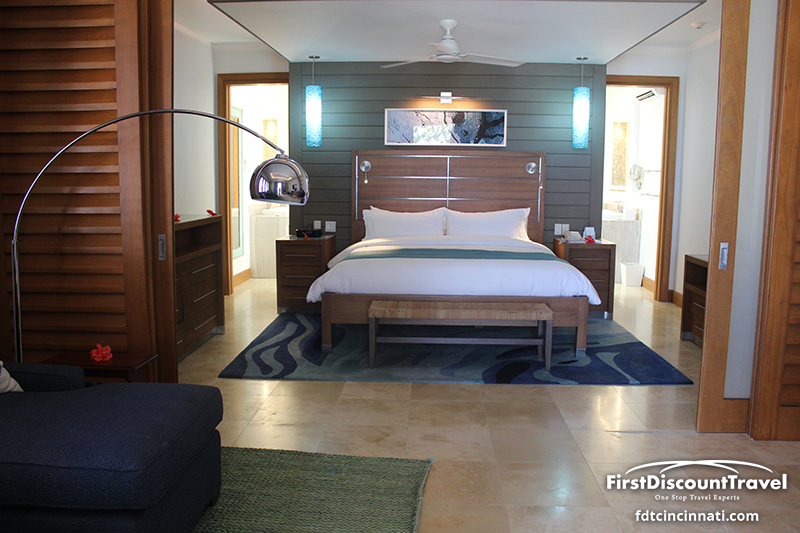 Guests can also enjoy all the amenities and services at two neighboring Sandals properties. 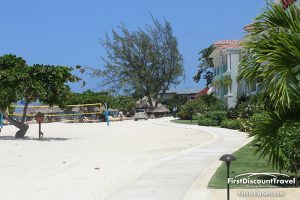 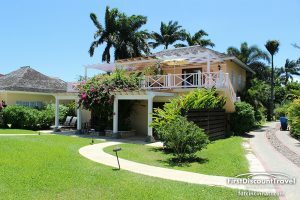 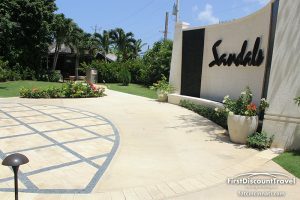 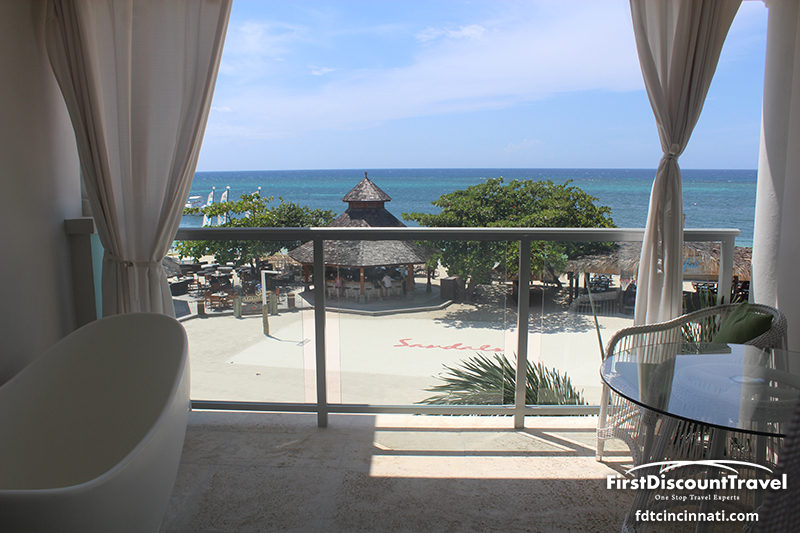 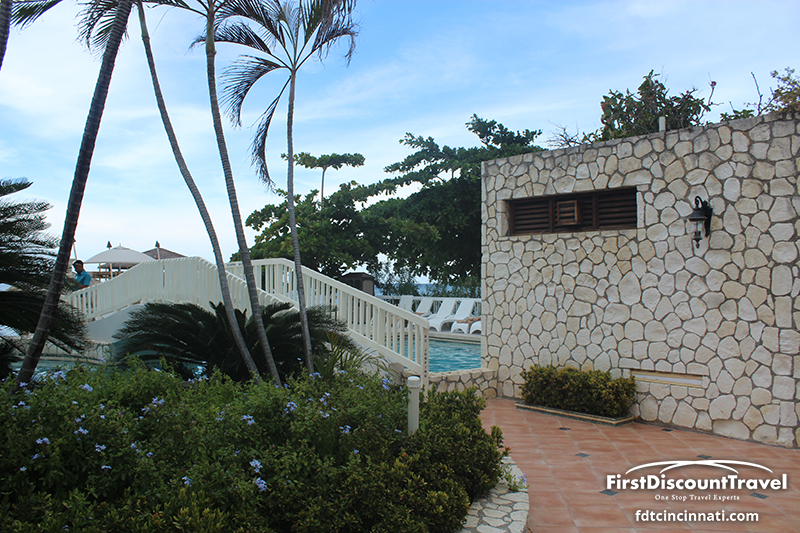 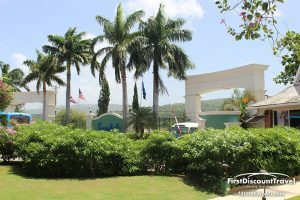 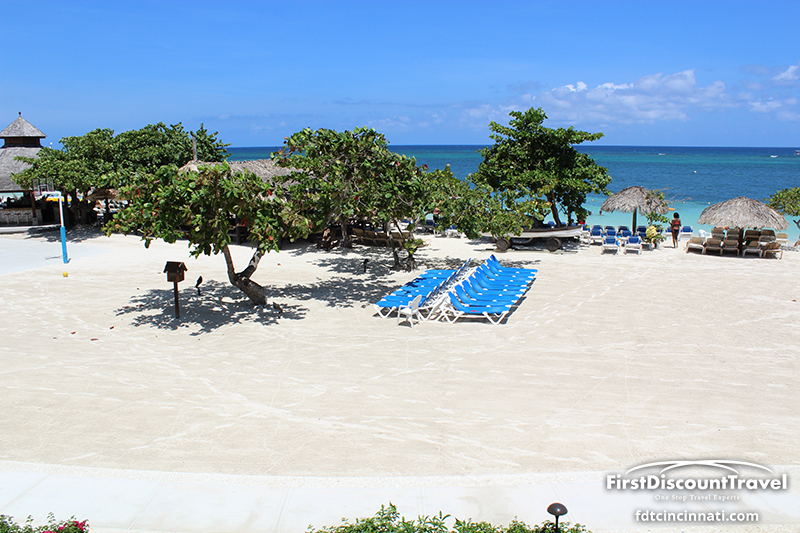 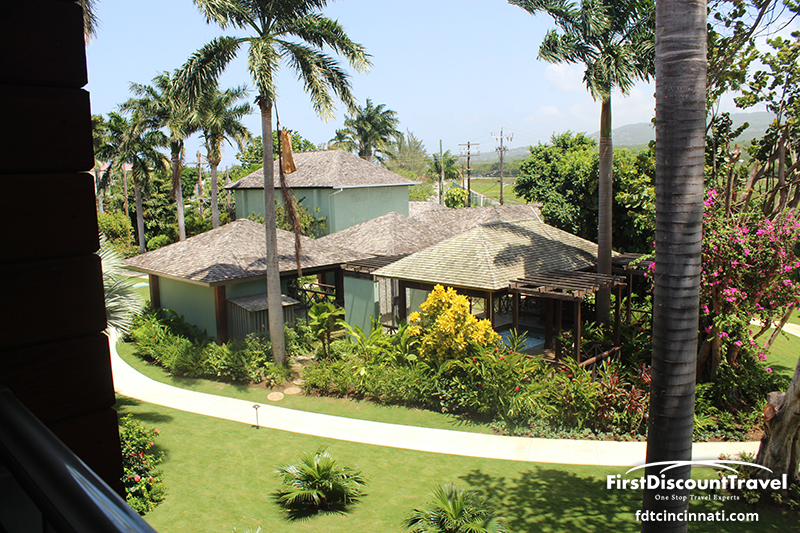 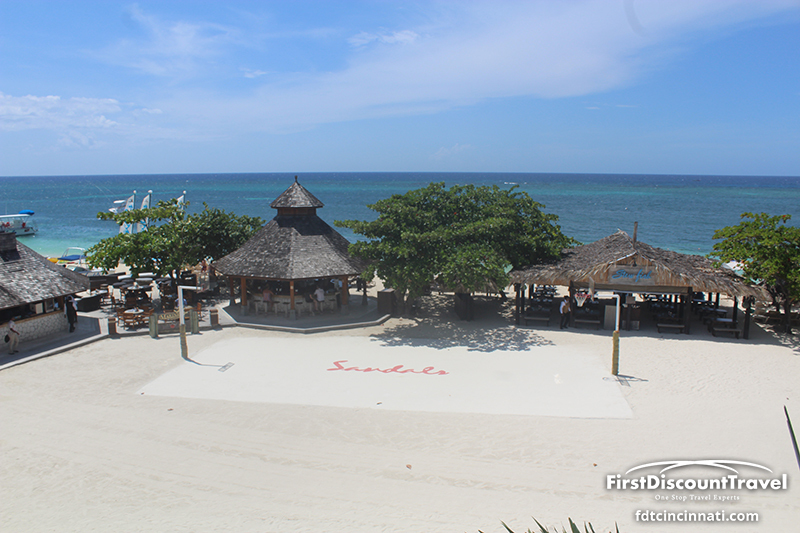 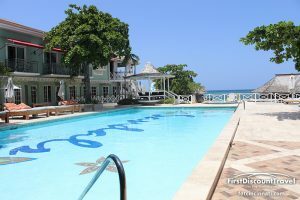 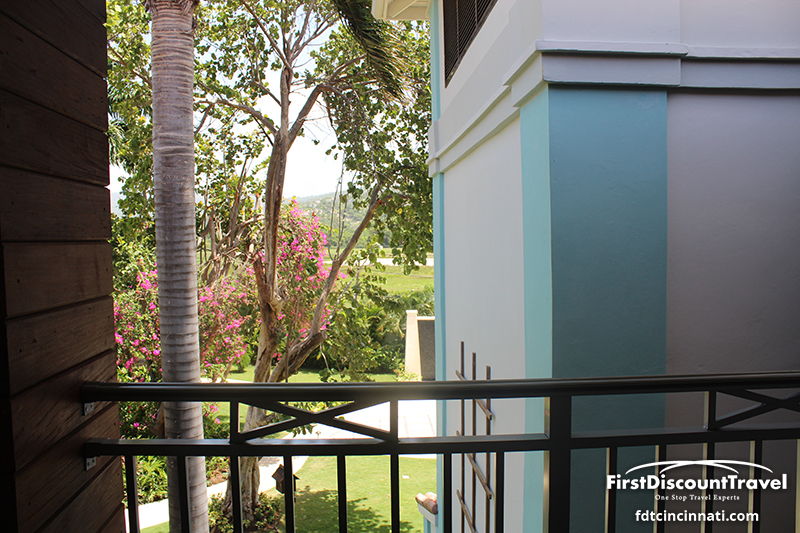 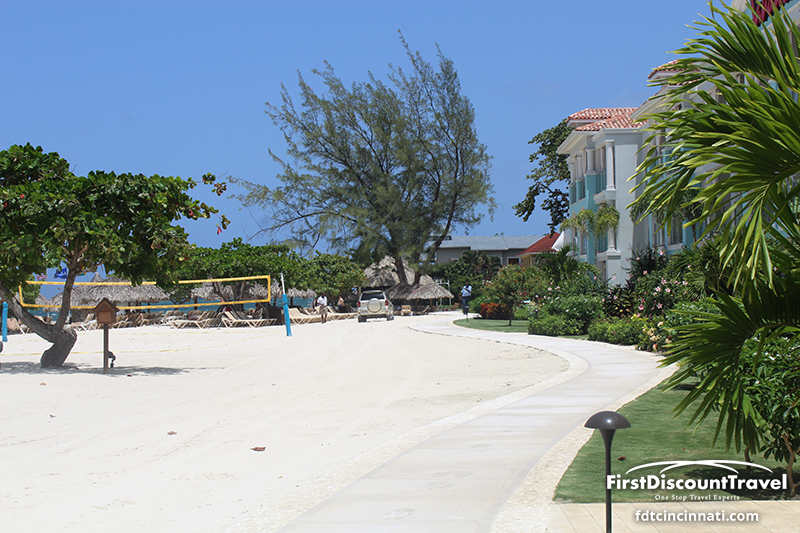 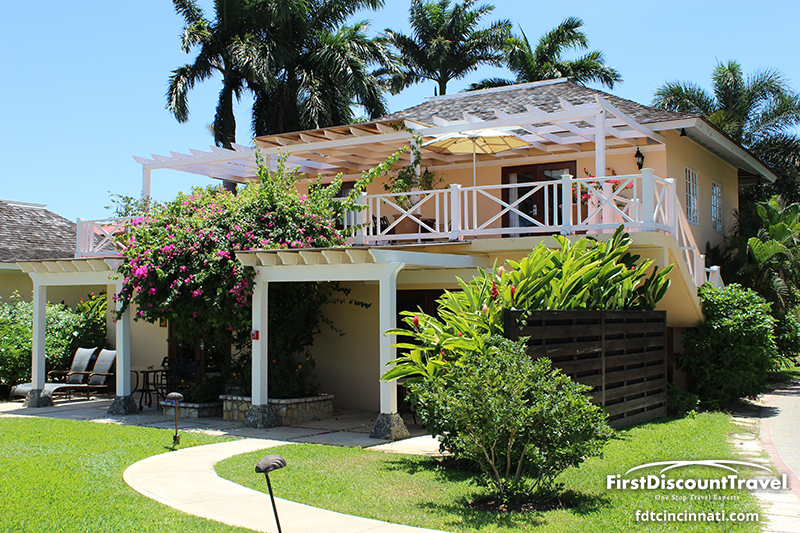 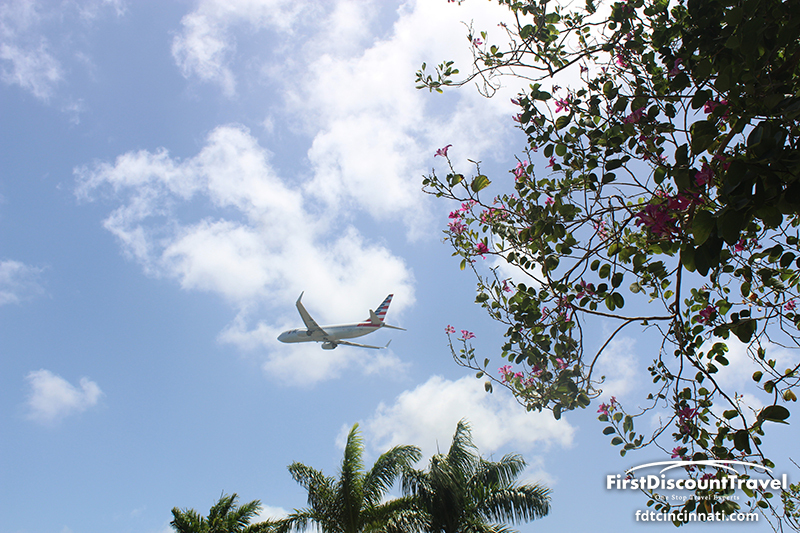 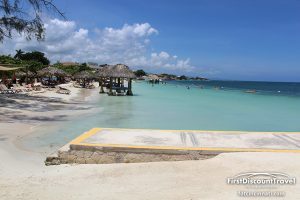 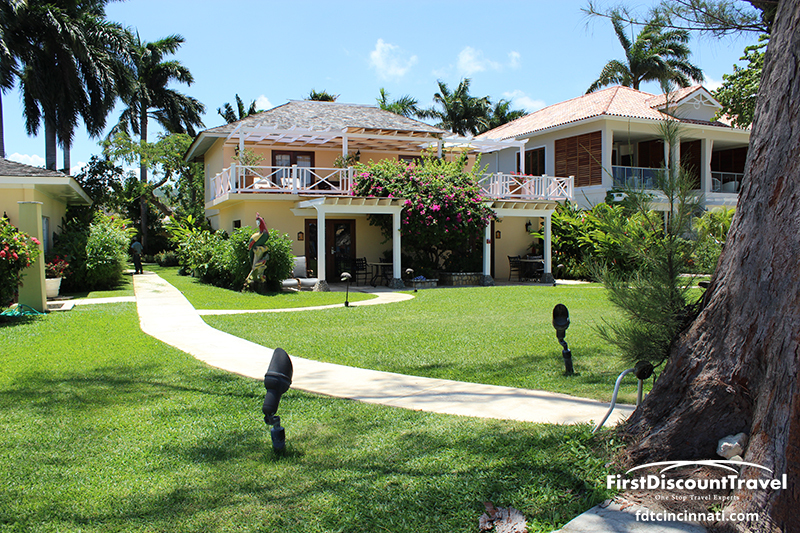 Sandals Montego Bay is located on the largest private beach in Montego Bay, 5 minutes from the airport. 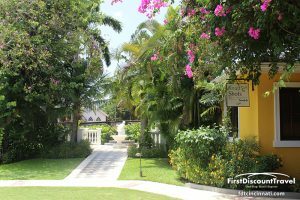 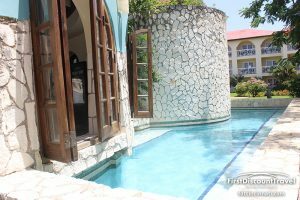 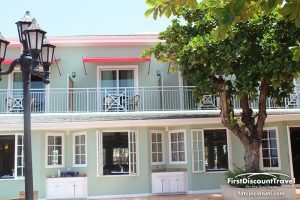 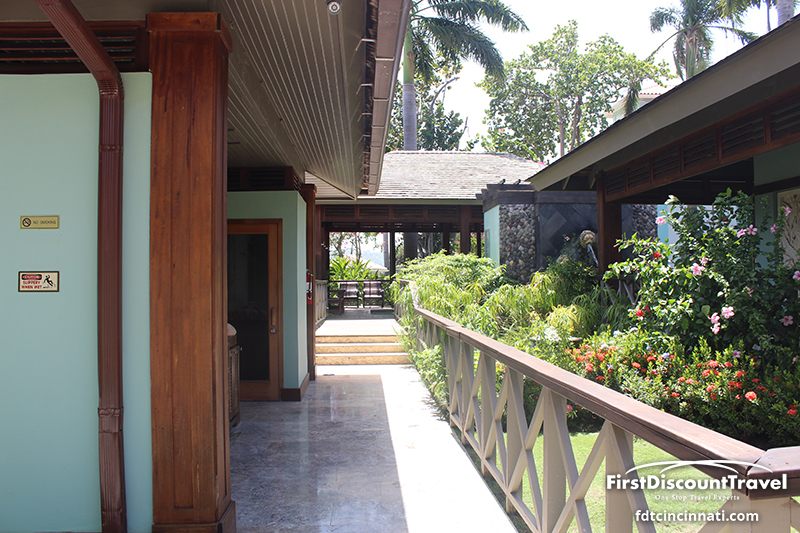 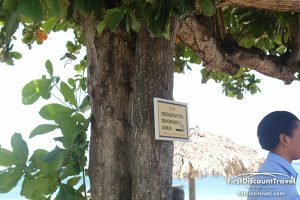 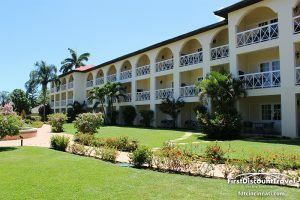 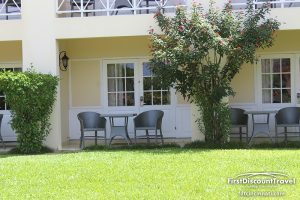 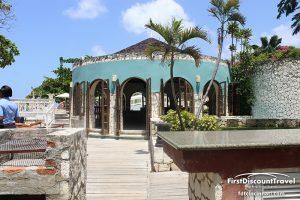 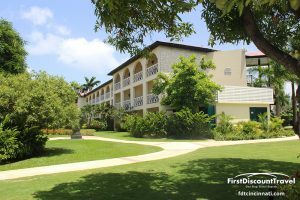 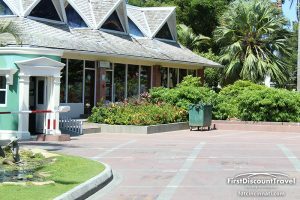 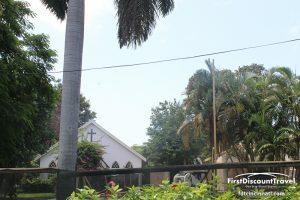 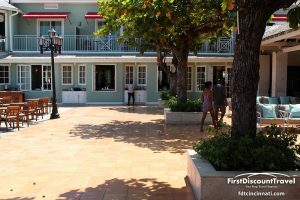 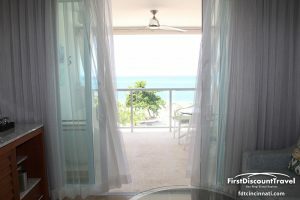 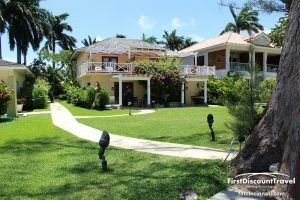 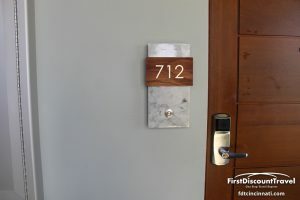 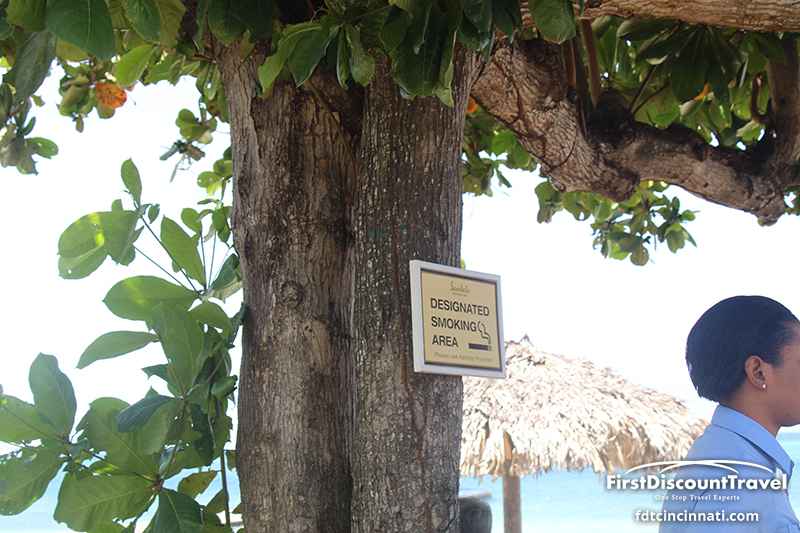 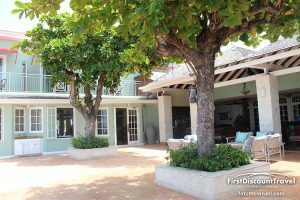 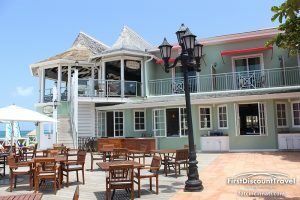 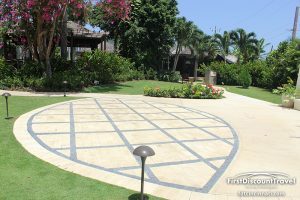 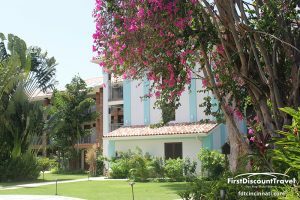 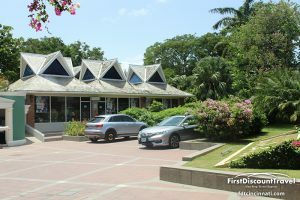 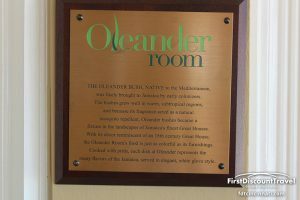 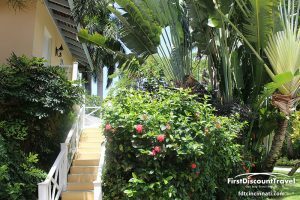 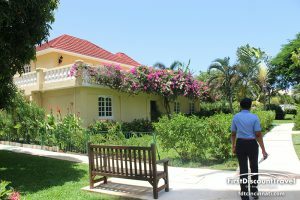 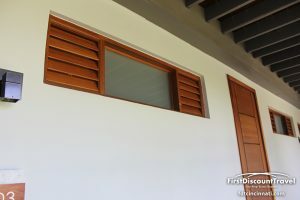 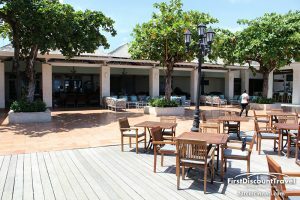 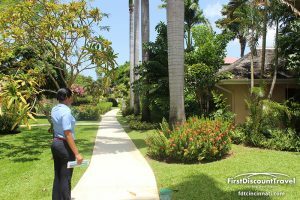 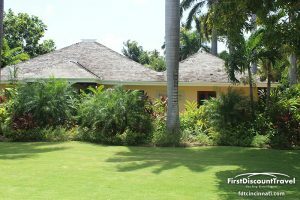 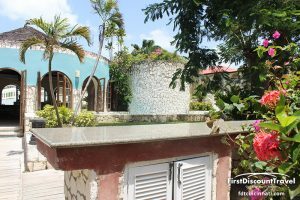 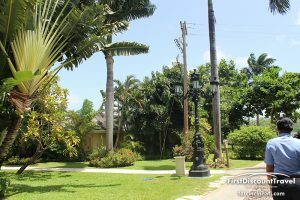 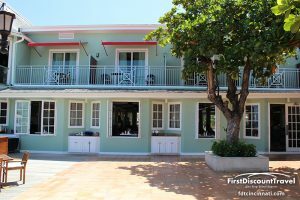 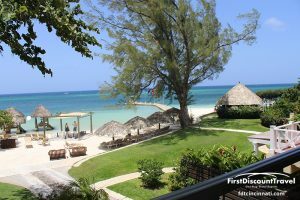 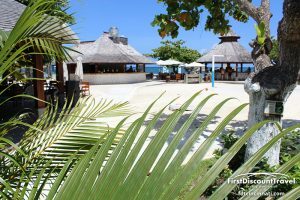 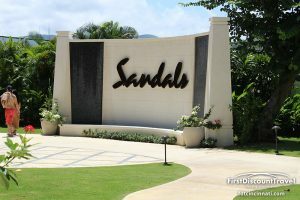 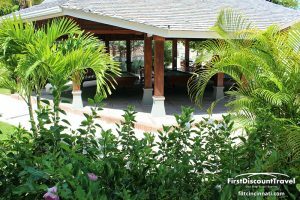 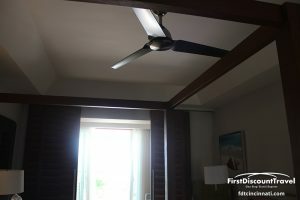 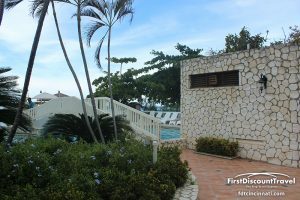 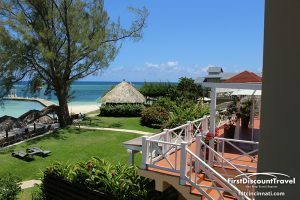 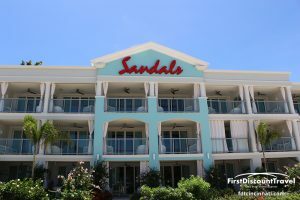 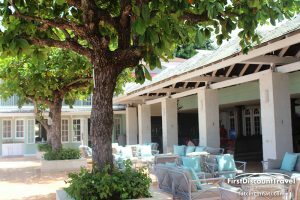 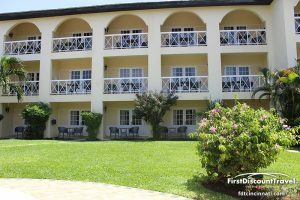 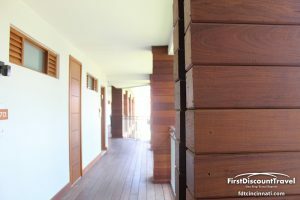 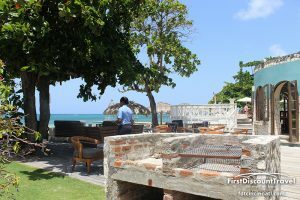 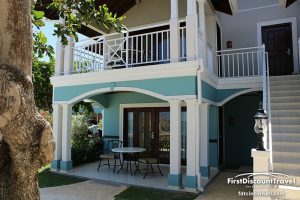 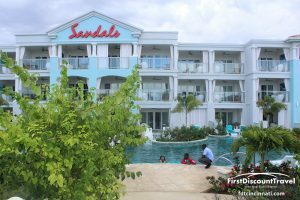 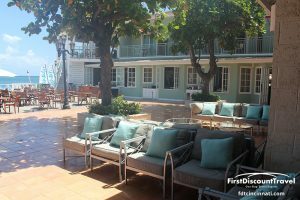 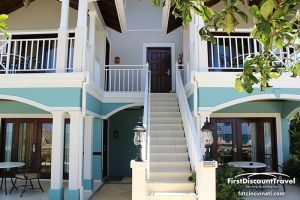 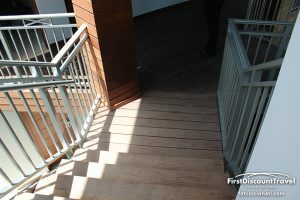 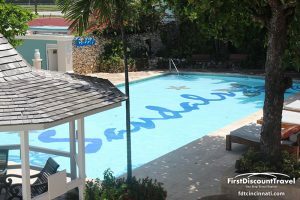 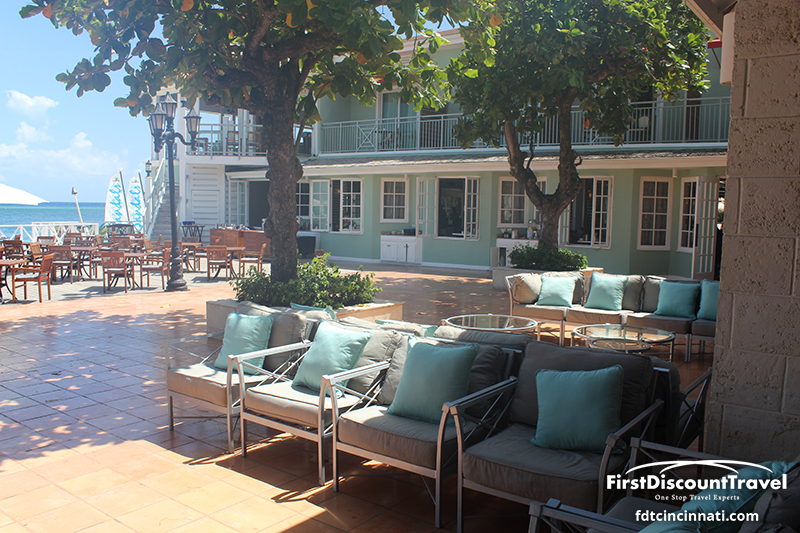 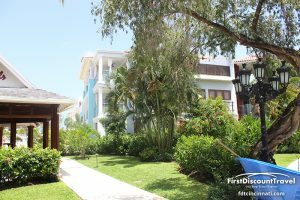 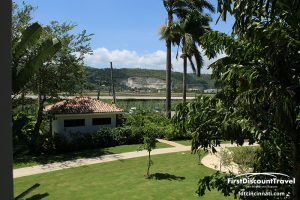 This is the original property that started the Sandals chain and has the highest return guest ratio of any other Sandals resort. 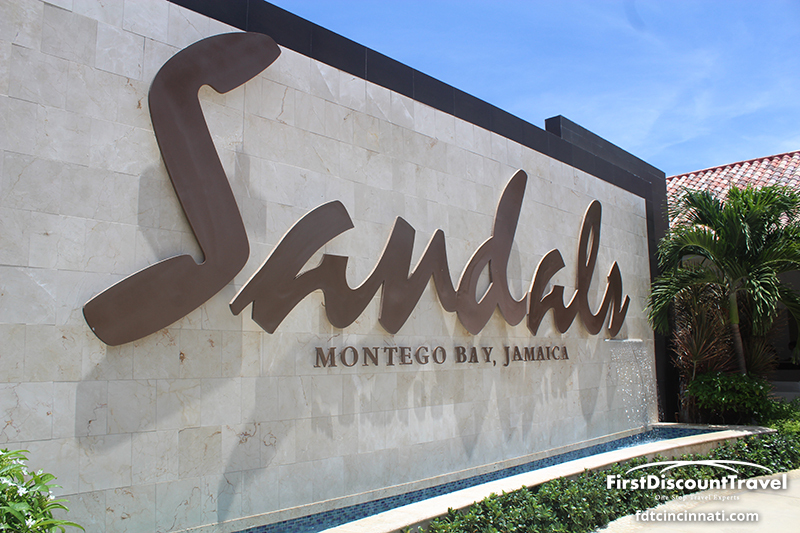 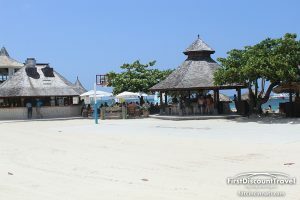 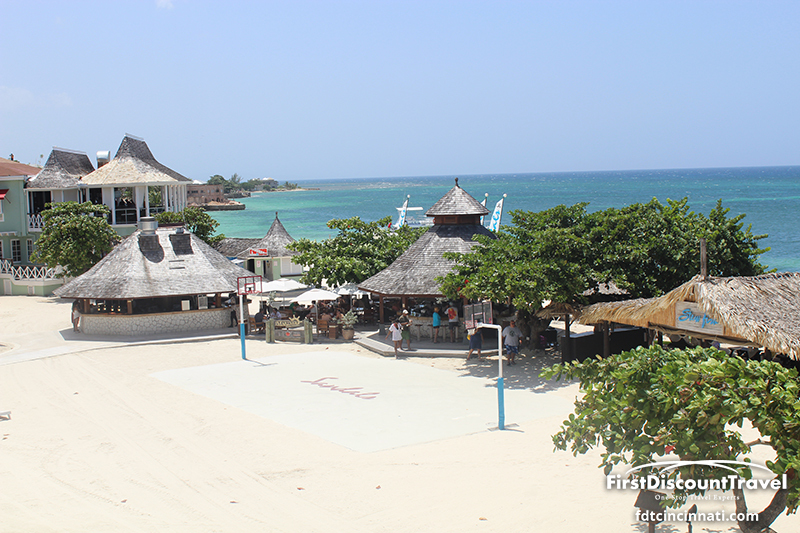 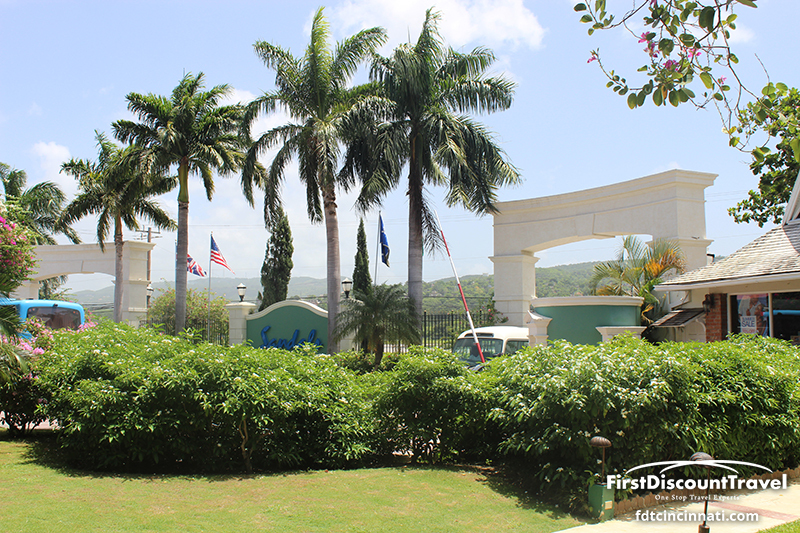 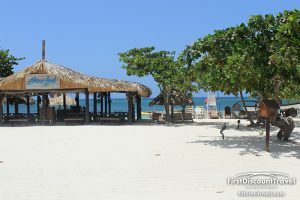 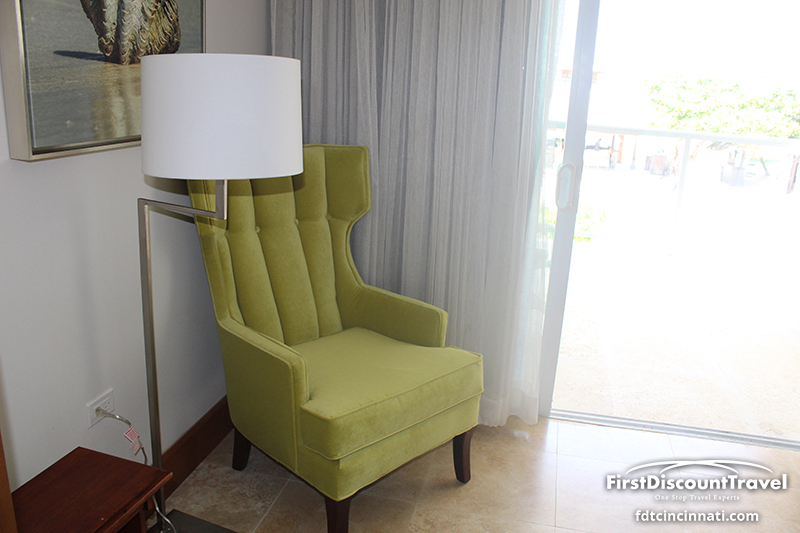 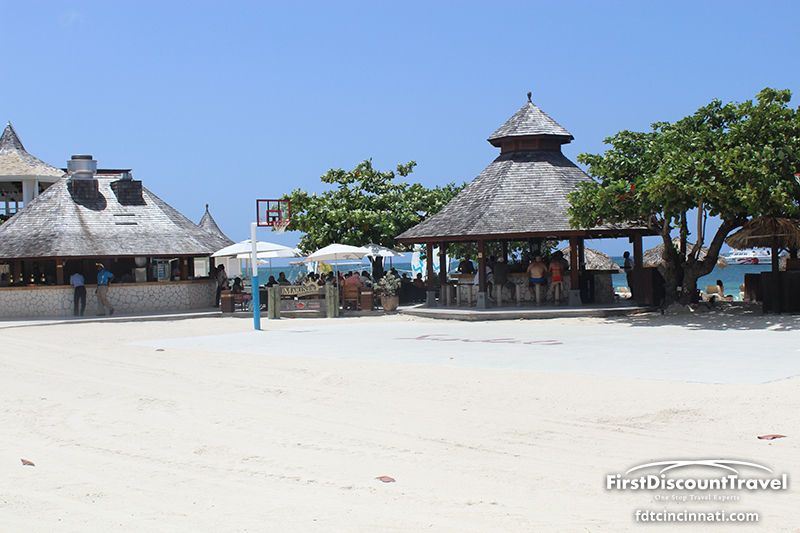 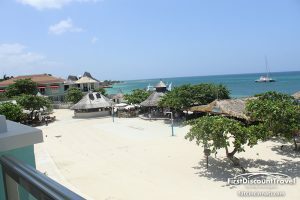 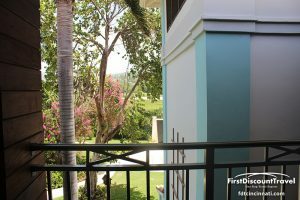 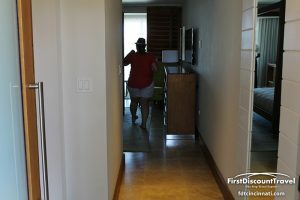 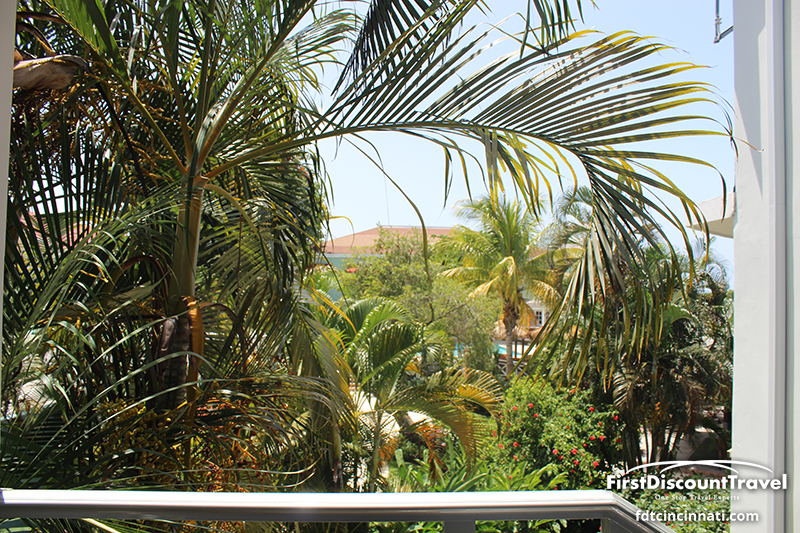 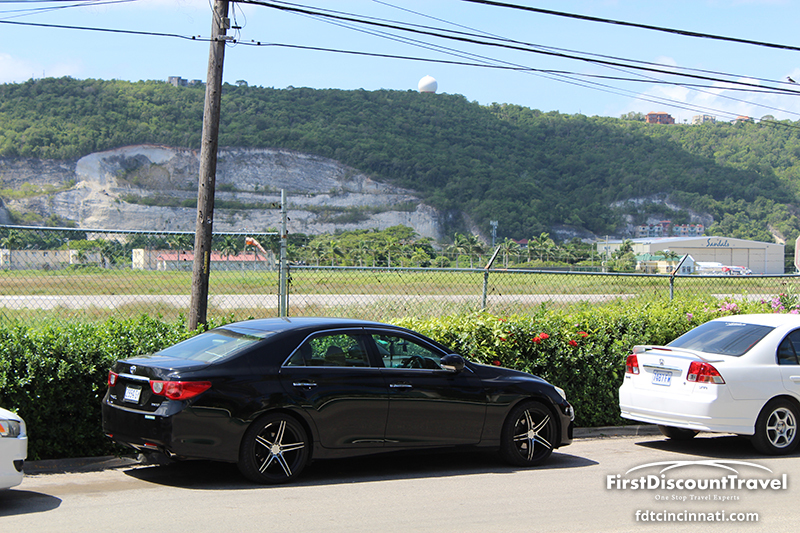 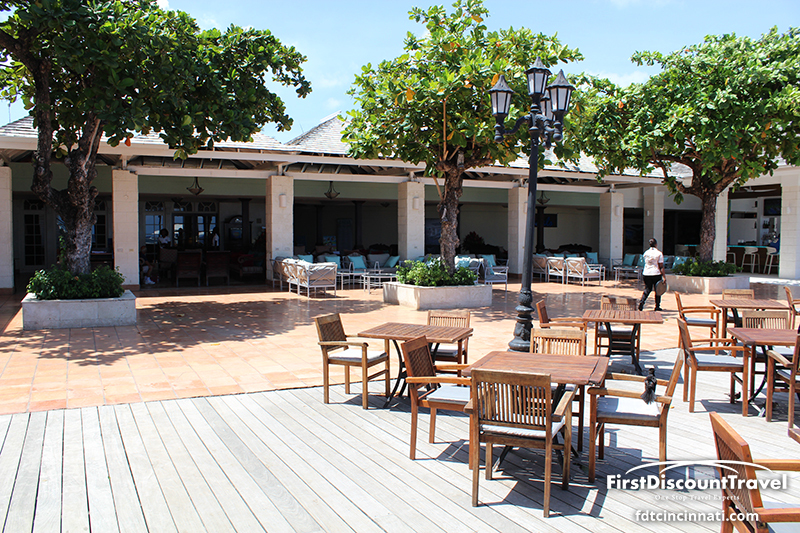 Sandals Montego Bay is very high energy and has a very upbeat vibe. Monday night’s beach party is not to be missed. 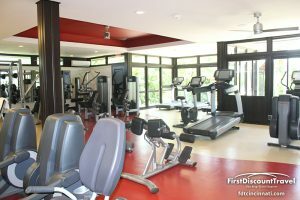 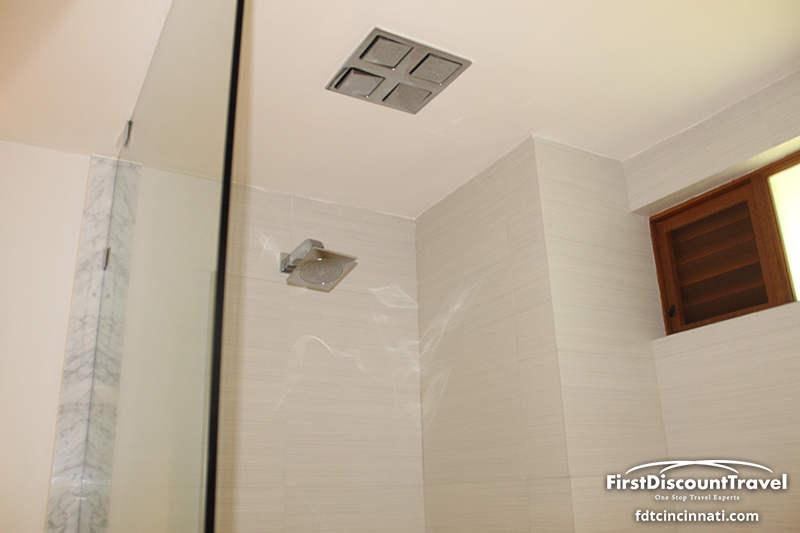 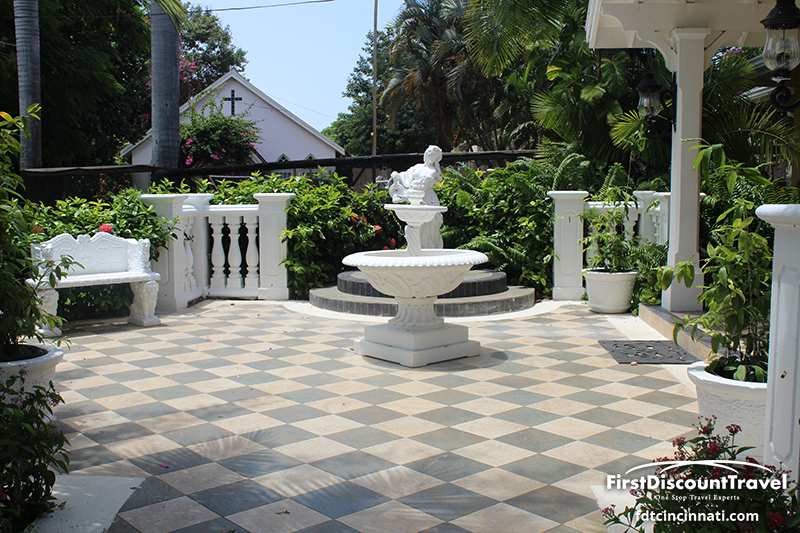 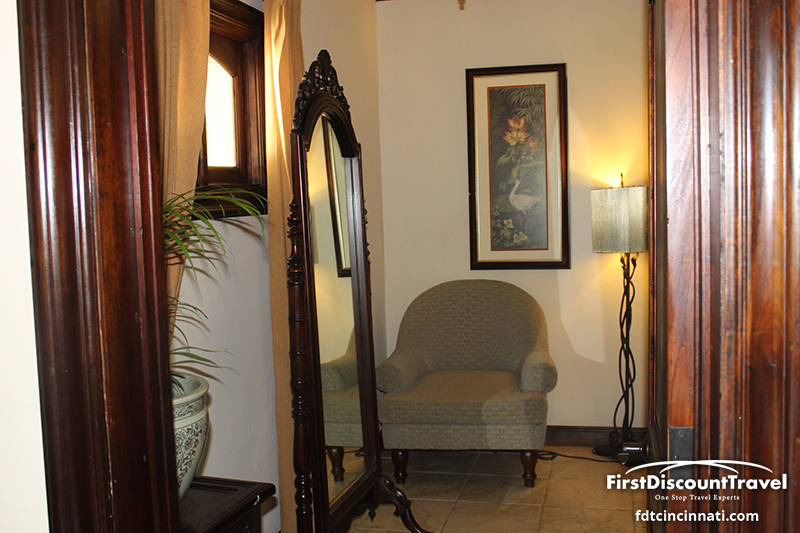 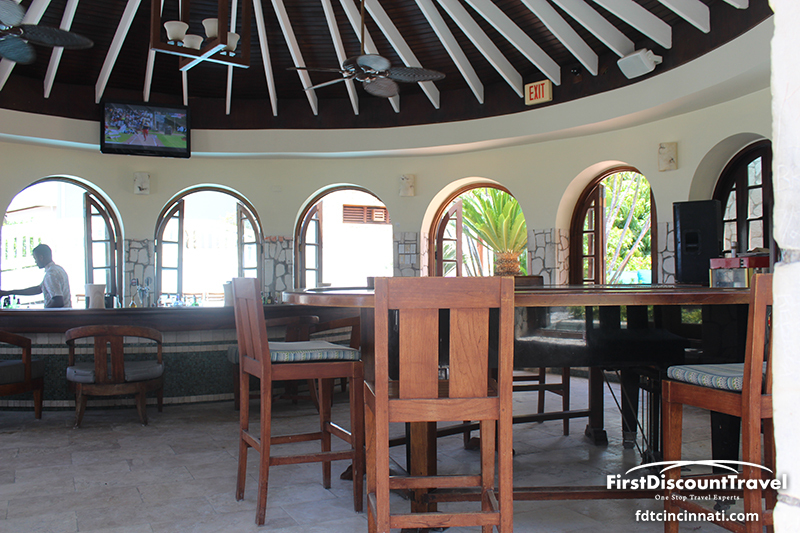 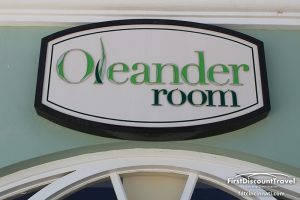 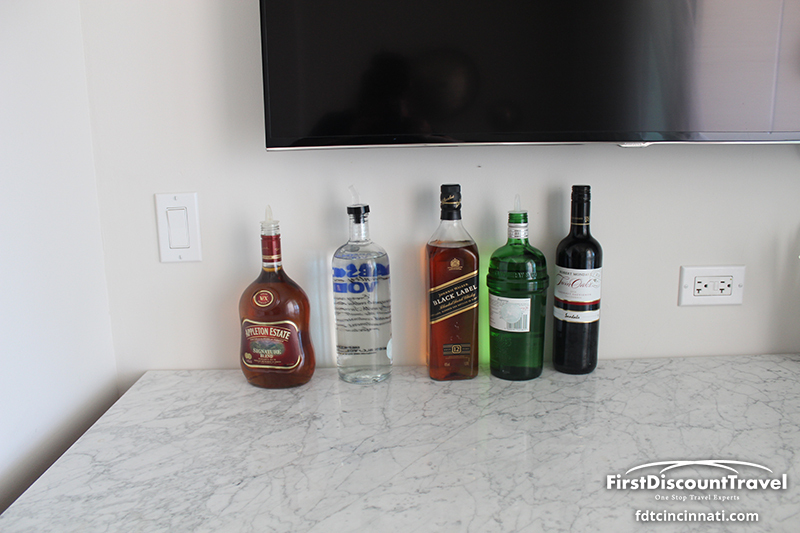 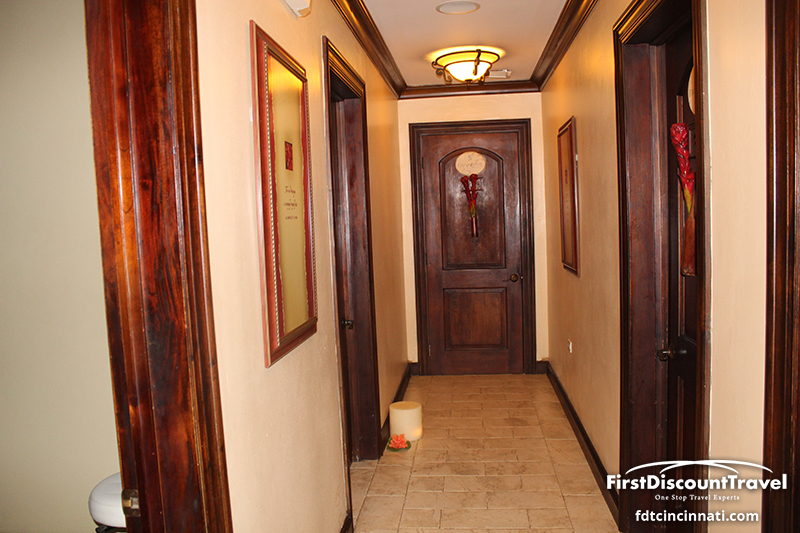 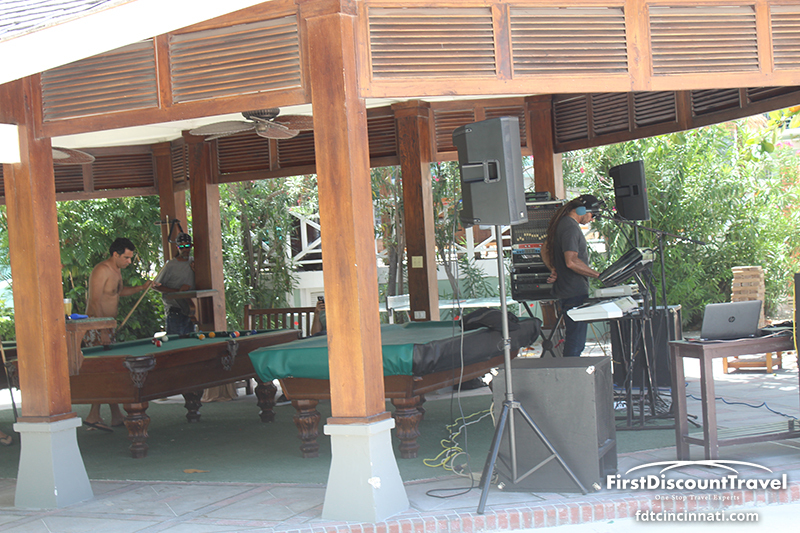 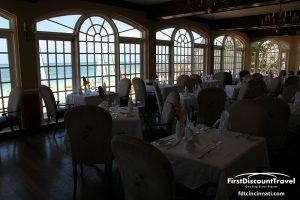 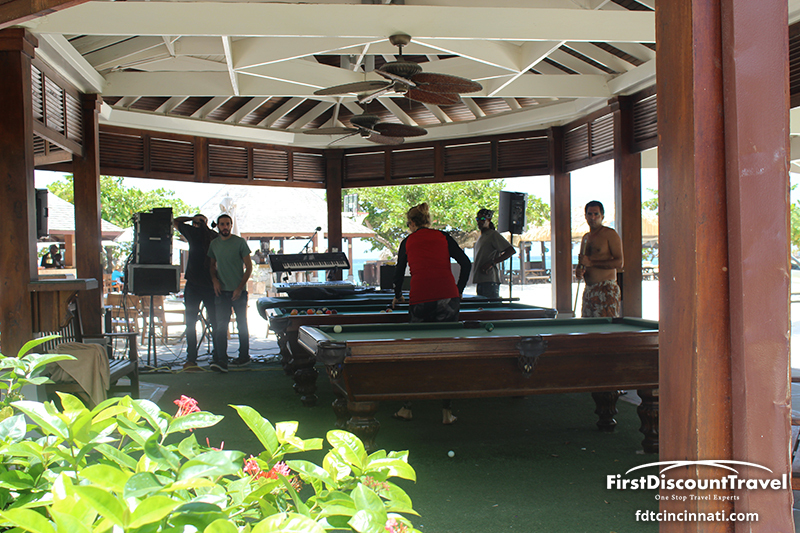 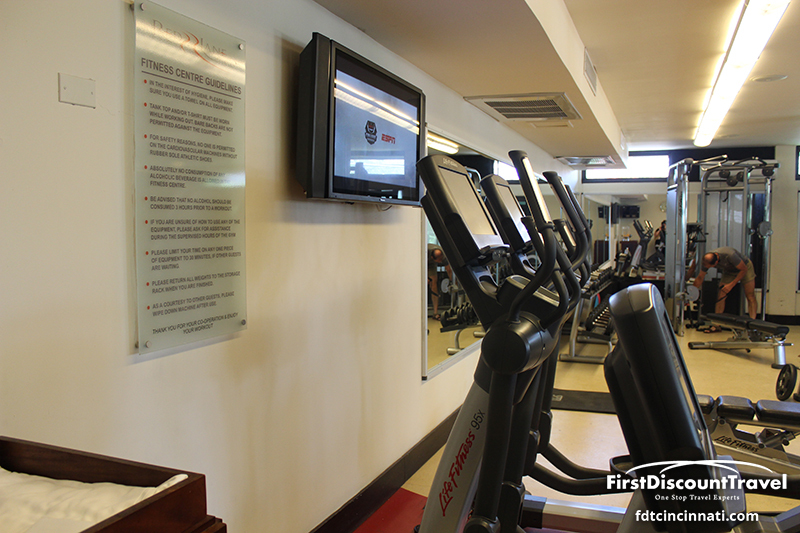 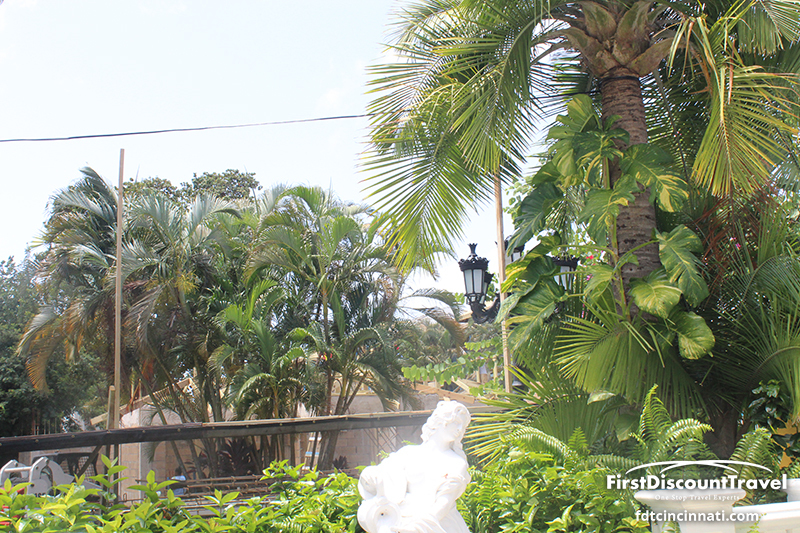 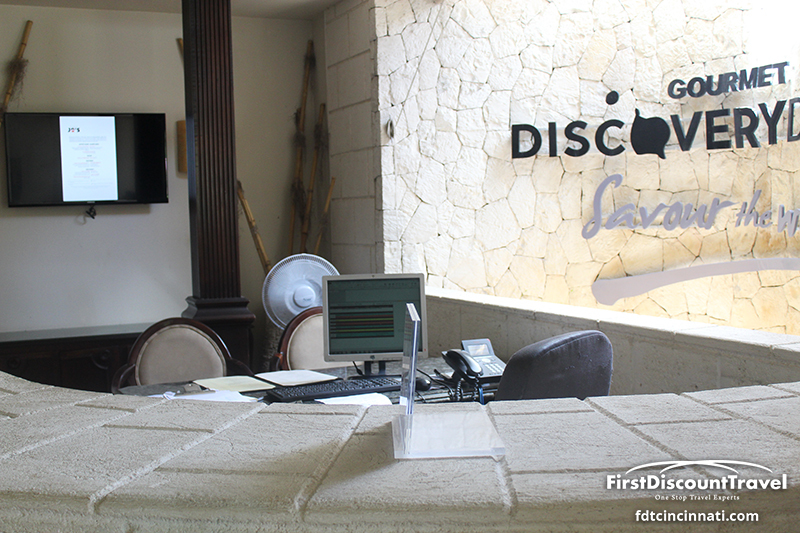 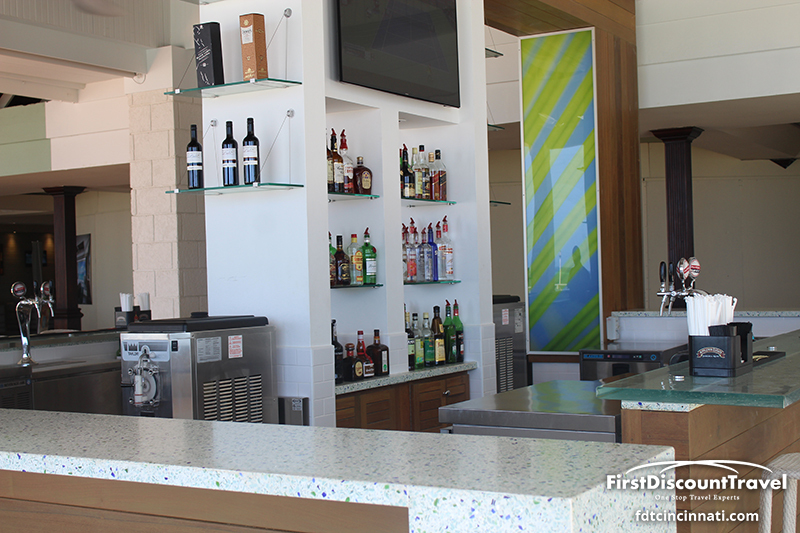 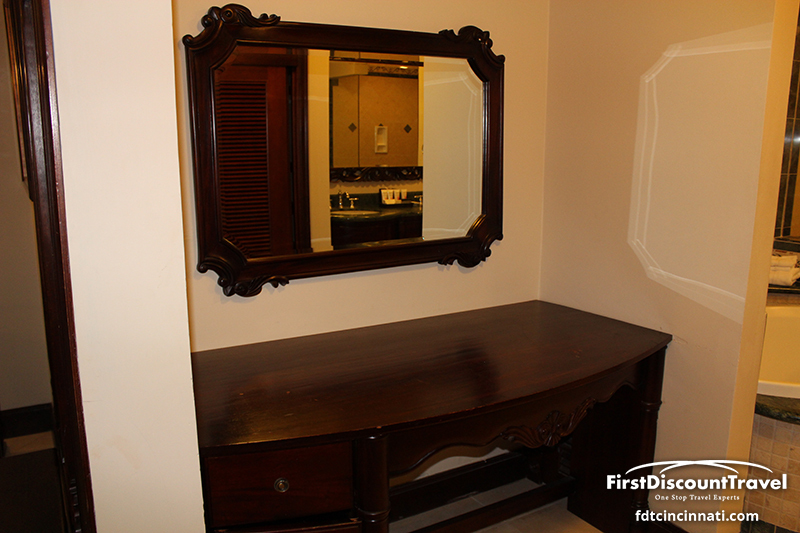 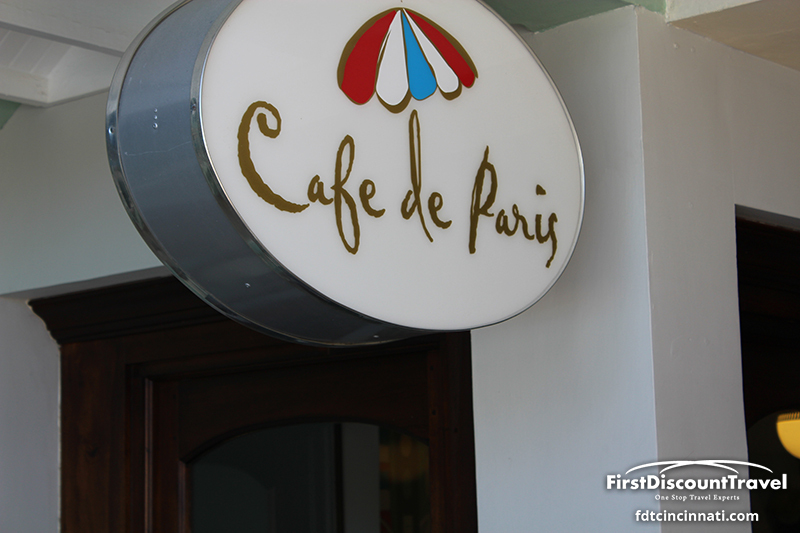 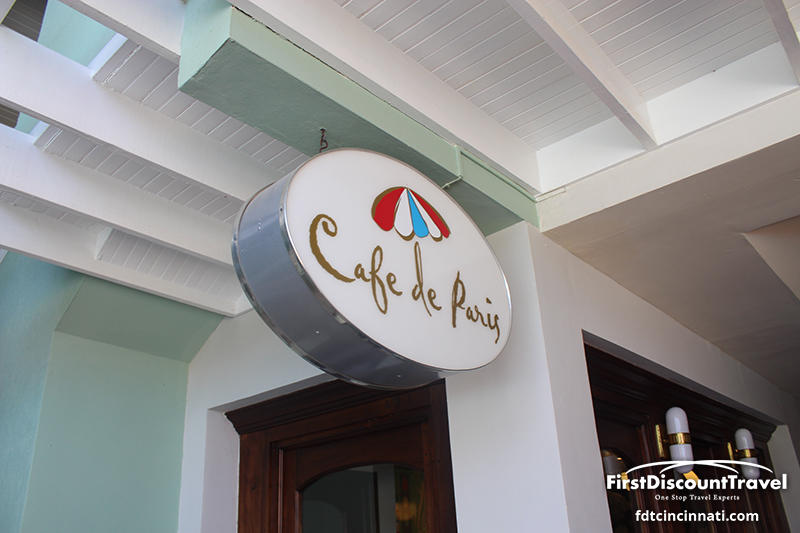 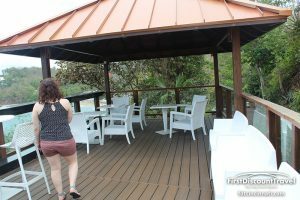 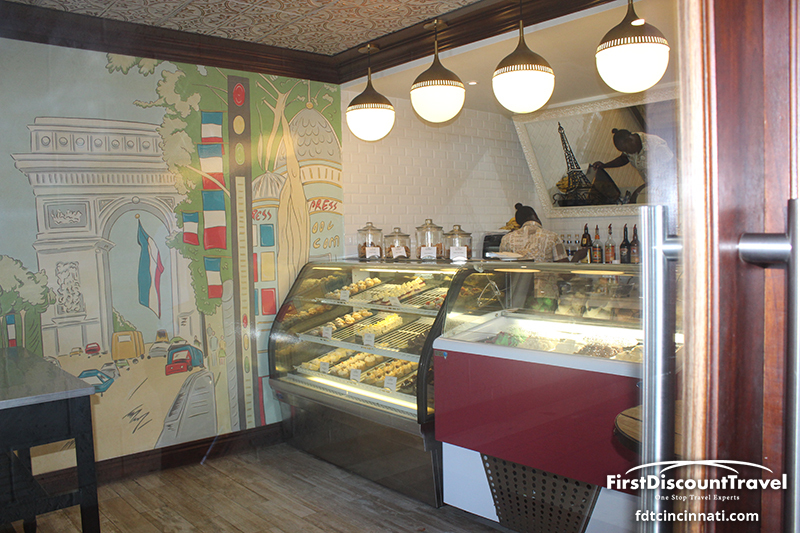 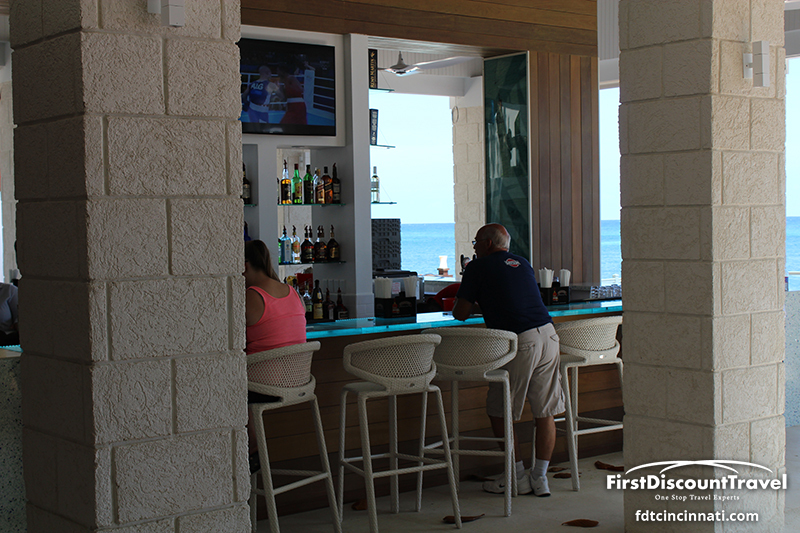 There is professional entertainment and live music nightly. 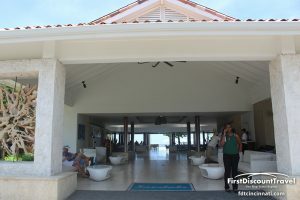 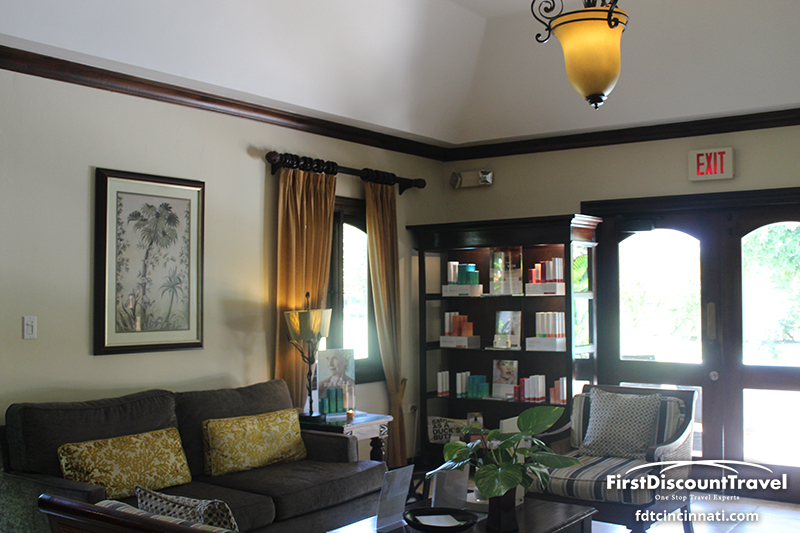 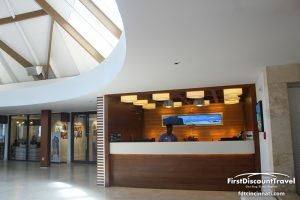 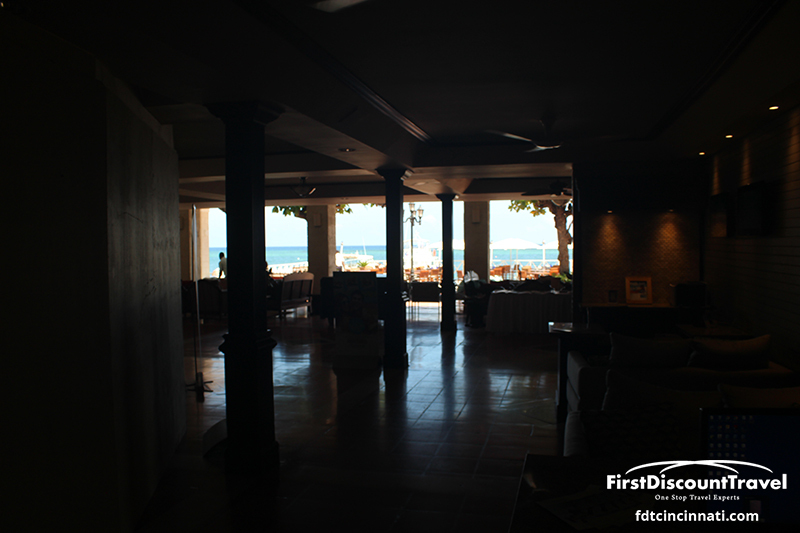 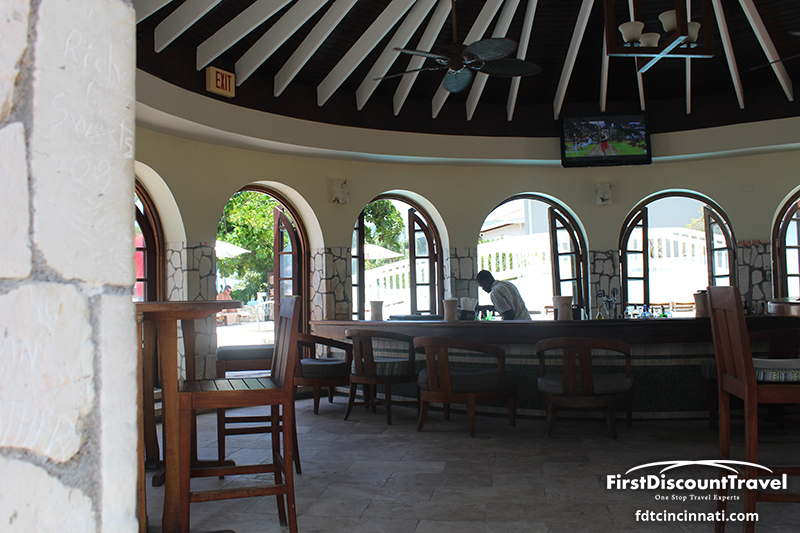 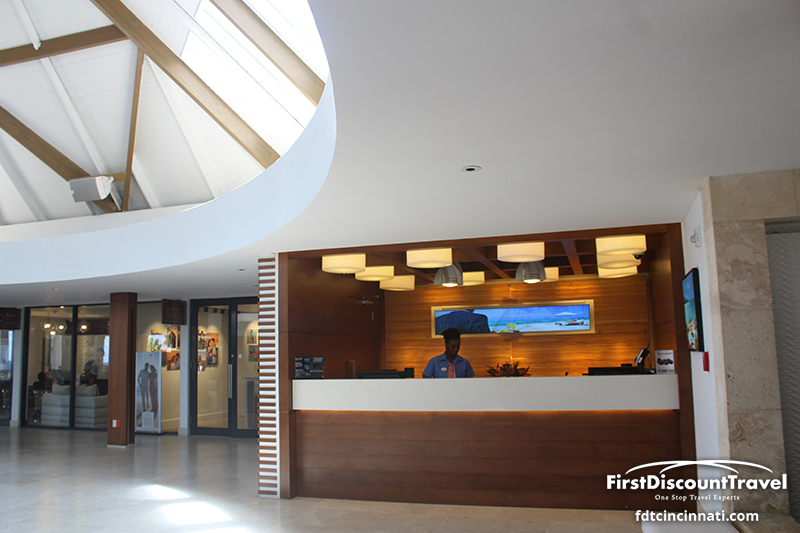 The lobby is air conditioned and is home to a stage and the new Cricketeer’s Pub. 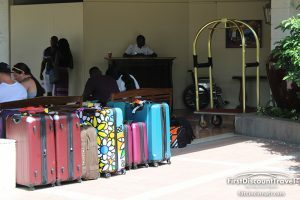 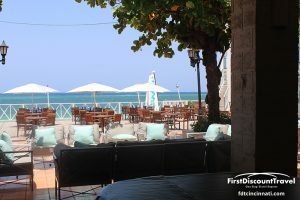 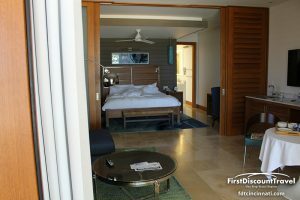 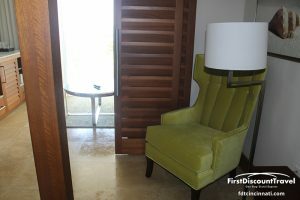 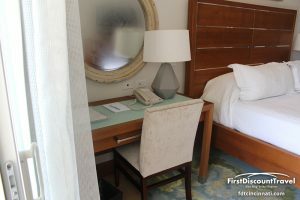 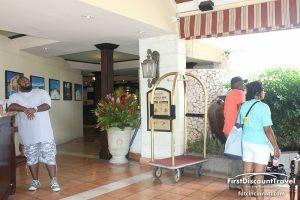 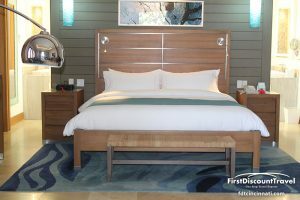 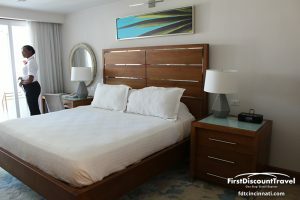 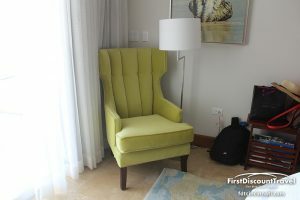 Exchange privileges at the surrounding Sandals resorts (Royal Caribbean and Sandals Inn) and transportation is included. 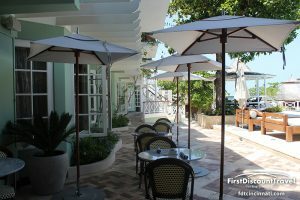 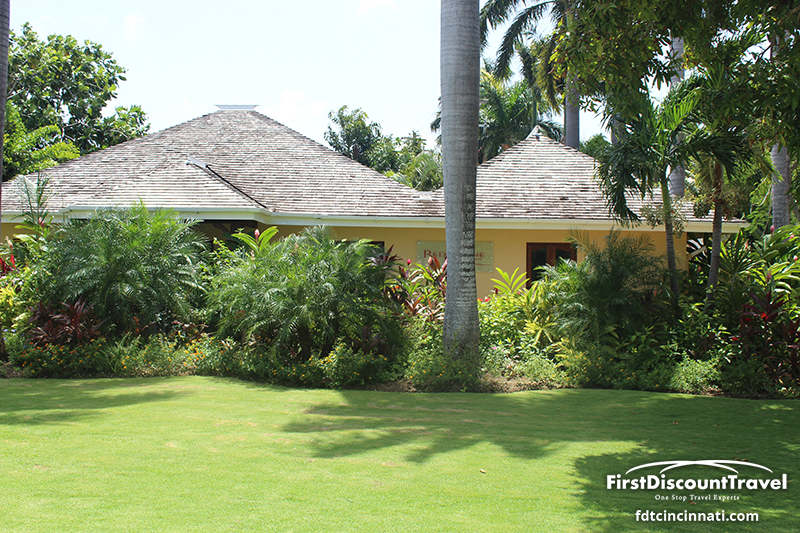 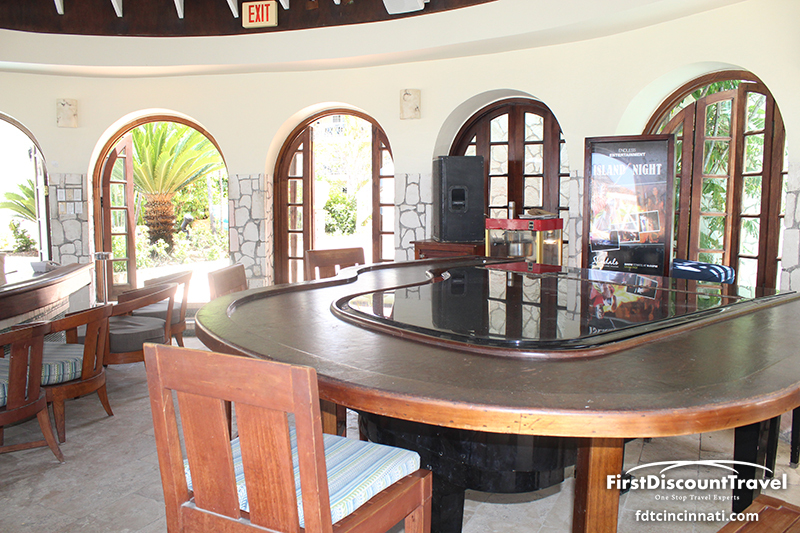 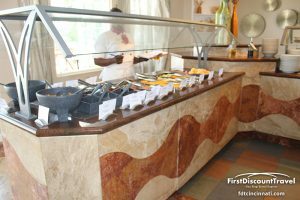 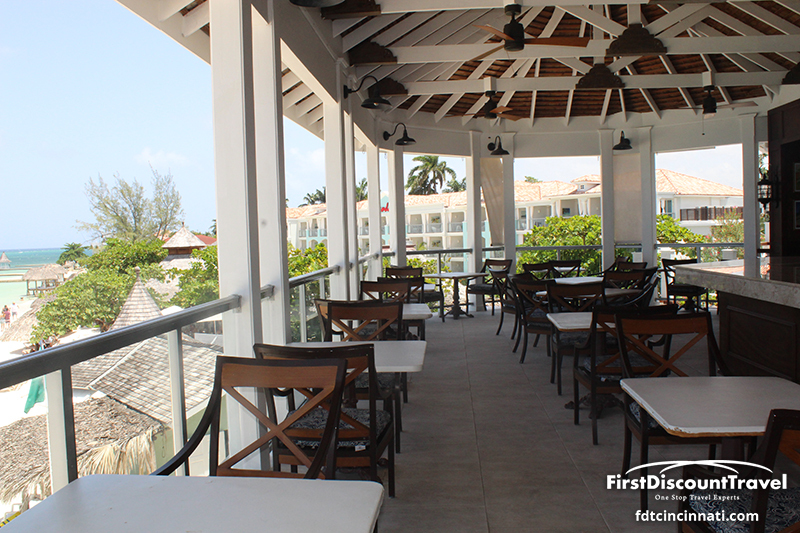 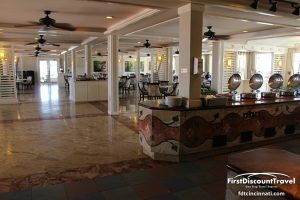 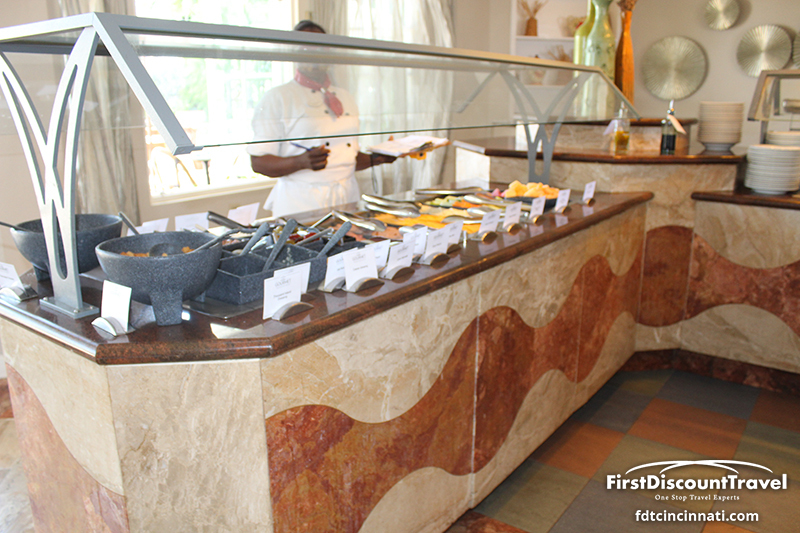 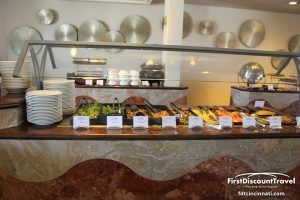 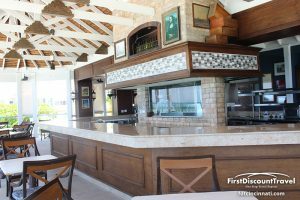 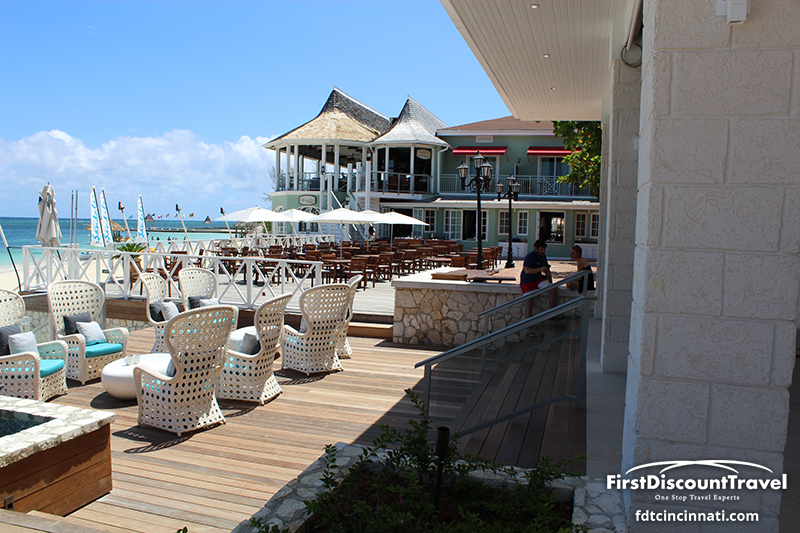 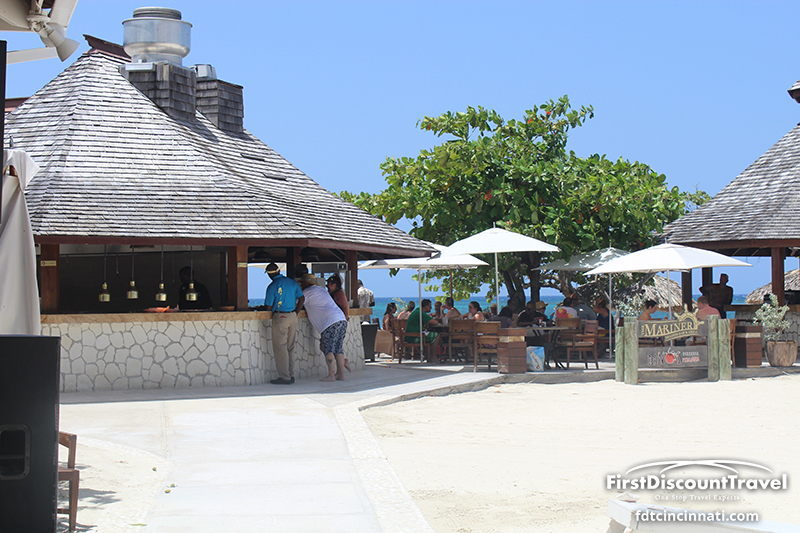 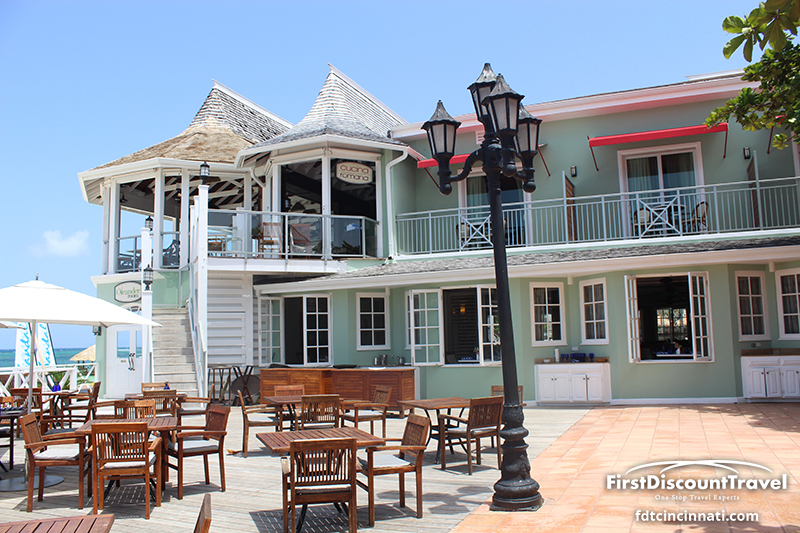 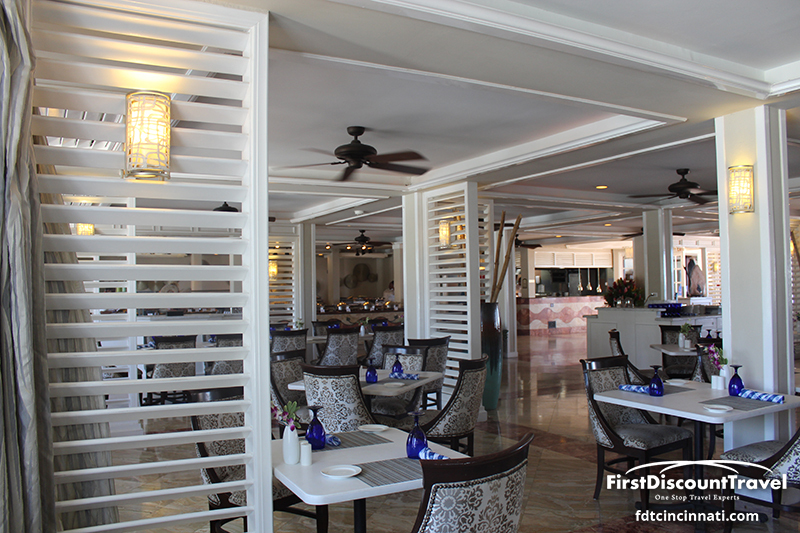 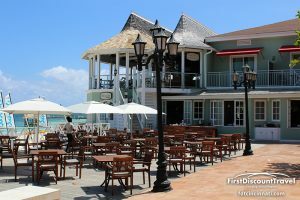 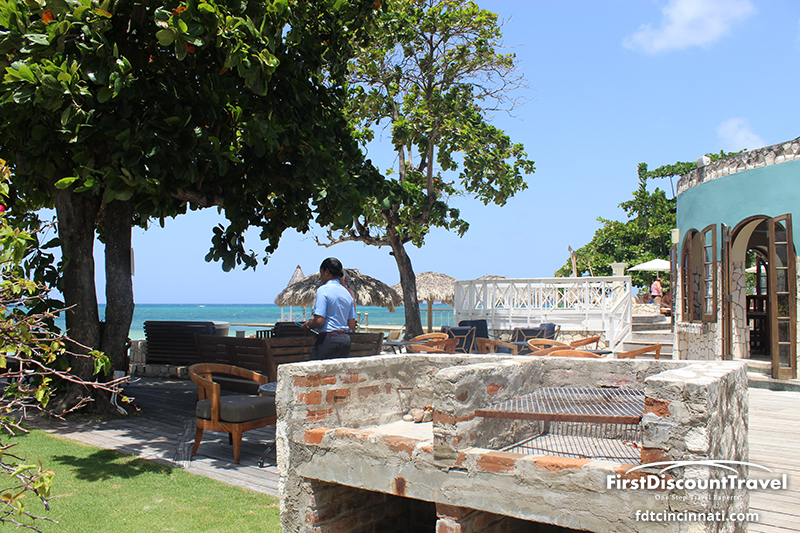 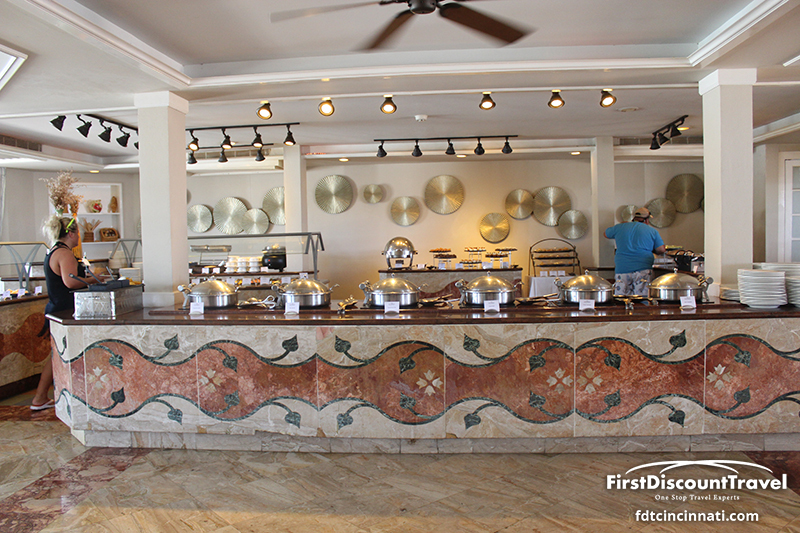 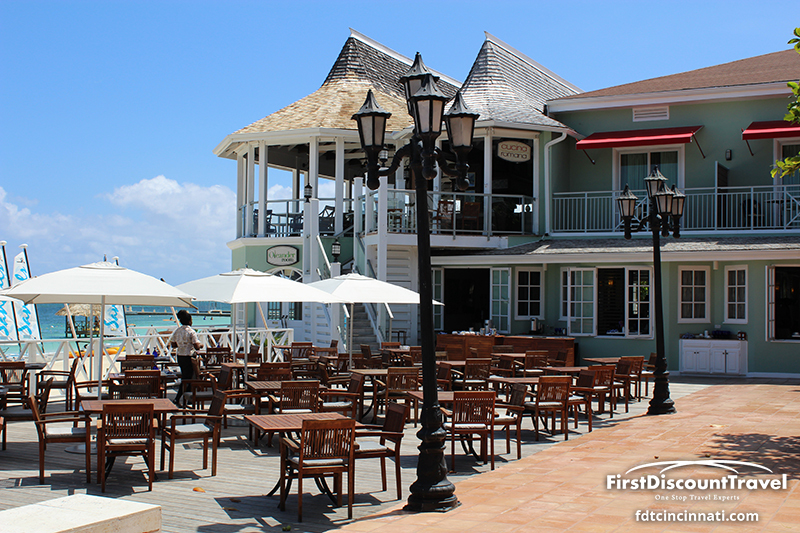 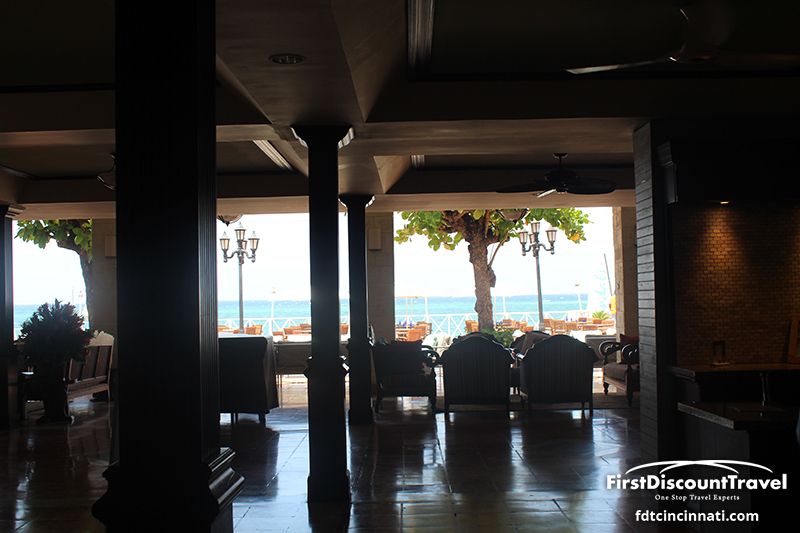 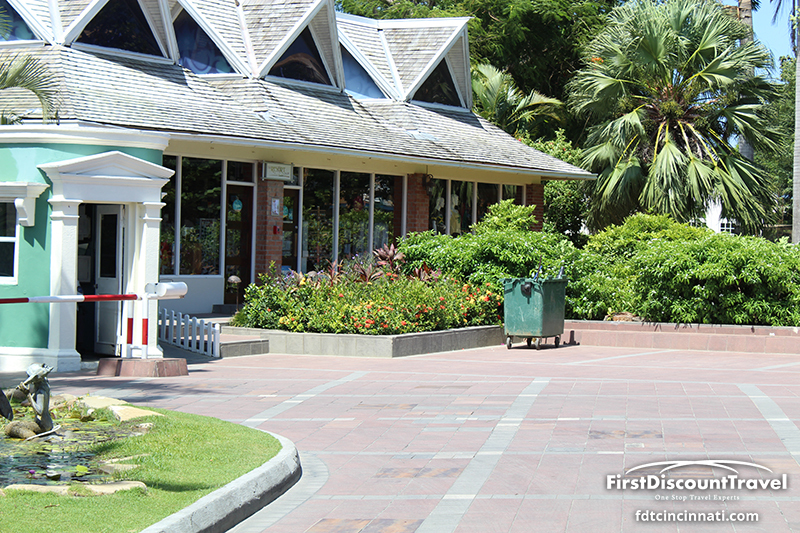 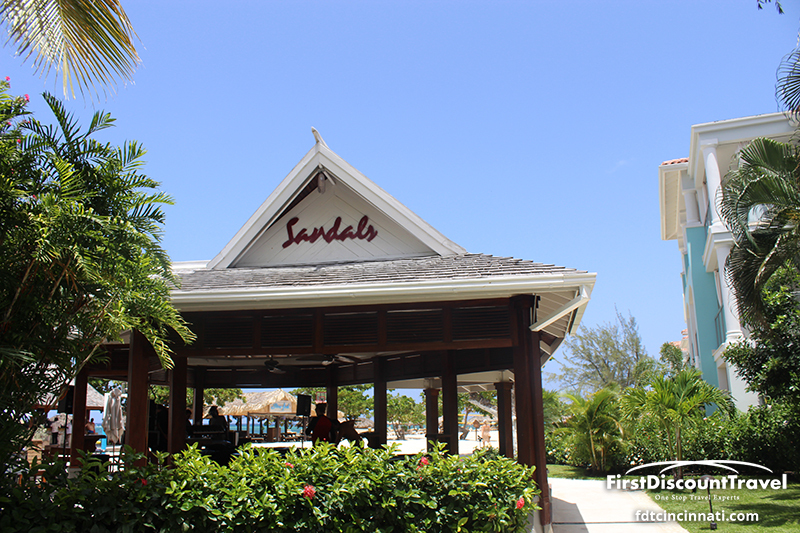 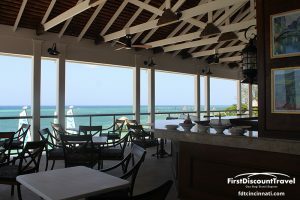 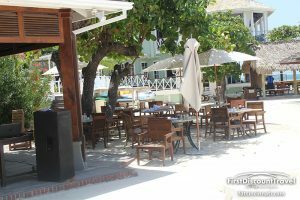 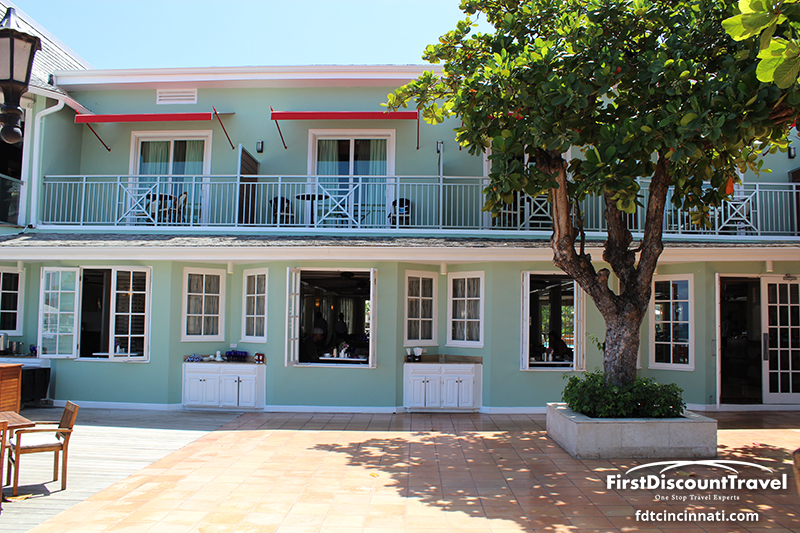 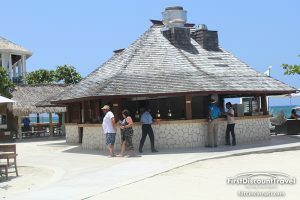 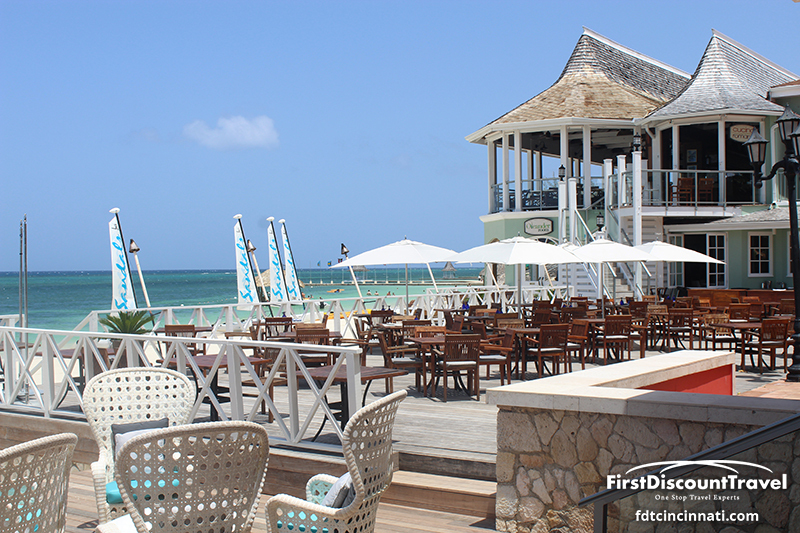 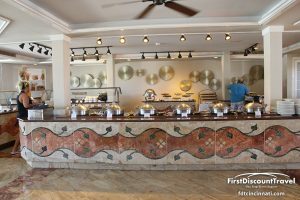 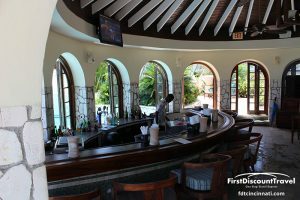 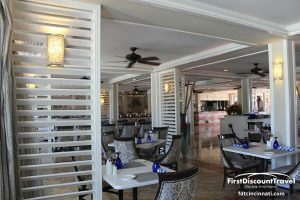 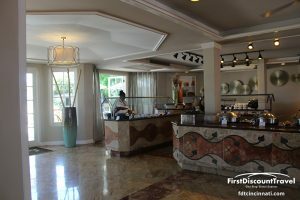 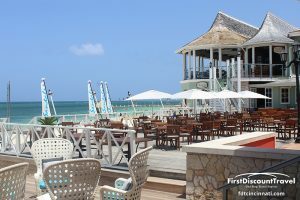 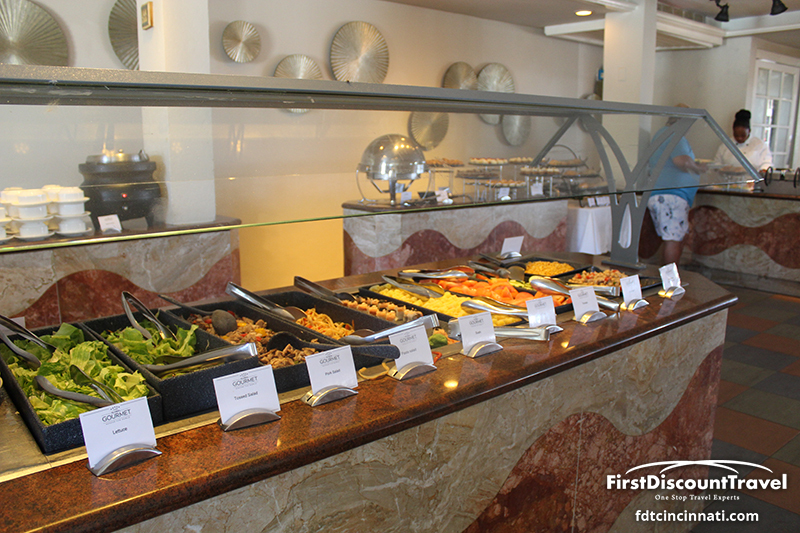 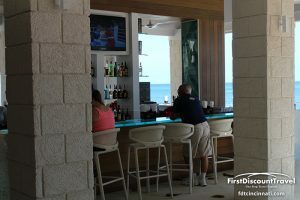 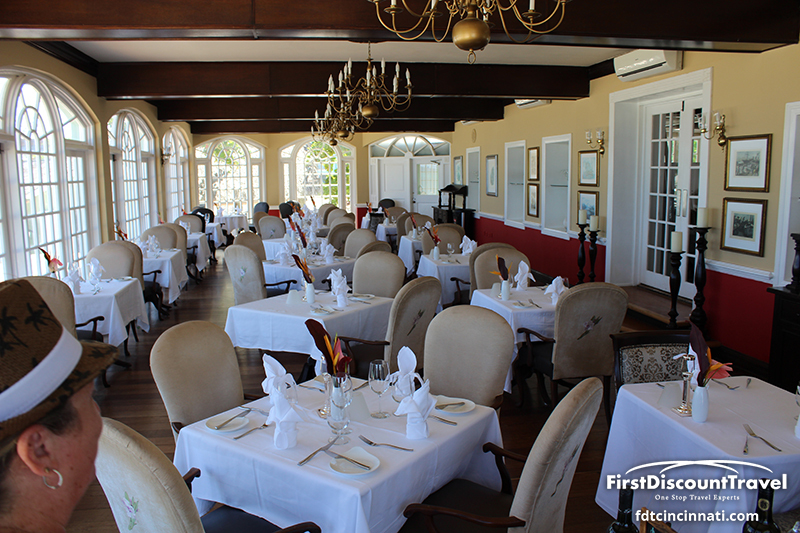 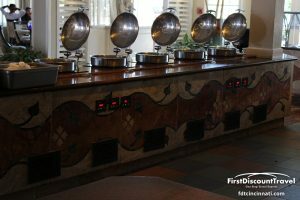 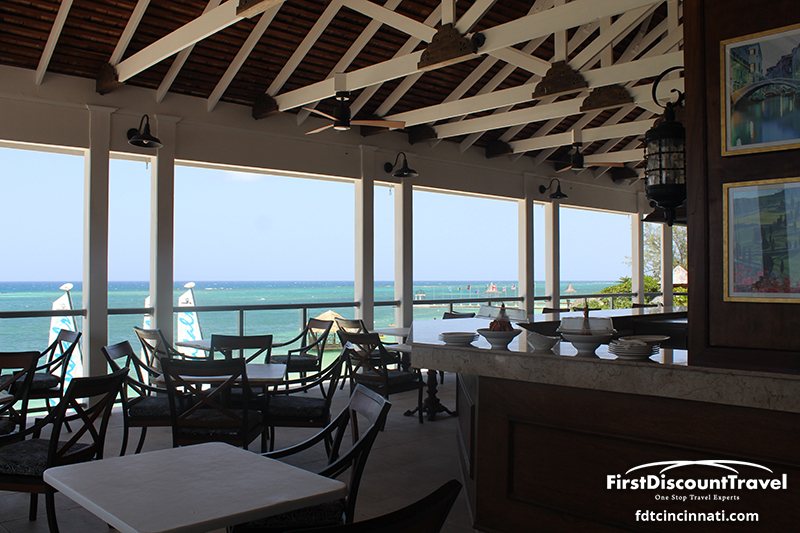 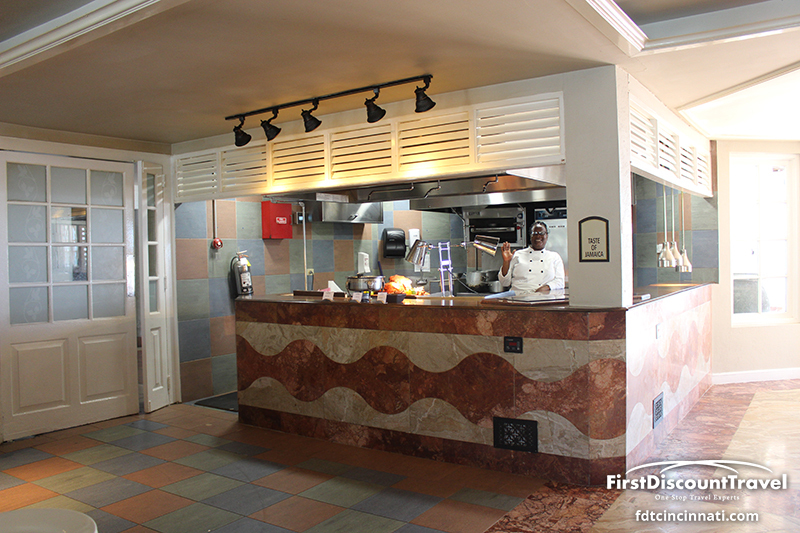 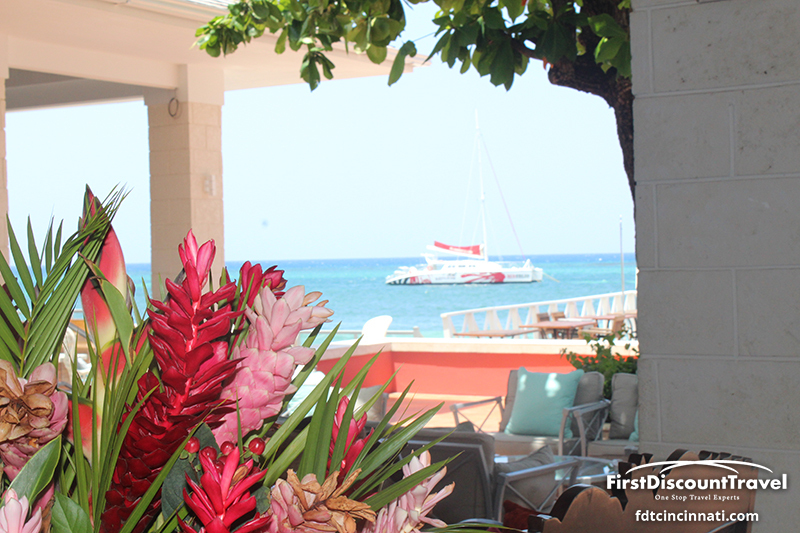 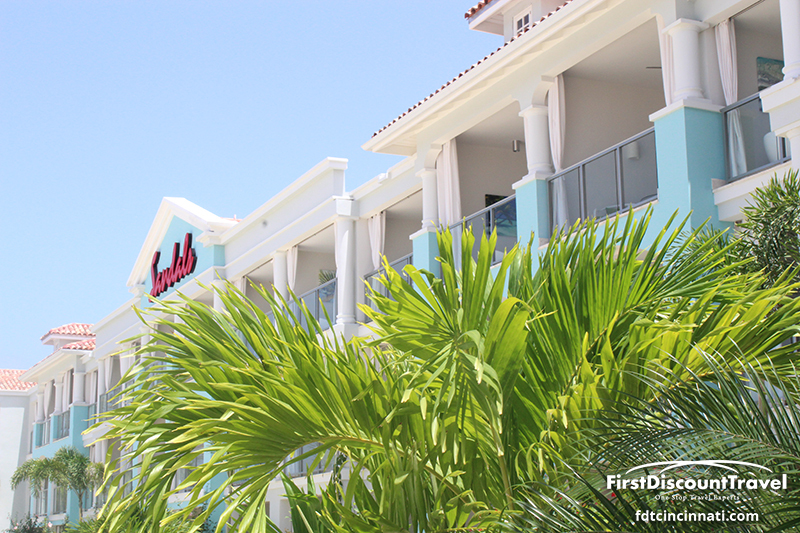 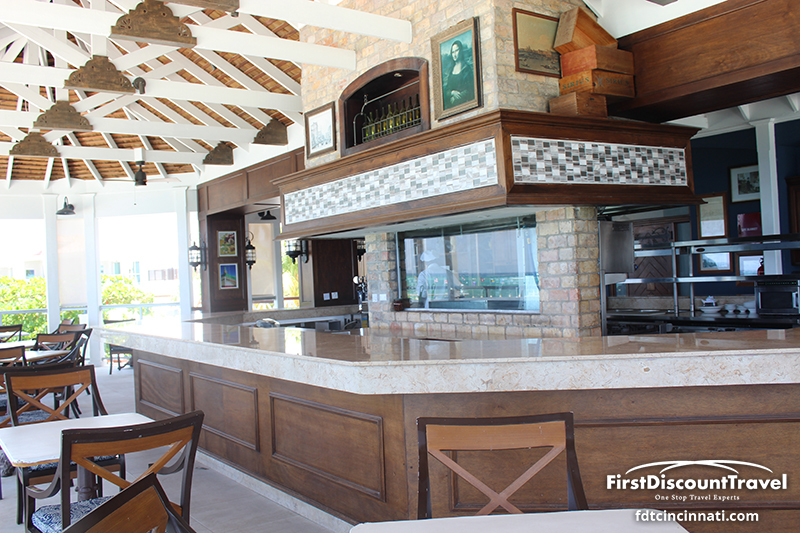 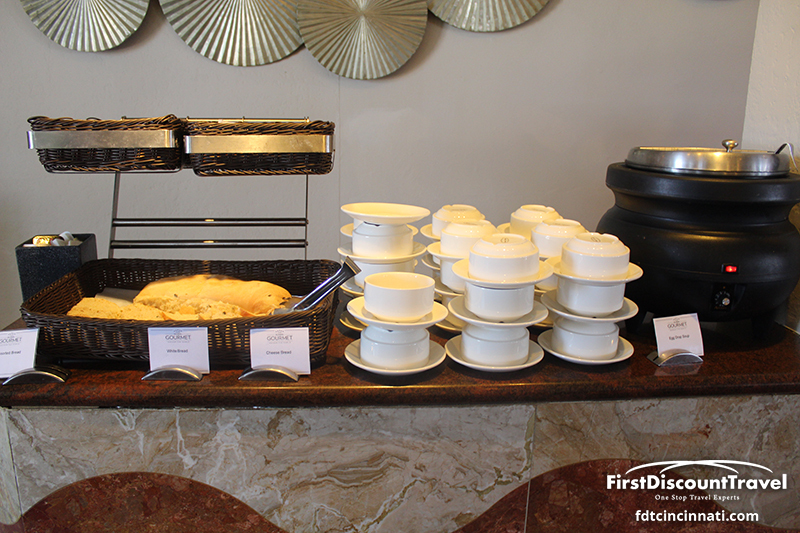 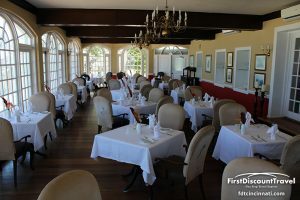 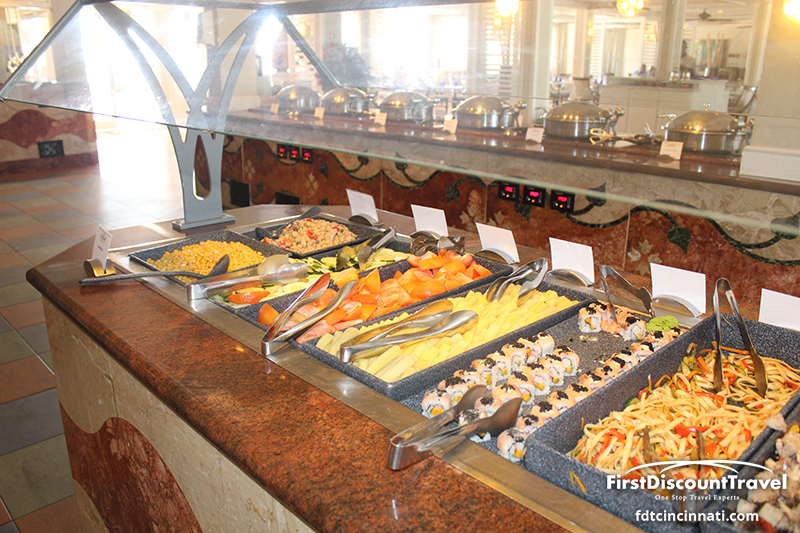 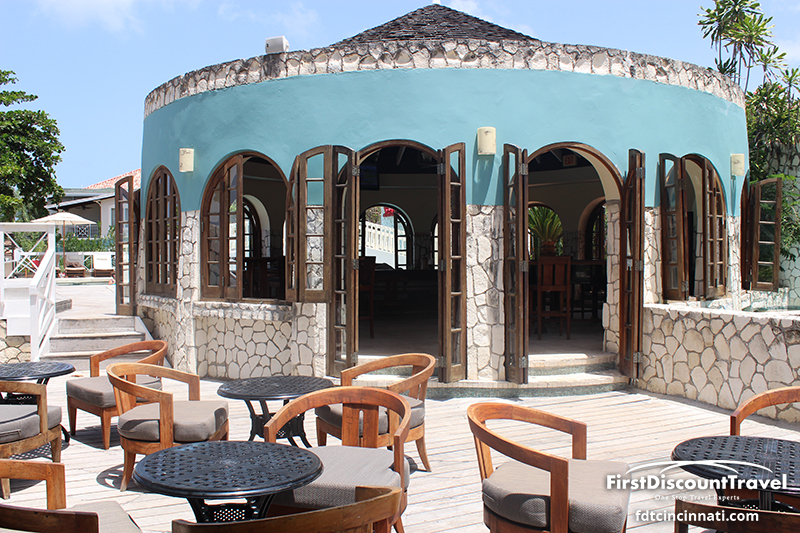 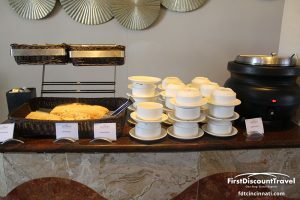 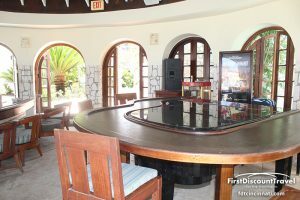 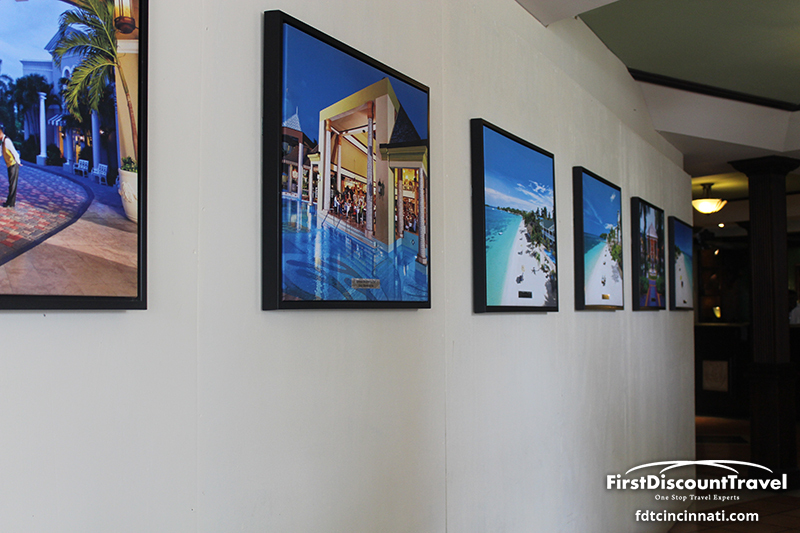 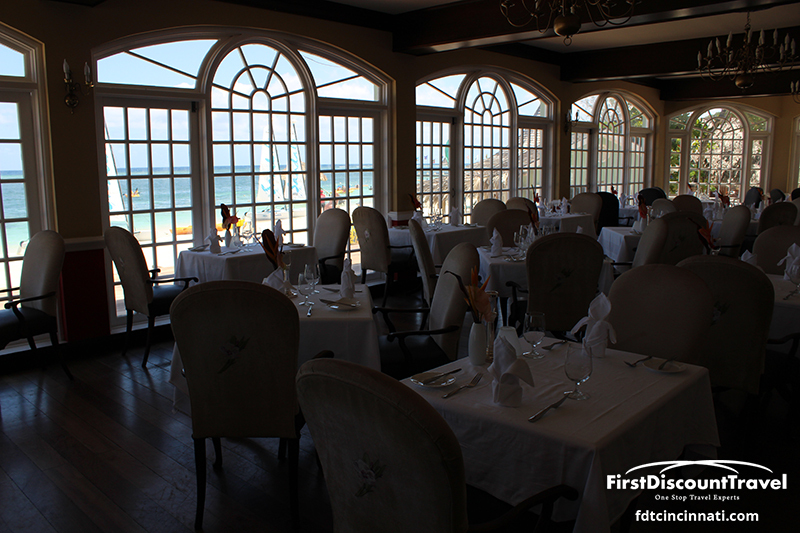 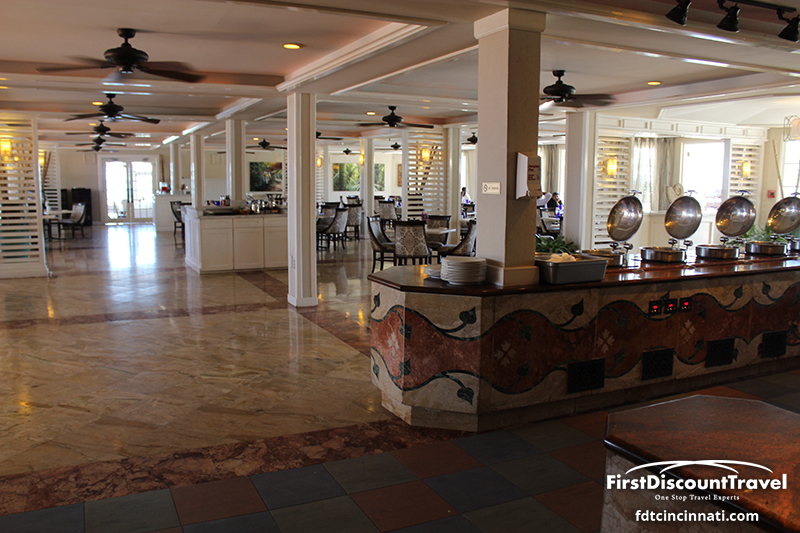 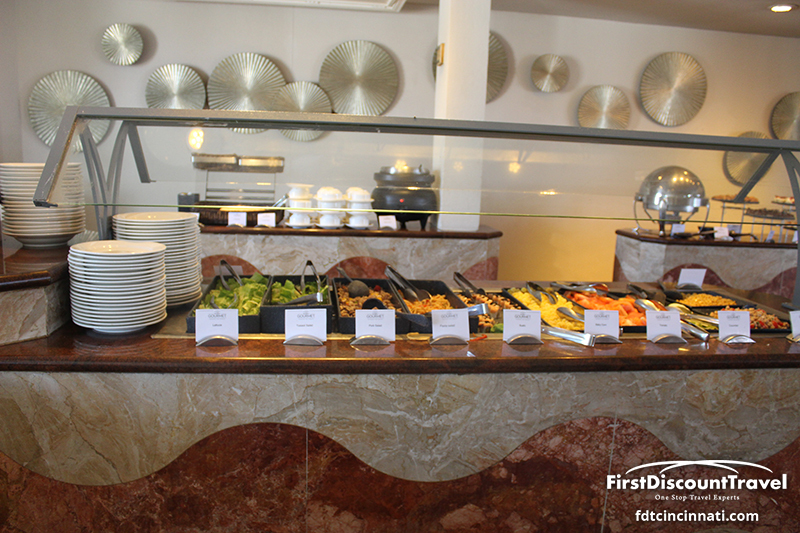 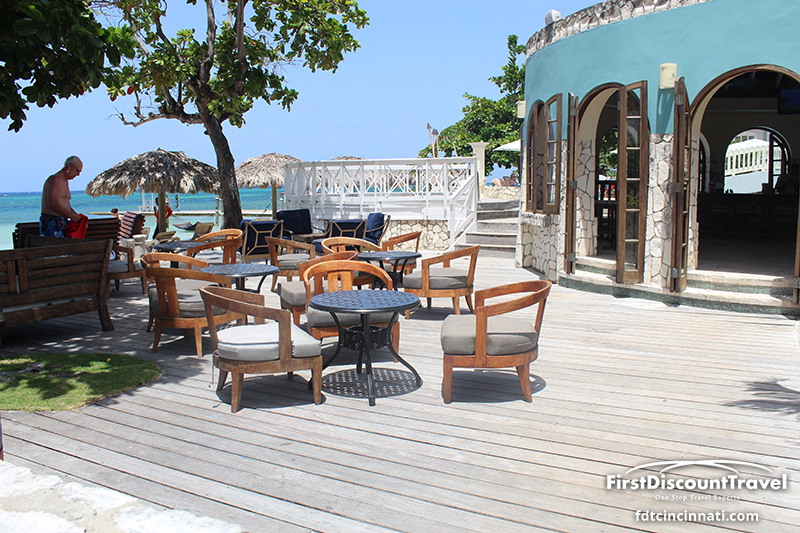 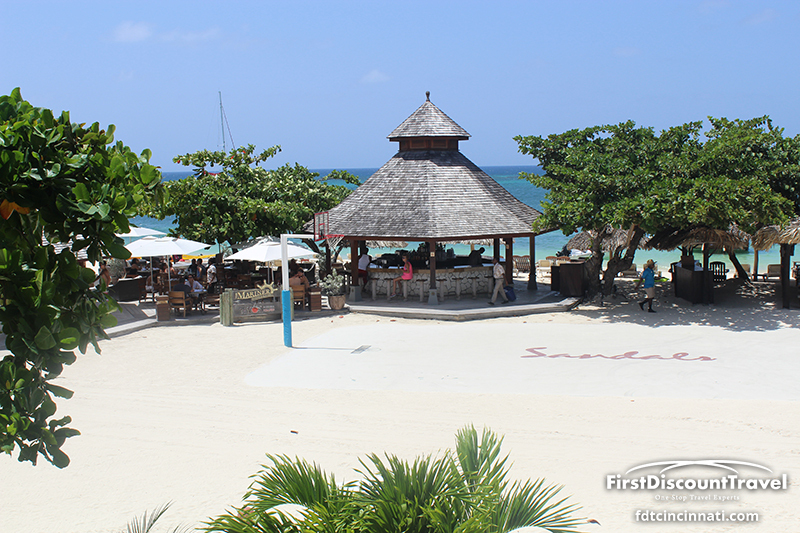 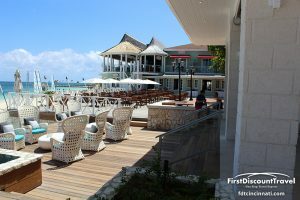 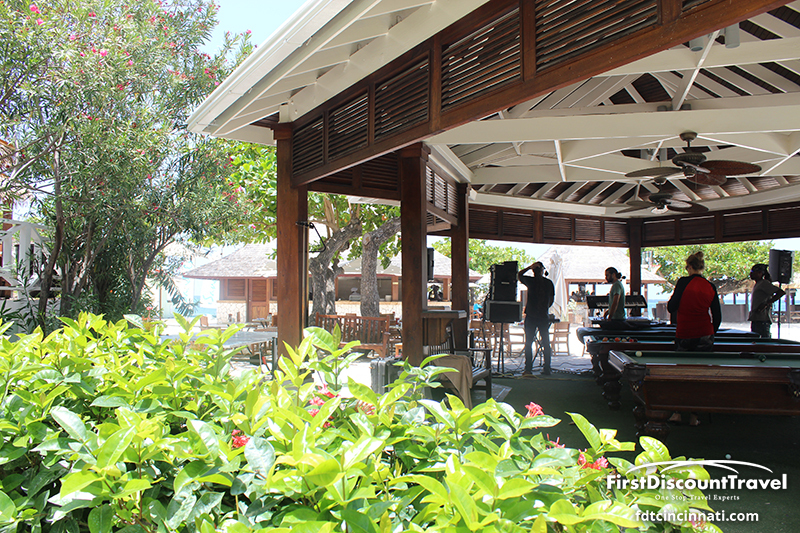 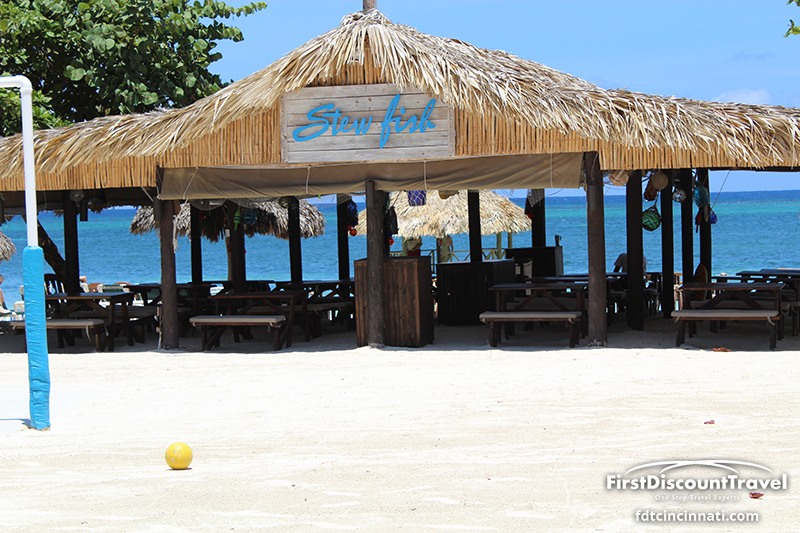 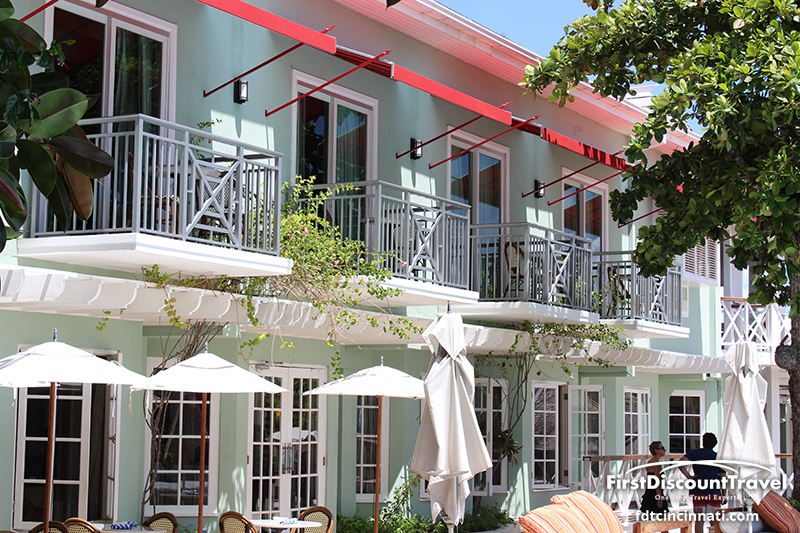 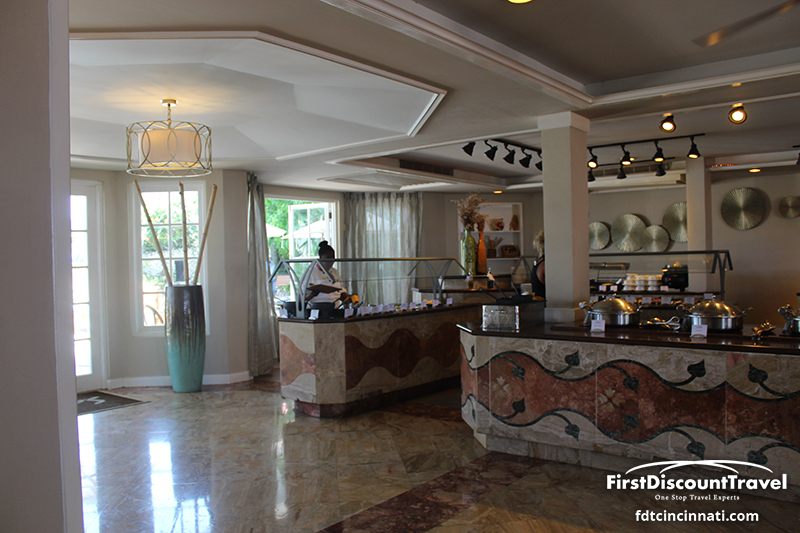 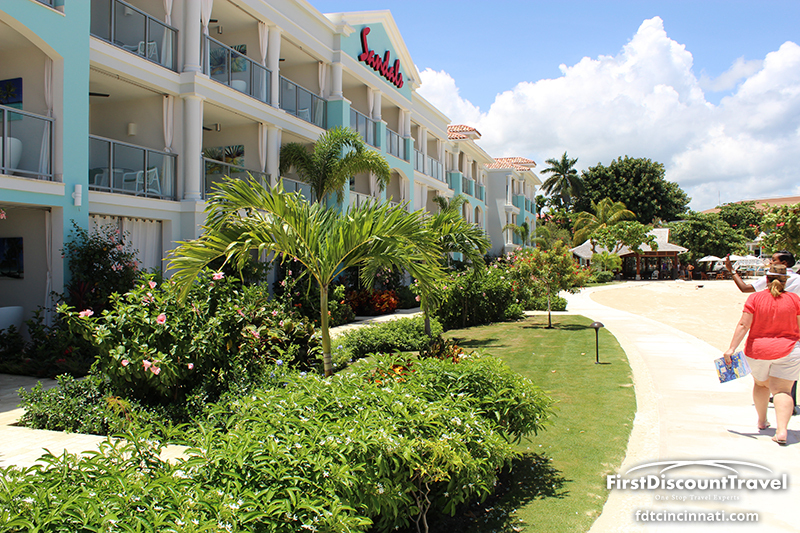 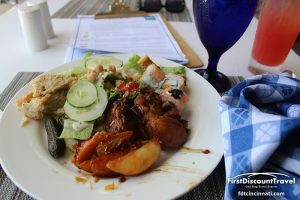 Including the restaurants at the surrounding Sandals, there are 18 total dining choices! 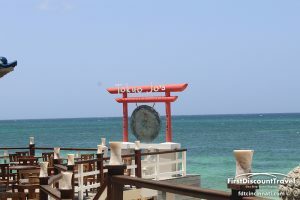 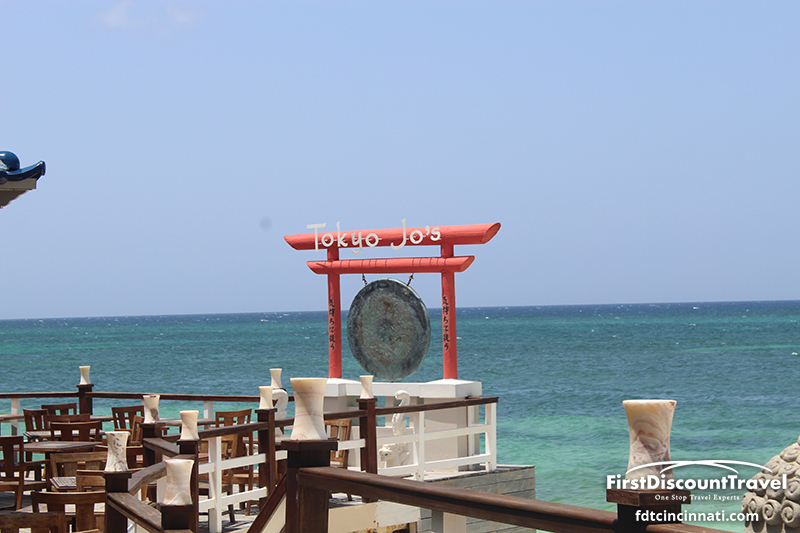 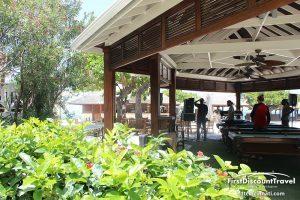 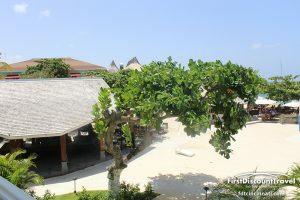 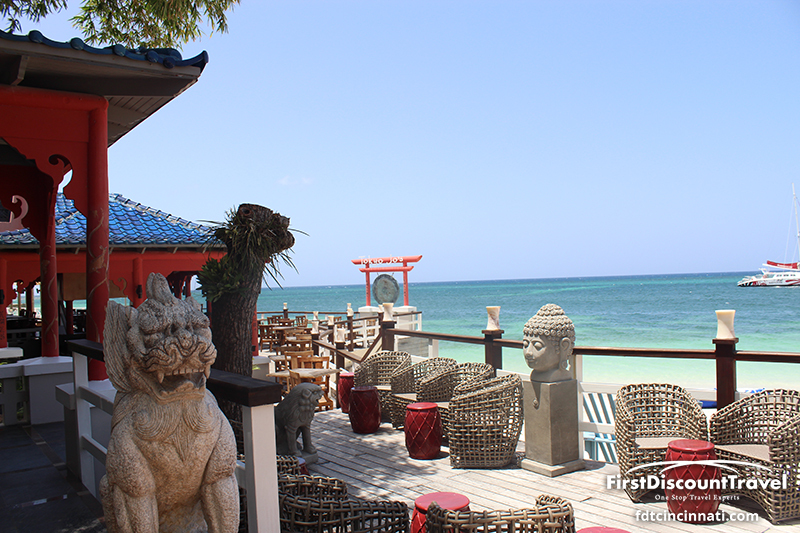 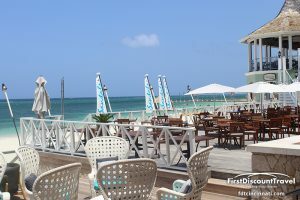 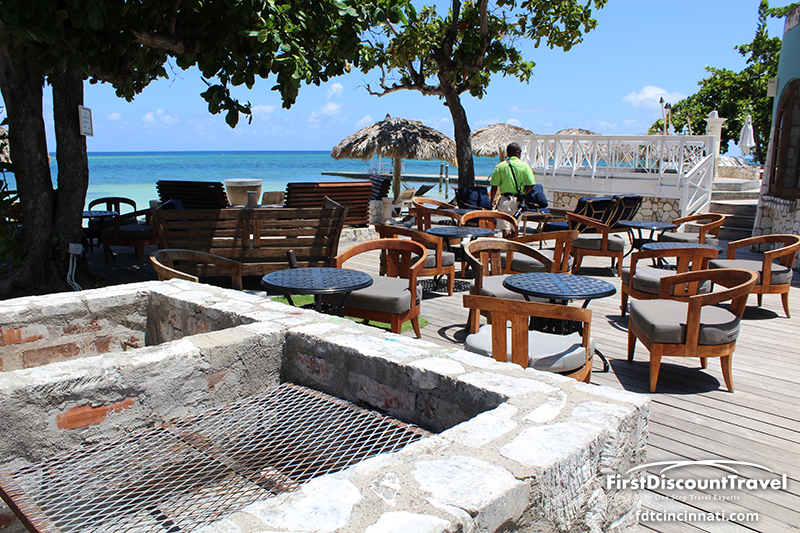 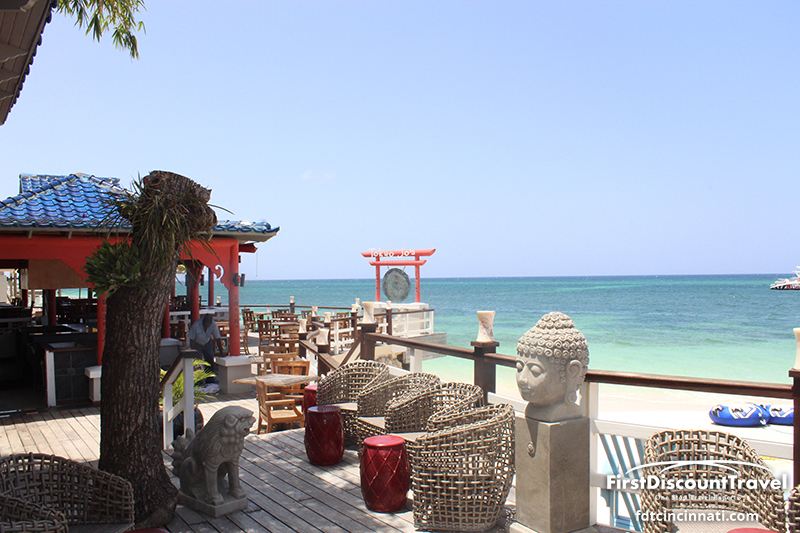 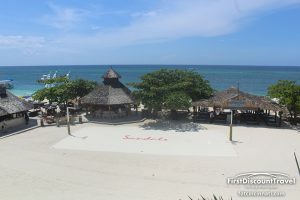 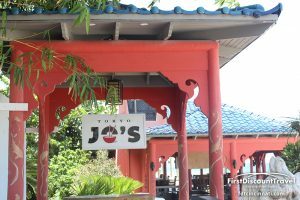 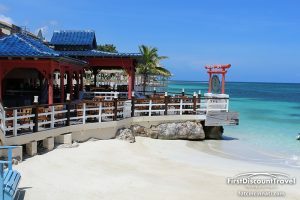 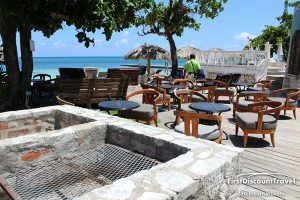 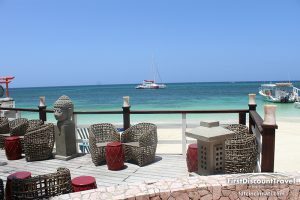 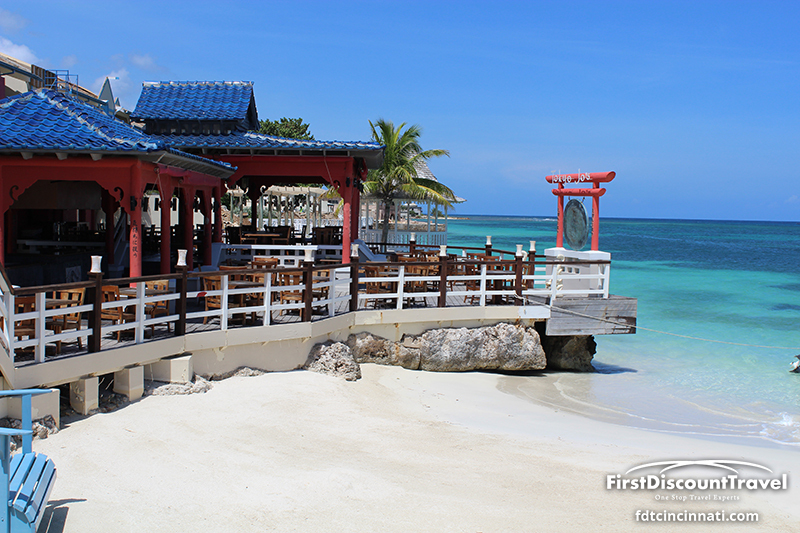 Sandals Montego Bay has seven restaurants onsite of which Tokyo Joe’s is my favorite. 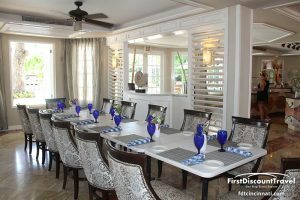 Restaurant reservations (for the few that accept them) can be made through guest relations, concierge, or butler. 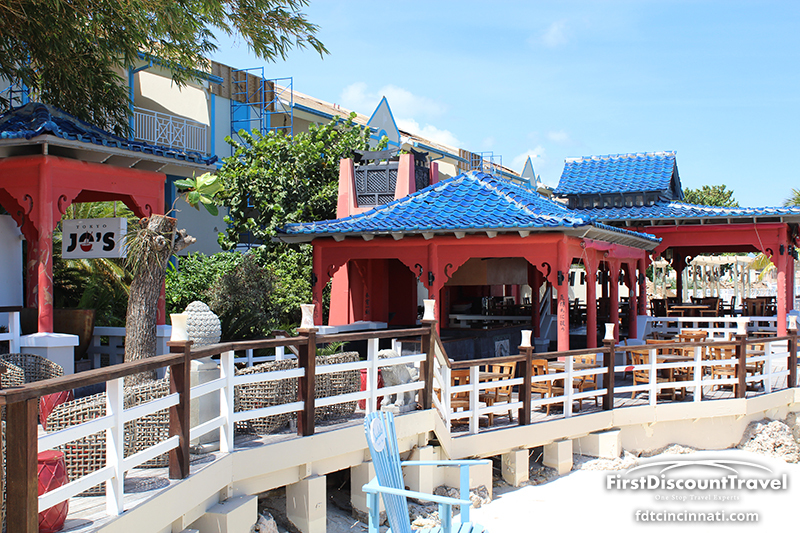 There are several different blocks to this resort. 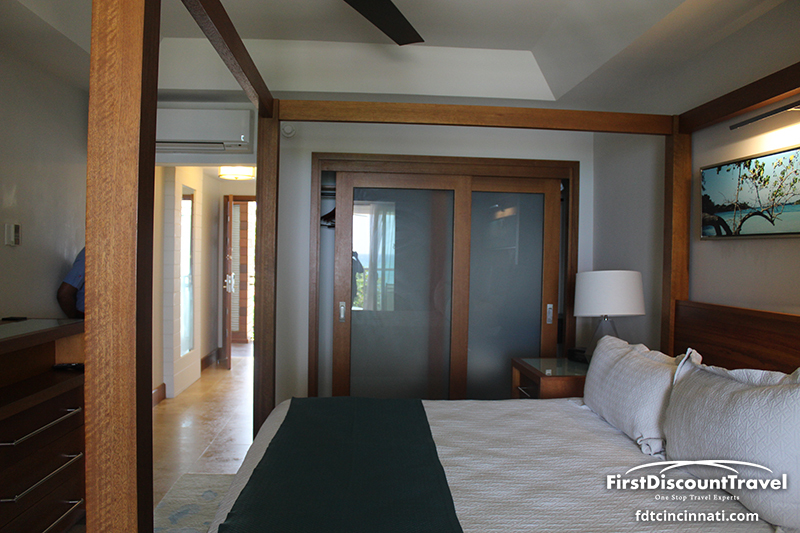 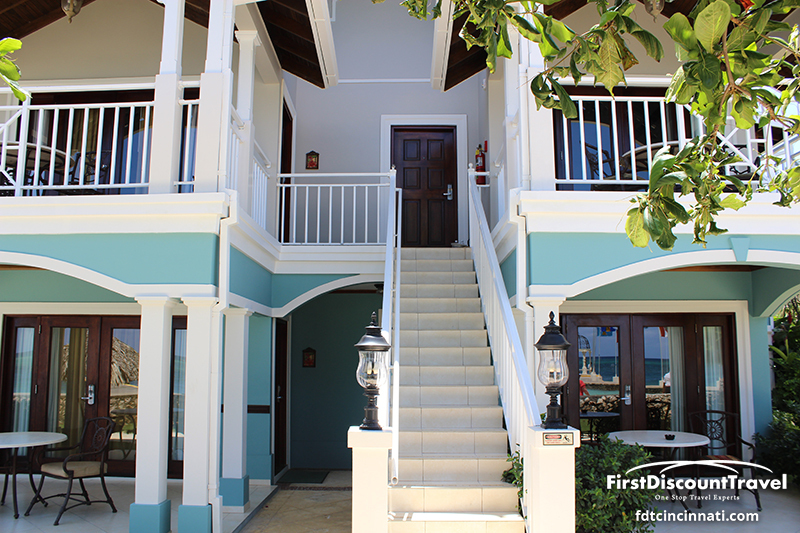 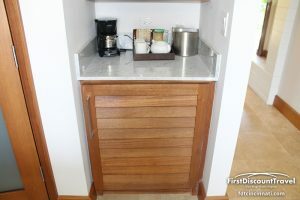 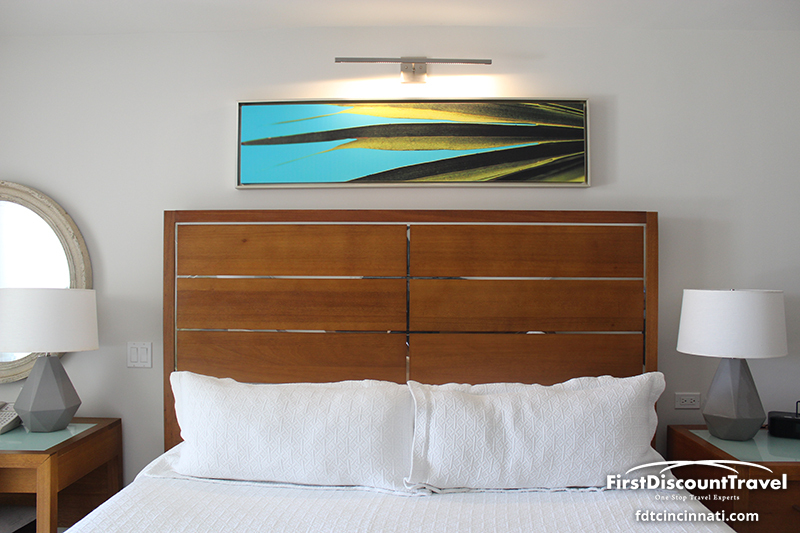 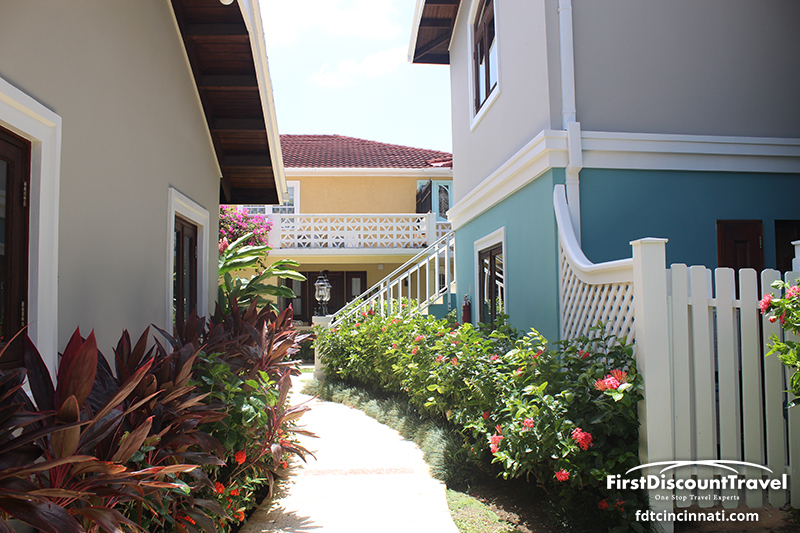 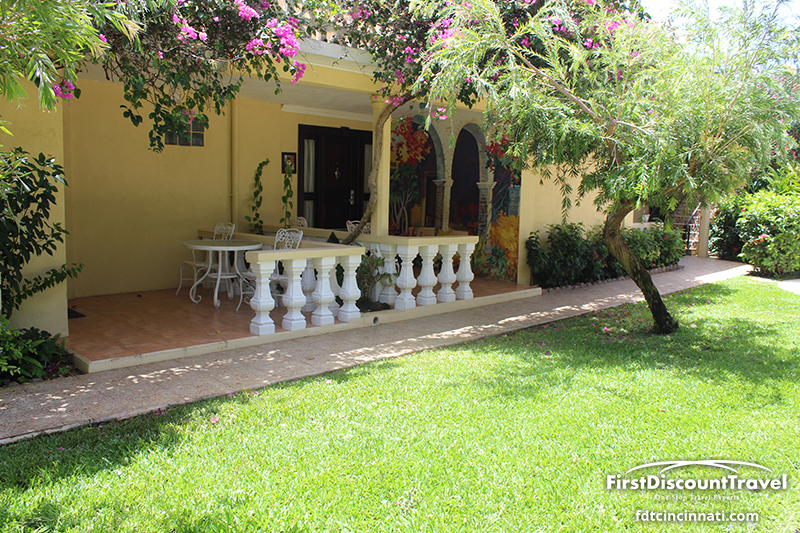 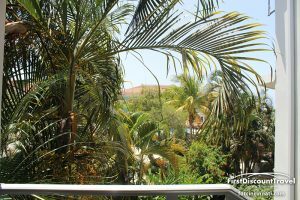 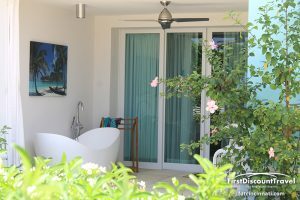 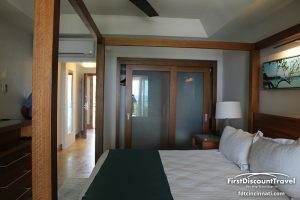 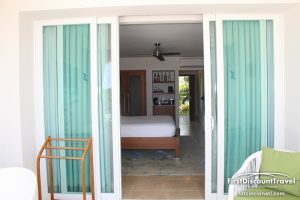 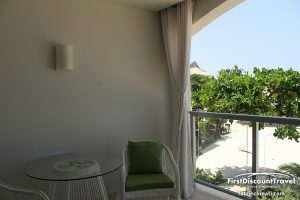 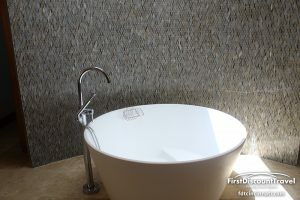 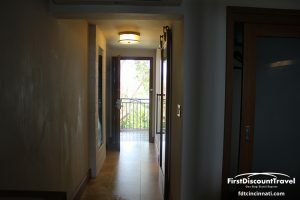 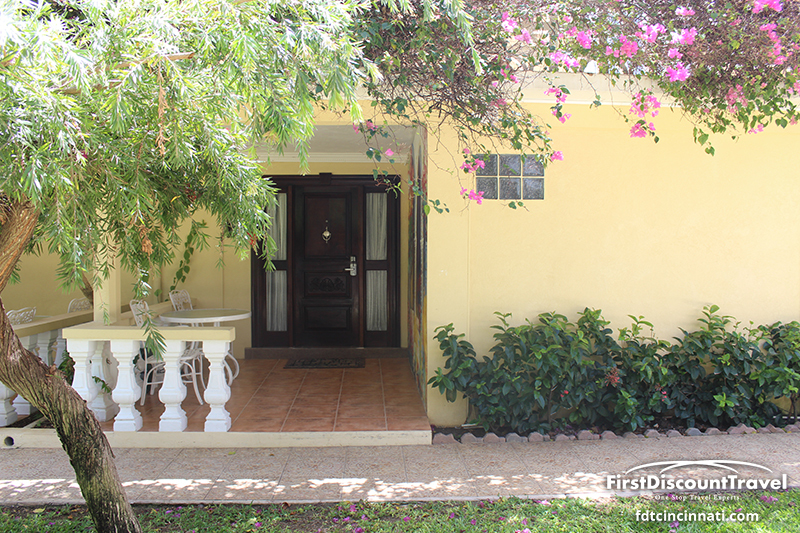 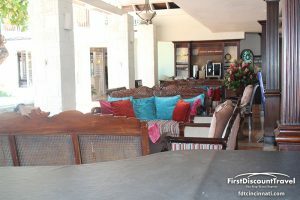 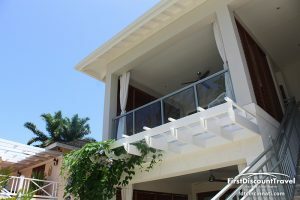 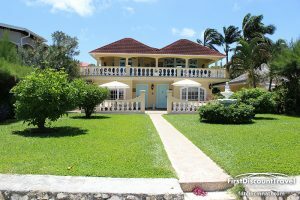 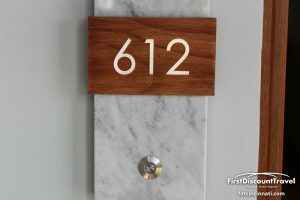 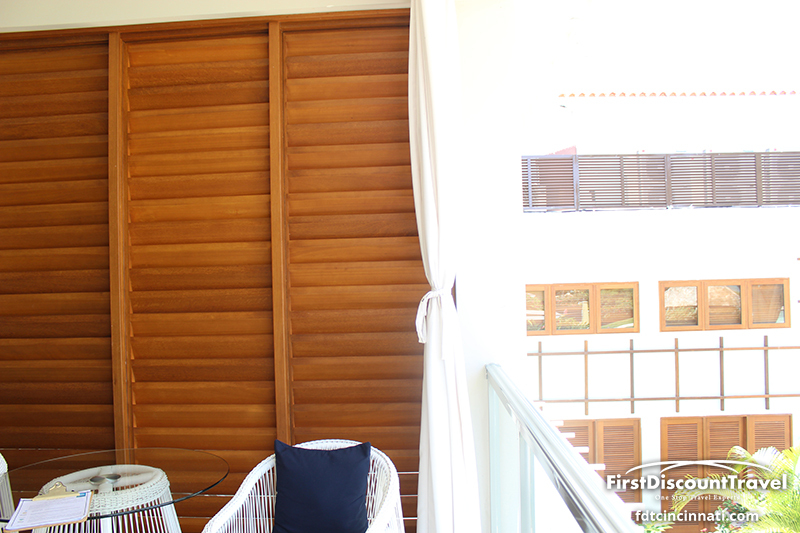 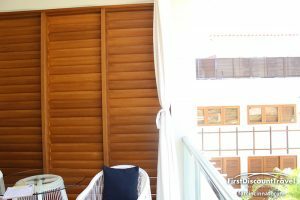 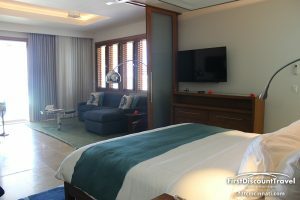 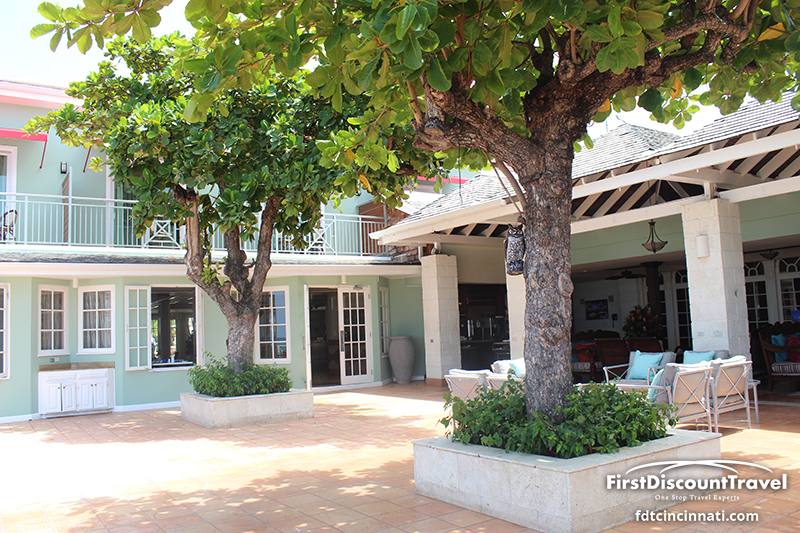 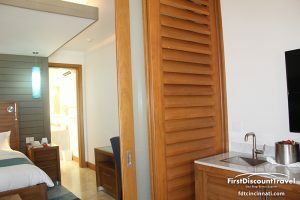 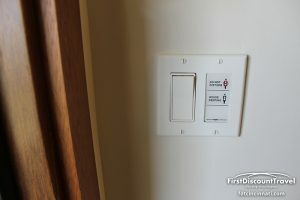 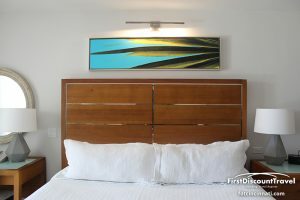 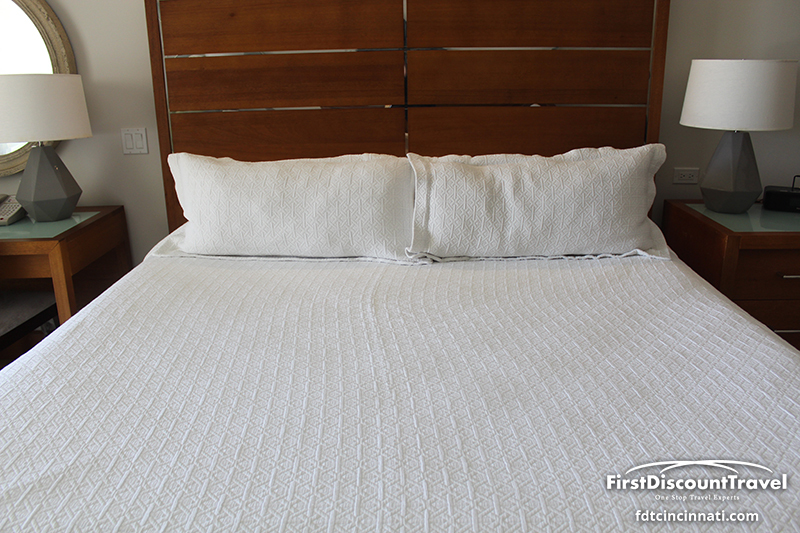 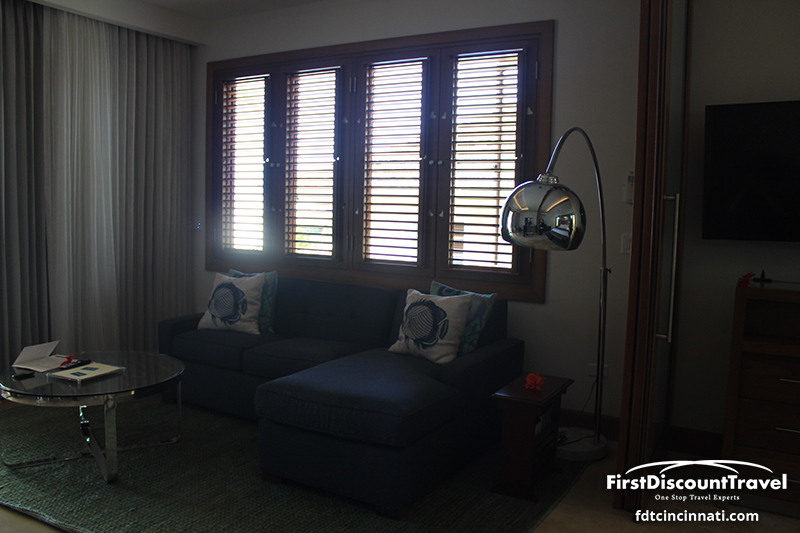 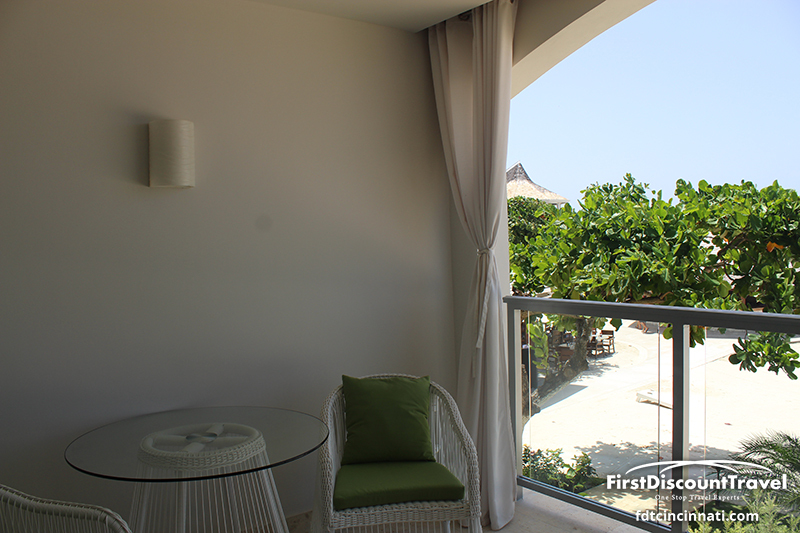 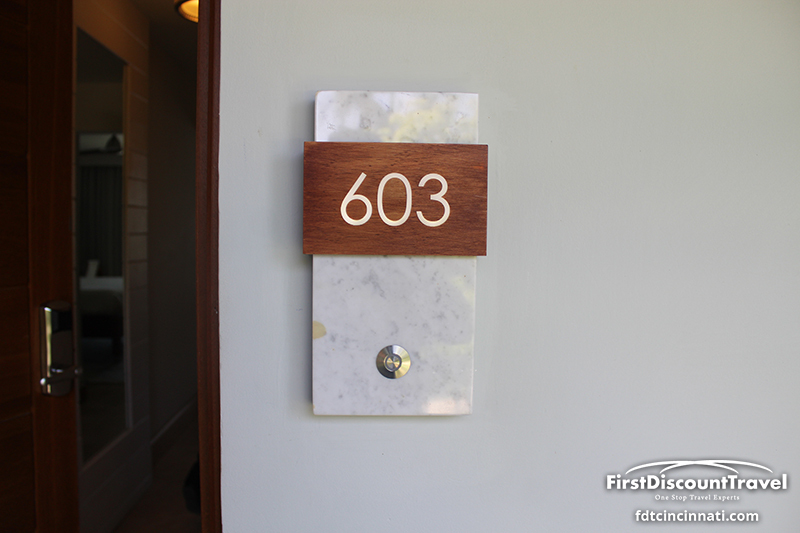 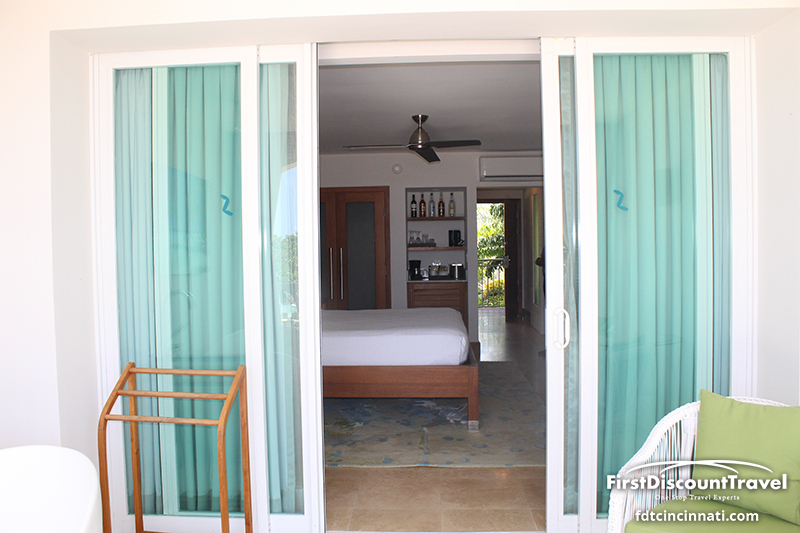 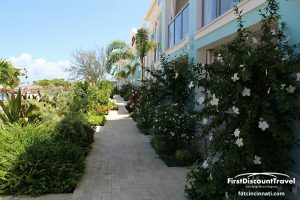 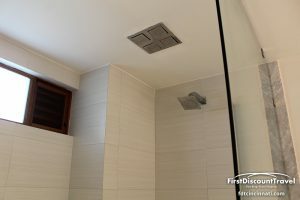 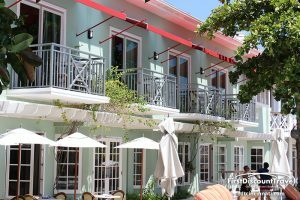 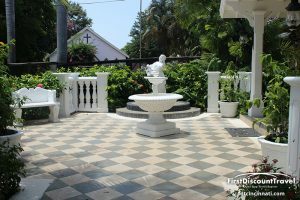 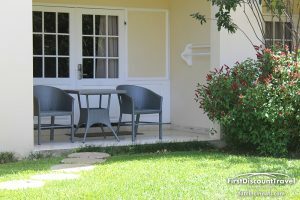 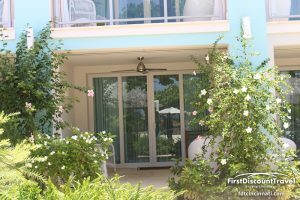 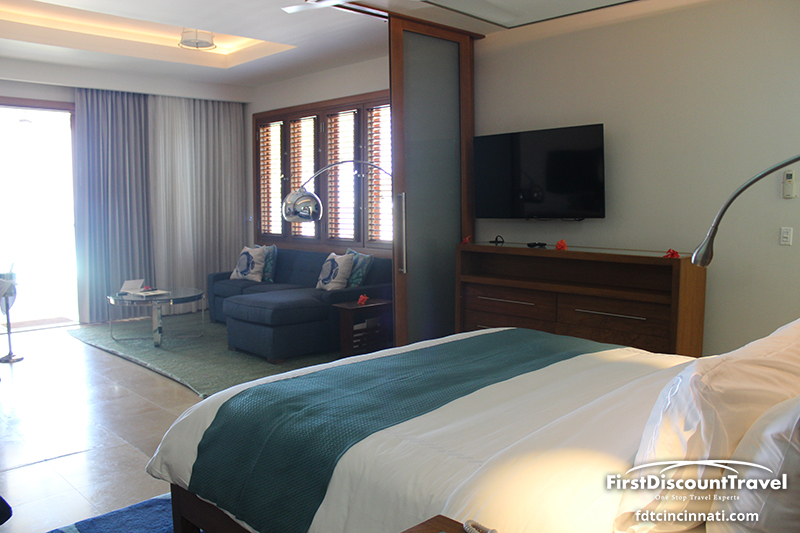 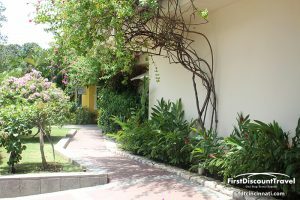 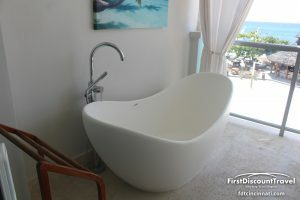 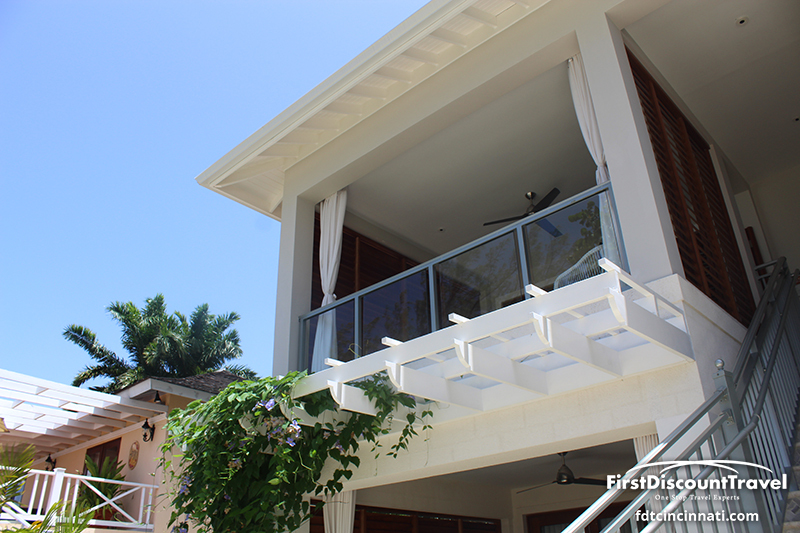 The Bay Roc villa is the nicest block with all rooms including butler service. 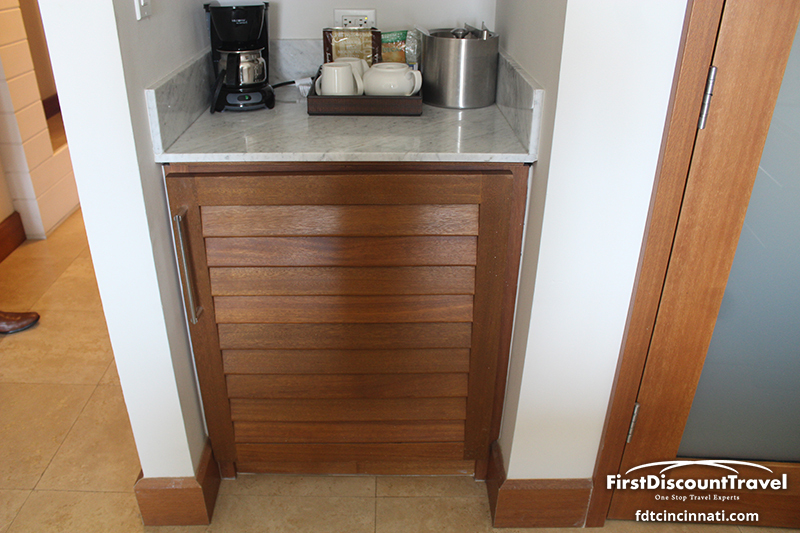 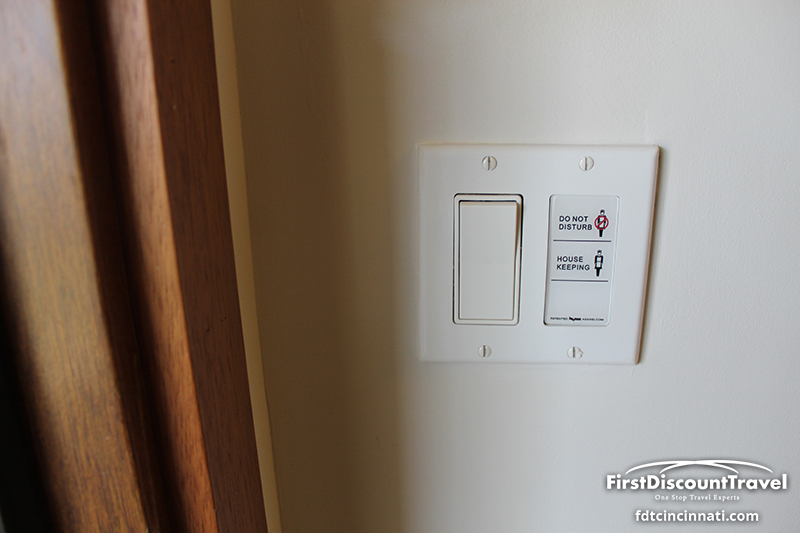 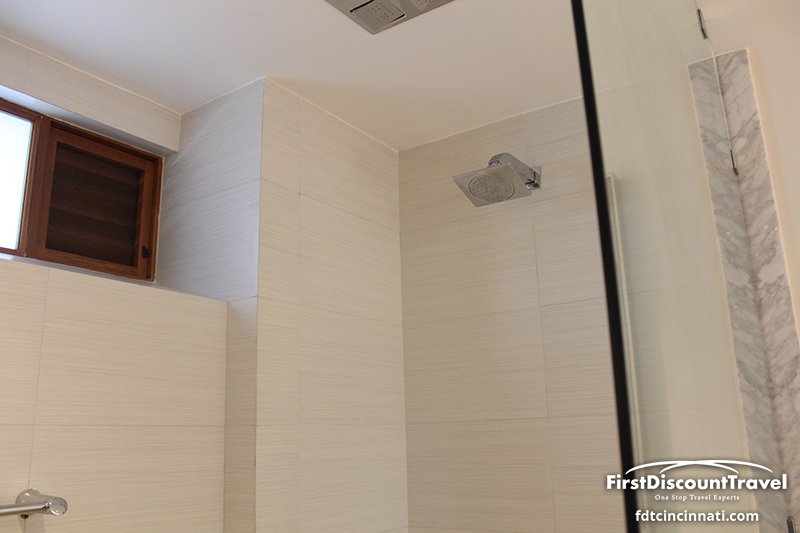 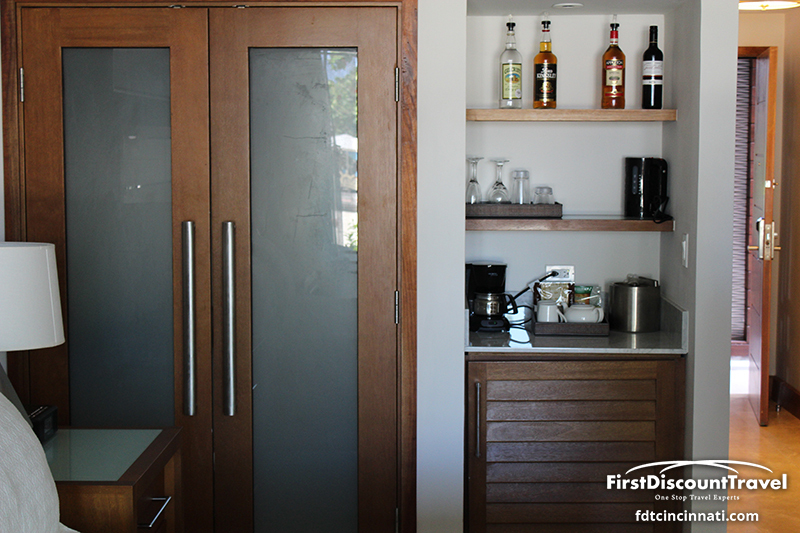 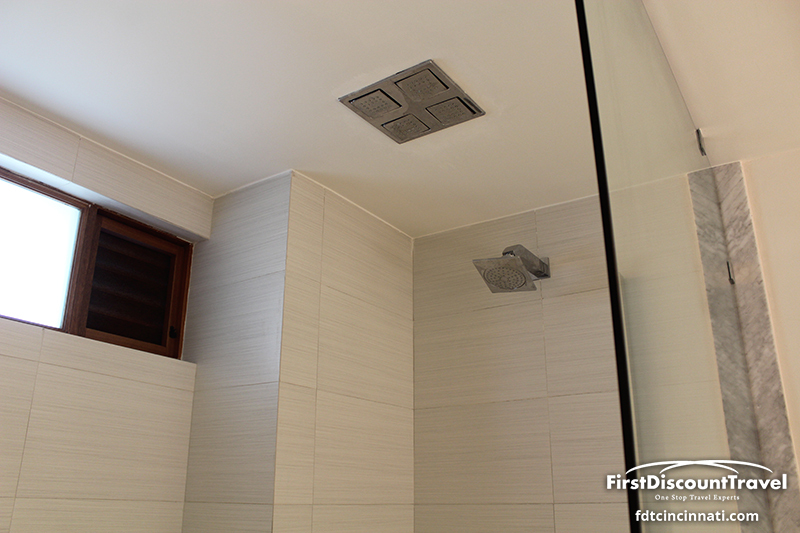 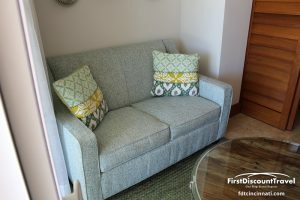 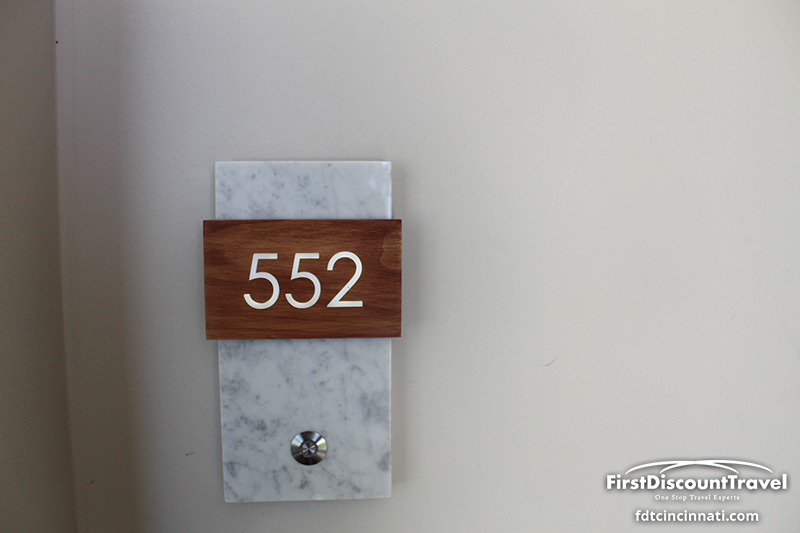 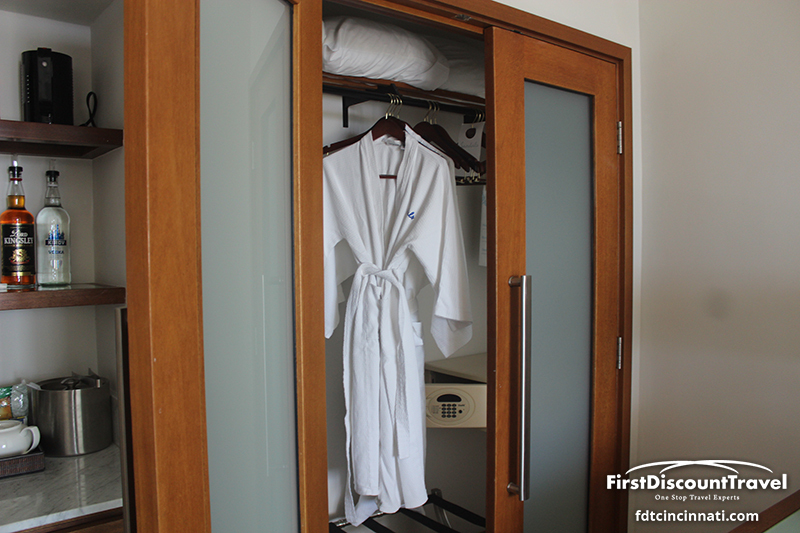 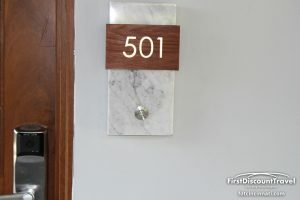 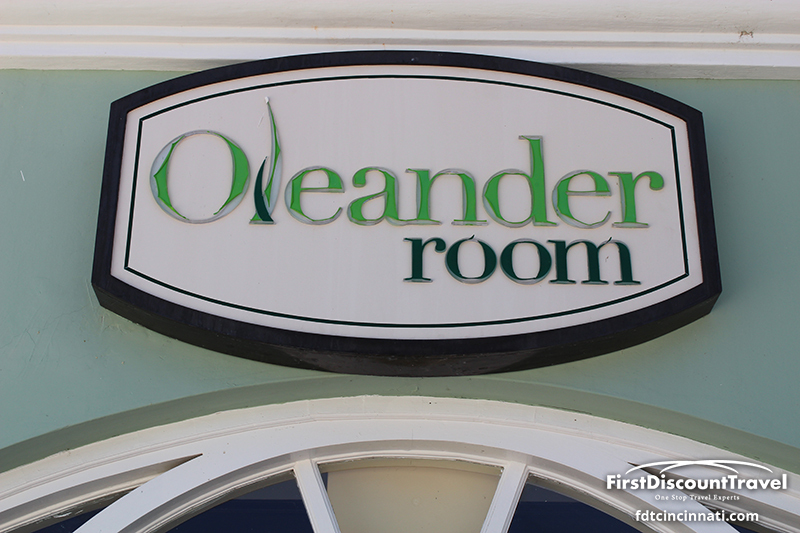 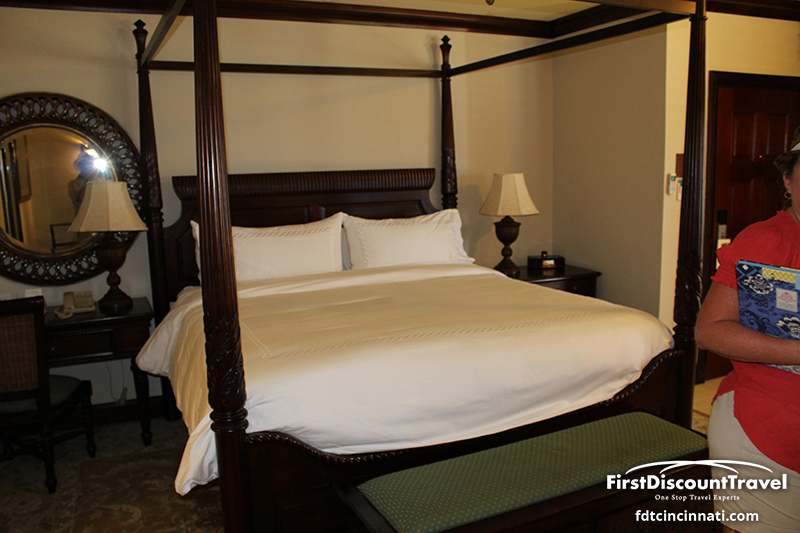 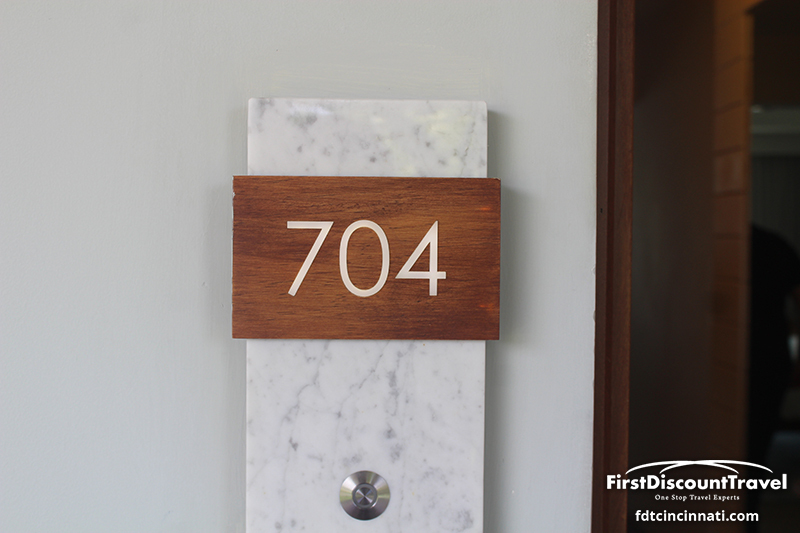 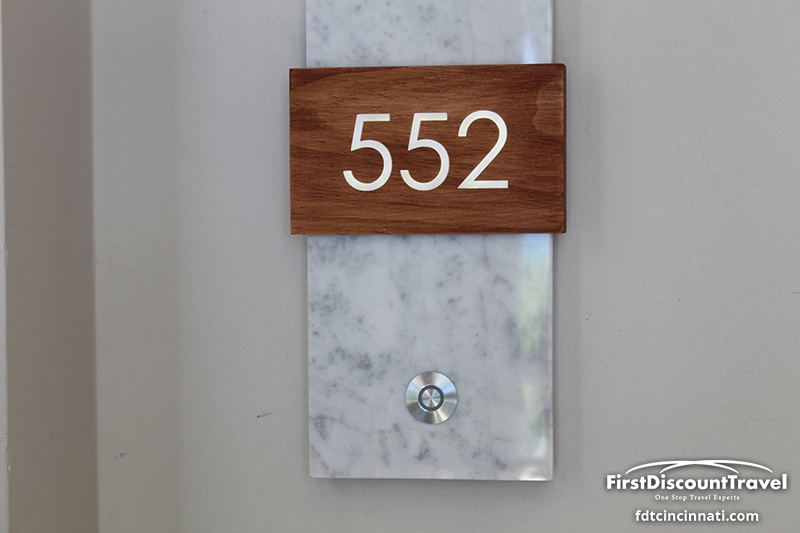 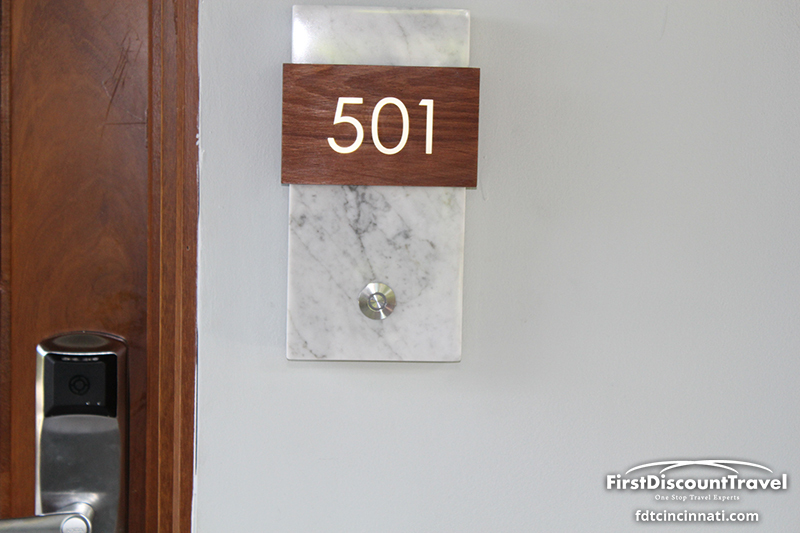 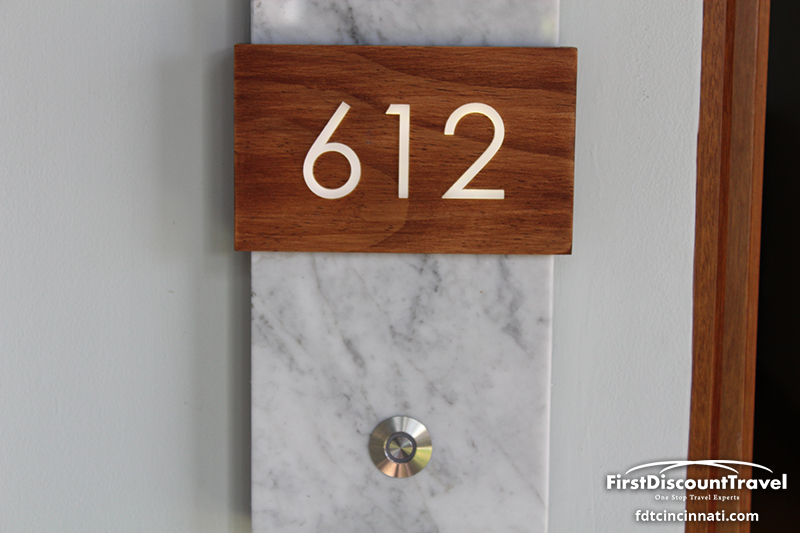 The Almond block tends to be the quietest, and all of the rooms look good due to the recent refurbishment. 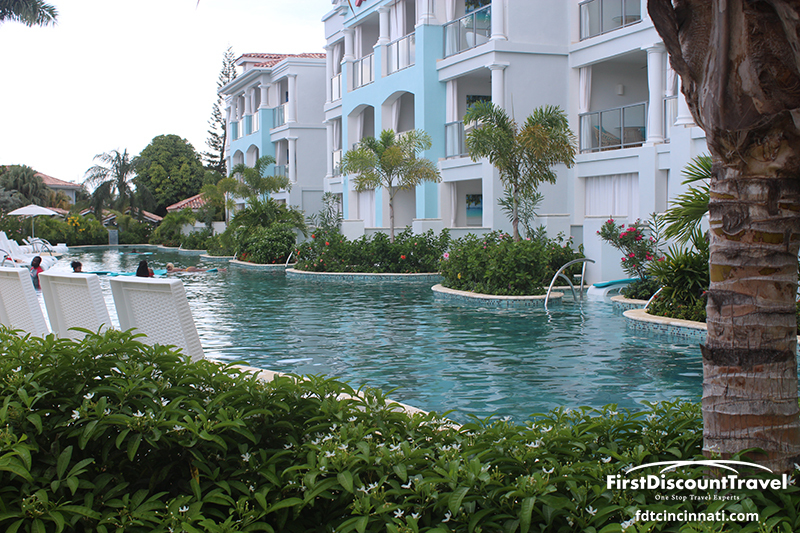 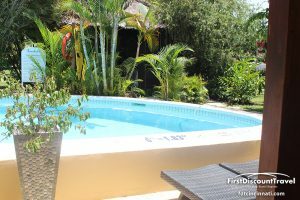 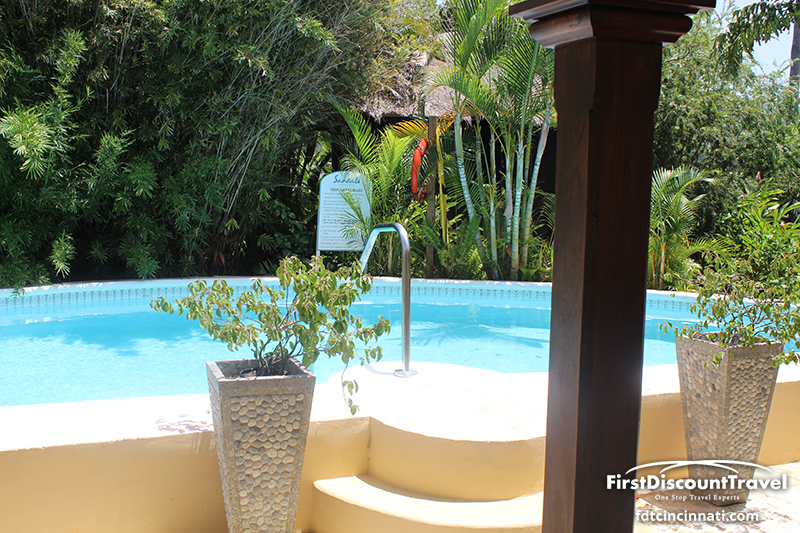 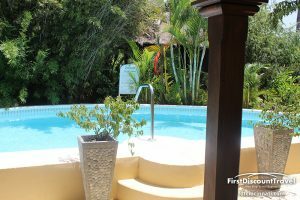 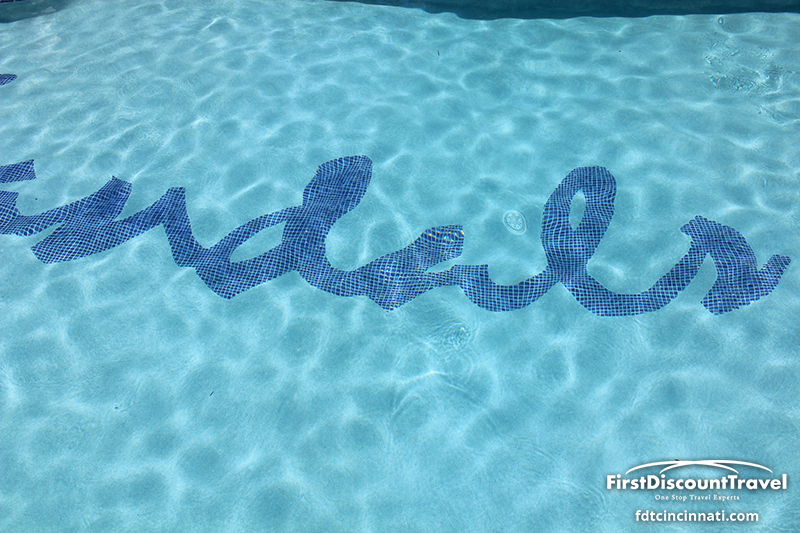 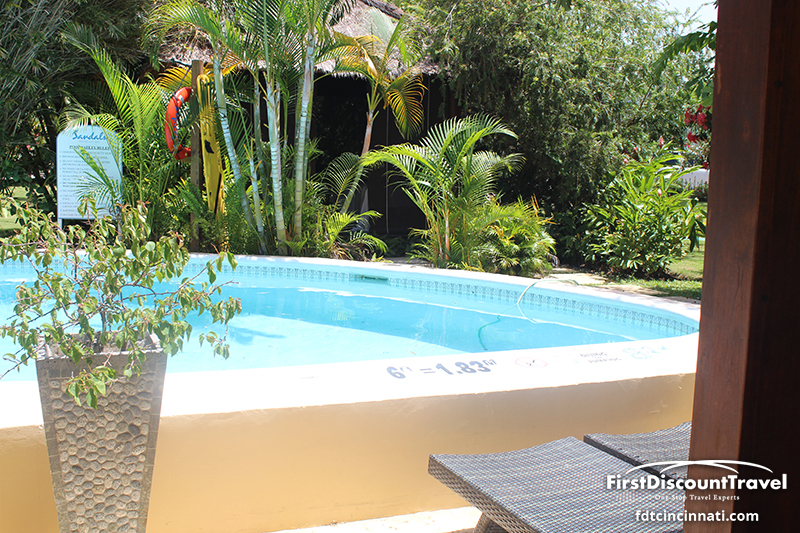 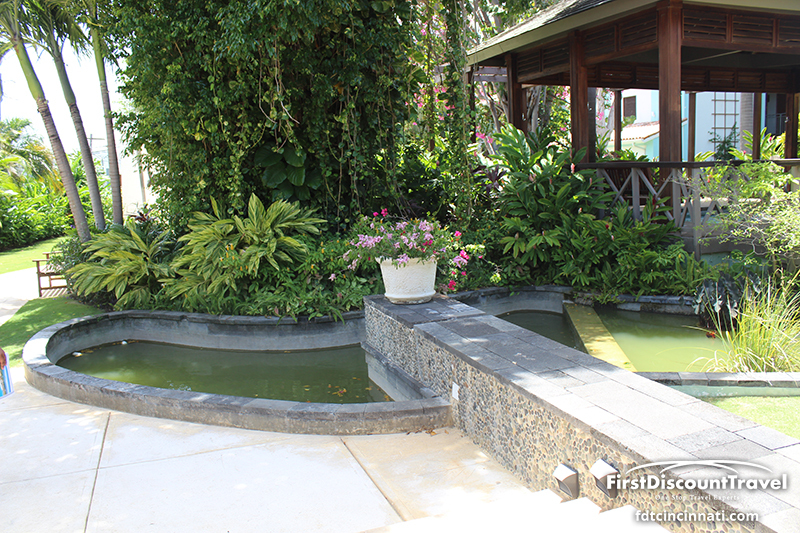 The pools at this resort are moderate with one including a swim up pool bar. 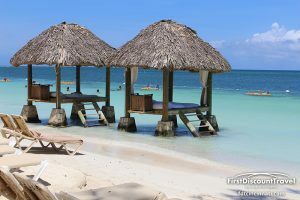 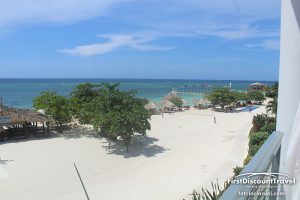 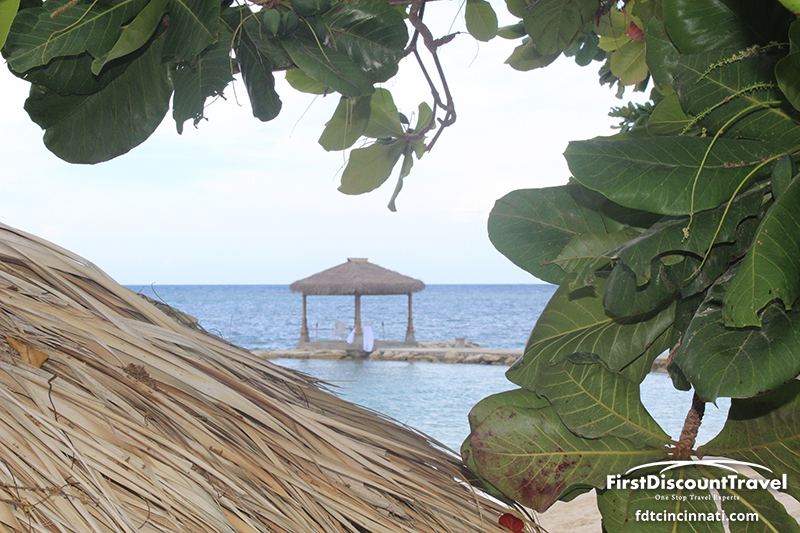 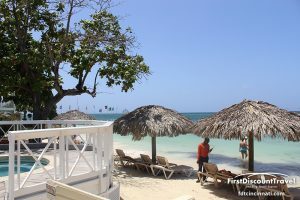 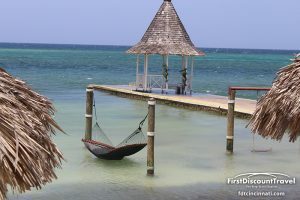 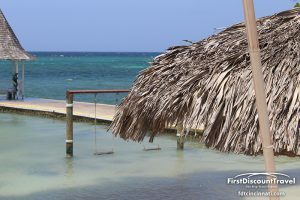 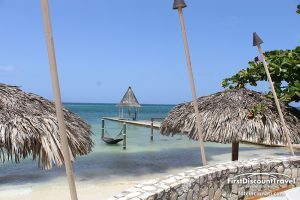 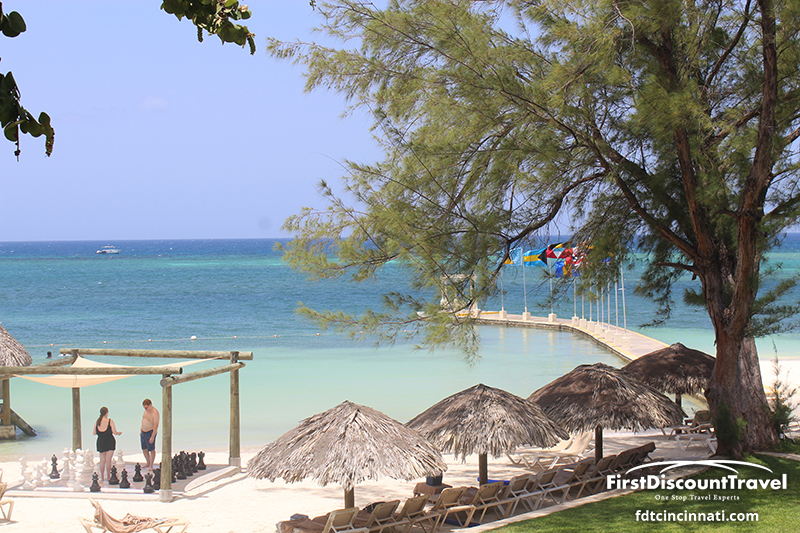 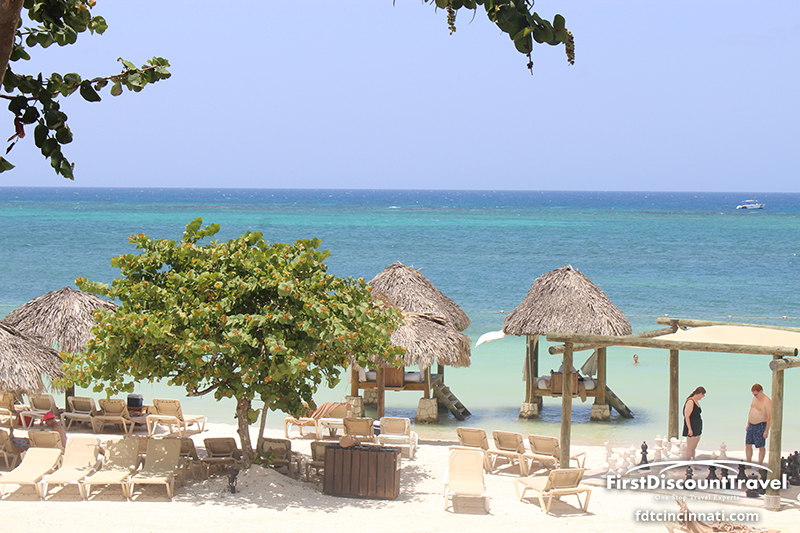 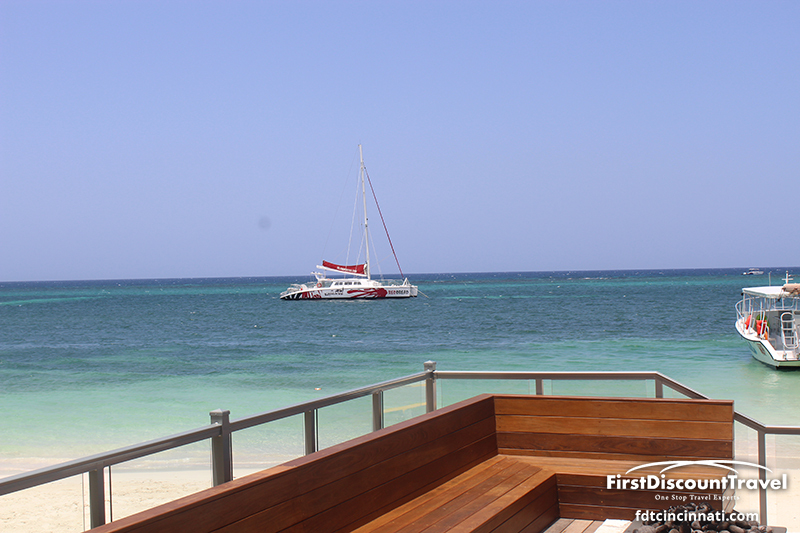 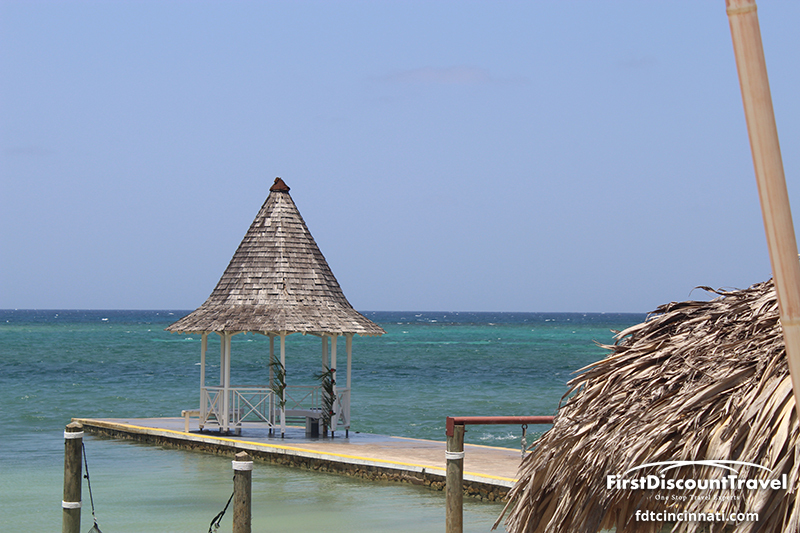 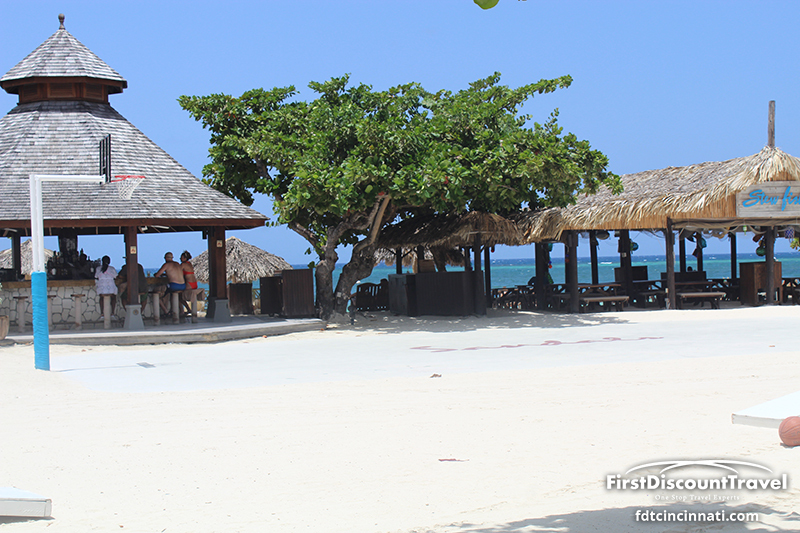 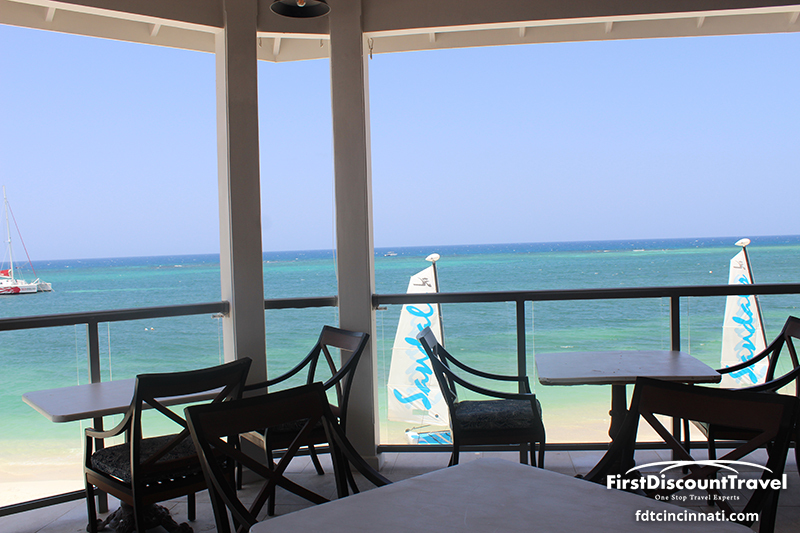 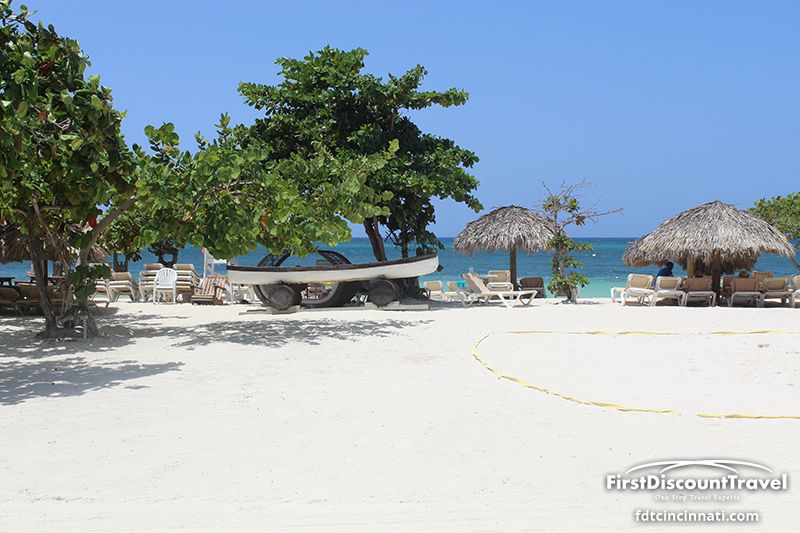 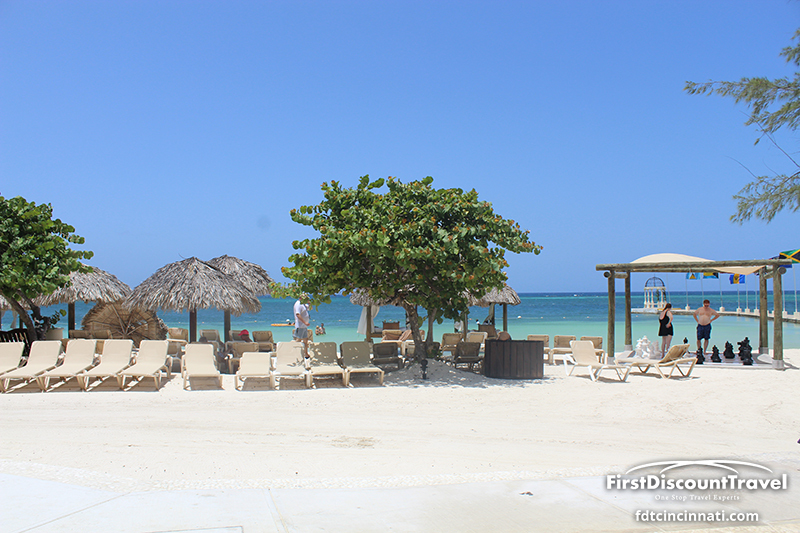 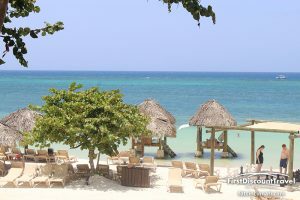 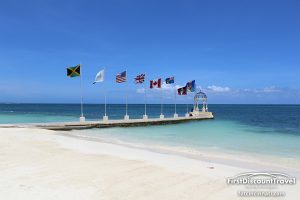 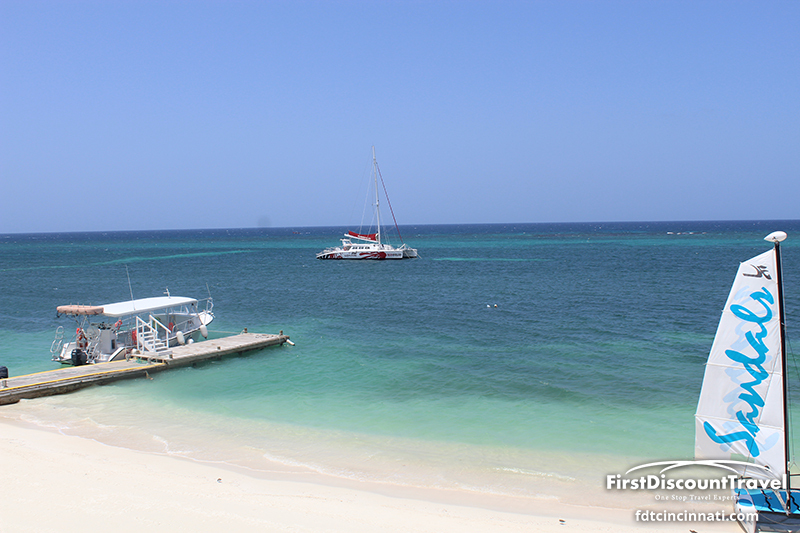 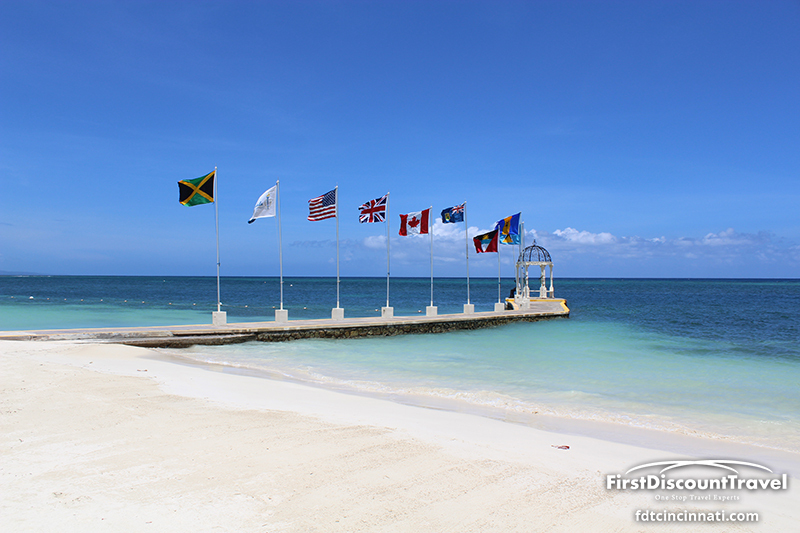 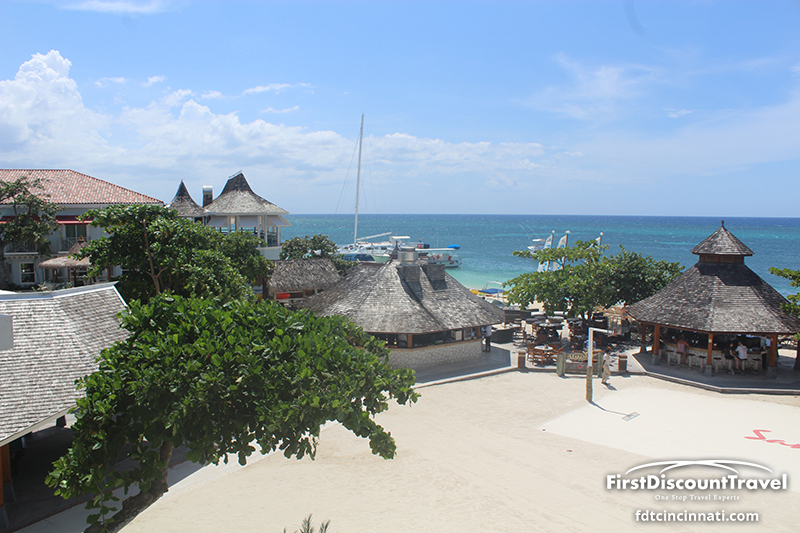 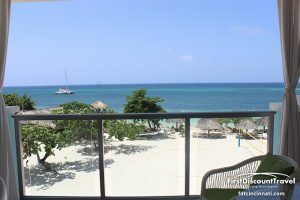 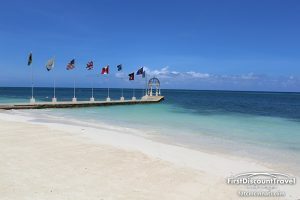 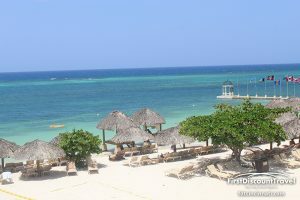 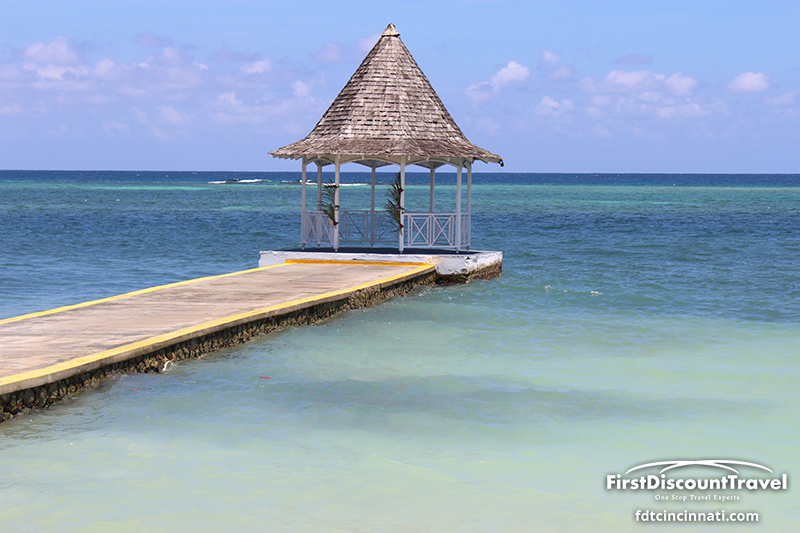 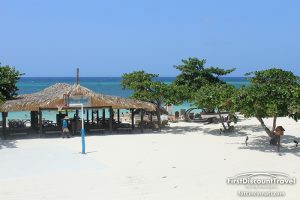 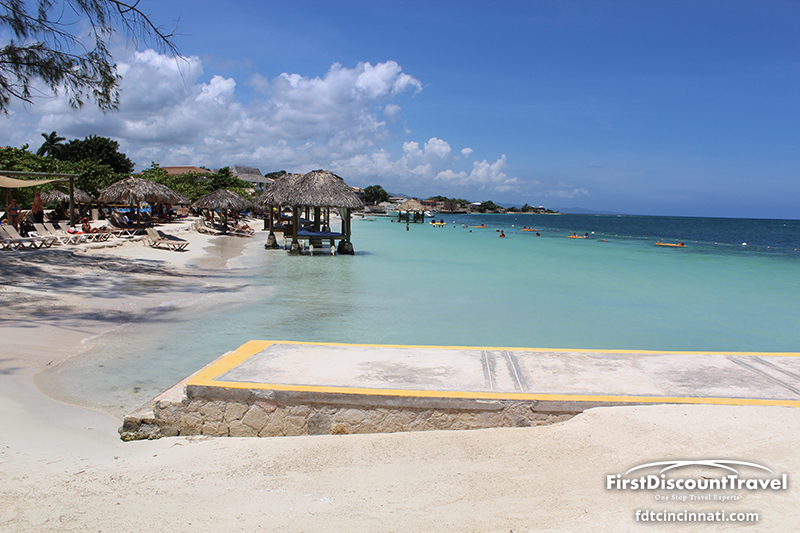 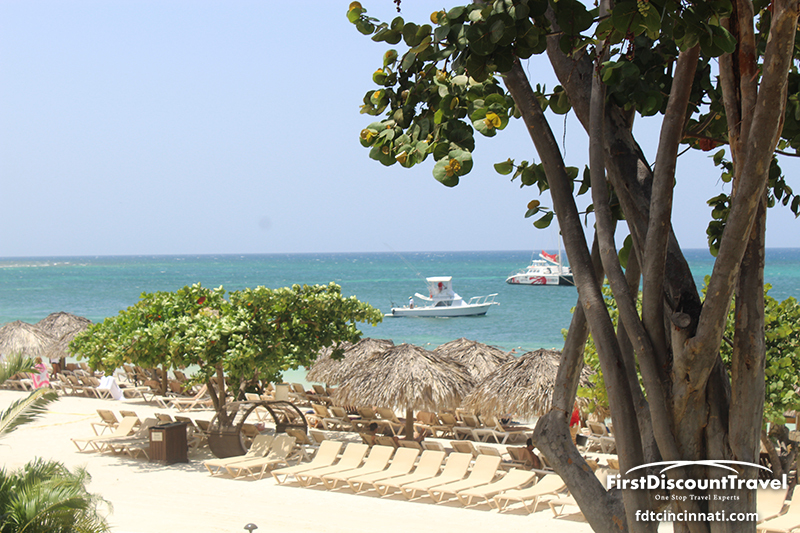 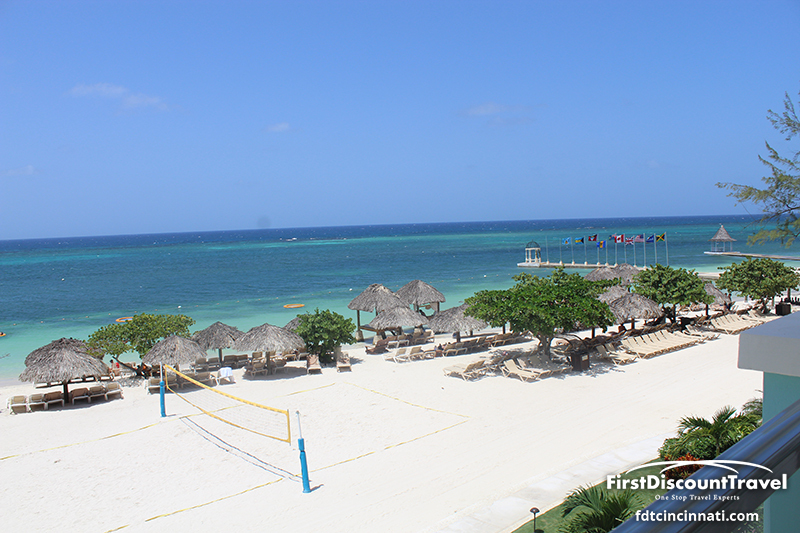 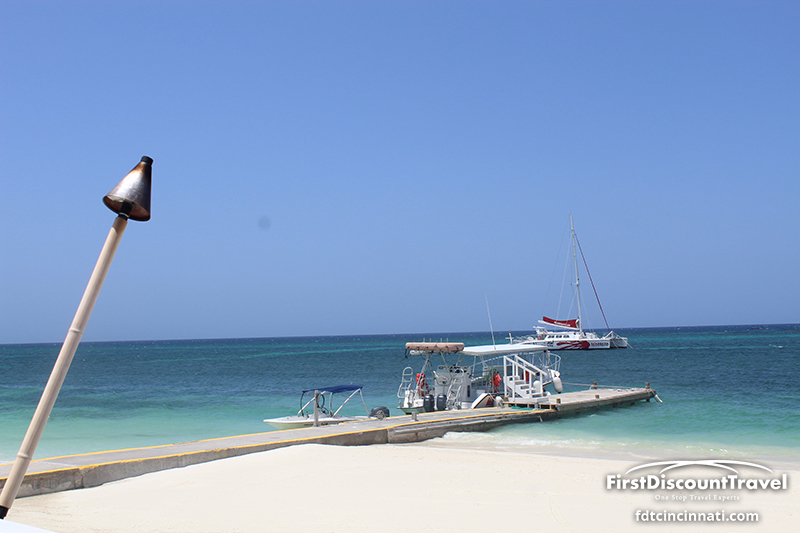 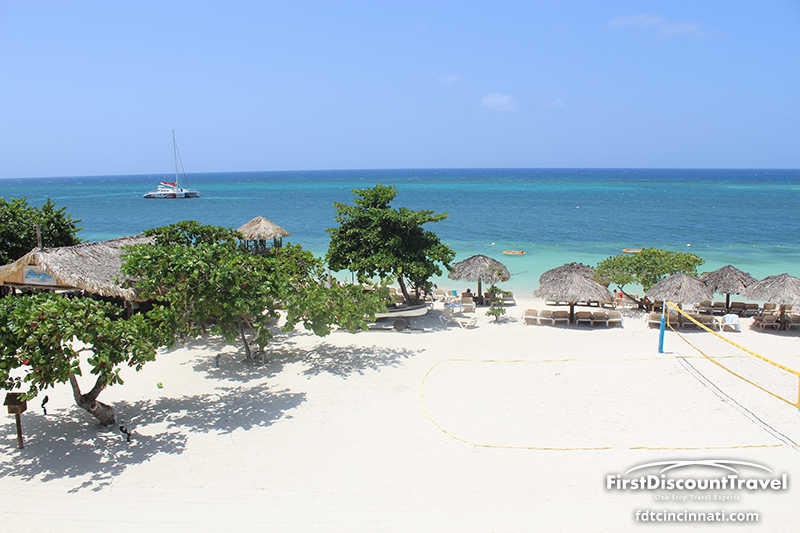 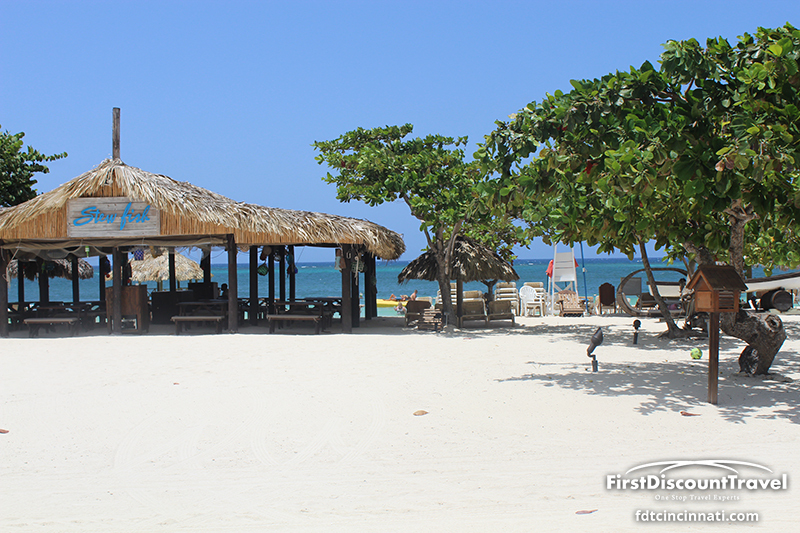 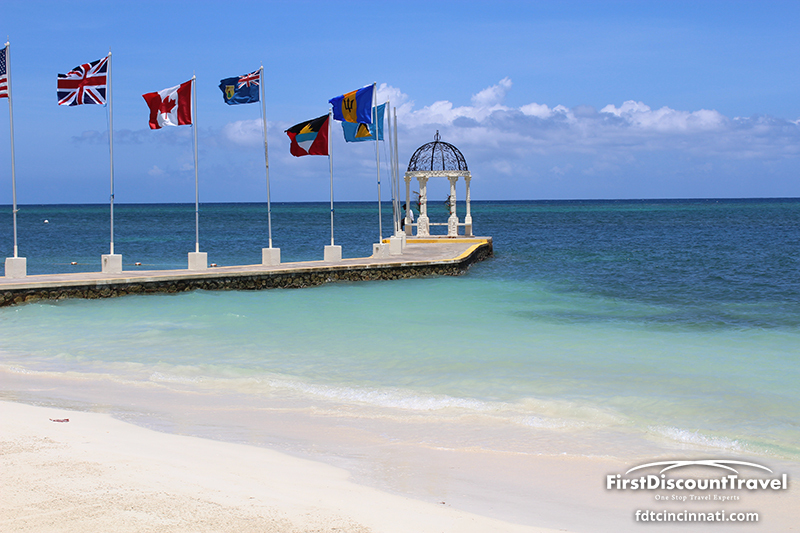 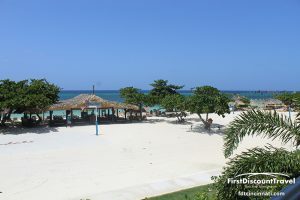 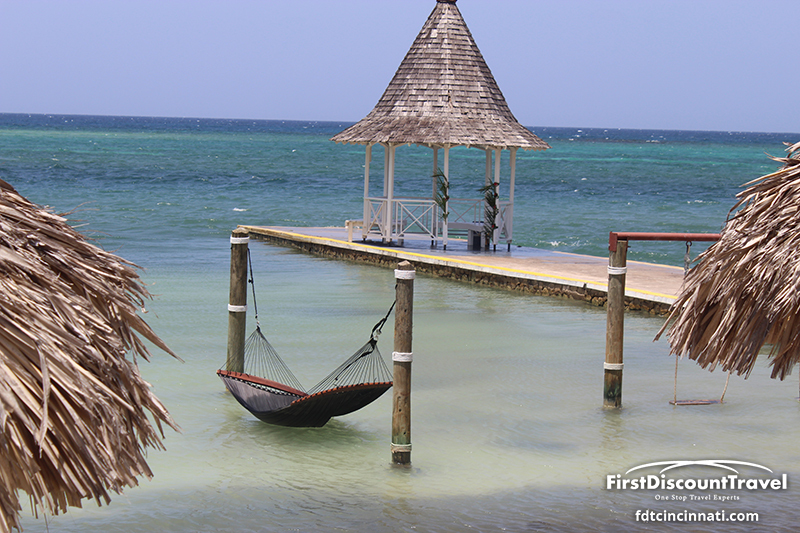 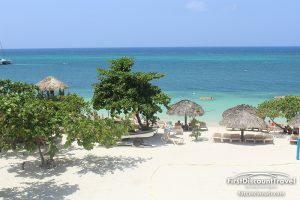 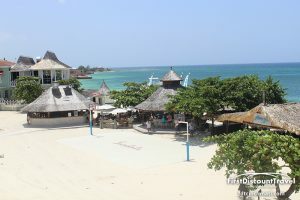 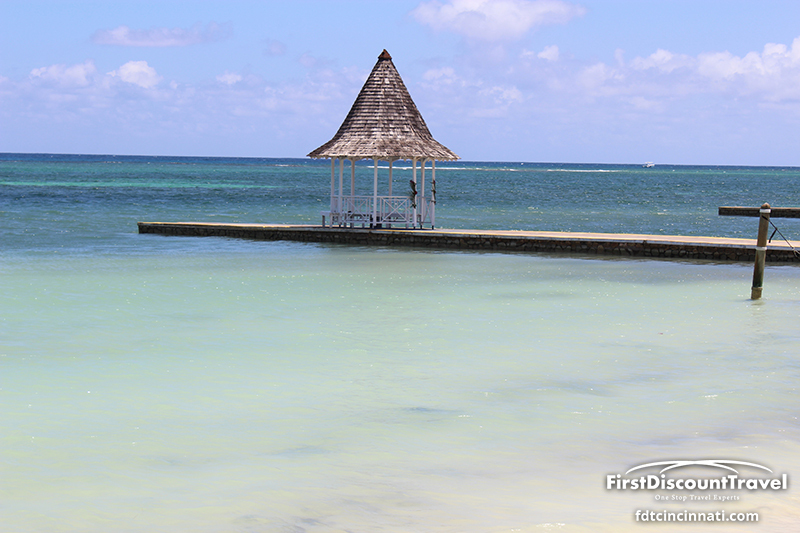 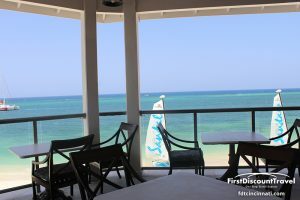 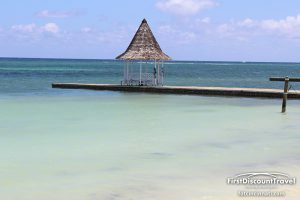 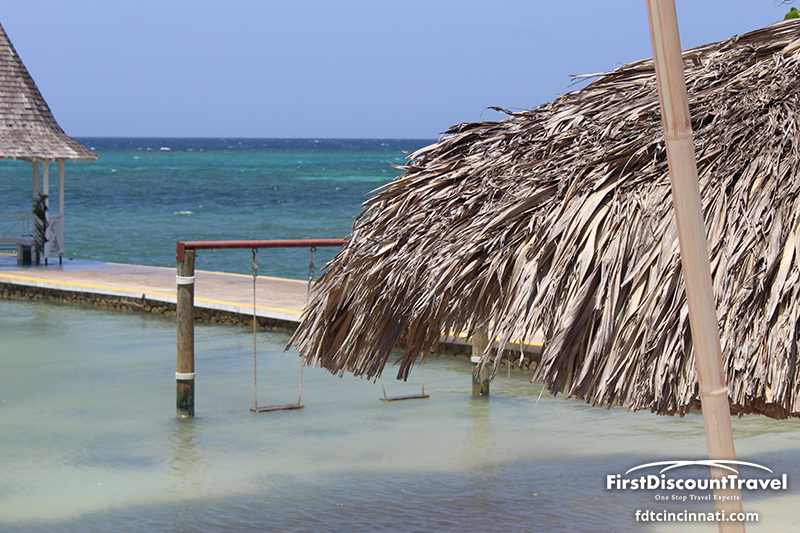 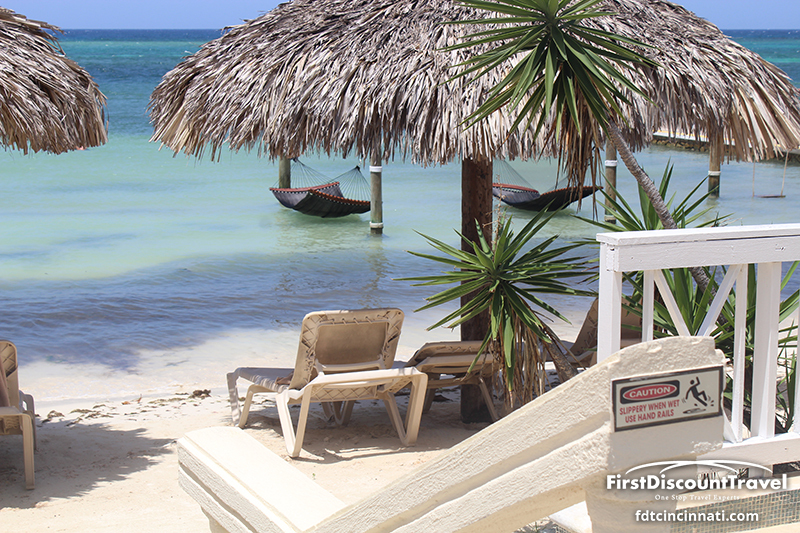 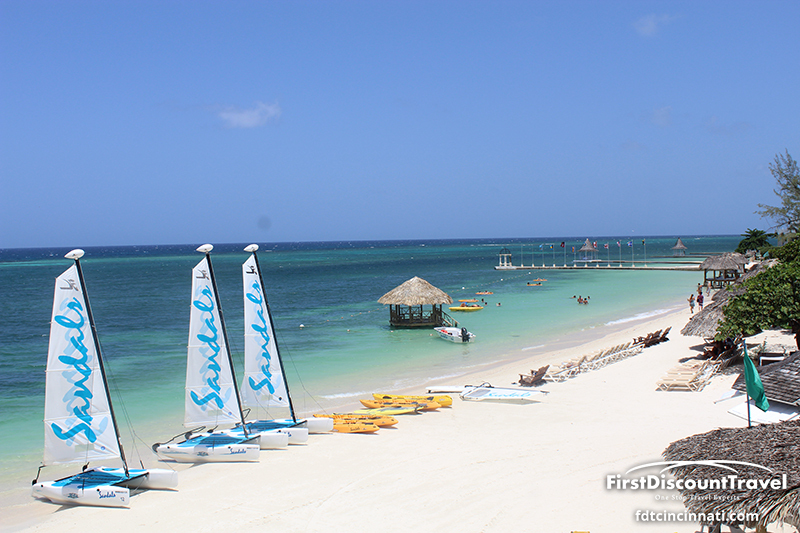 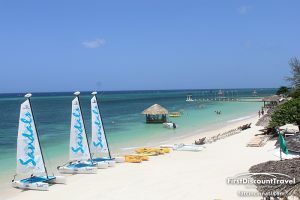 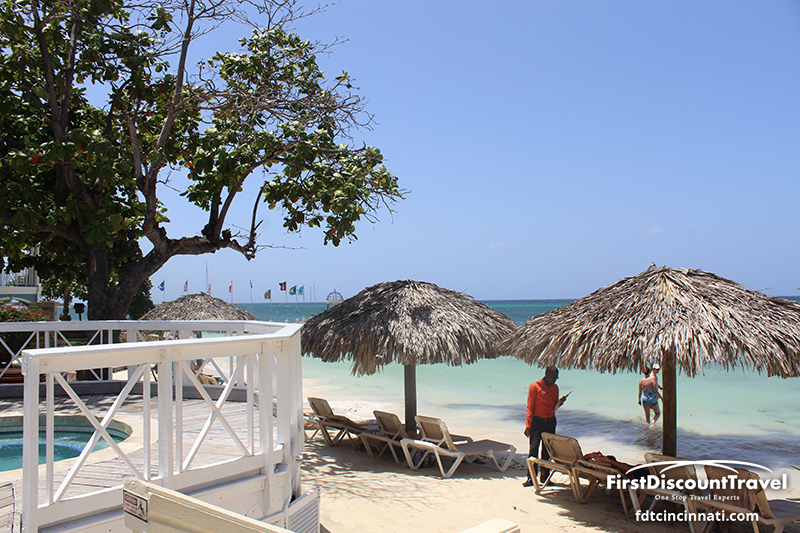 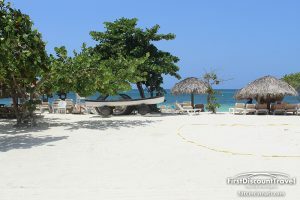 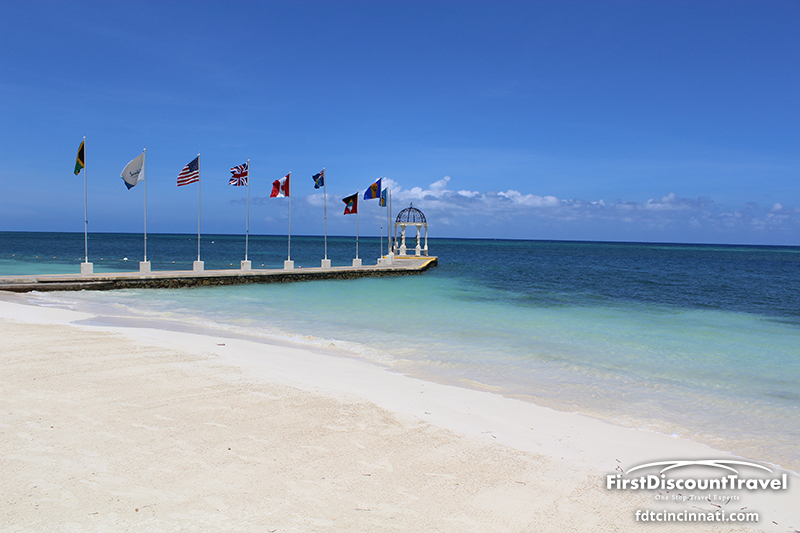 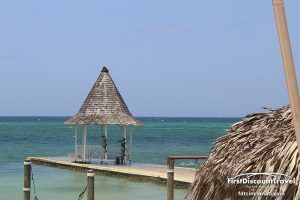 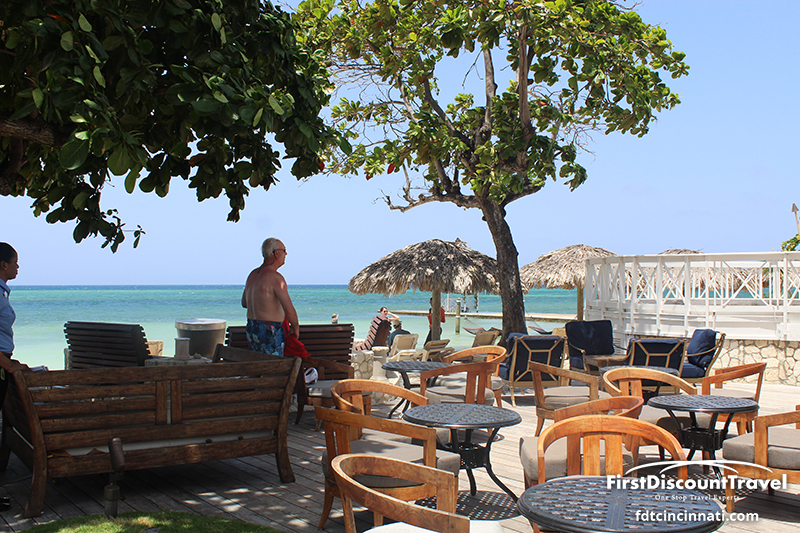 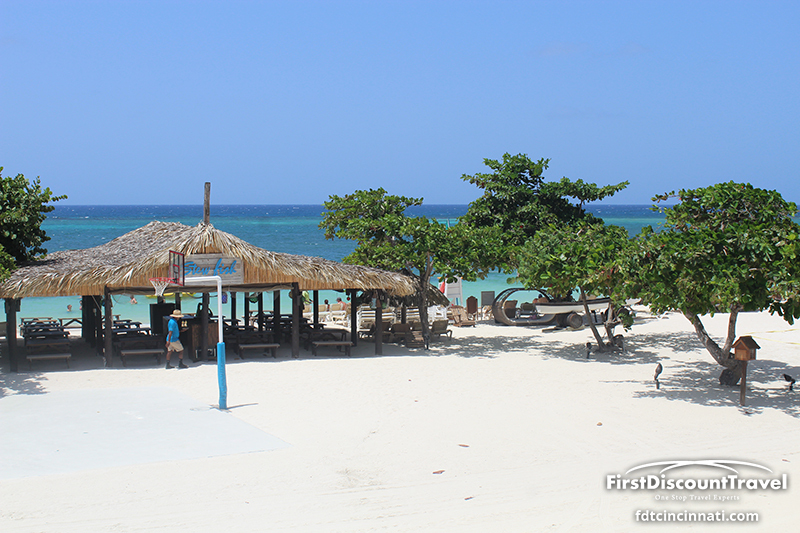 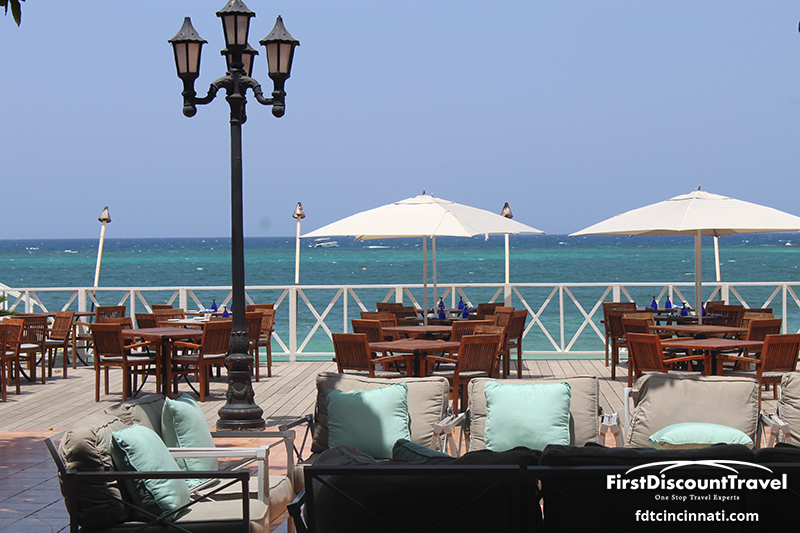 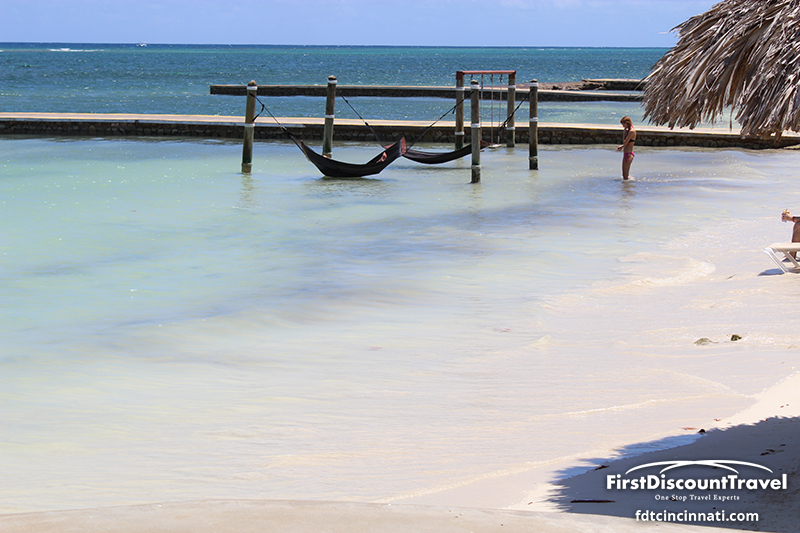 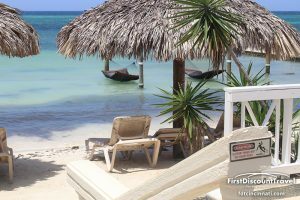 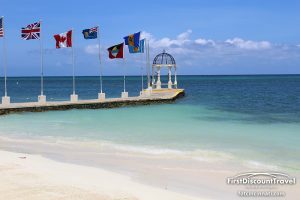 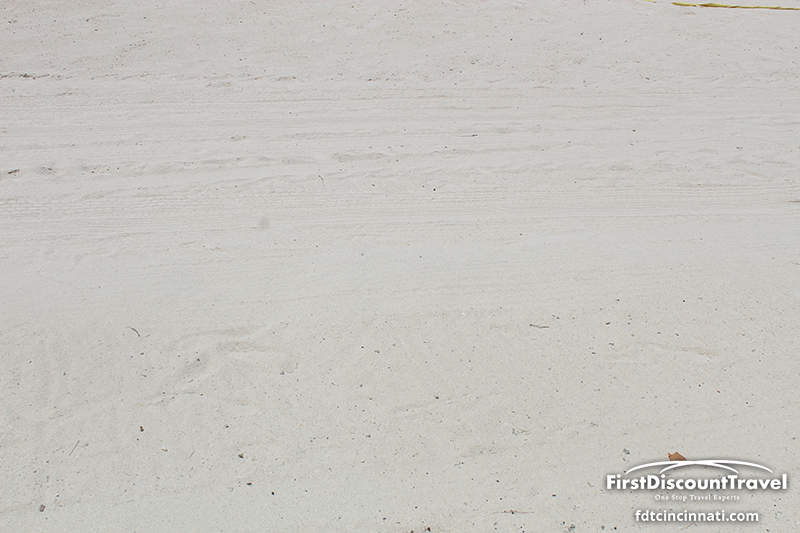 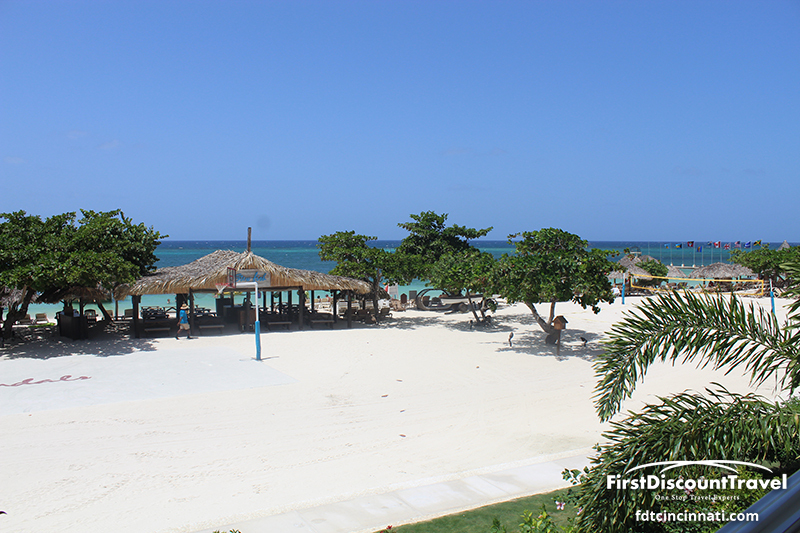 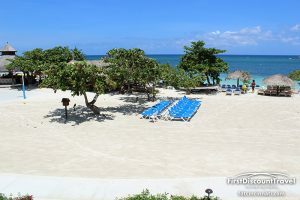 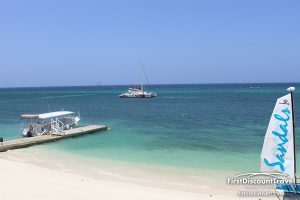 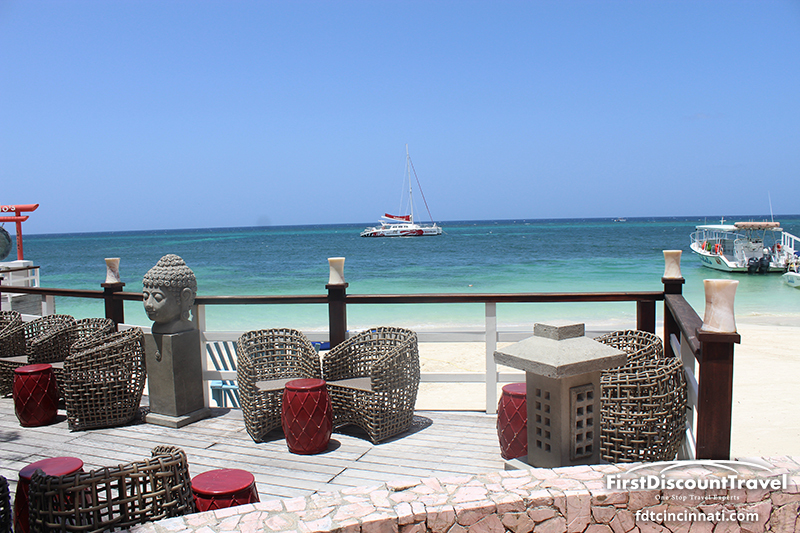 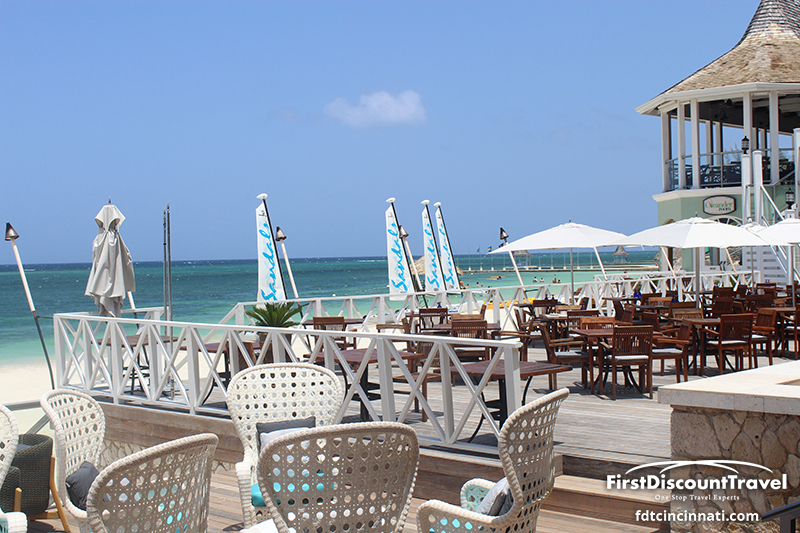 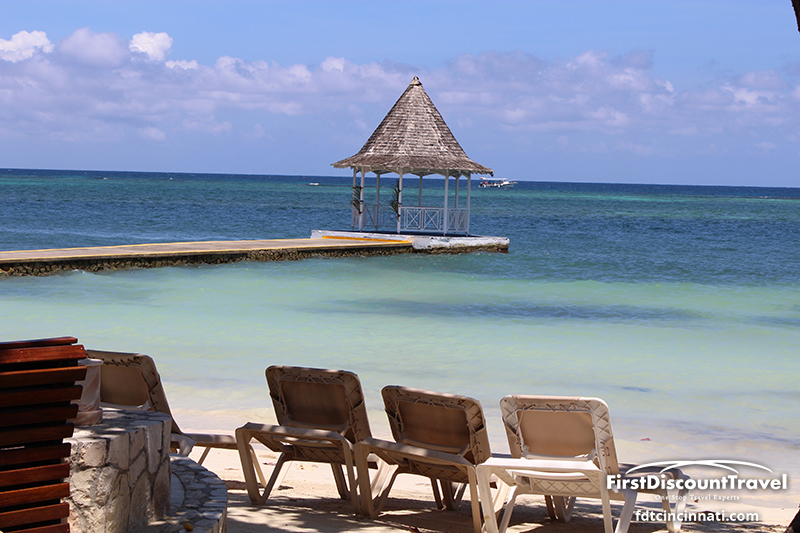 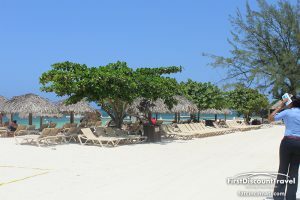 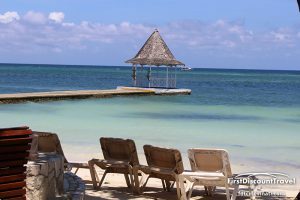 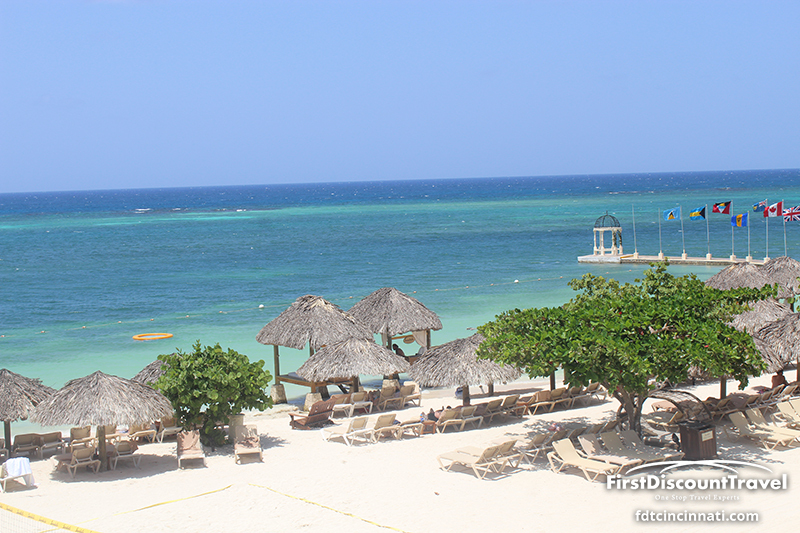 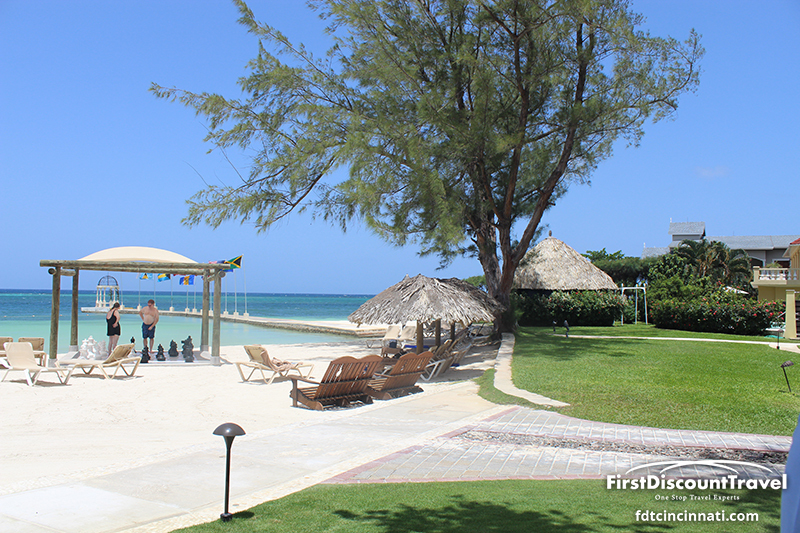 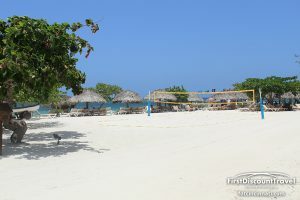 The beach is very nice for Montego Bay, with white sand and turquois water. 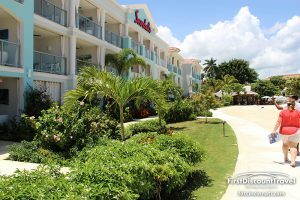 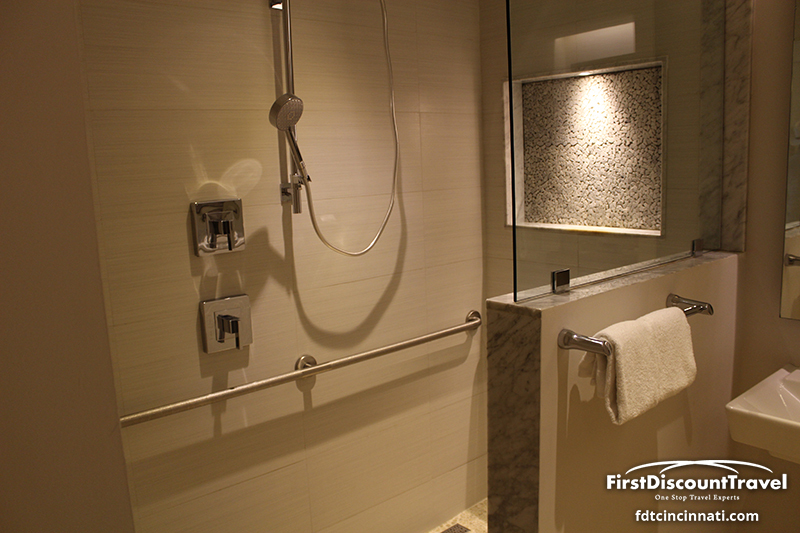 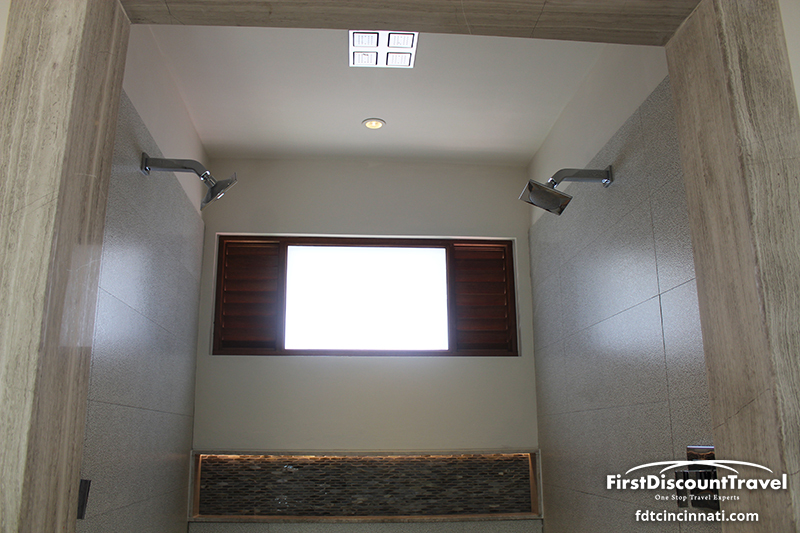 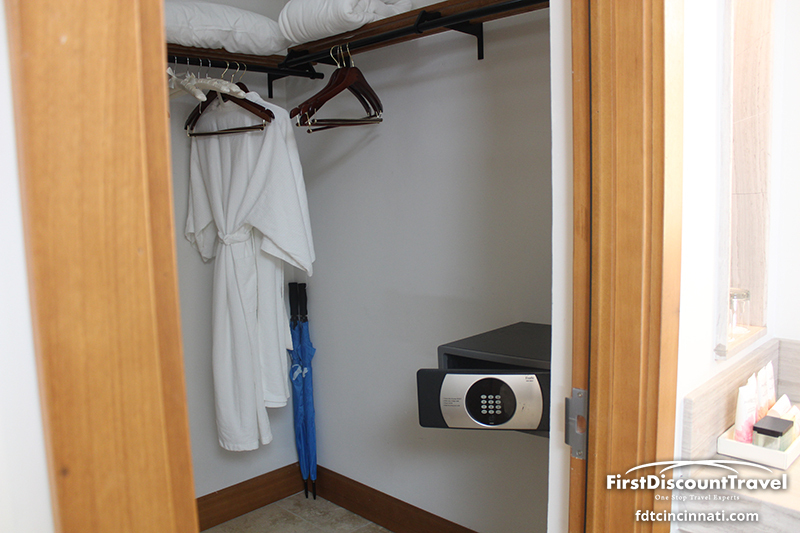 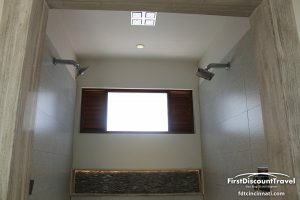 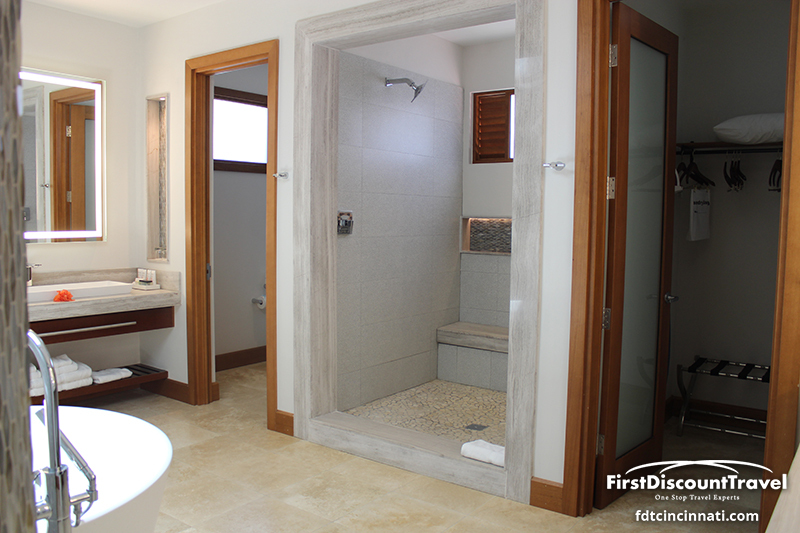 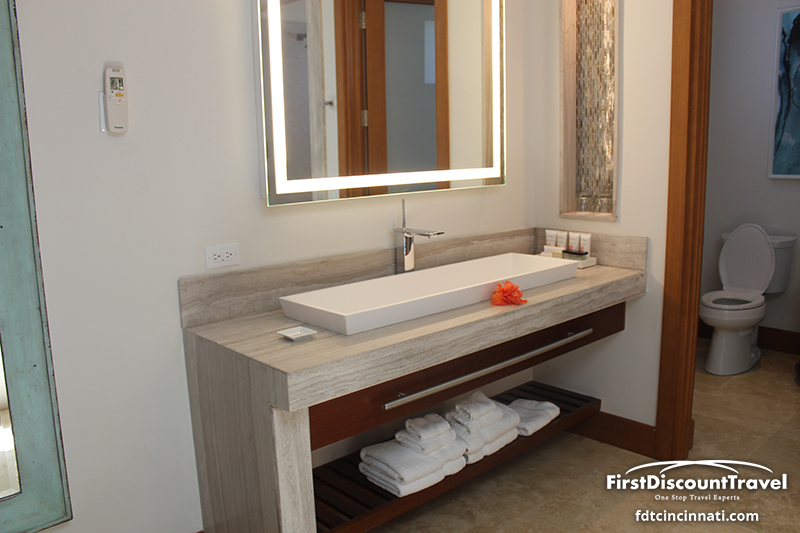 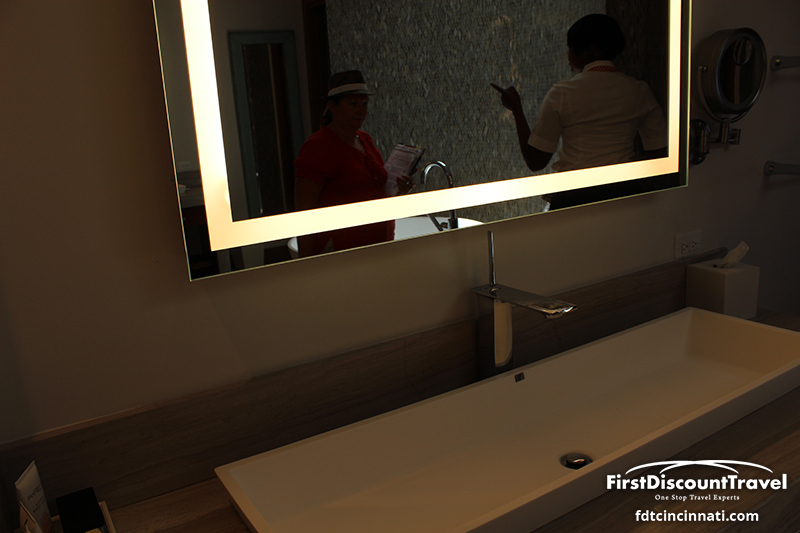 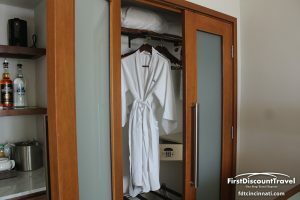 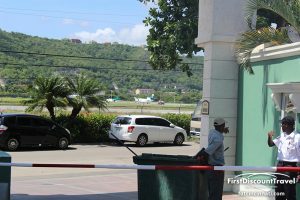 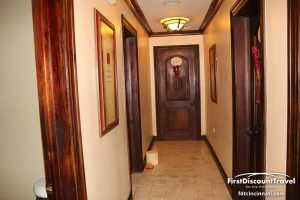 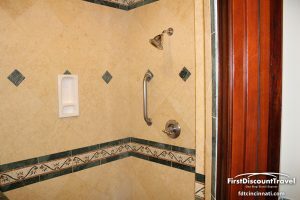 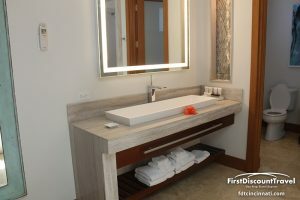 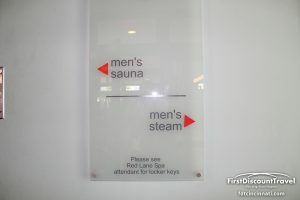 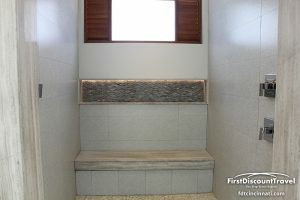 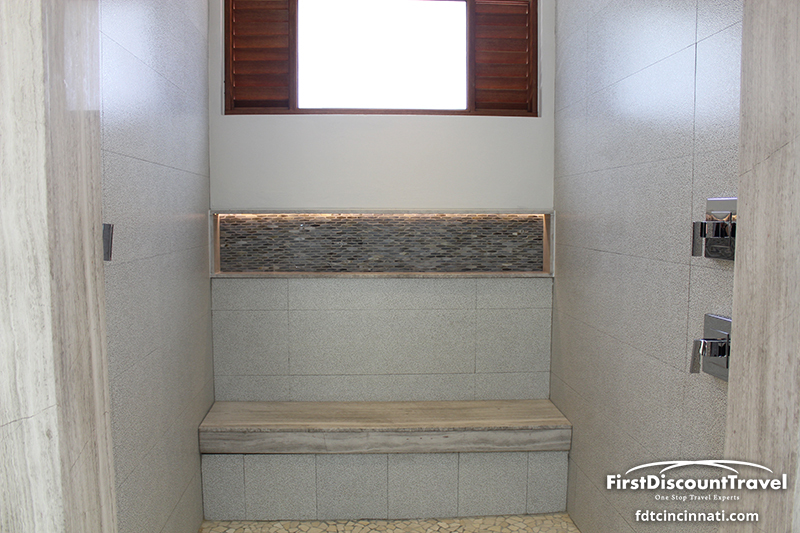 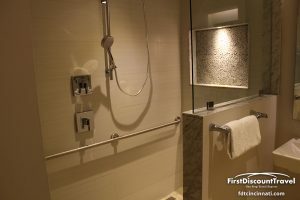 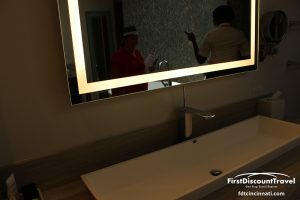 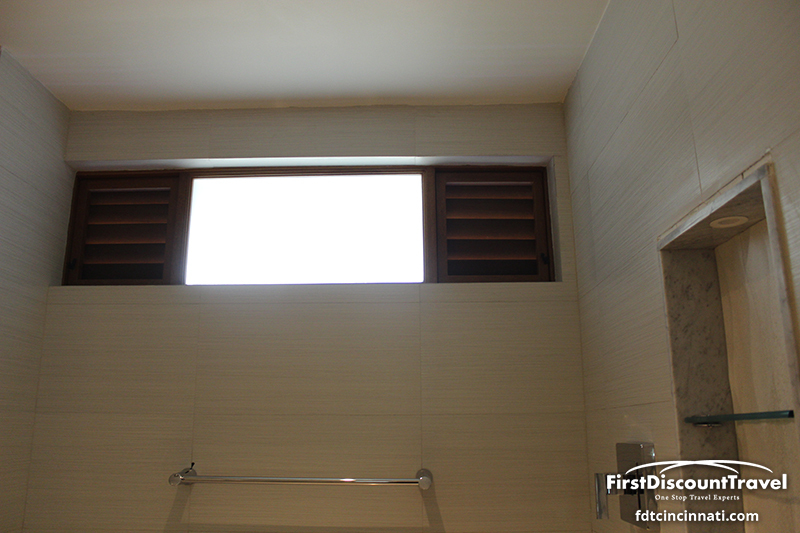 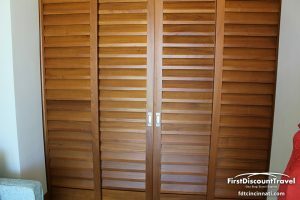 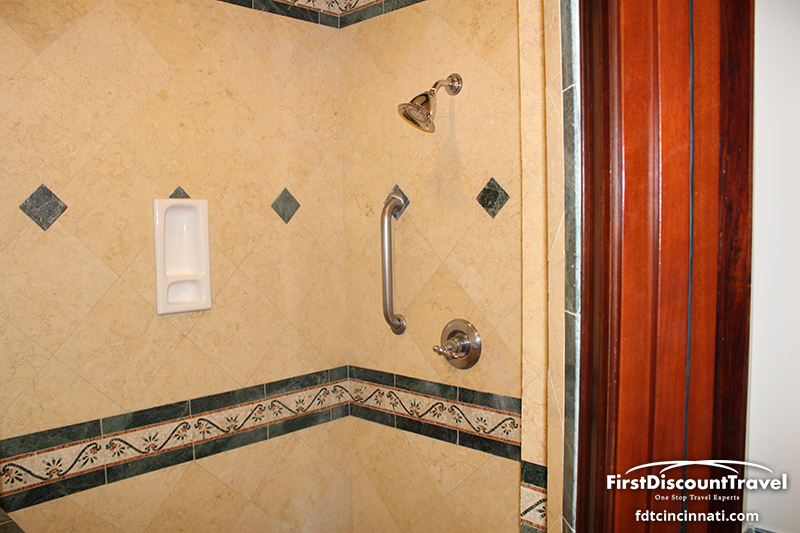 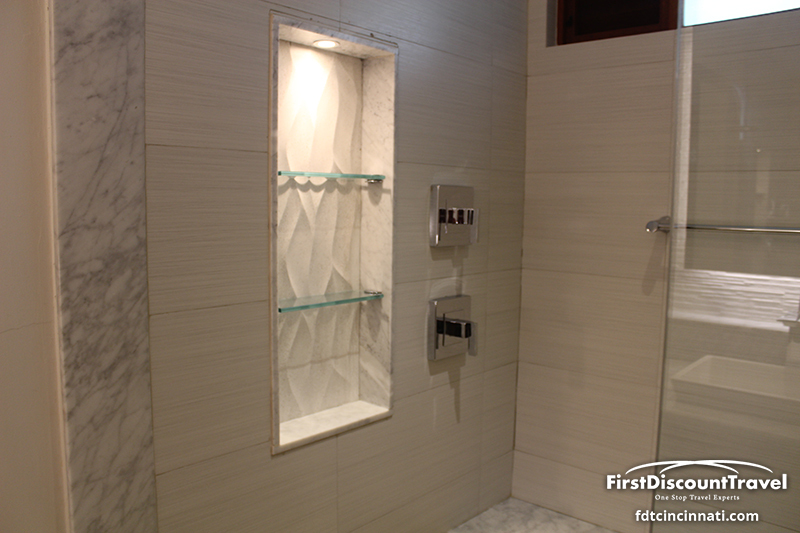 Sandals Montego Bay is home to a full service Red Lane Spa and a departure lounge with showers and lockers for those with late flights home. 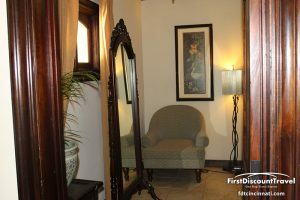 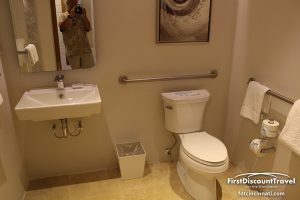 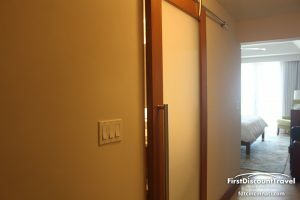 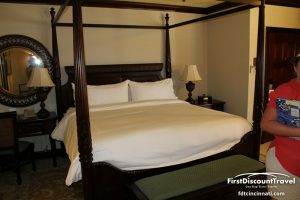 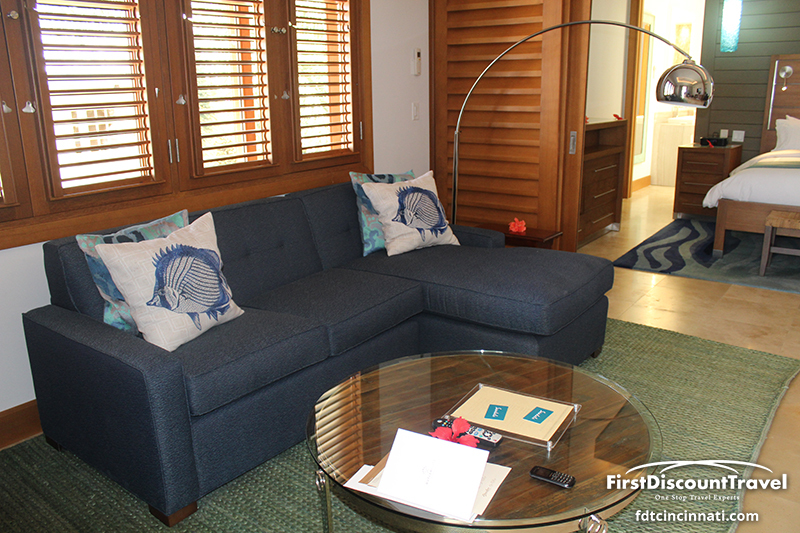 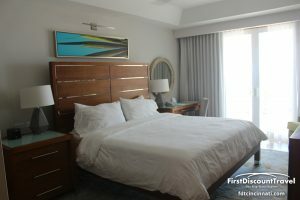 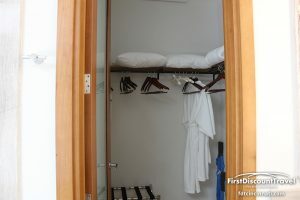 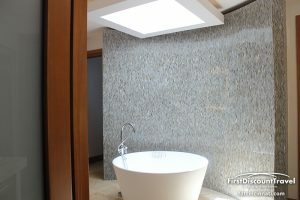 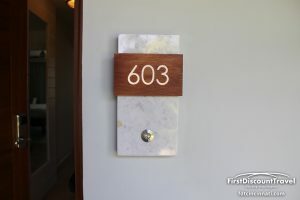 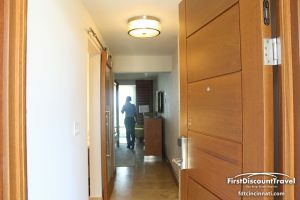 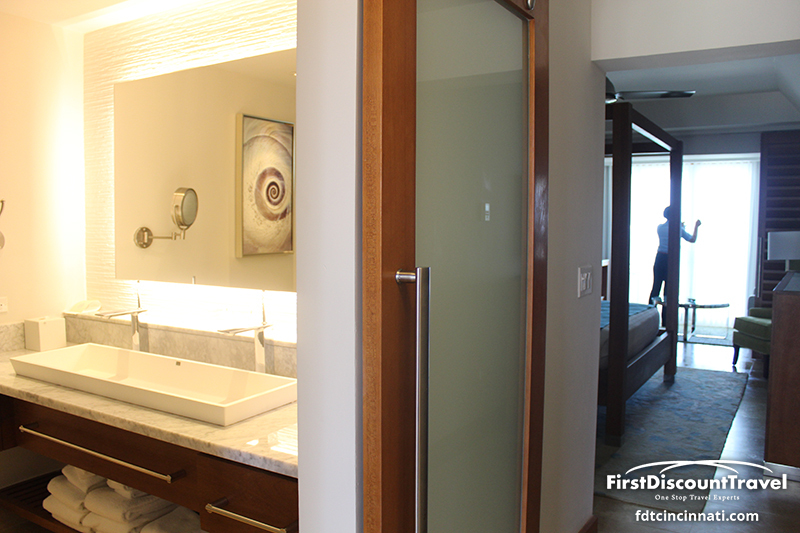 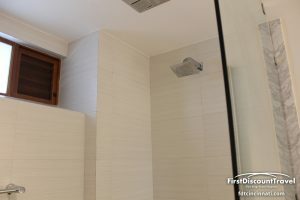 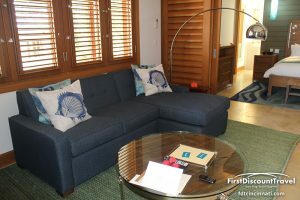 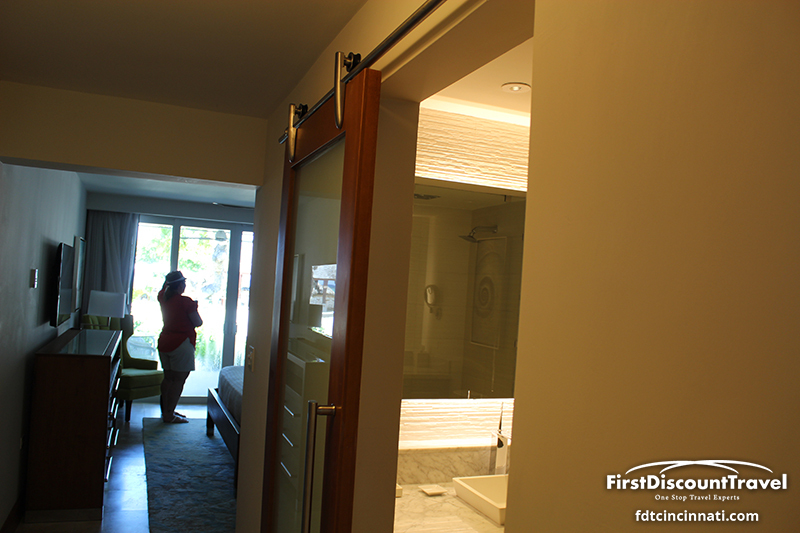 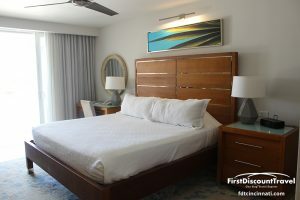 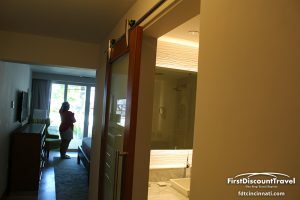 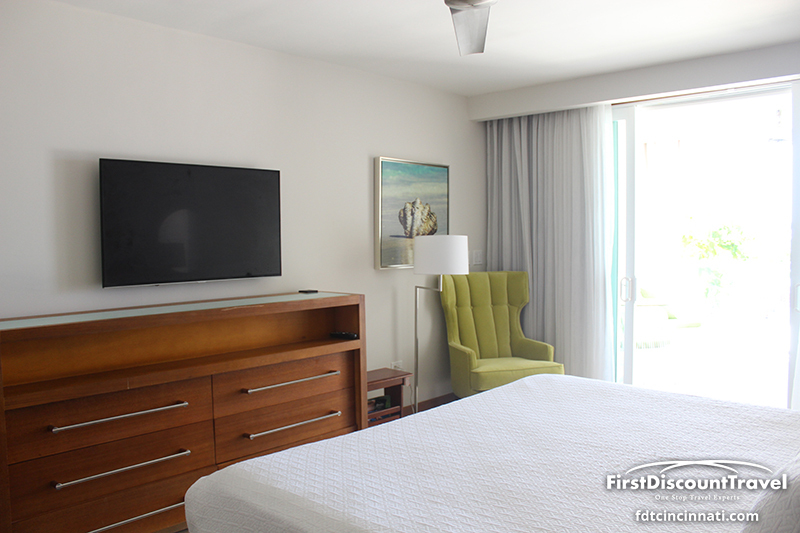 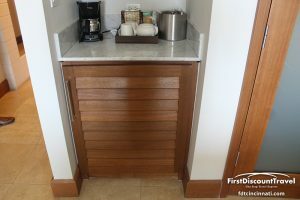 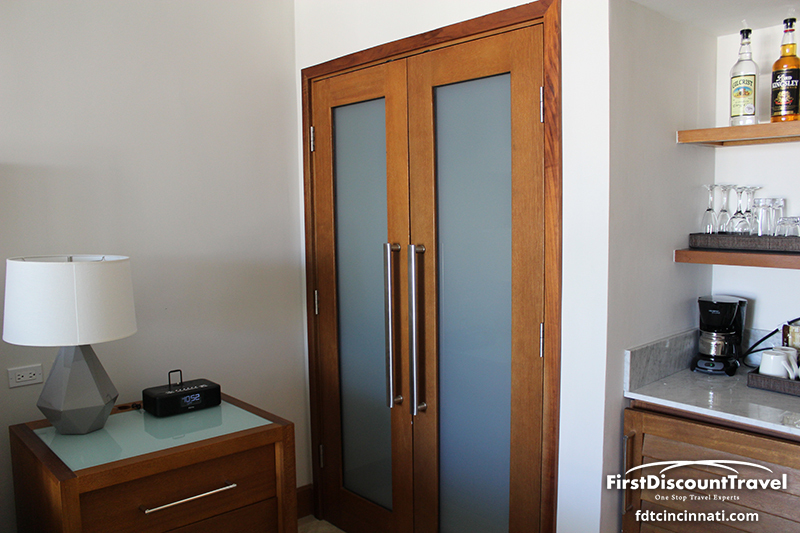 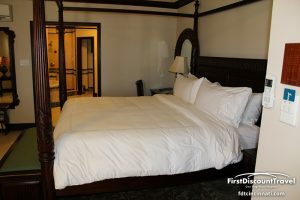 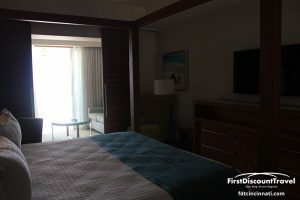 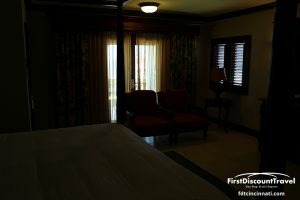 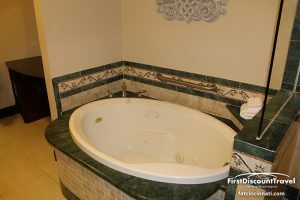 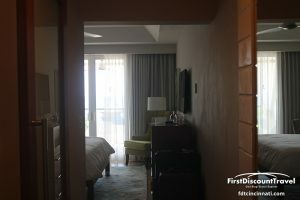 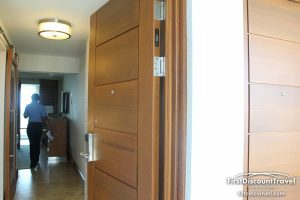 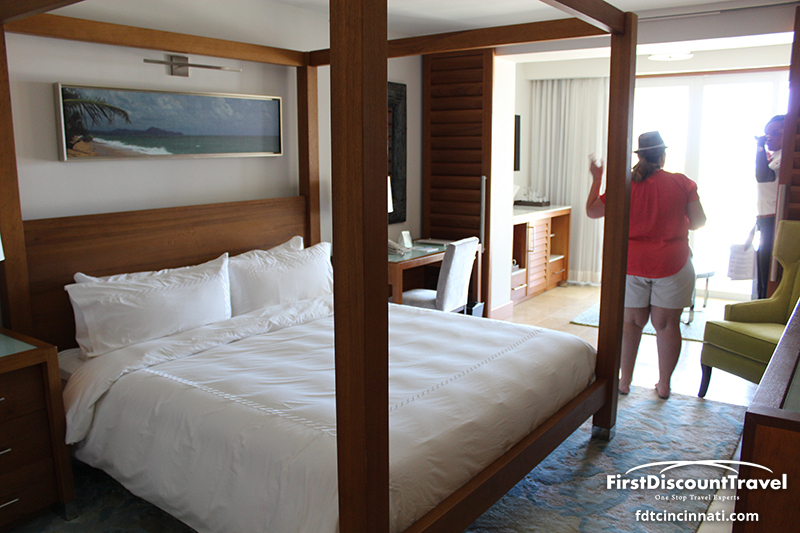 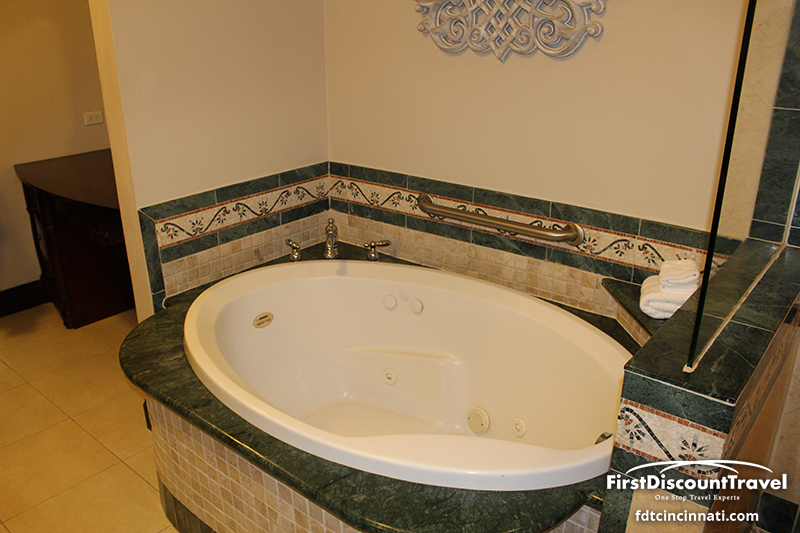 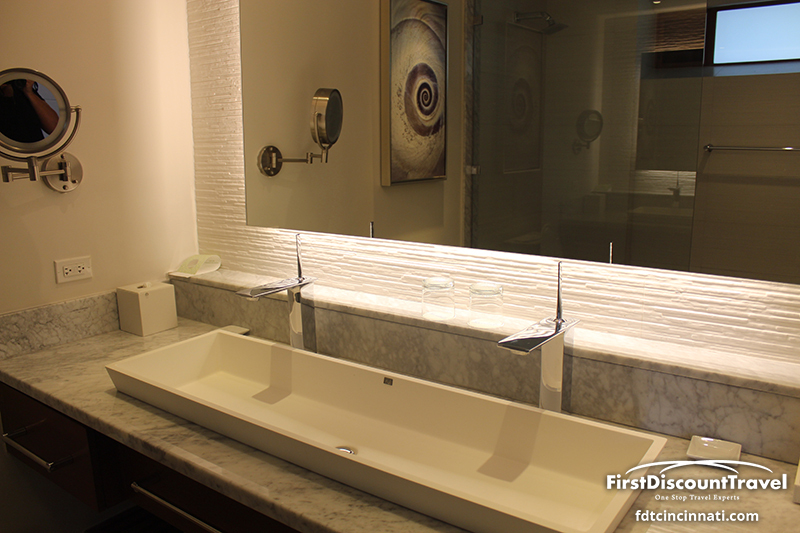 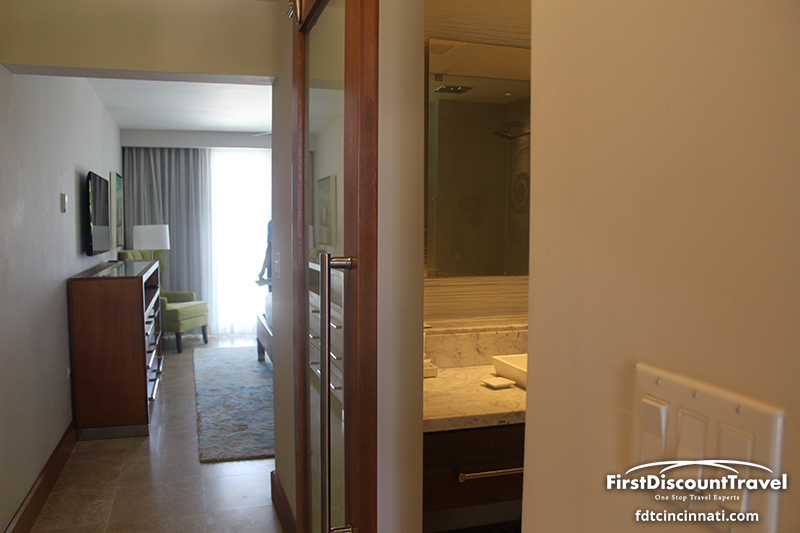 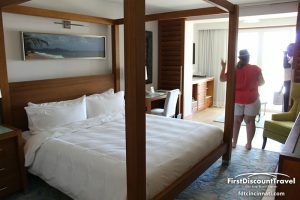 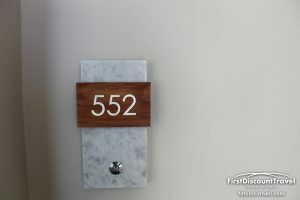 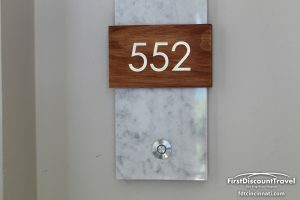 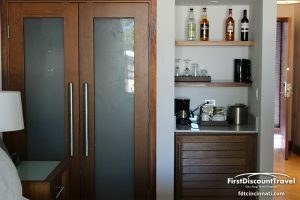 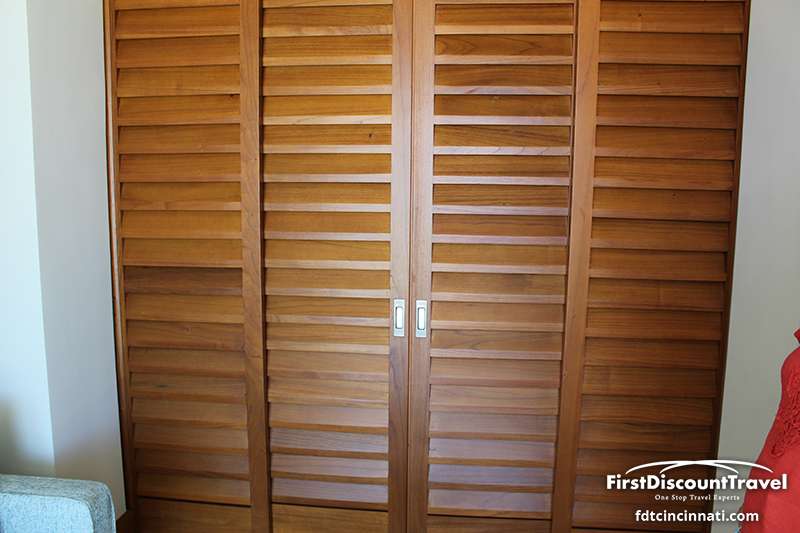 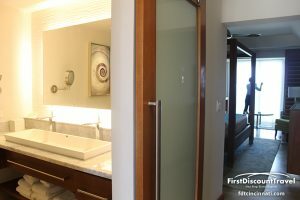 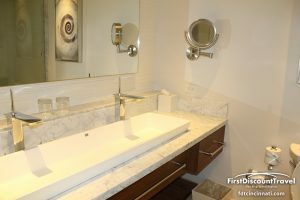 My favorite non butler room is the Water’s Edge Honeymoon Penthouse Concierge, which has a large balcony, walk-in closet and Jacuzzi! Overall, Sandals Montego Bay is a nice resort. 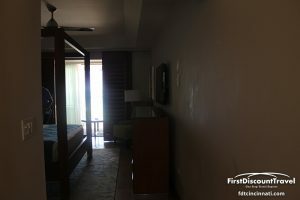 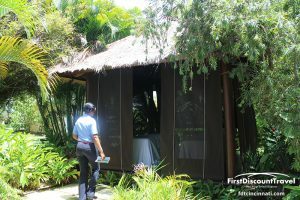 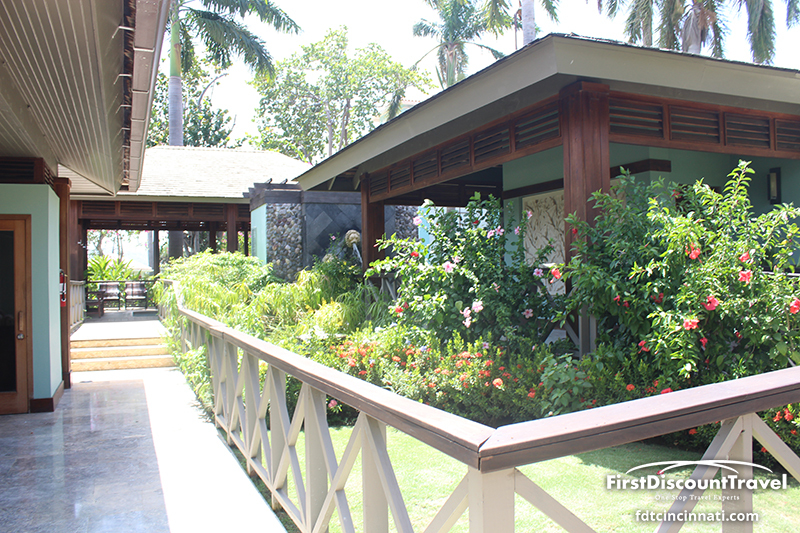 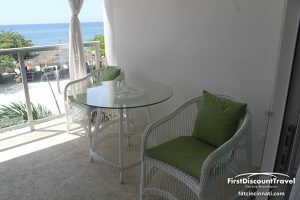 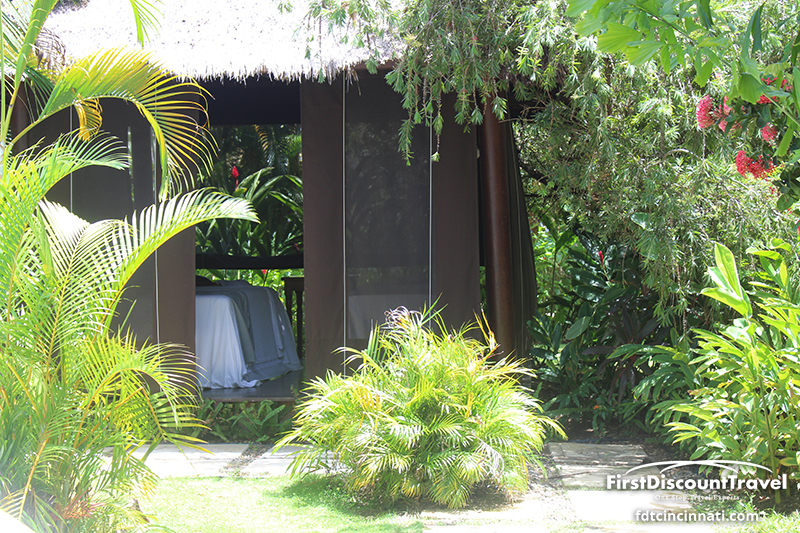 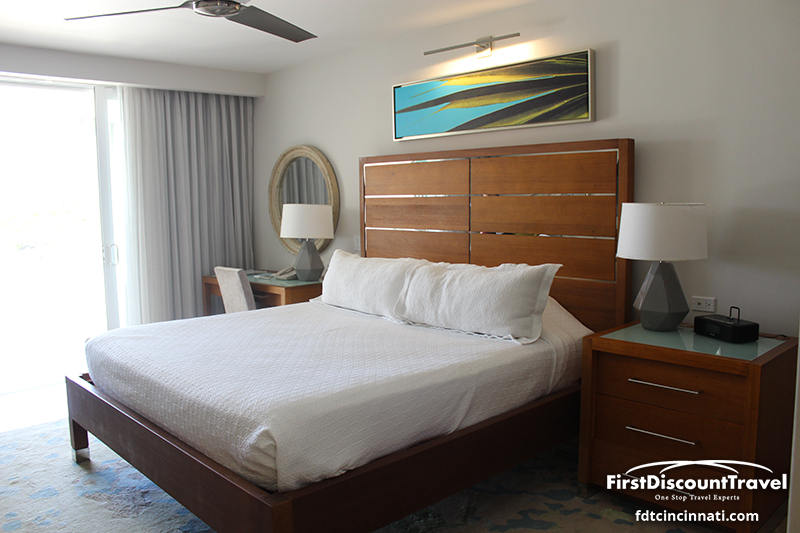 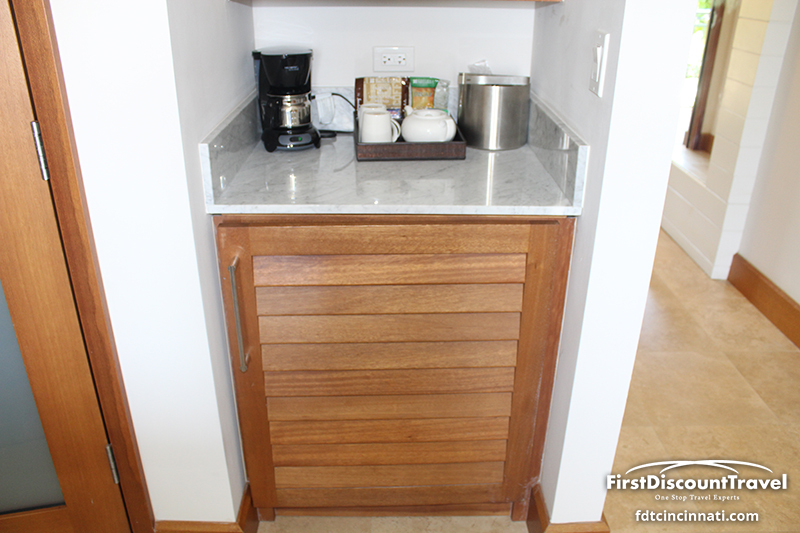 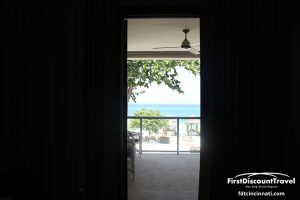 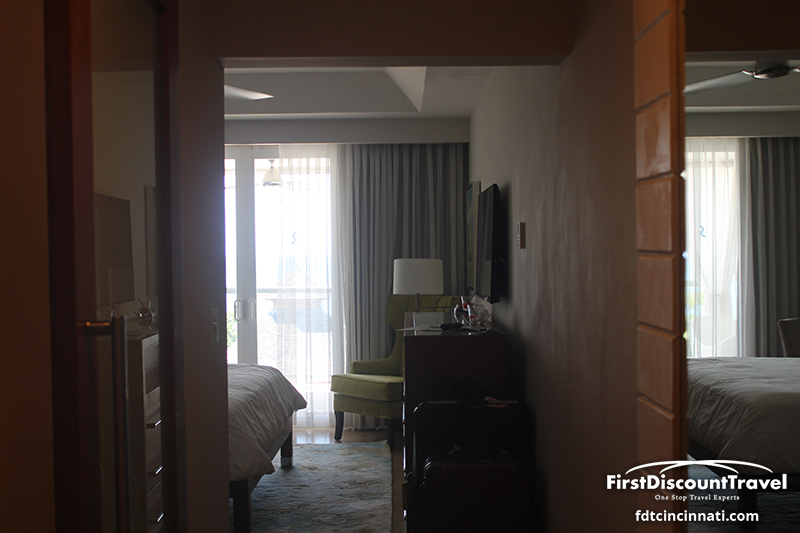 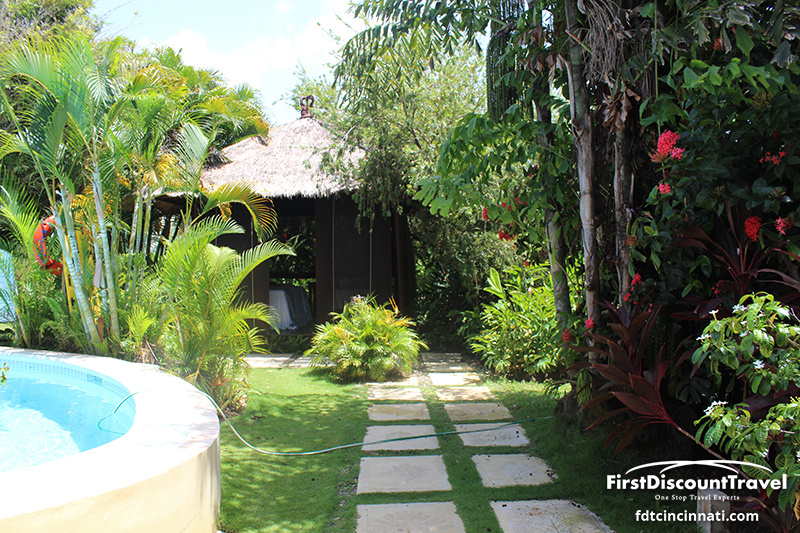 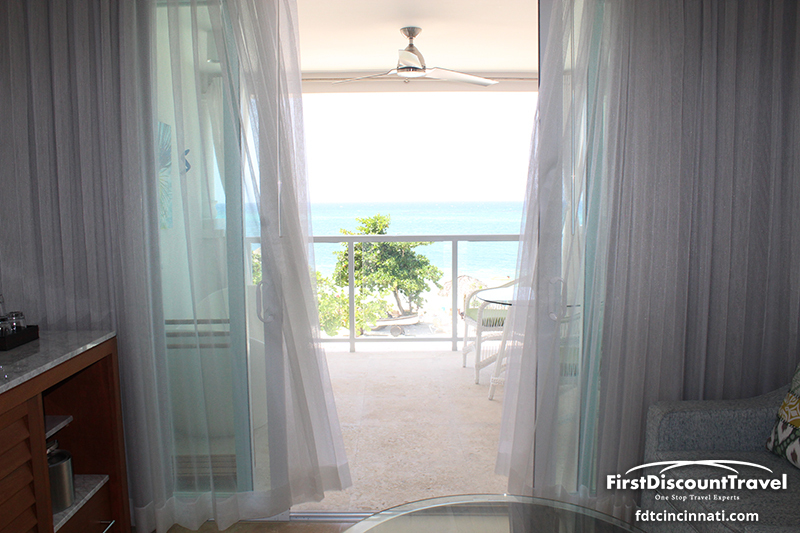 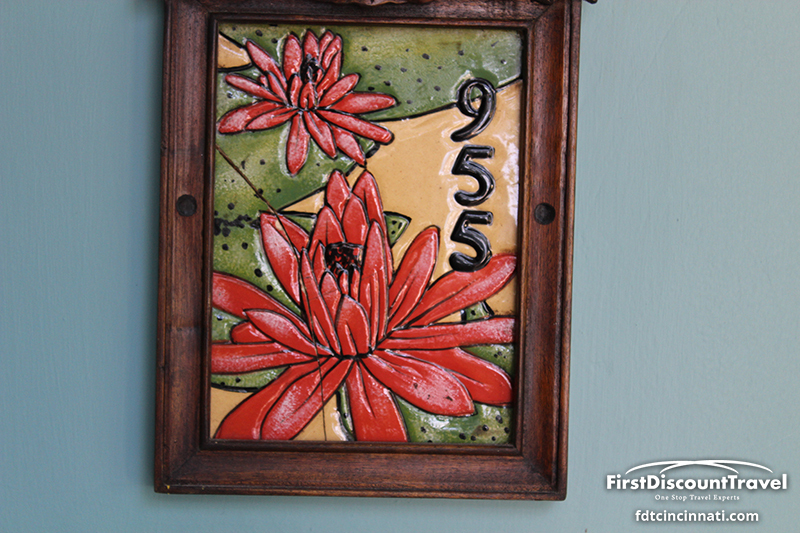 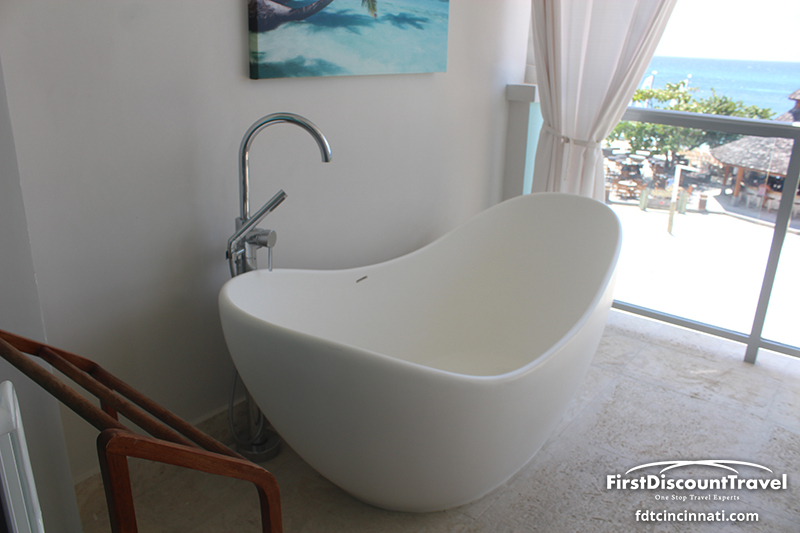 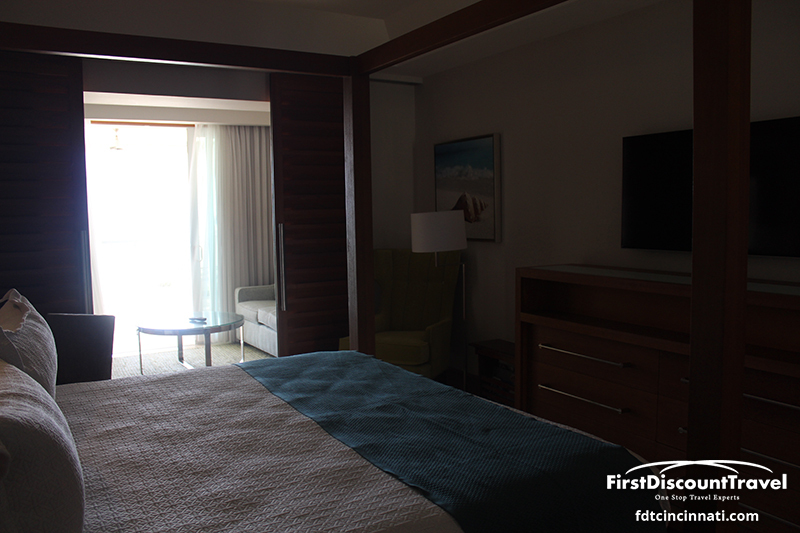 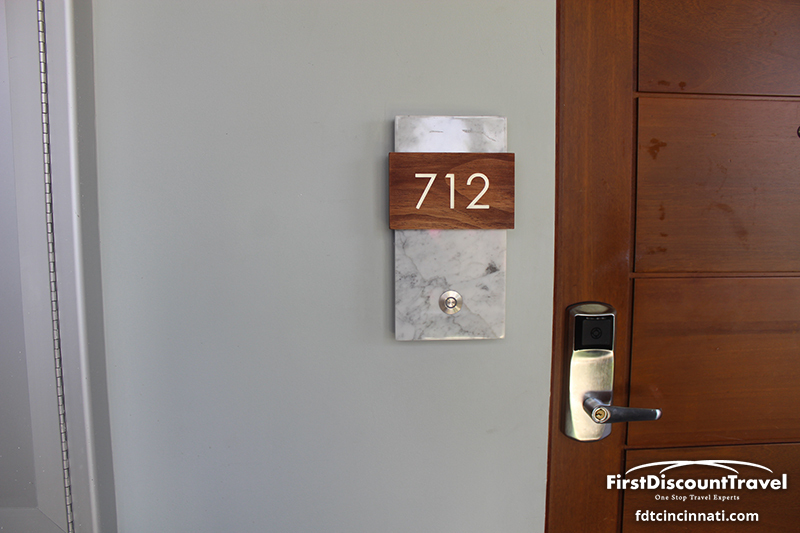 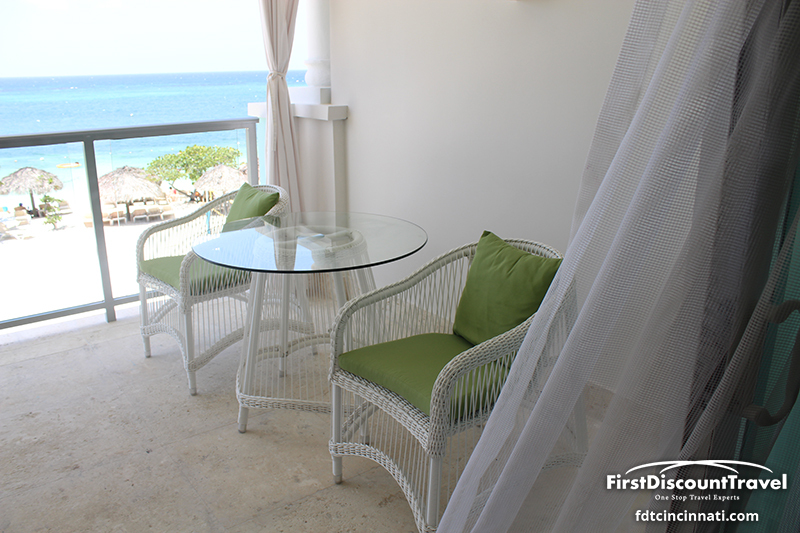 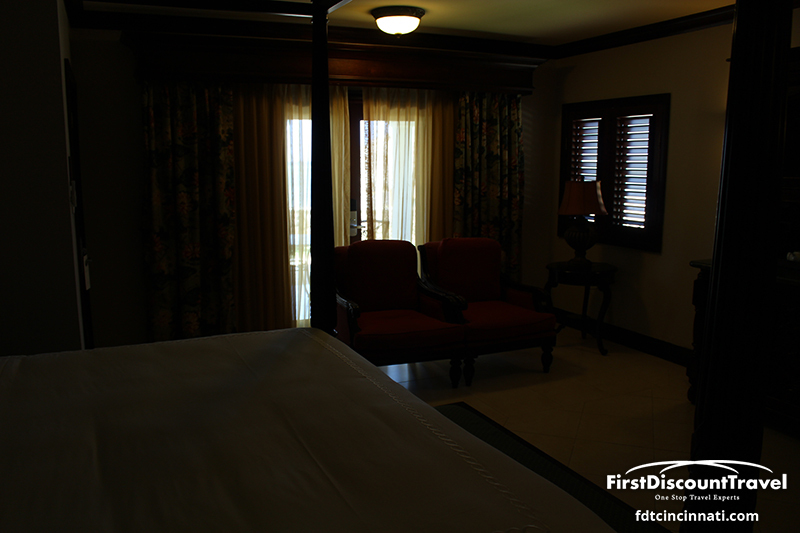 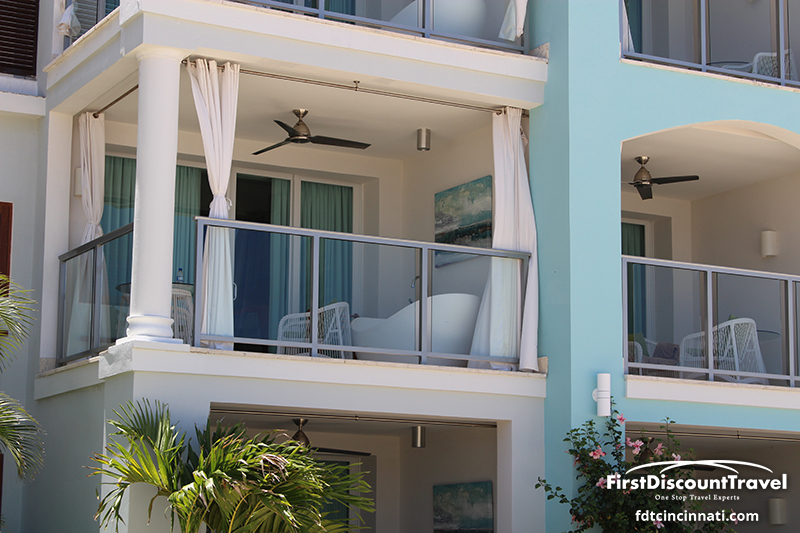 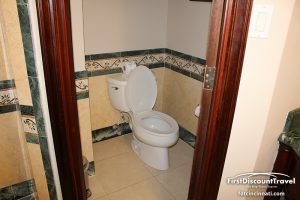 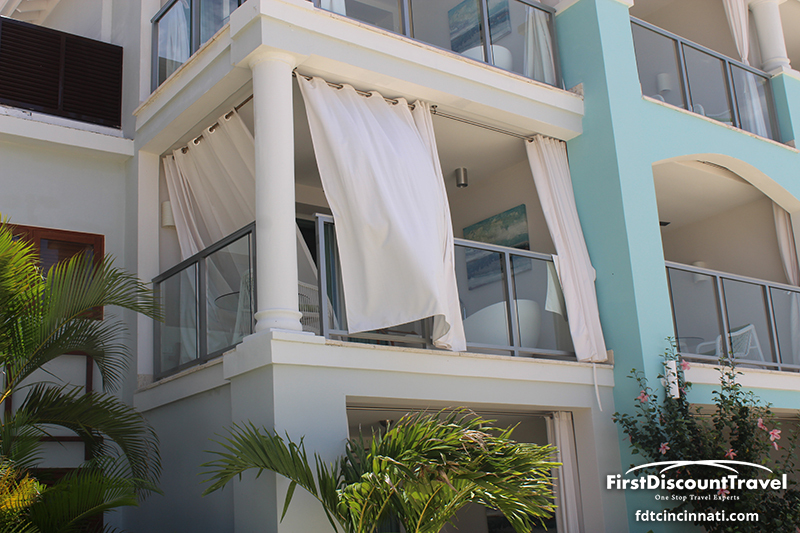 It offers affordable butler rooms and a gorgeous beach. Sandals Montego Bay is great for people looking for a more active or a shorter vacation (since it is only 5 minutes from the airport). 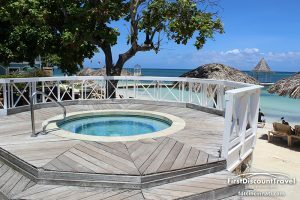 It’s also great for wedding moons due to the proximity to the airport (for guests staying just for the wedding) and having the chapel and numerous over the water piers. 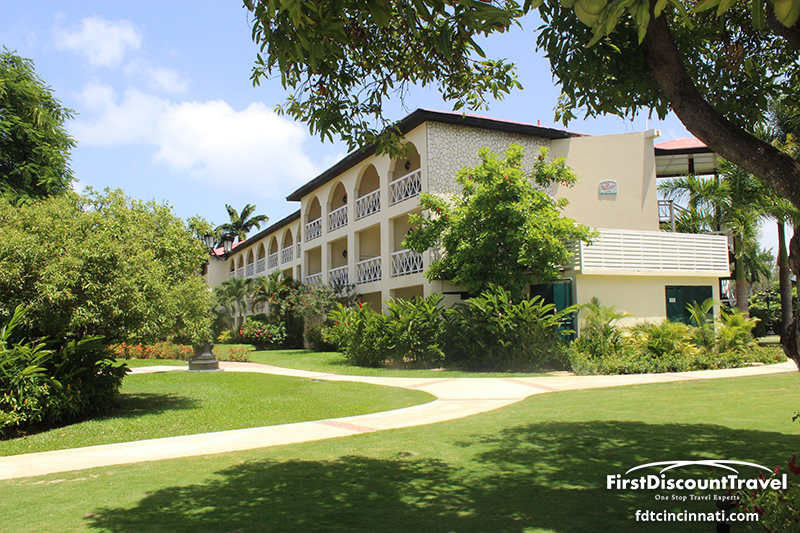 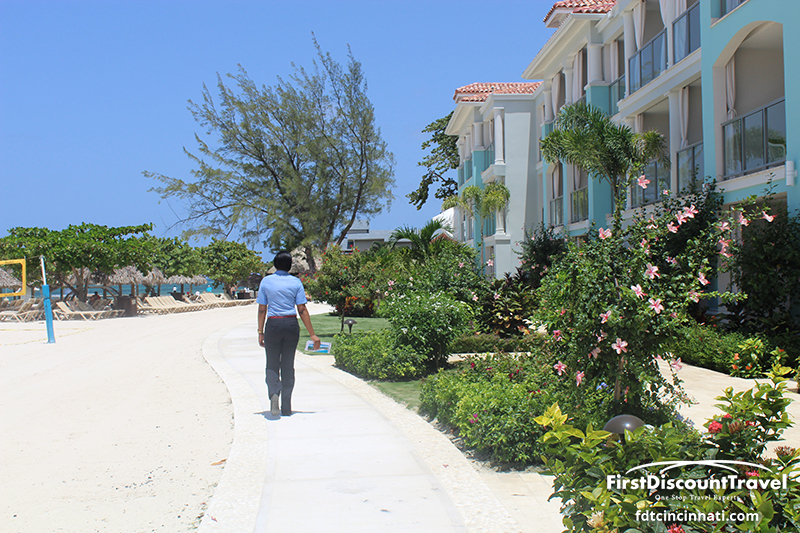 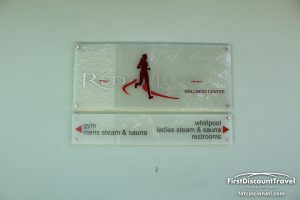 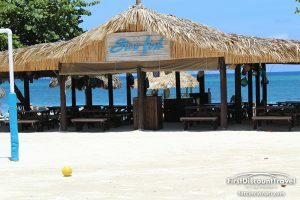 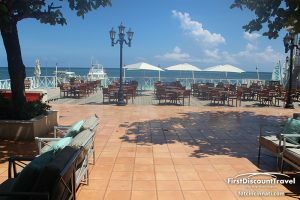 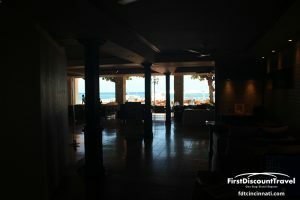 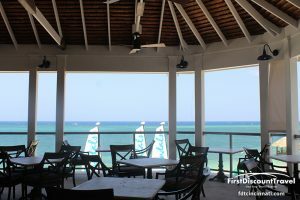 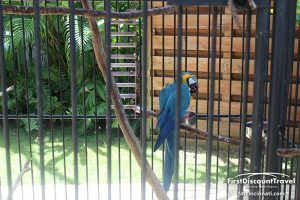 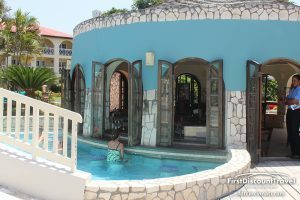 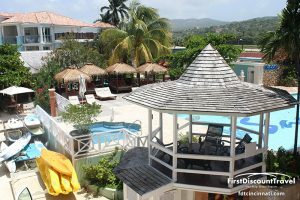 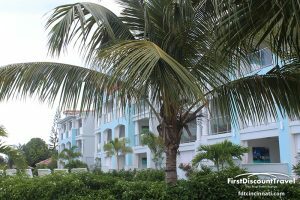 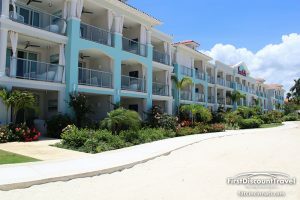 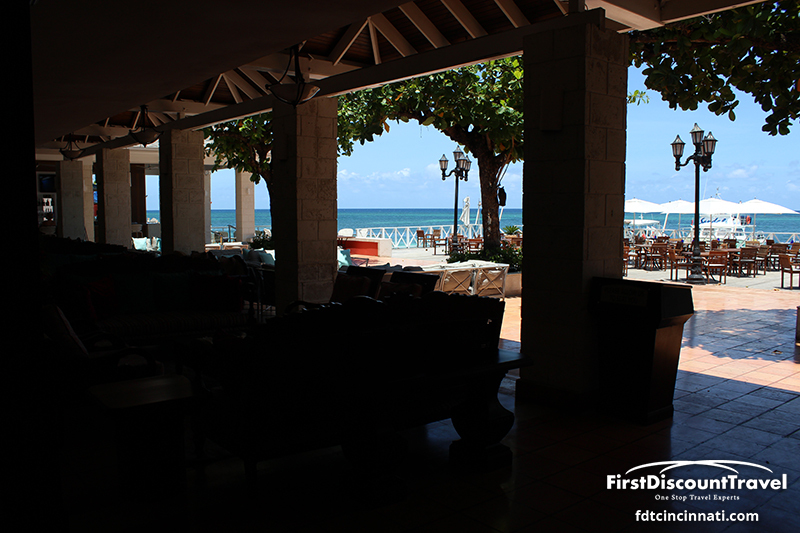 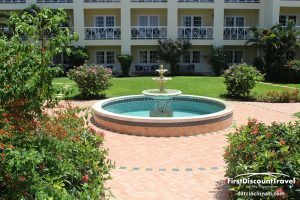 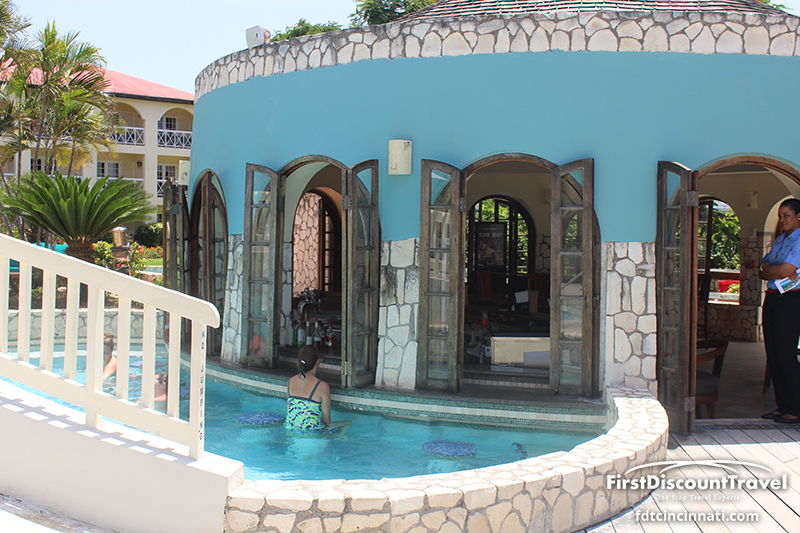 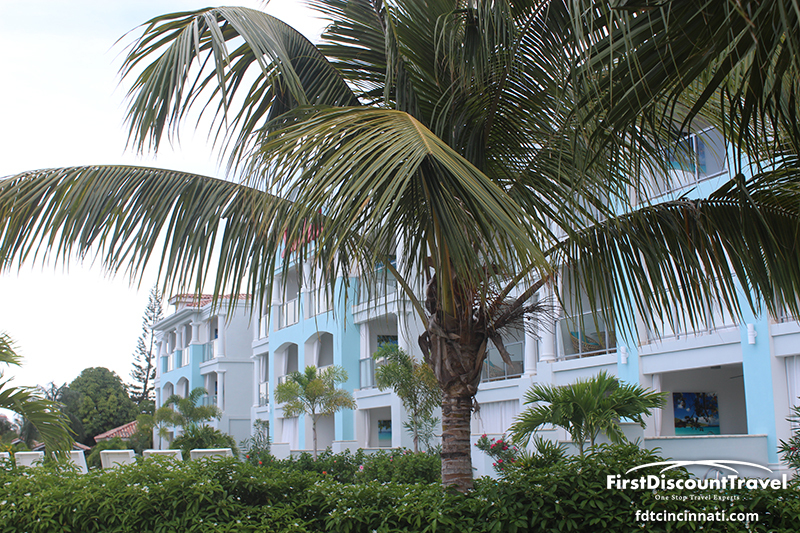 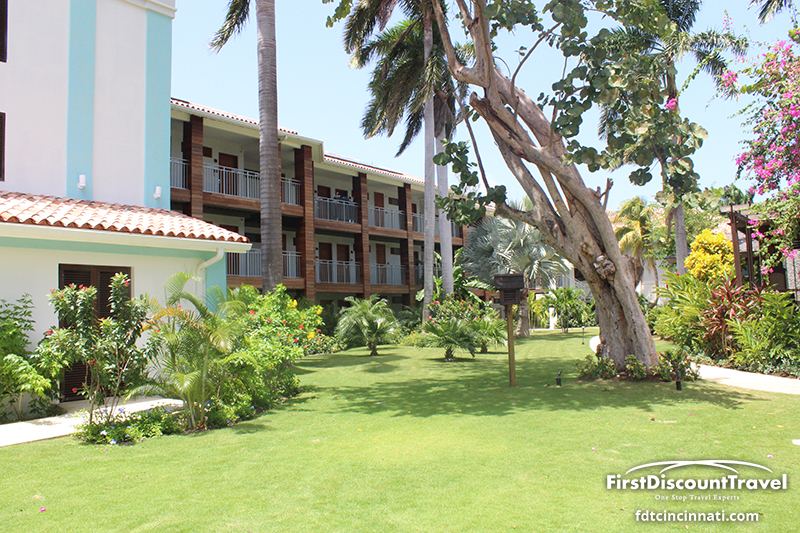 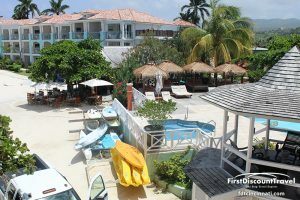 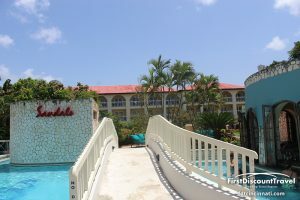 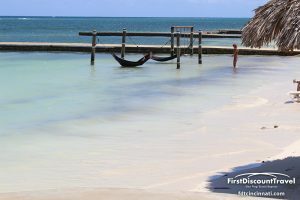 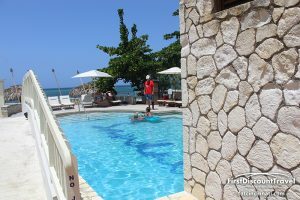 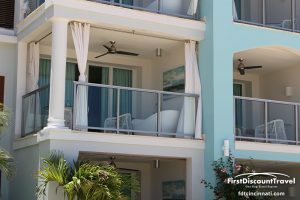 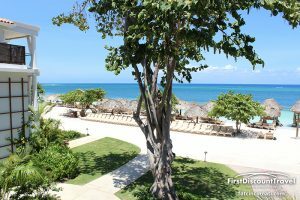 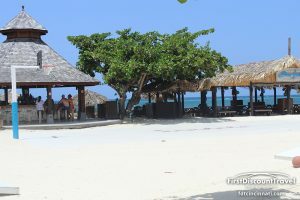 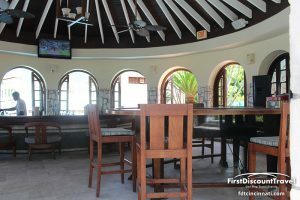 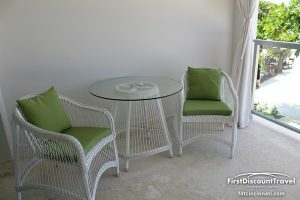 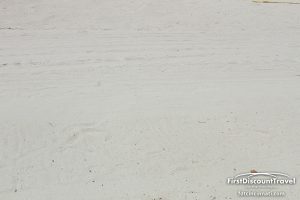 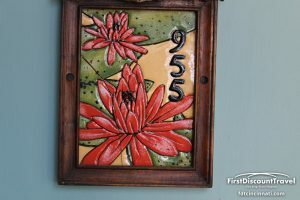 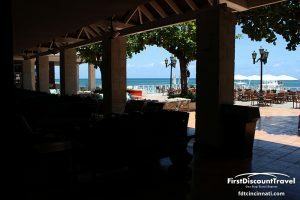 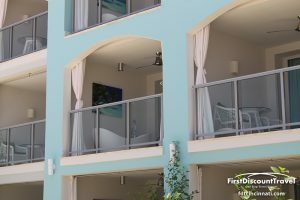 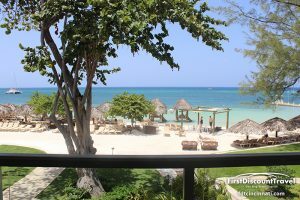 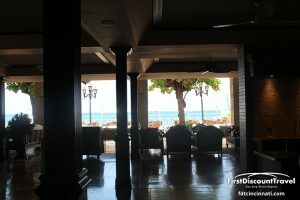 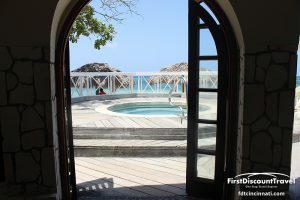 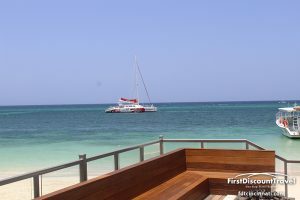 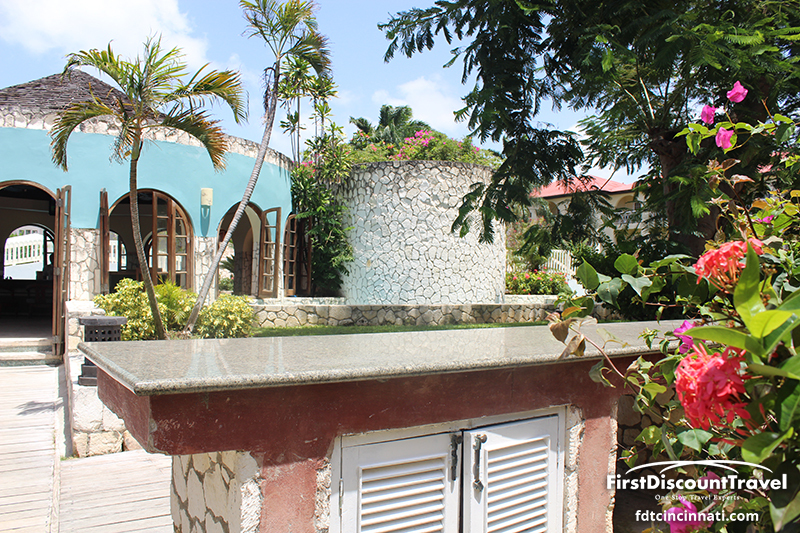 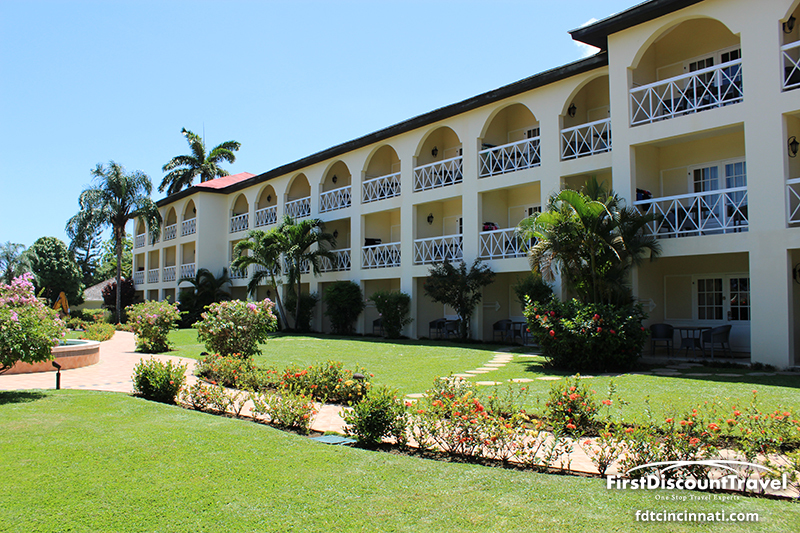 This is a classic resort and doesn’t have all of the glitz, bells and whistles of some of the other Sandals resorts.